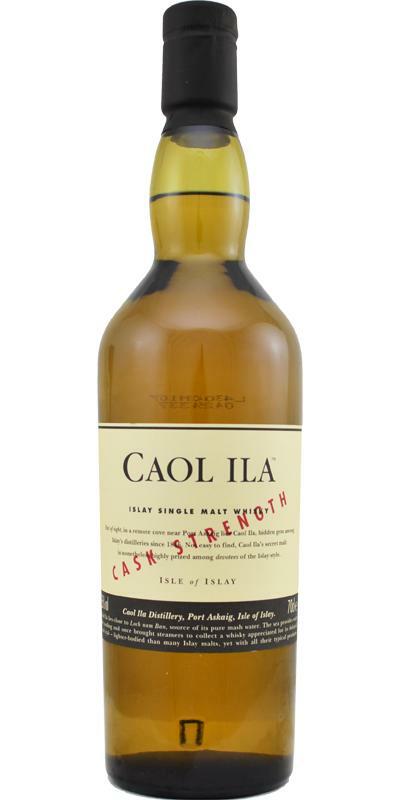 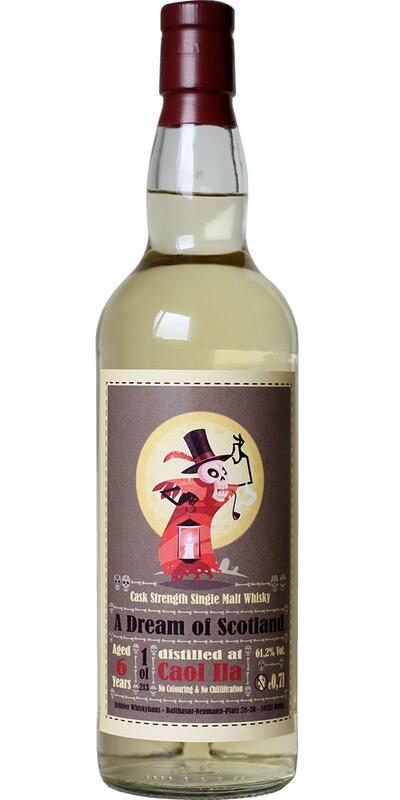 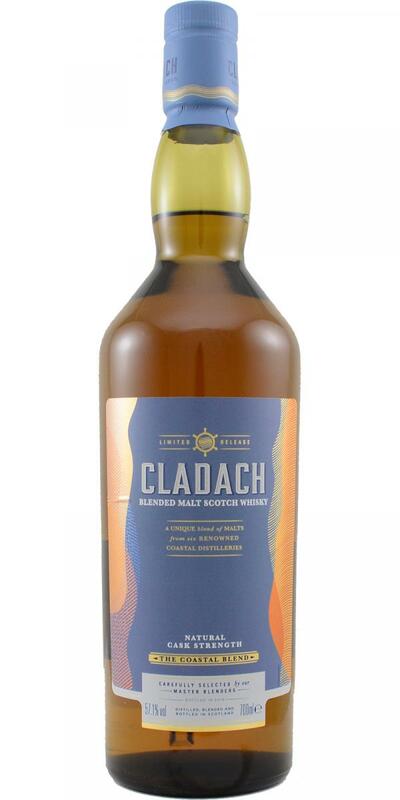 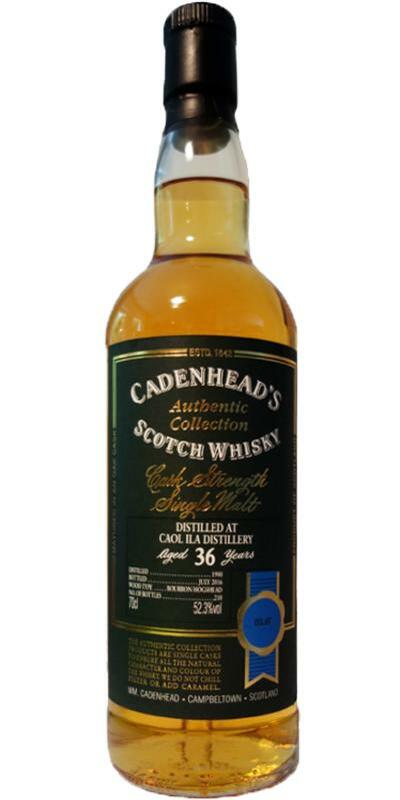 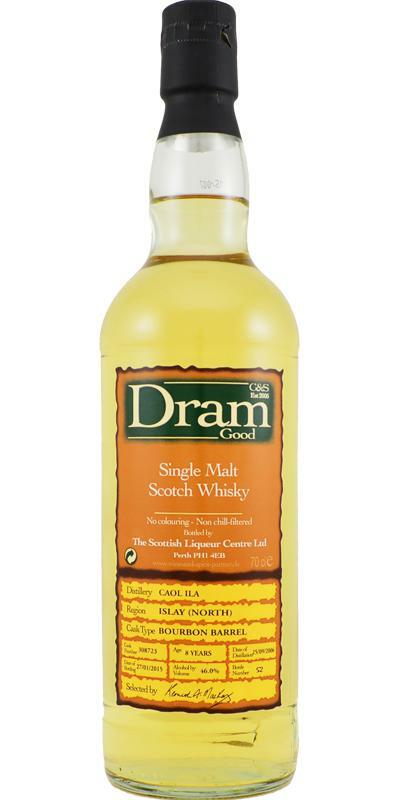 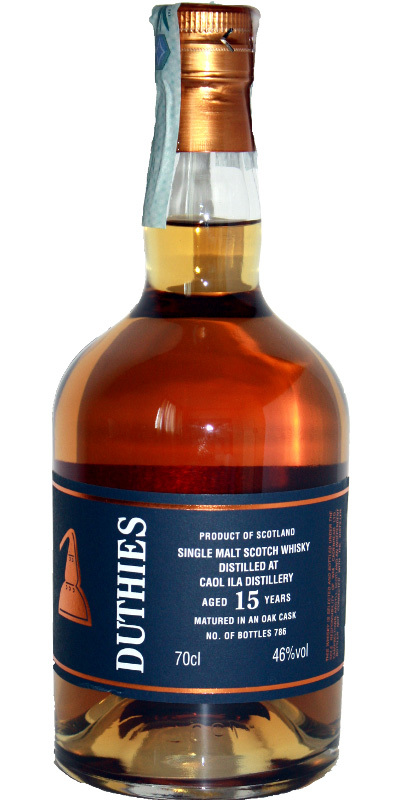 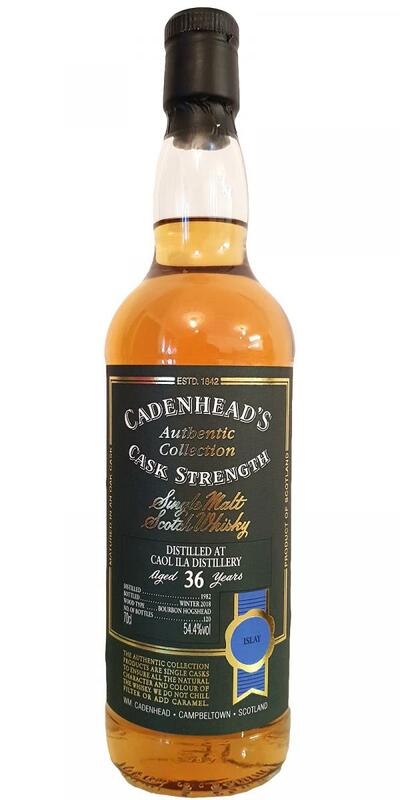 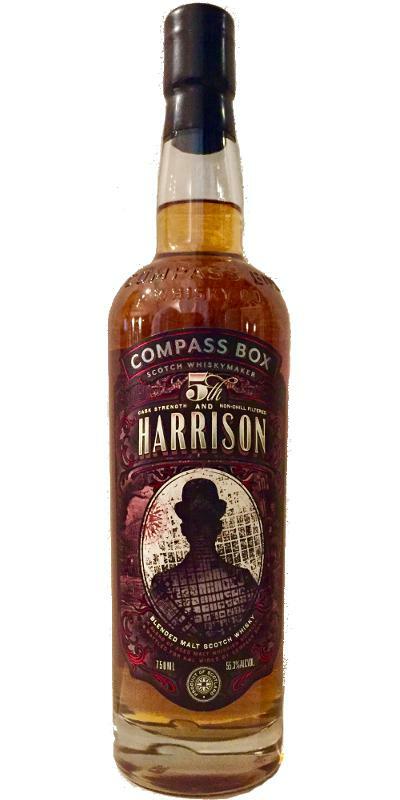 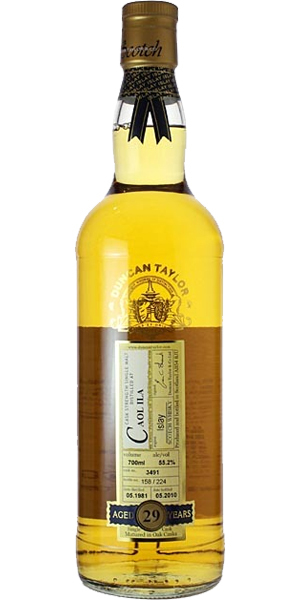 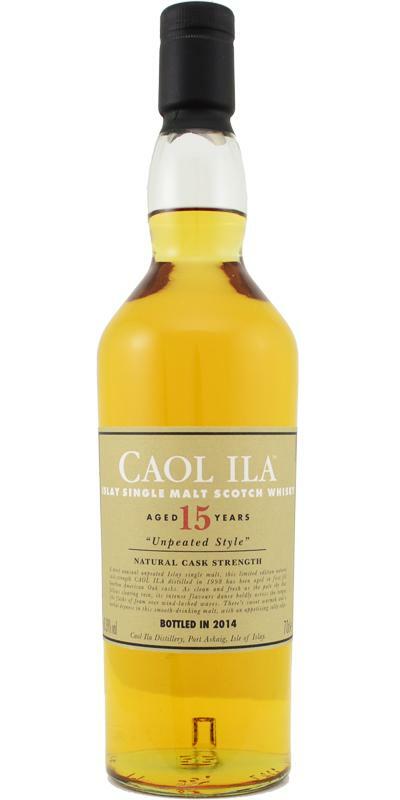 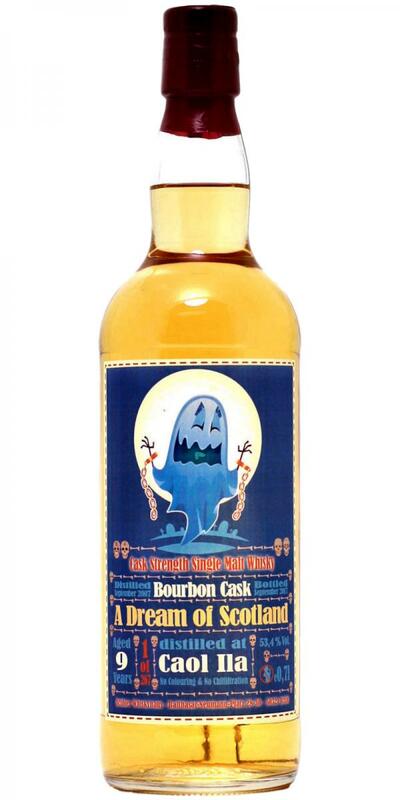 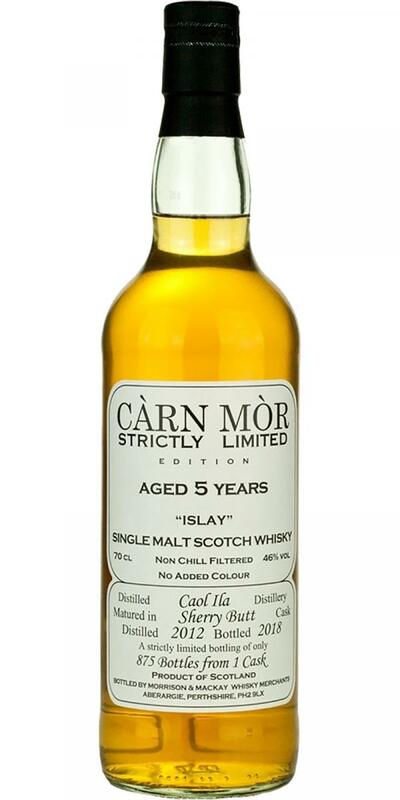 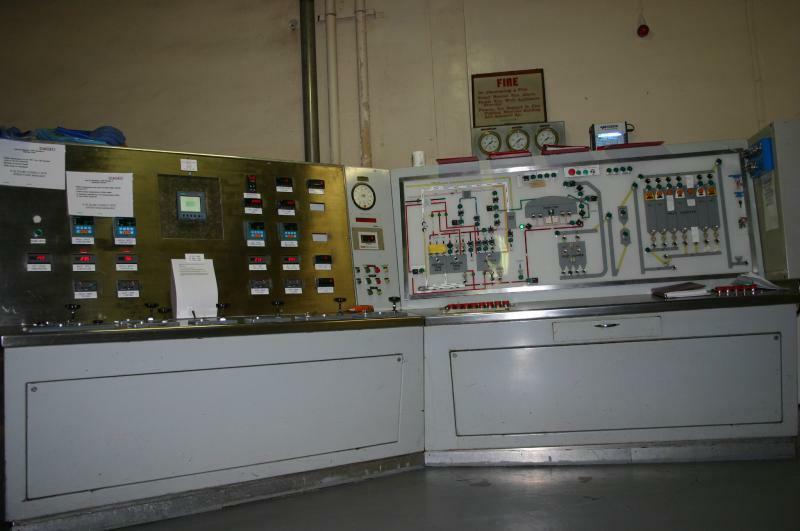 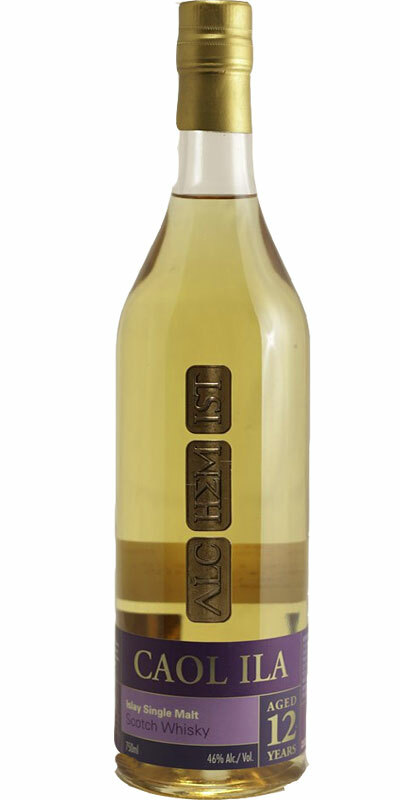 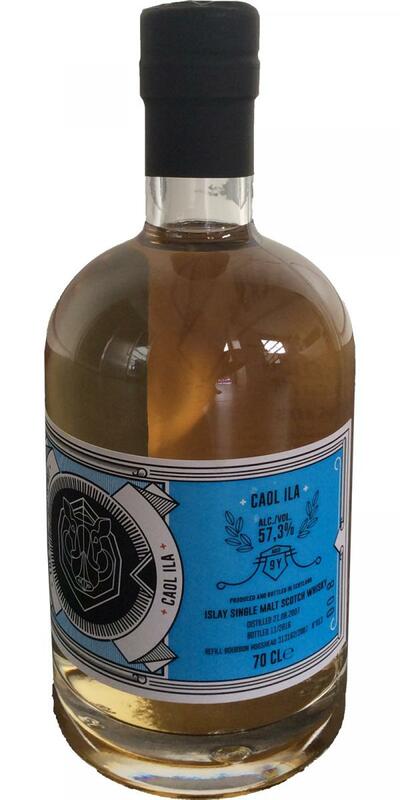 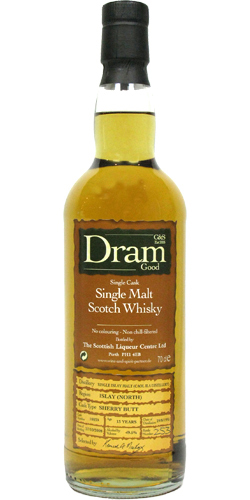 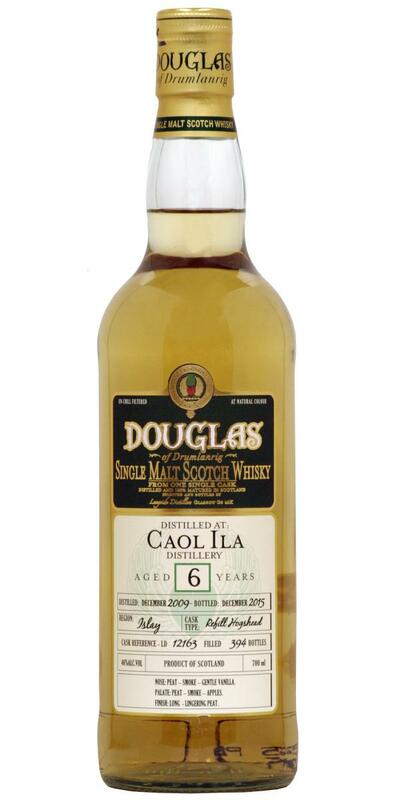 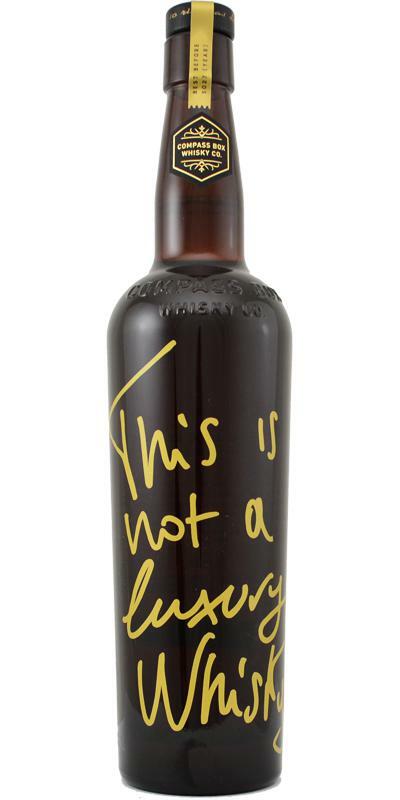 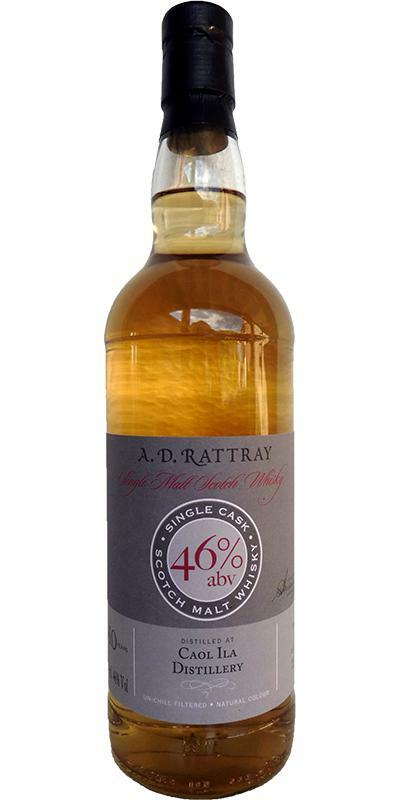 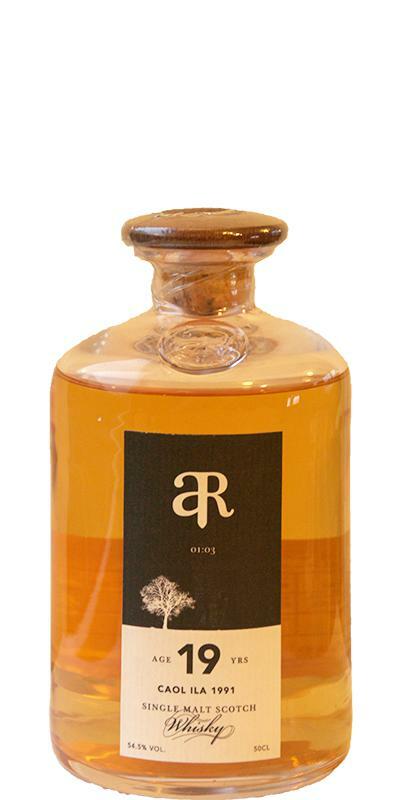 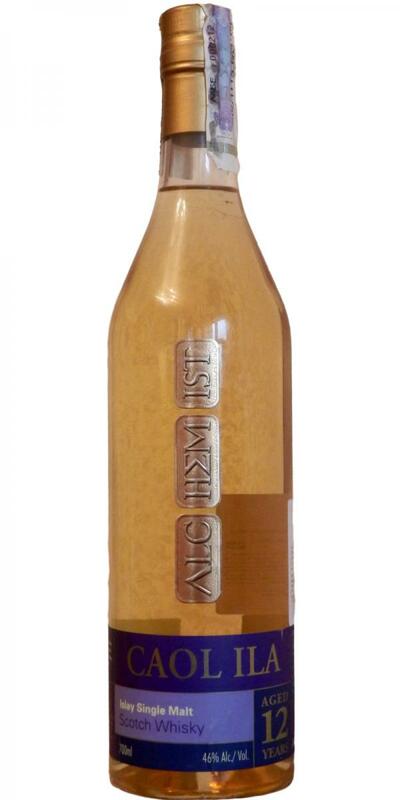 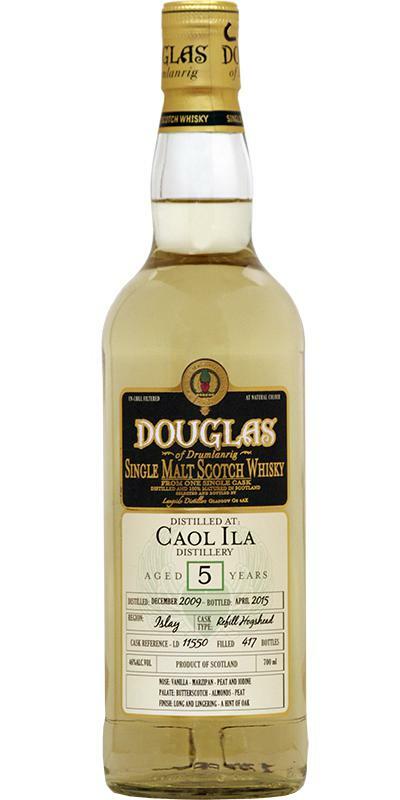 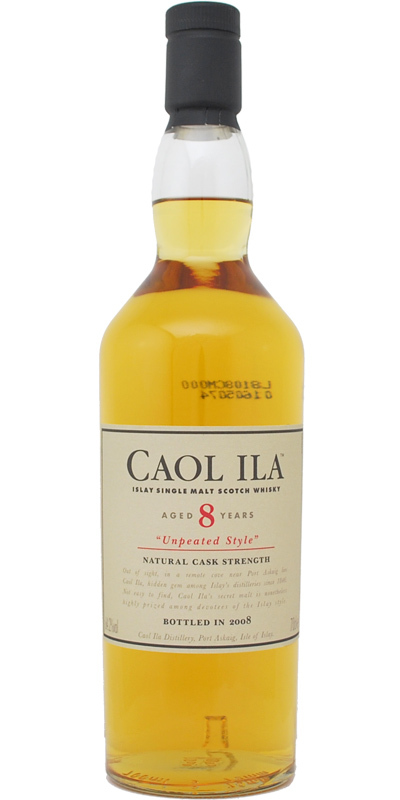 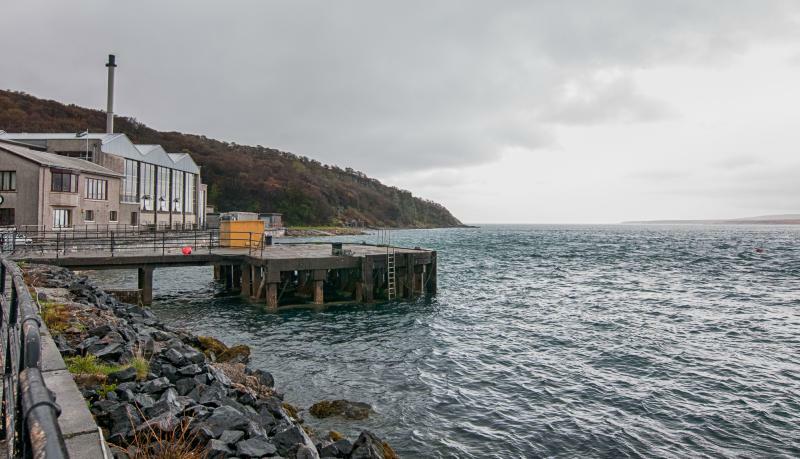 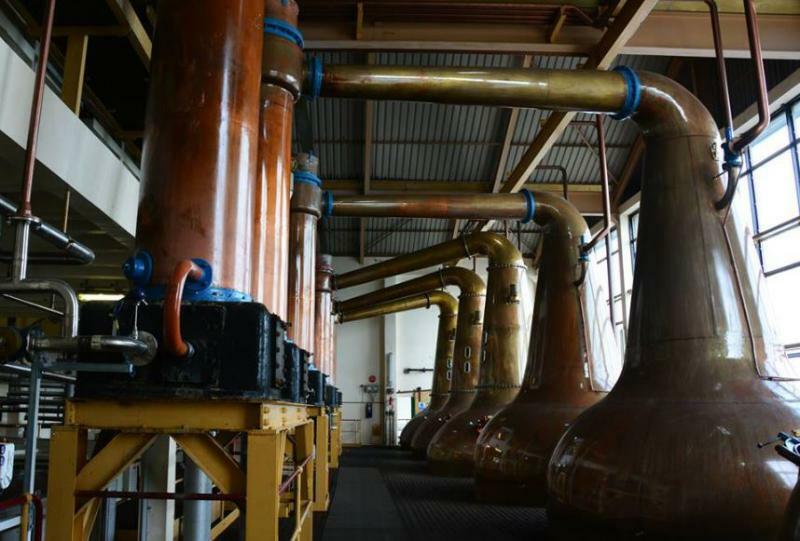 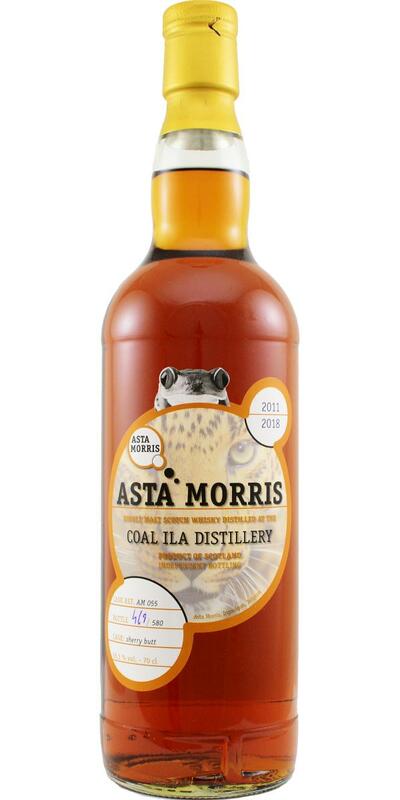 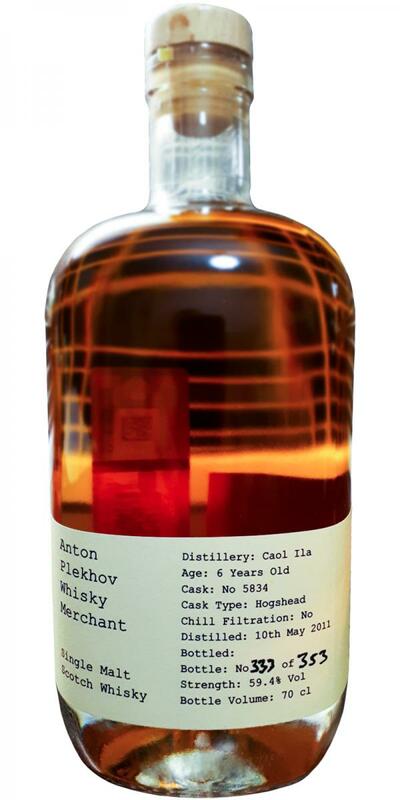 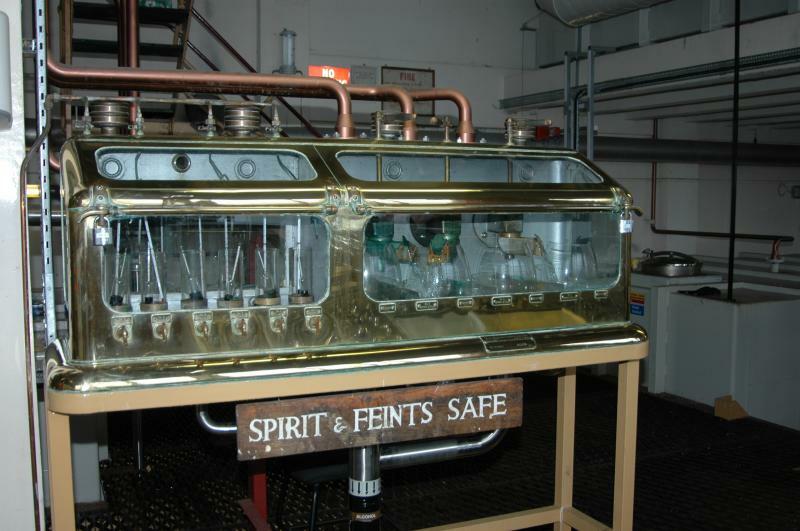 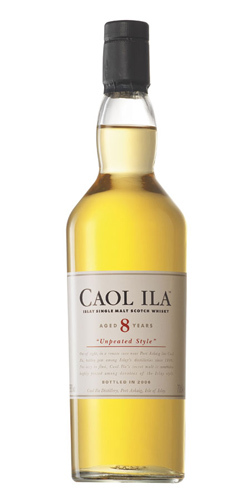 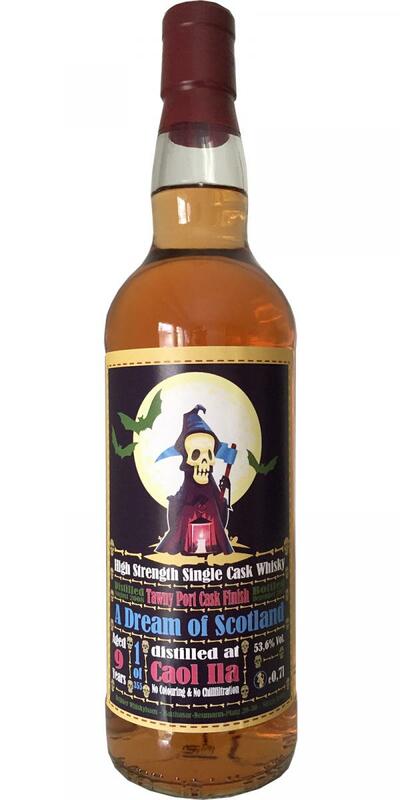 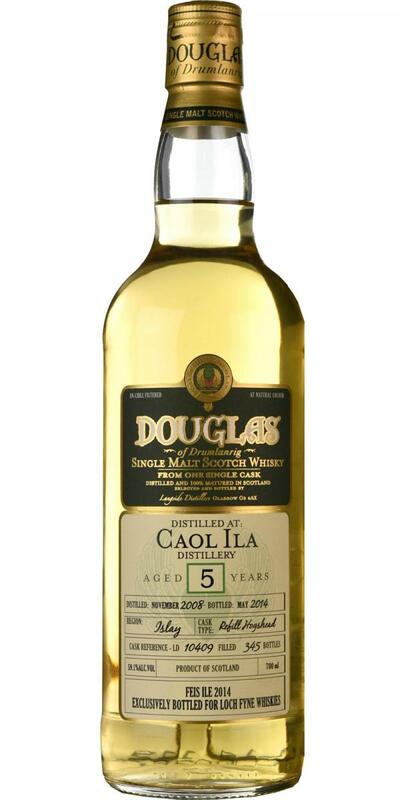 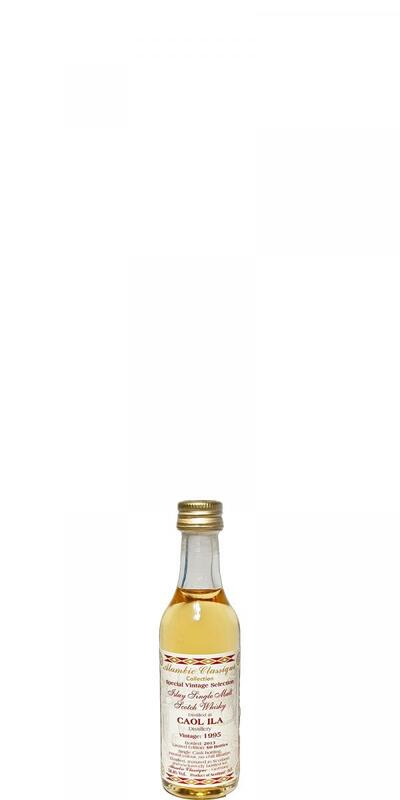 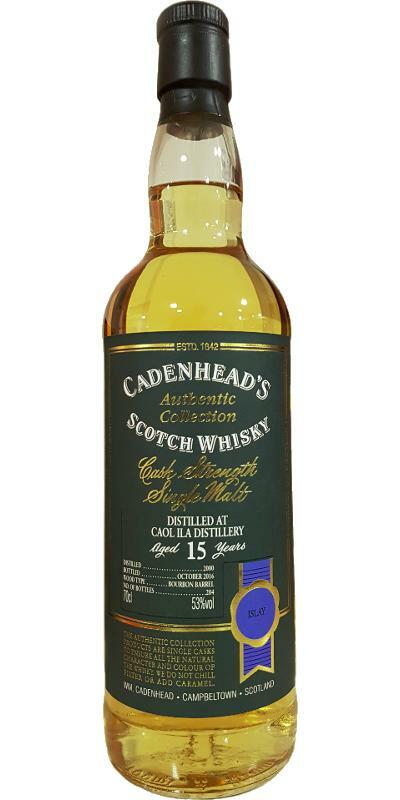 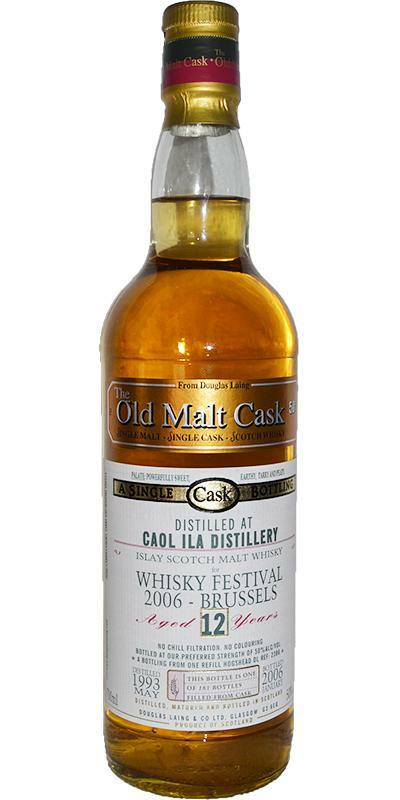 Caol Ila Cask Strength 55.0 % Vol. 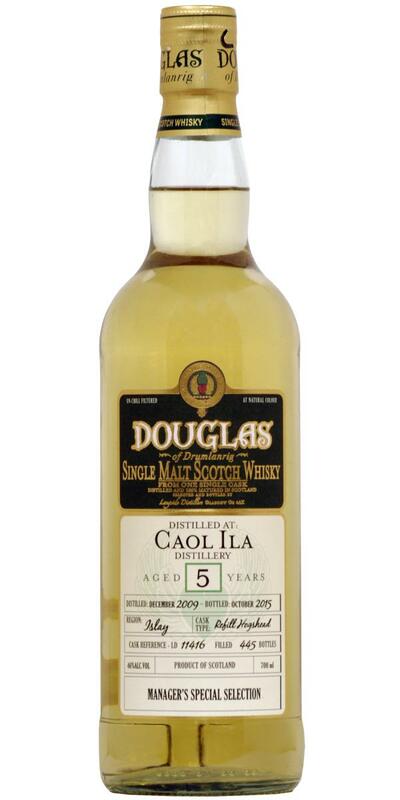 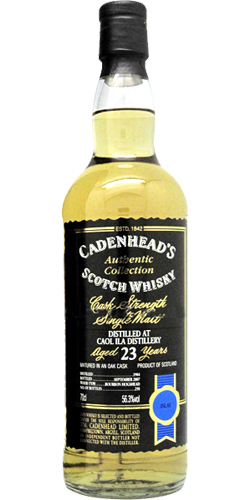 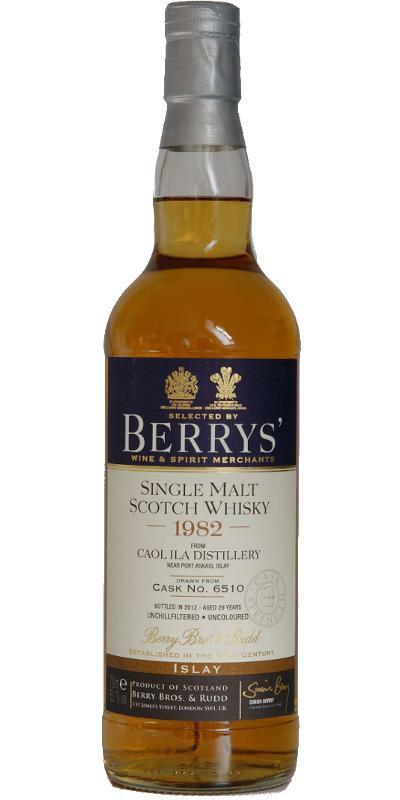 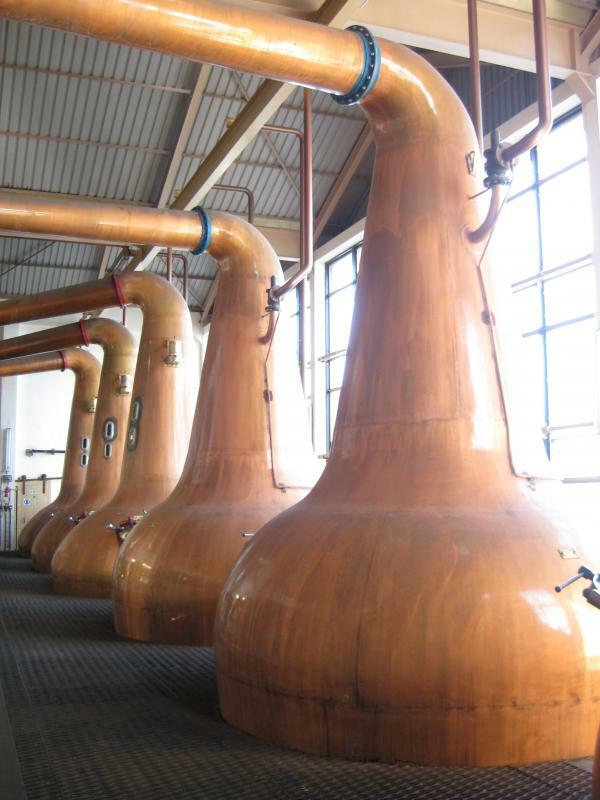 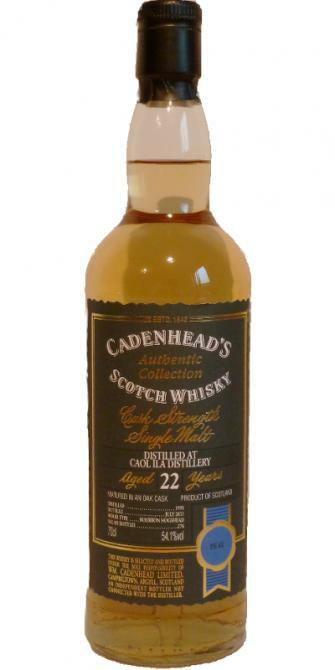 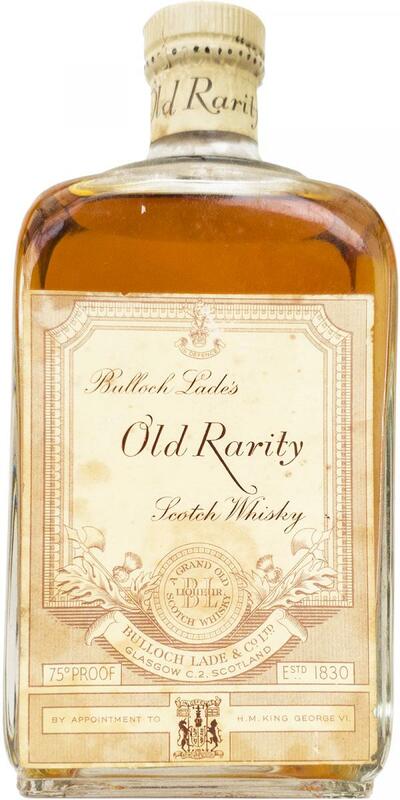 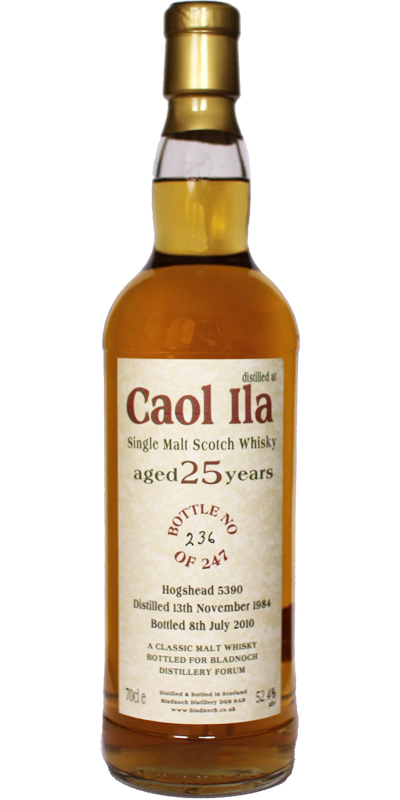 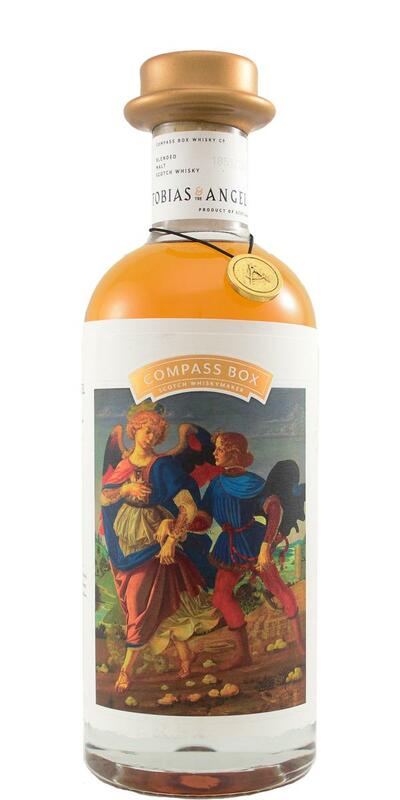 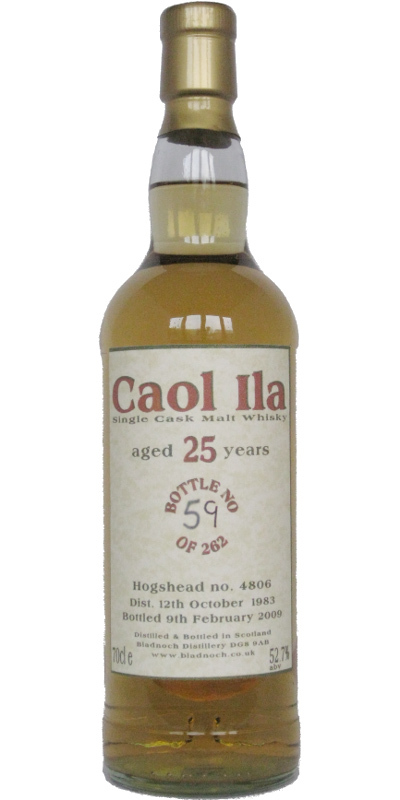 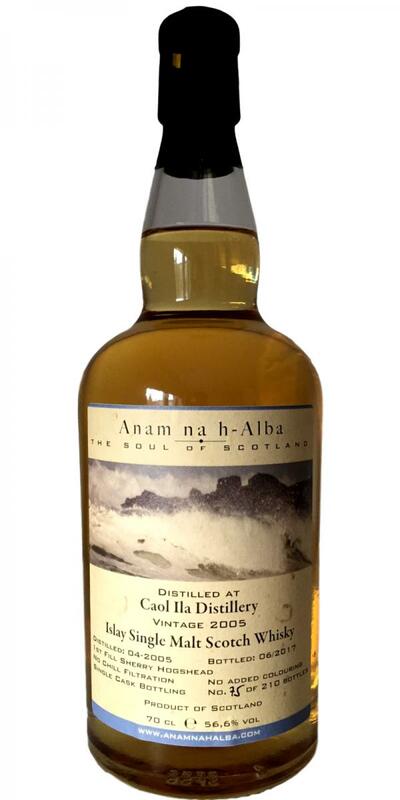 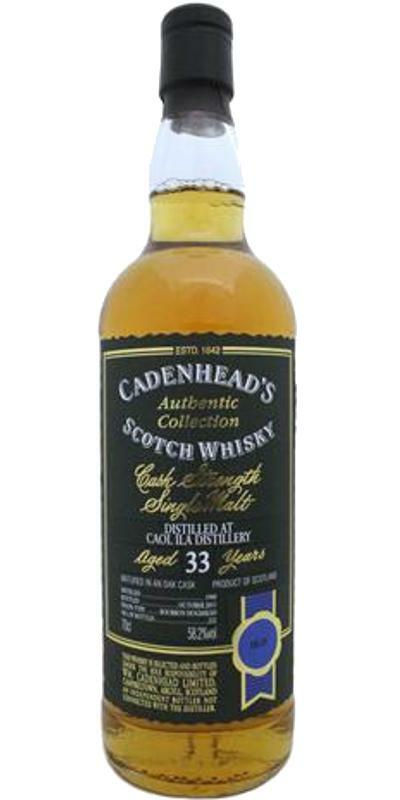 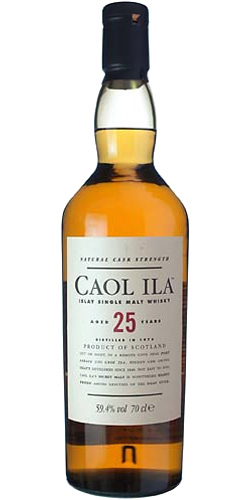 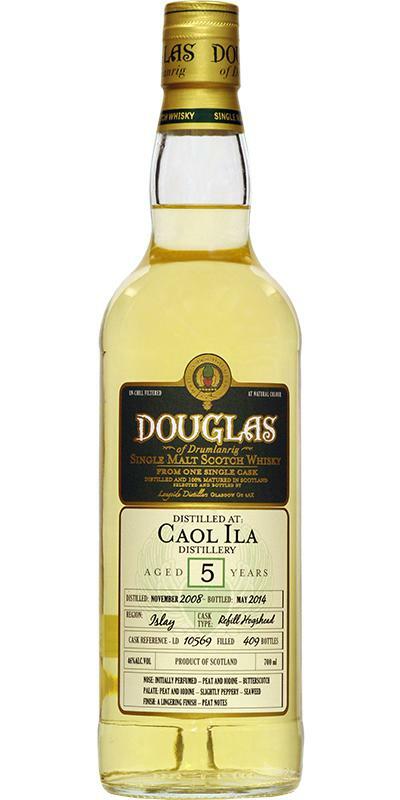 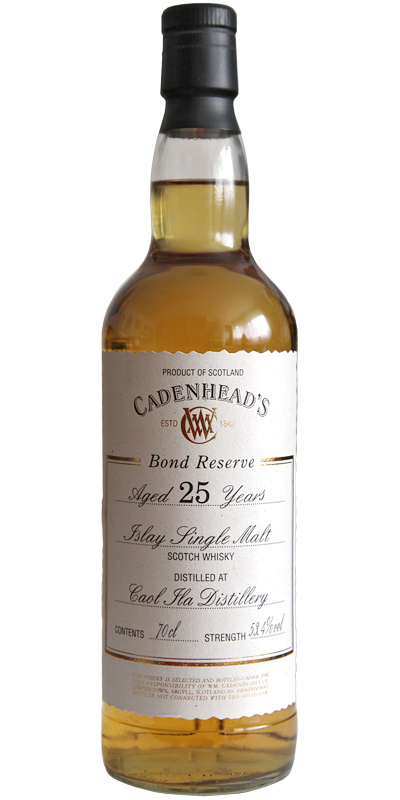 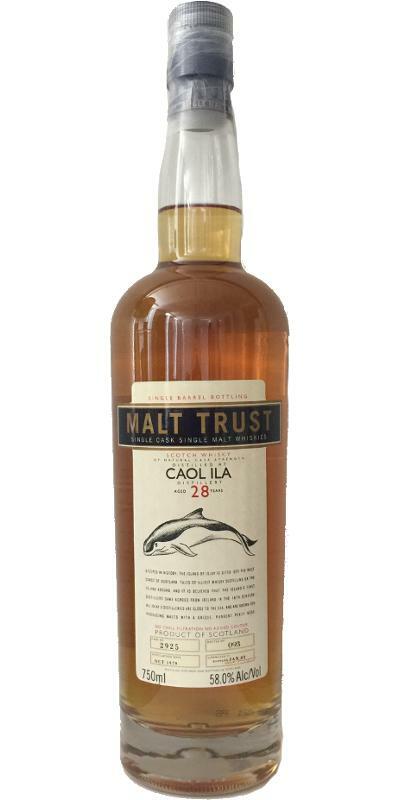 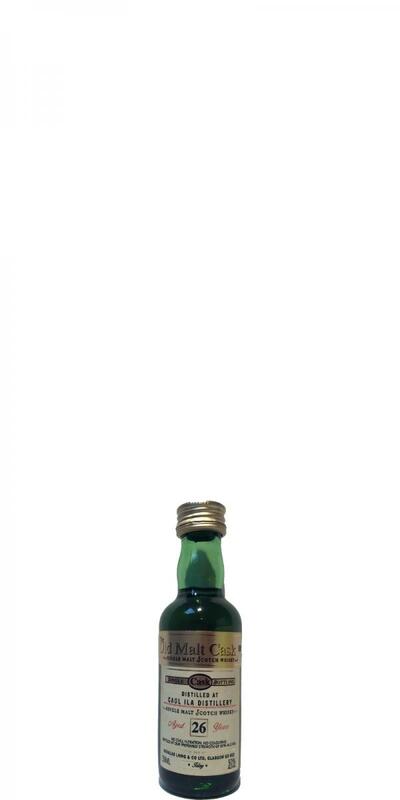 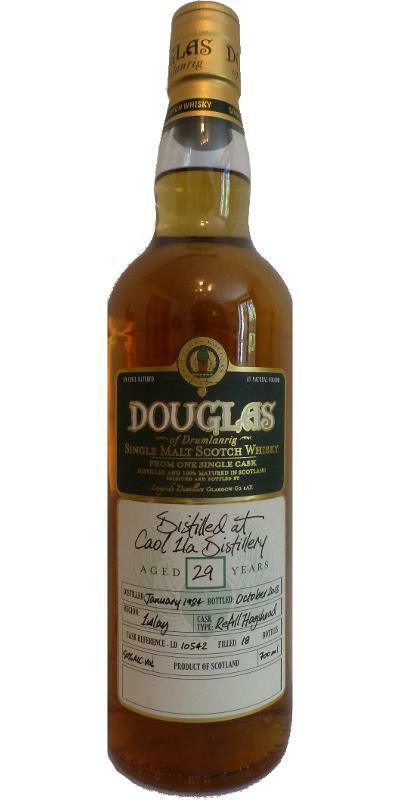 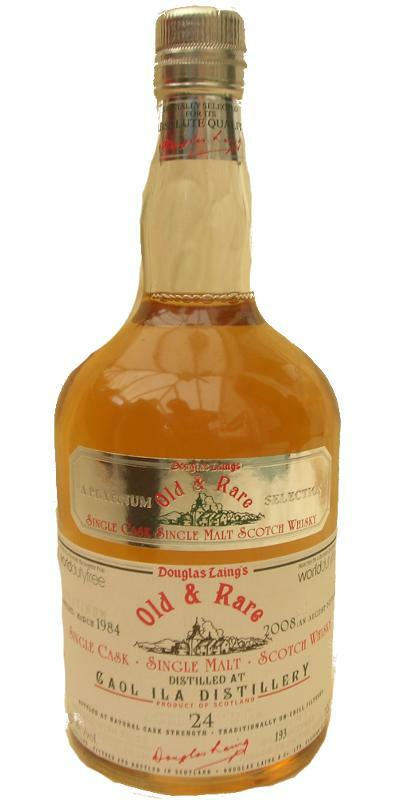 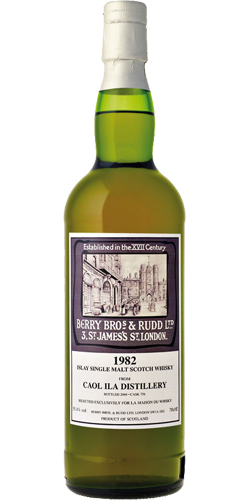 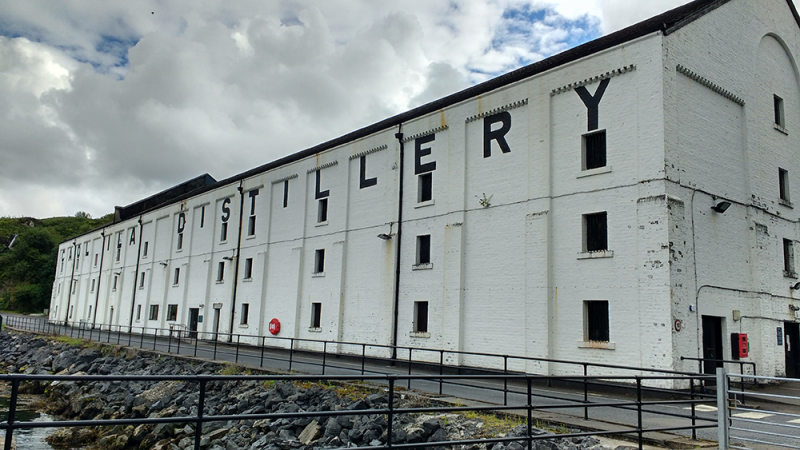 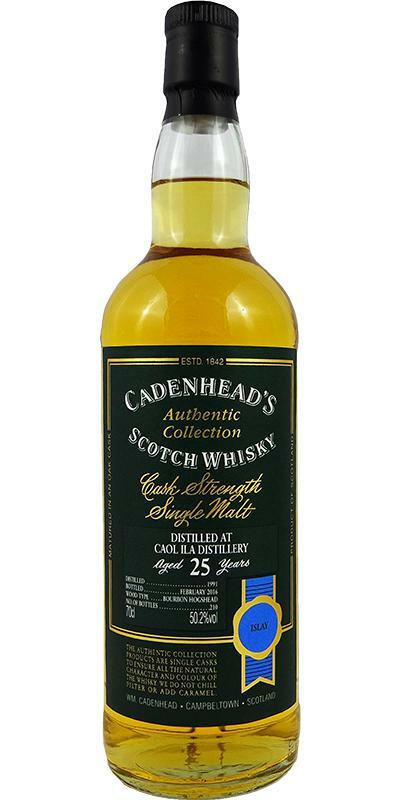 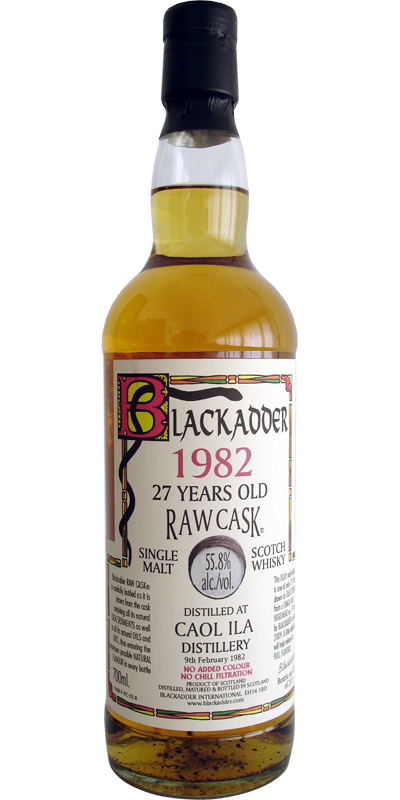 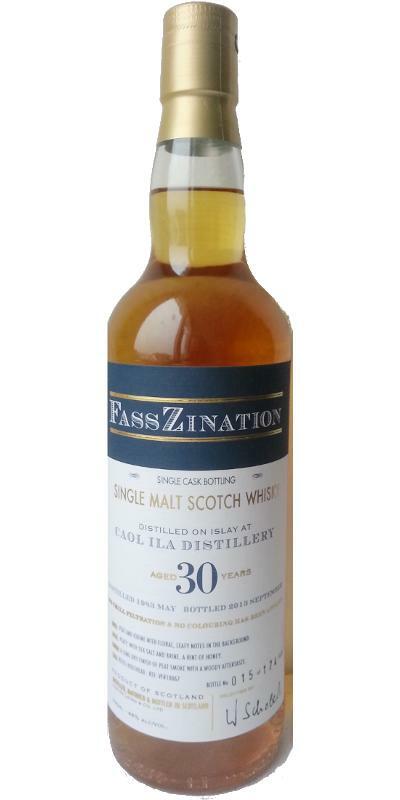 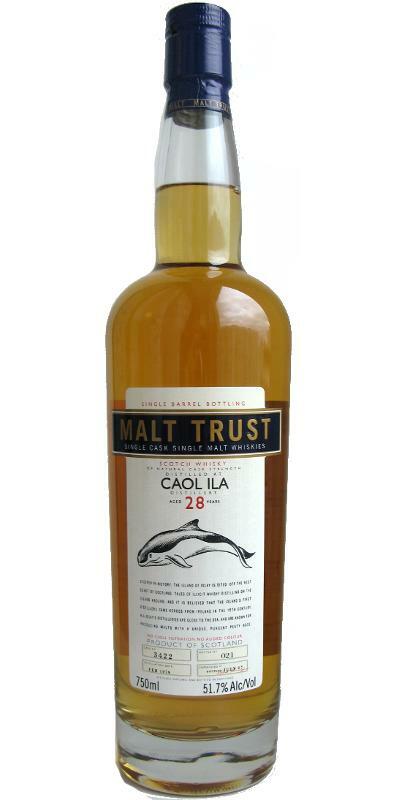 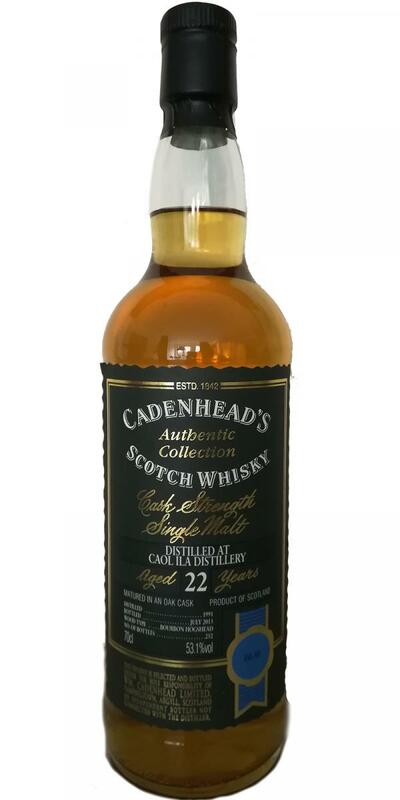 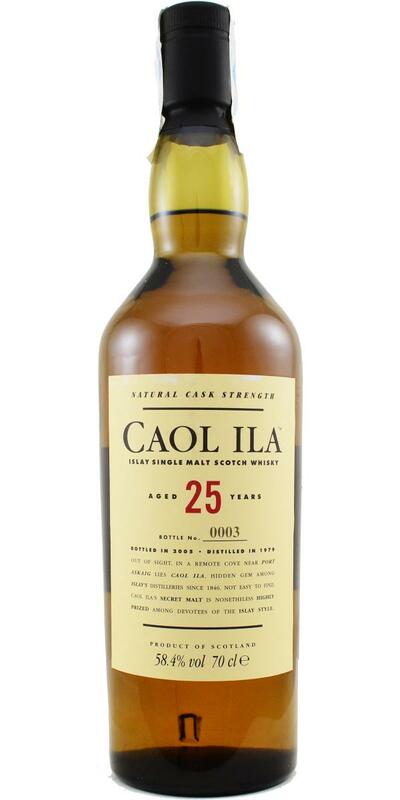 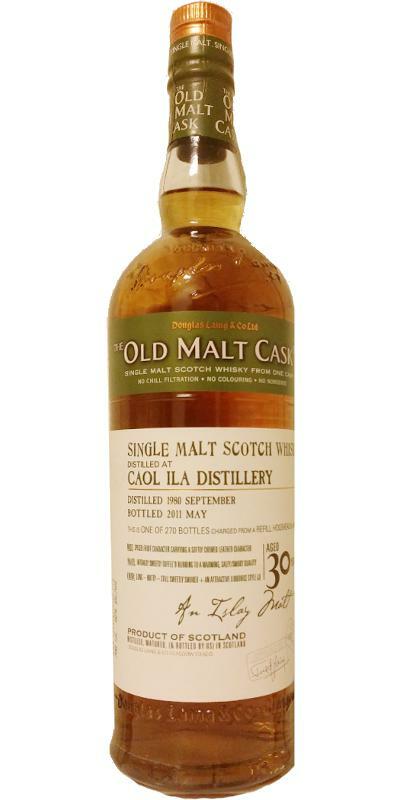 Caol Ila 25-year-old BSW 25 43.0 % Vol. 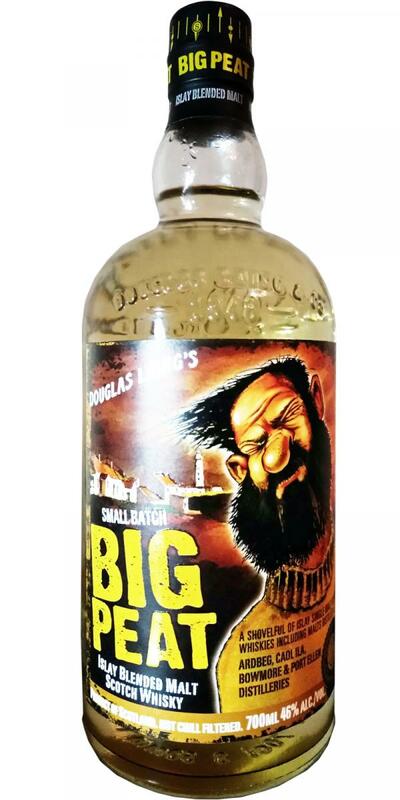 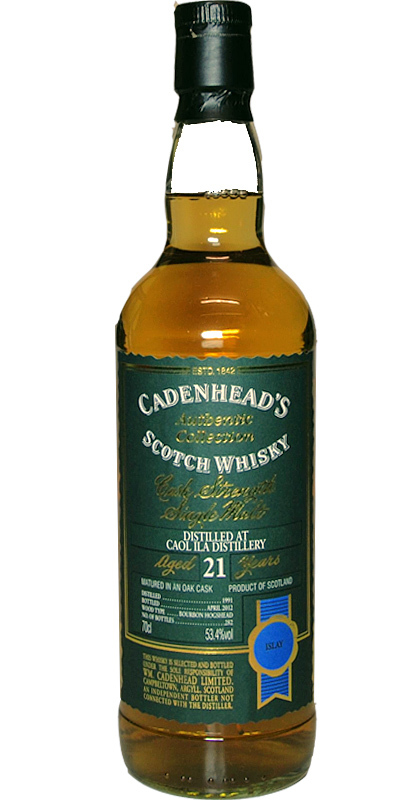 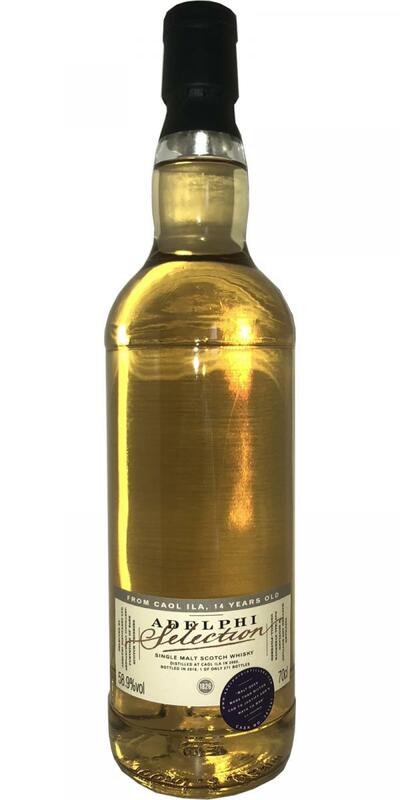 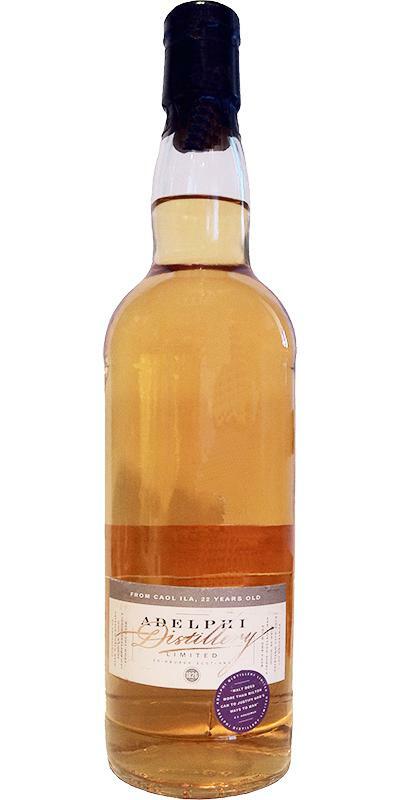 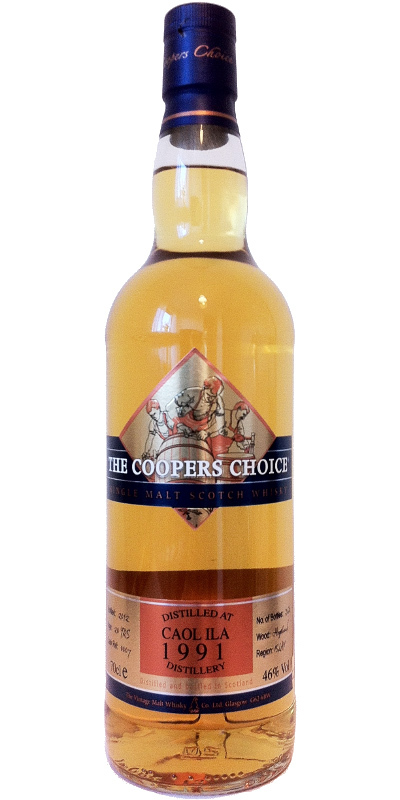 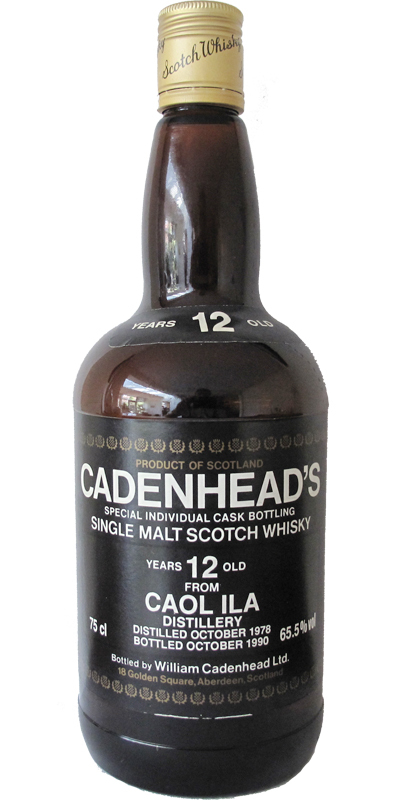 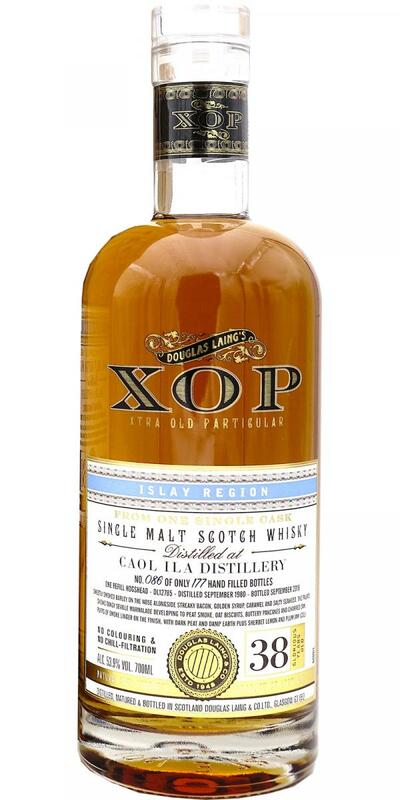 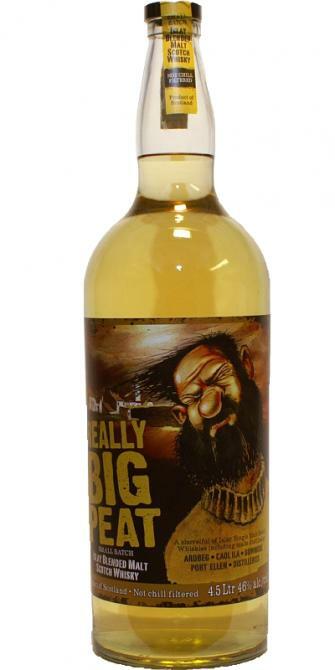 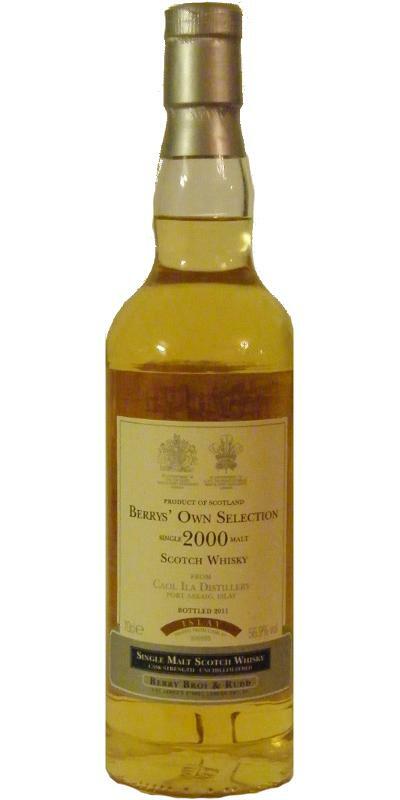 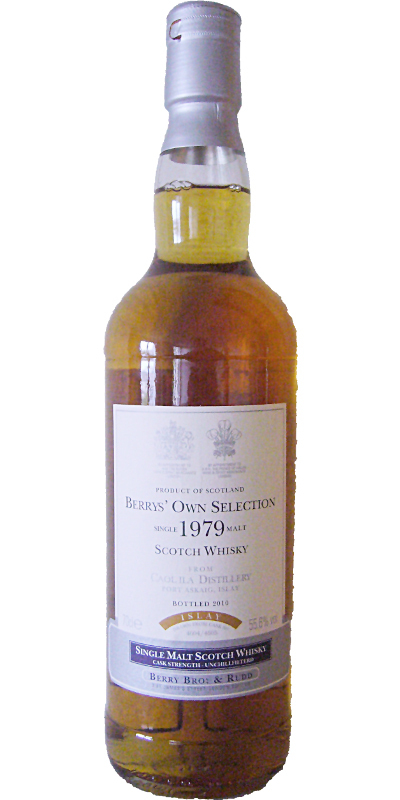 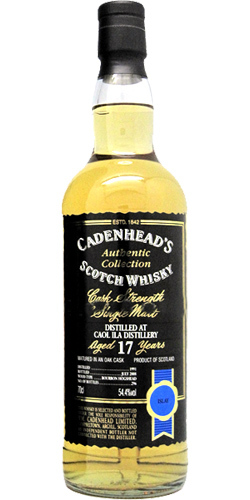 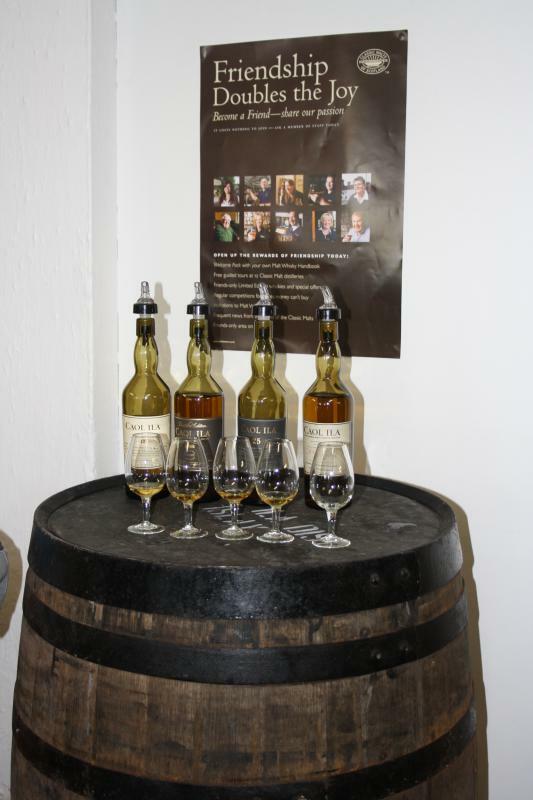 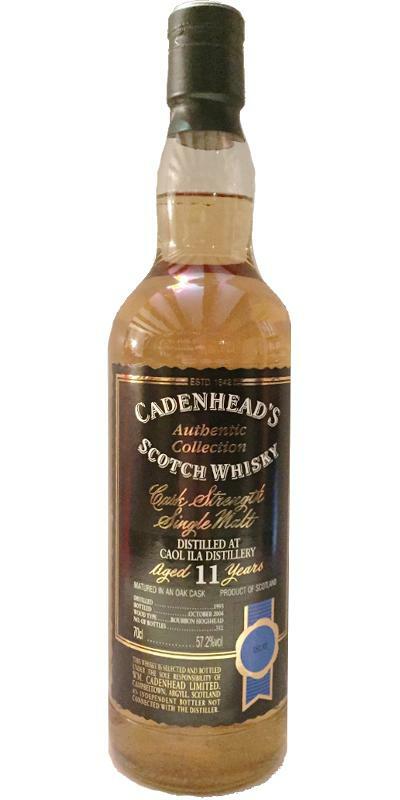 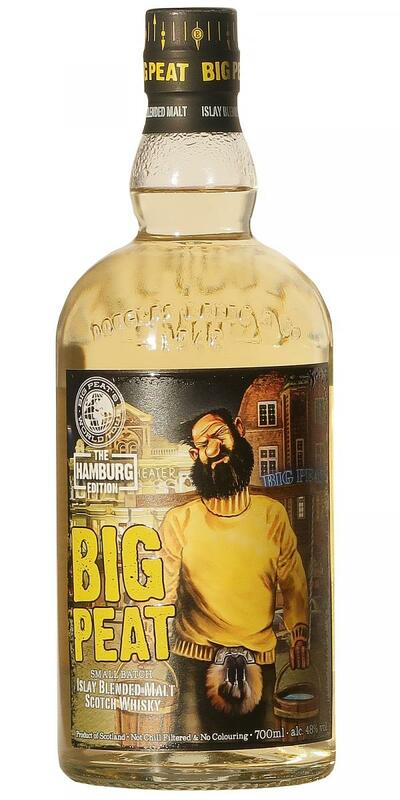 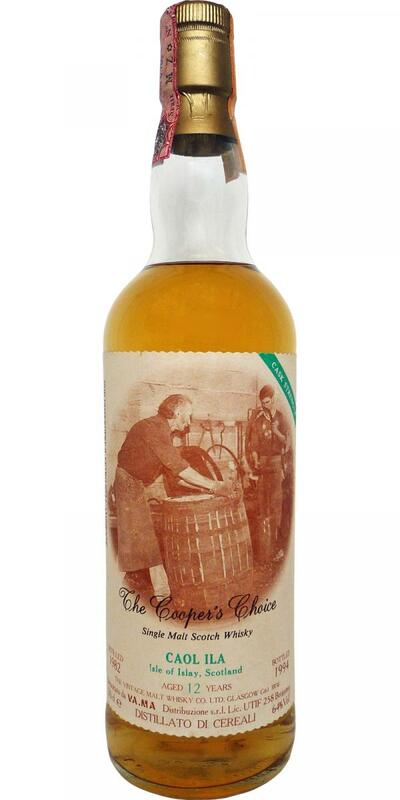 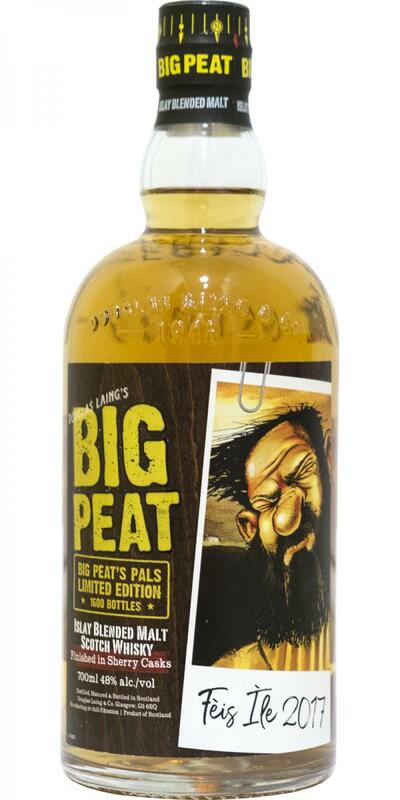 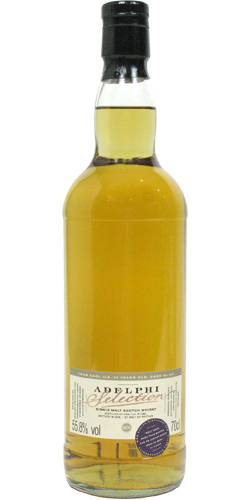 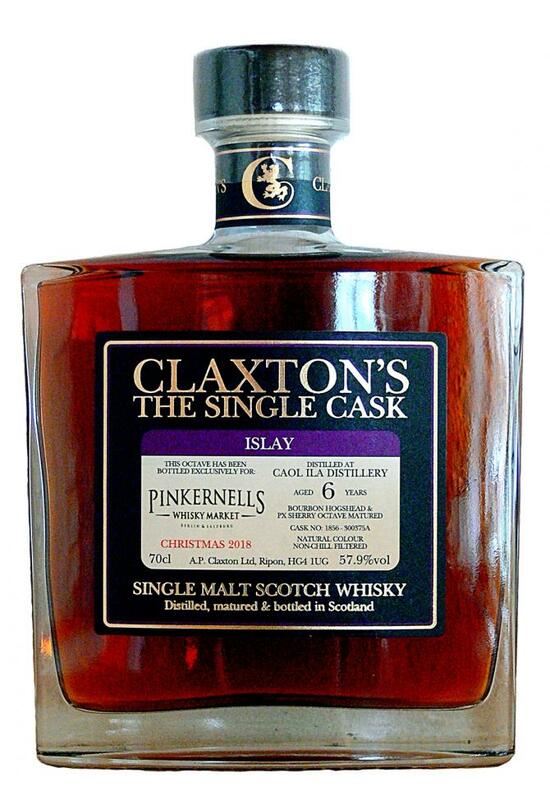 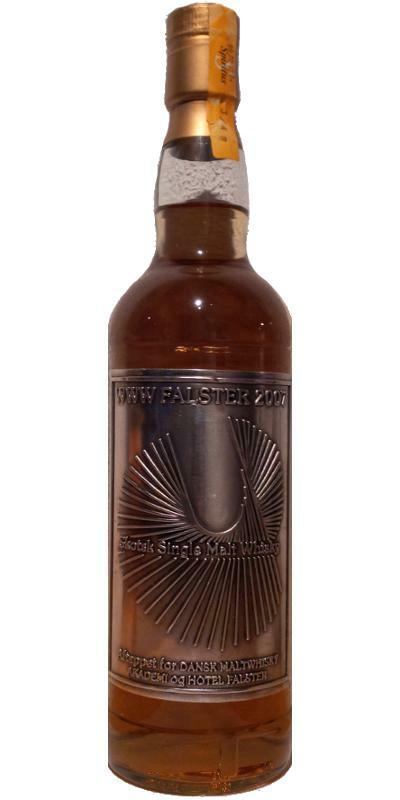 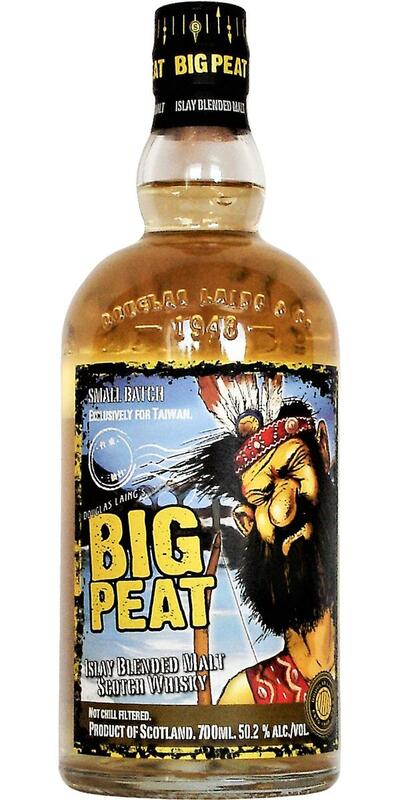 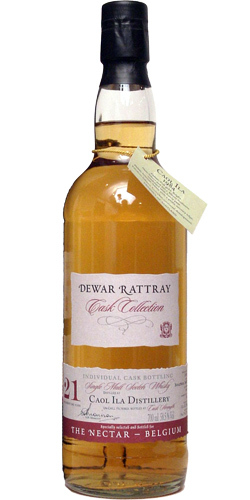 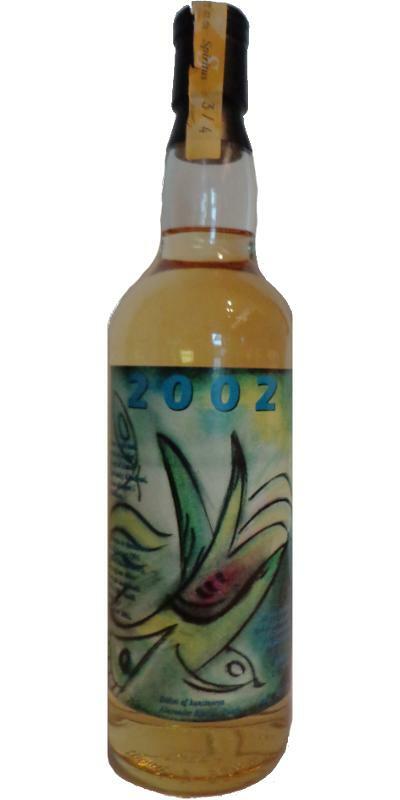 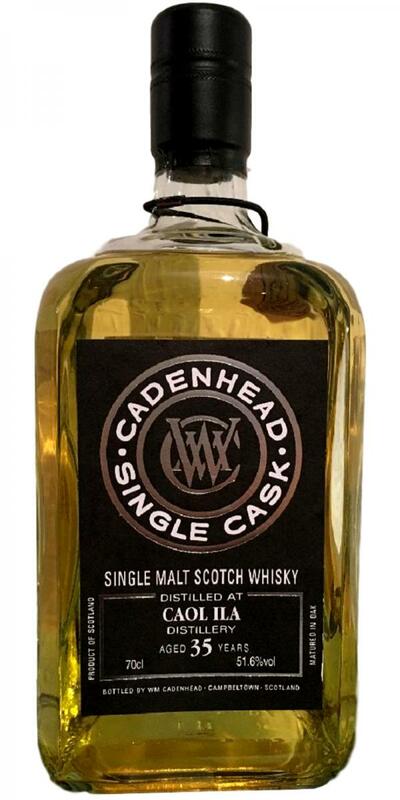 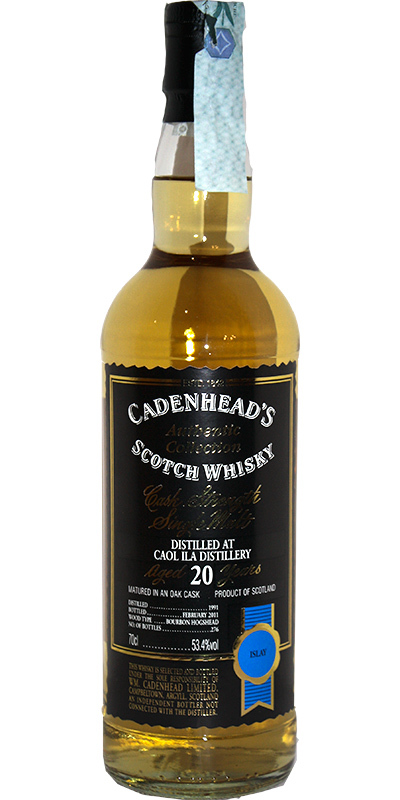 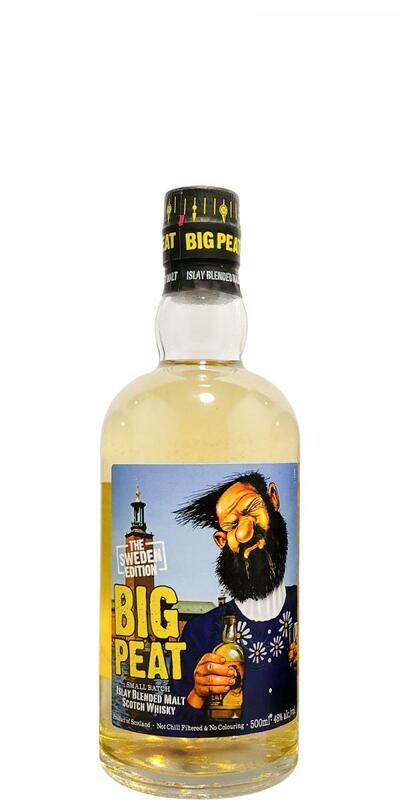 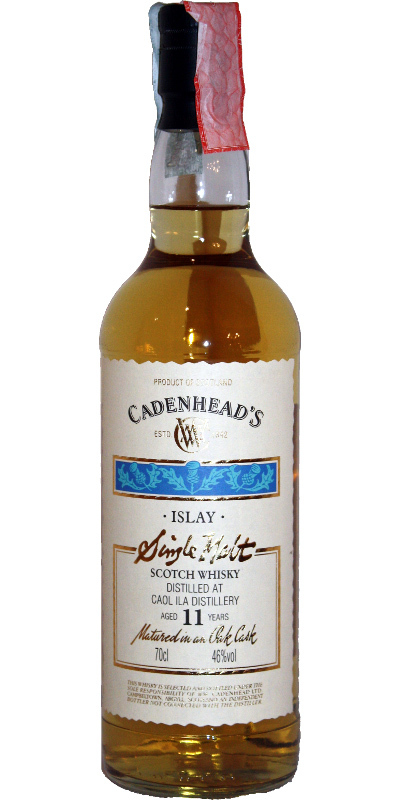 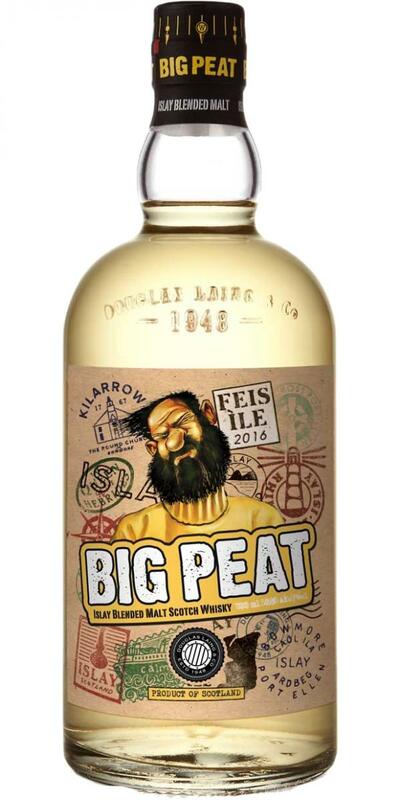 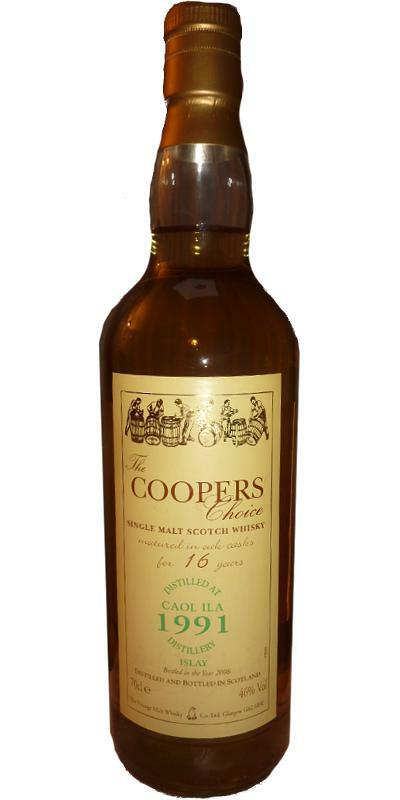 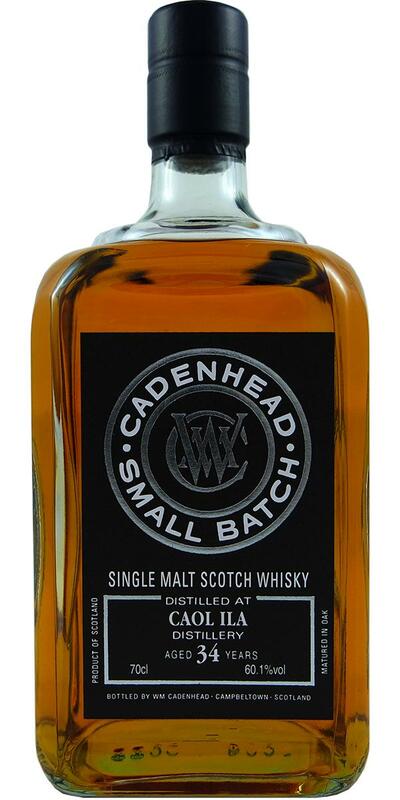 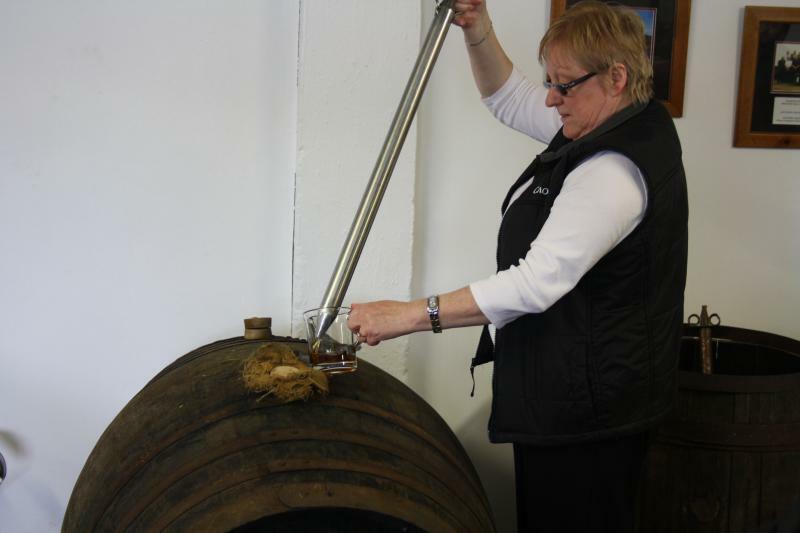 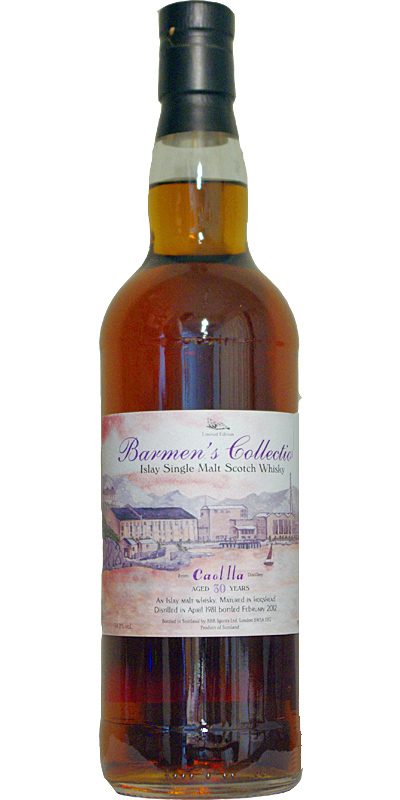 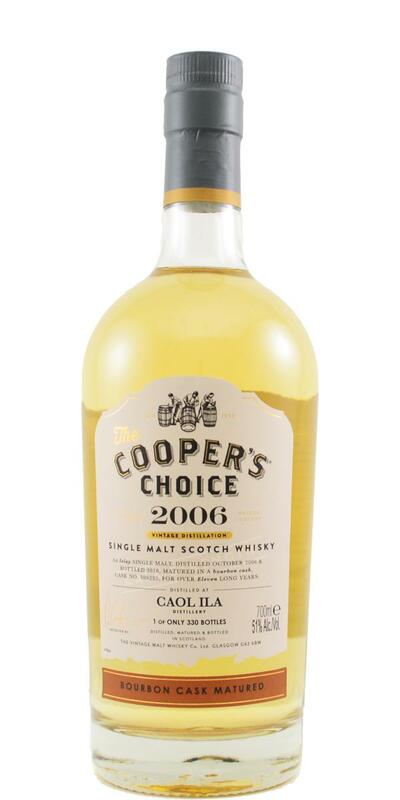 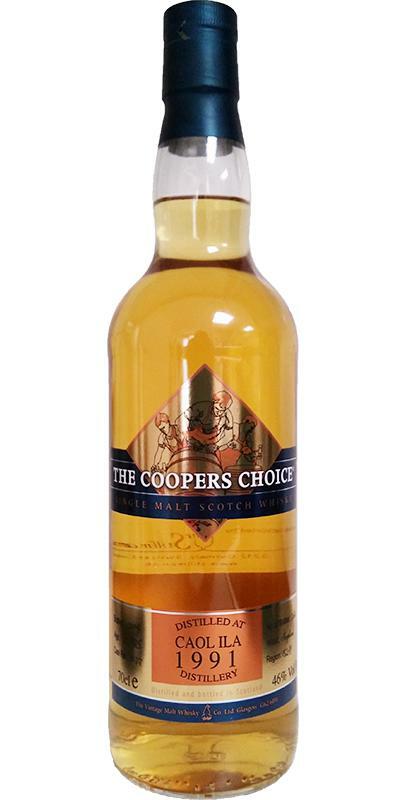 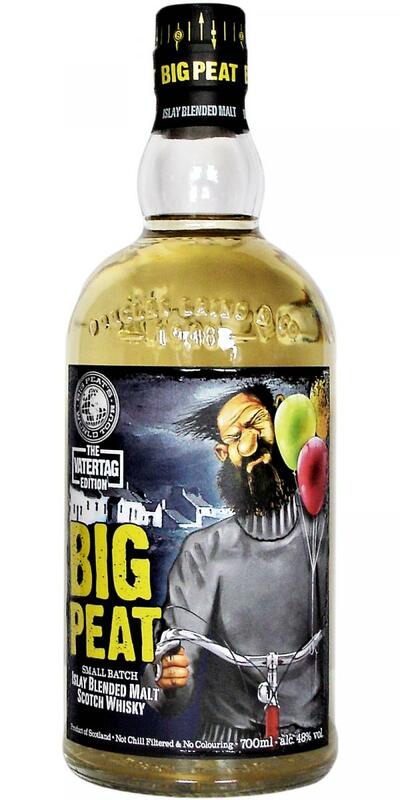 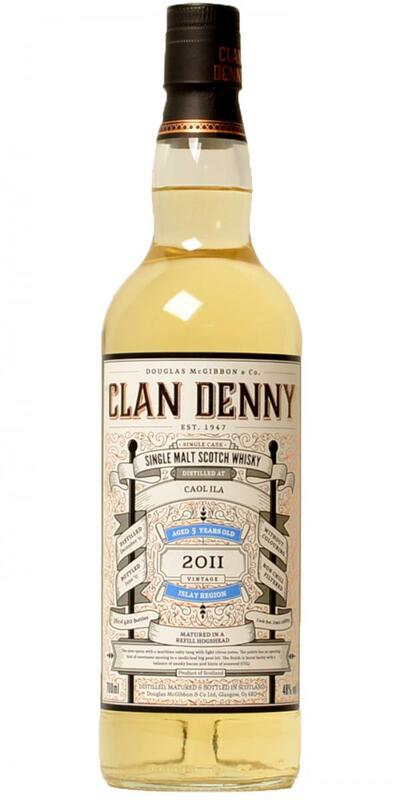 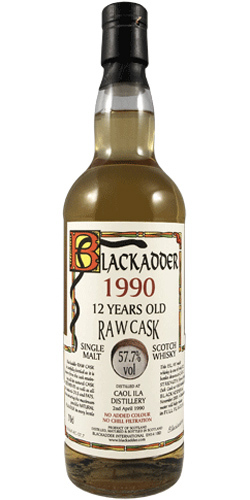 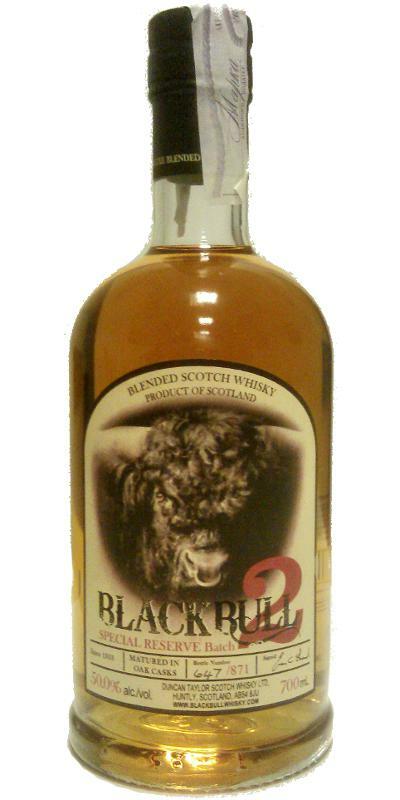 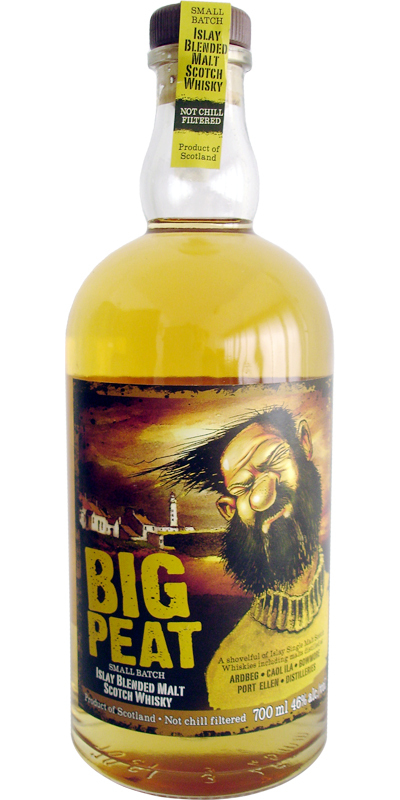 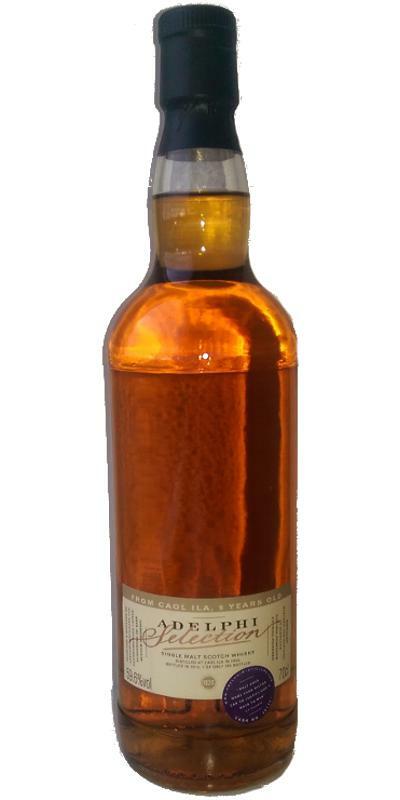 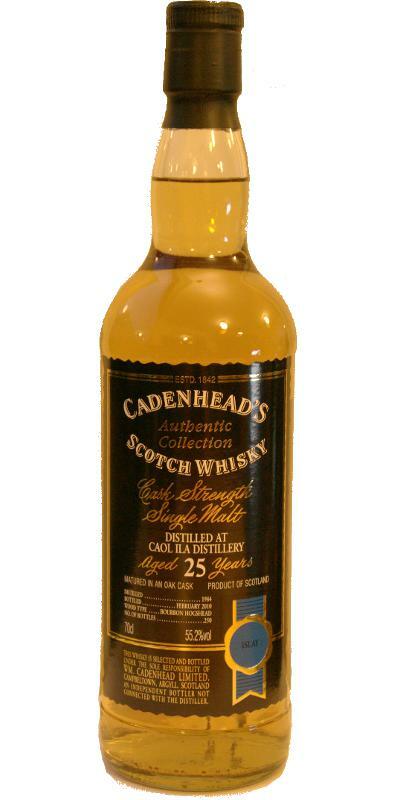 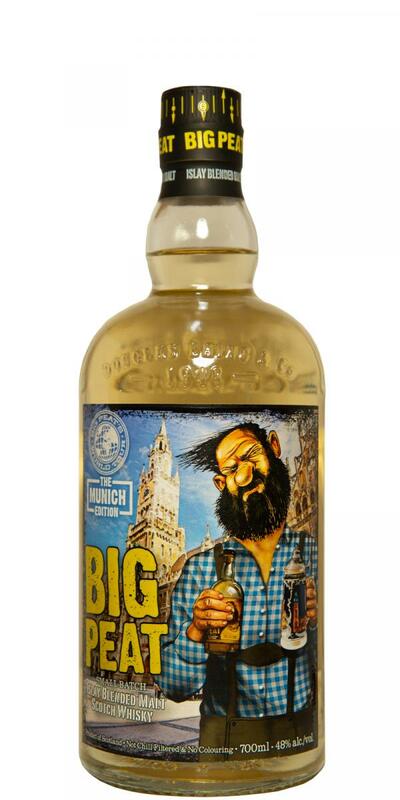 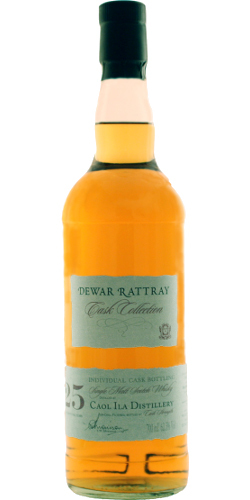 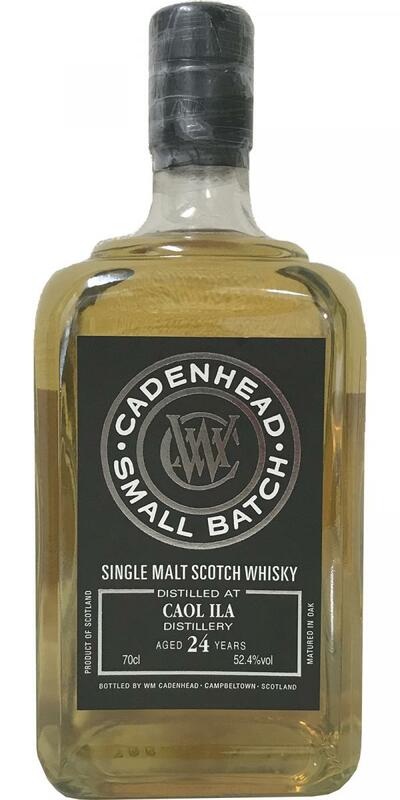 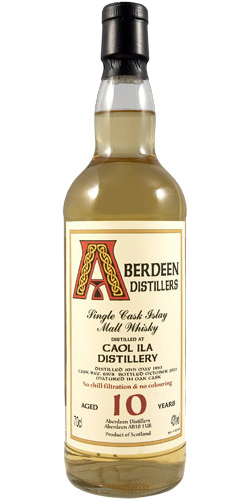 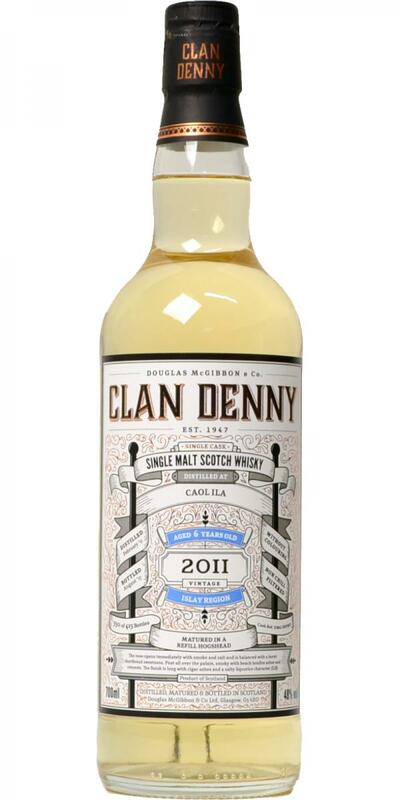 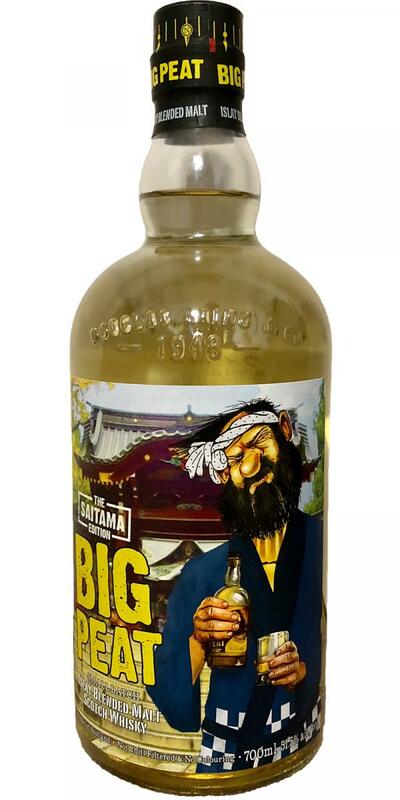 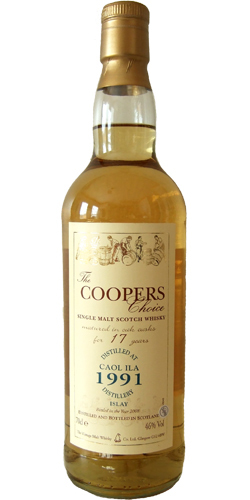 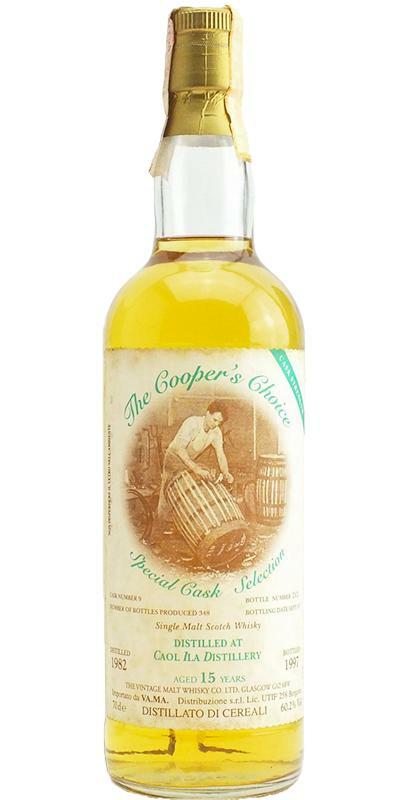 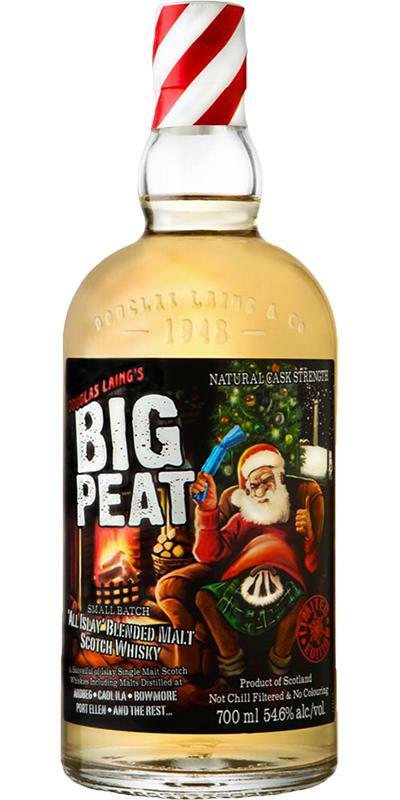 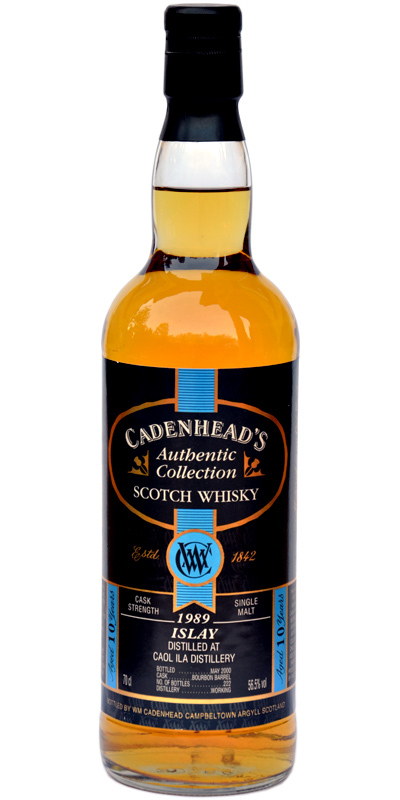 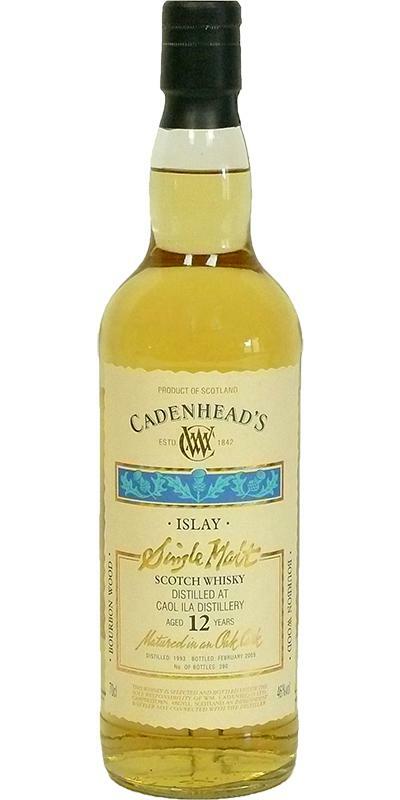 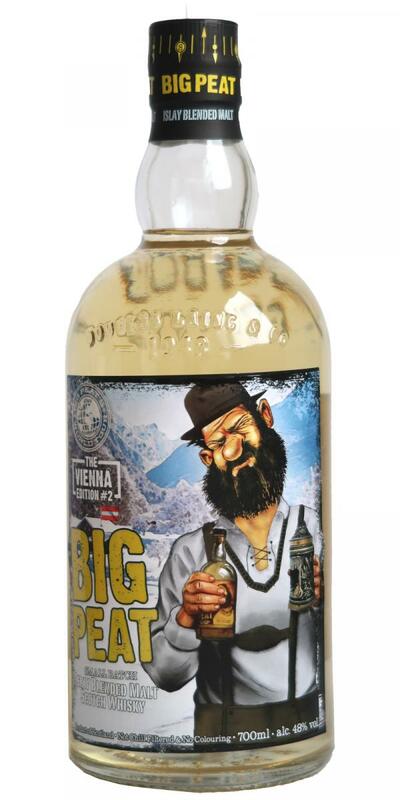 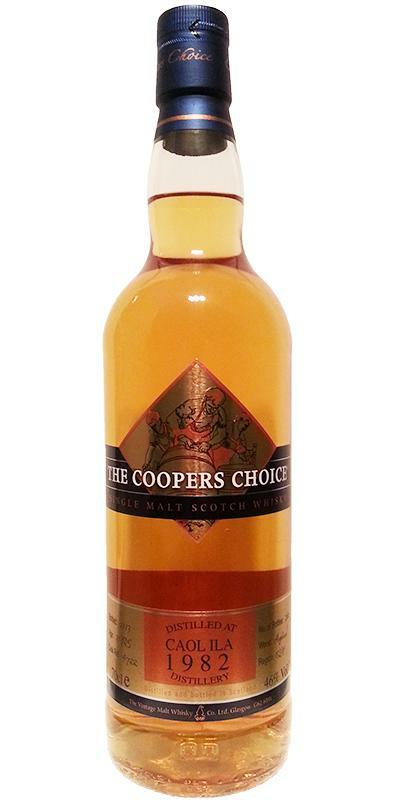 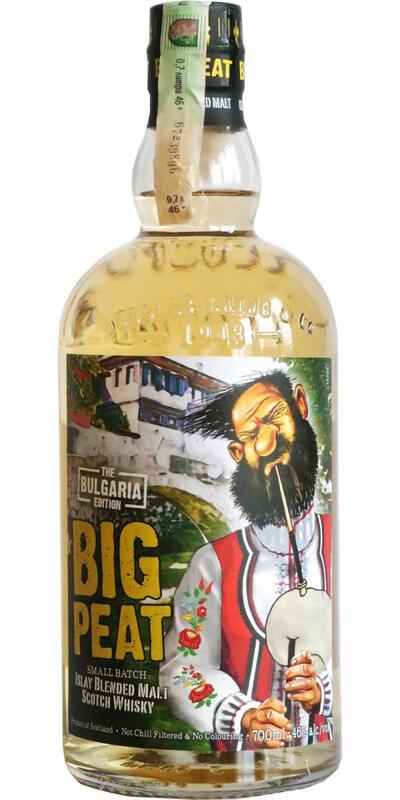 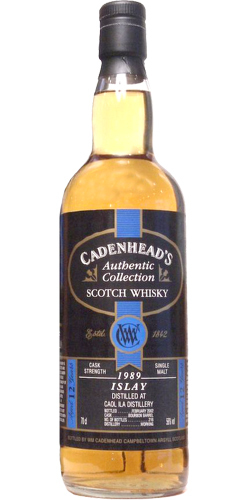 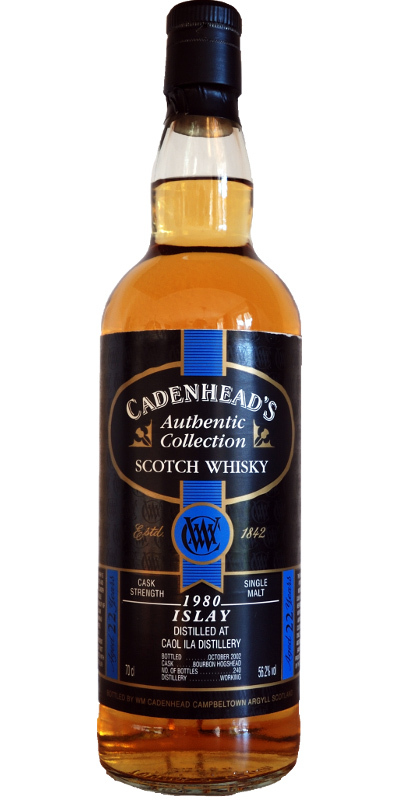 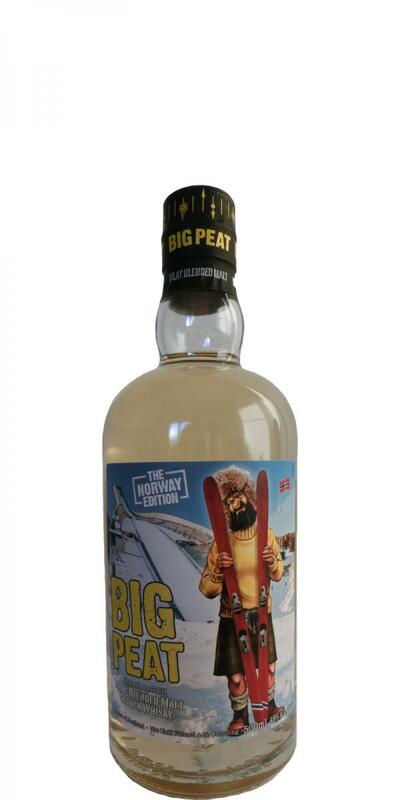 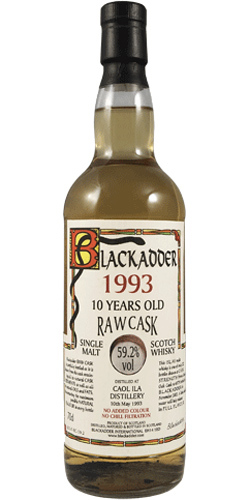 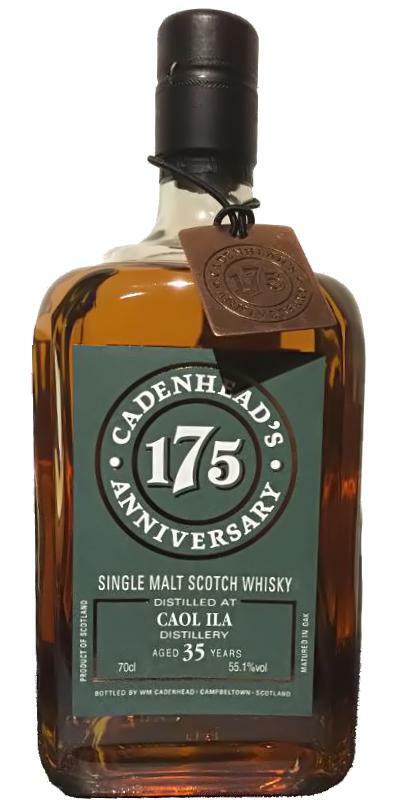 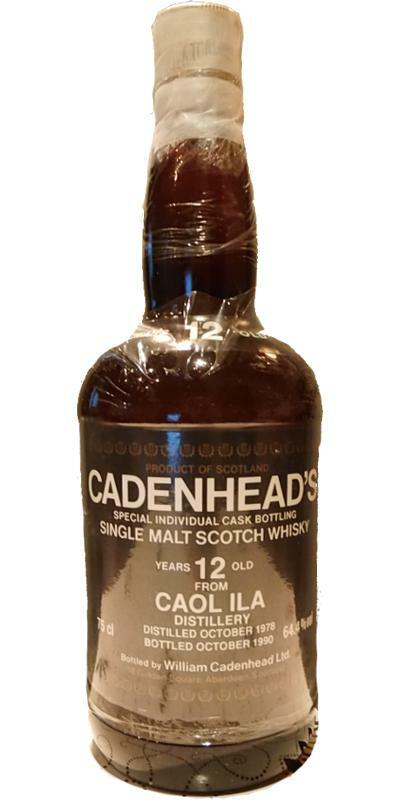 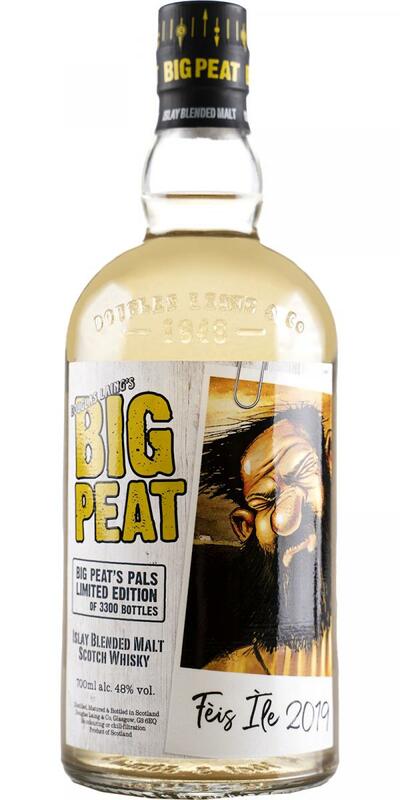 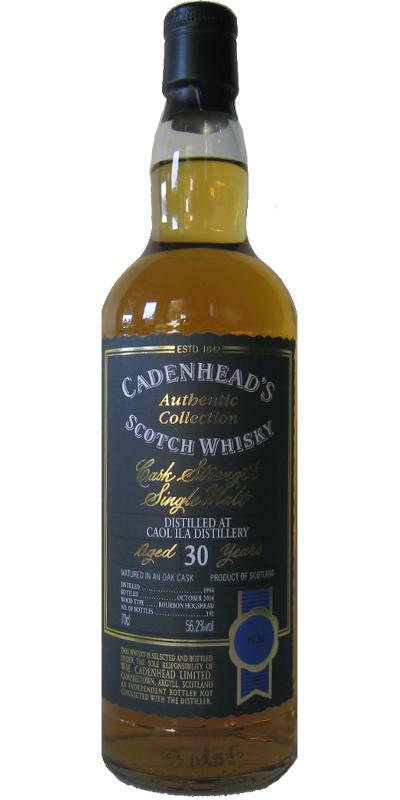 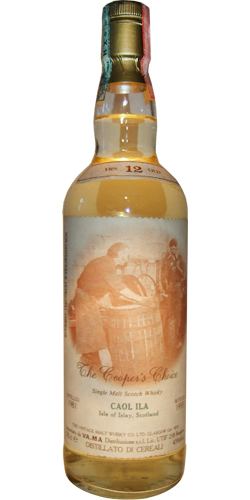 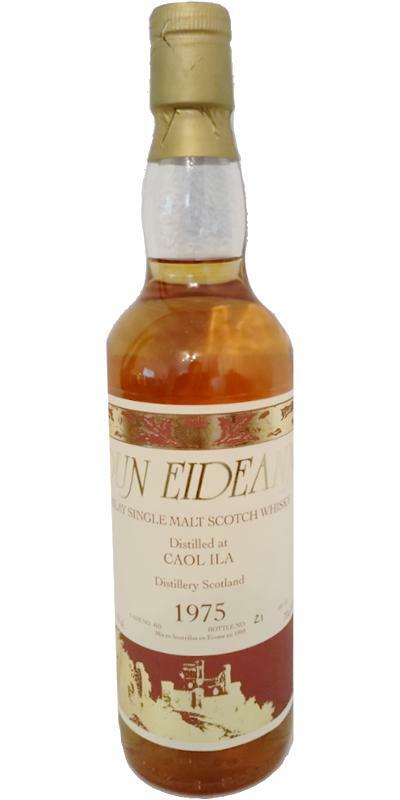 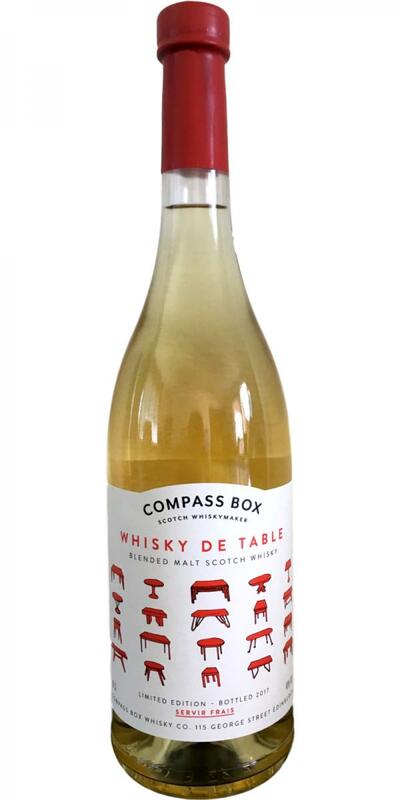 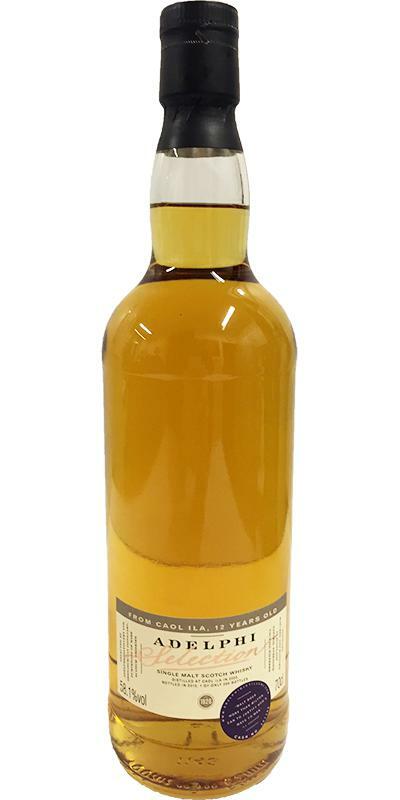 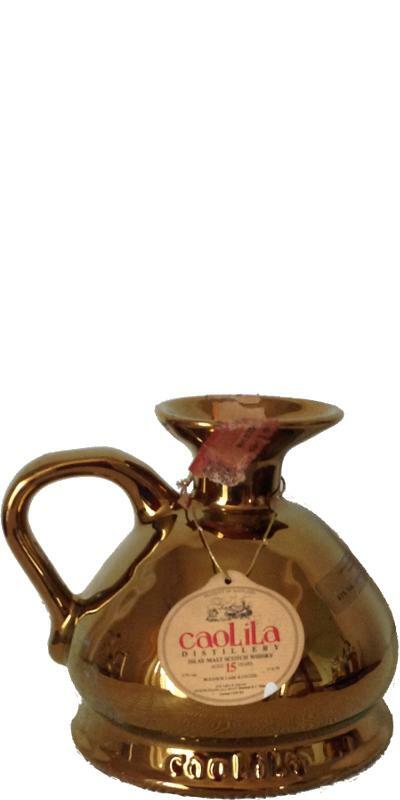 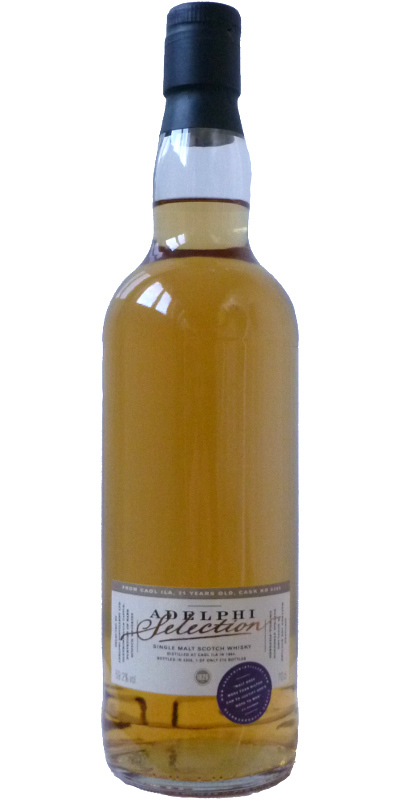 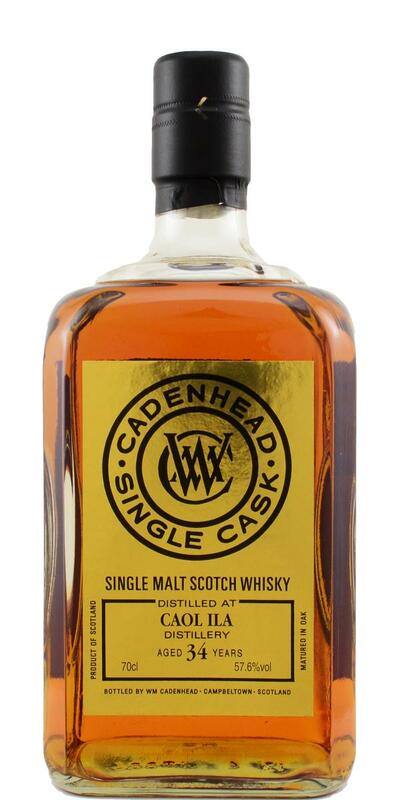 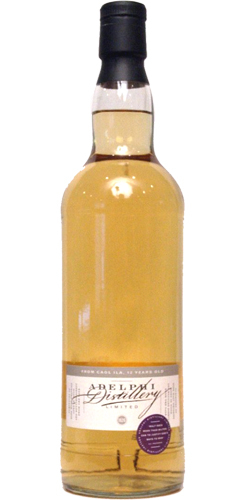 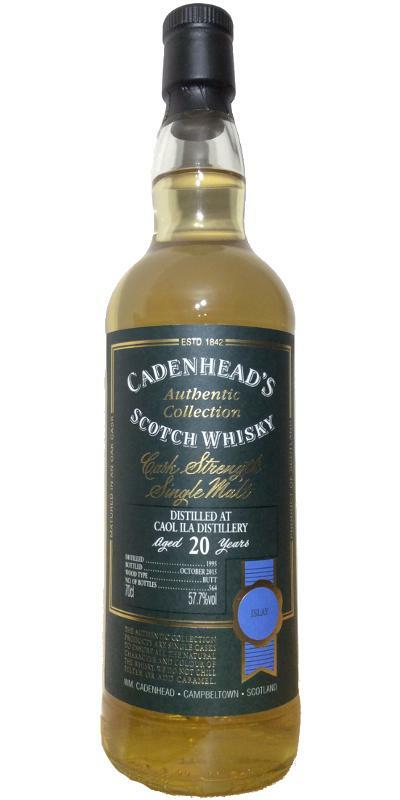 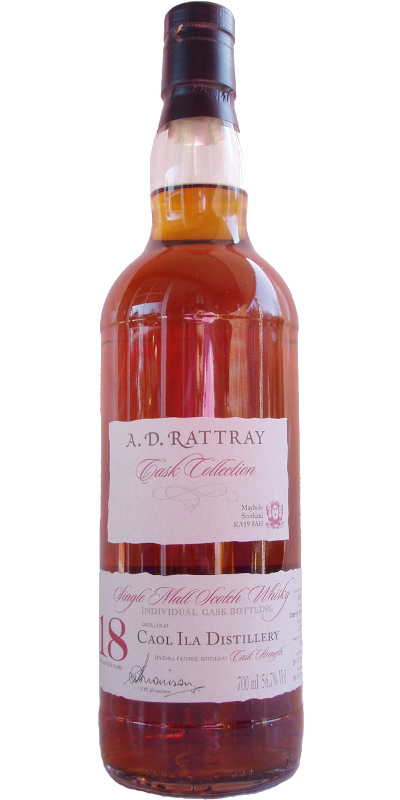 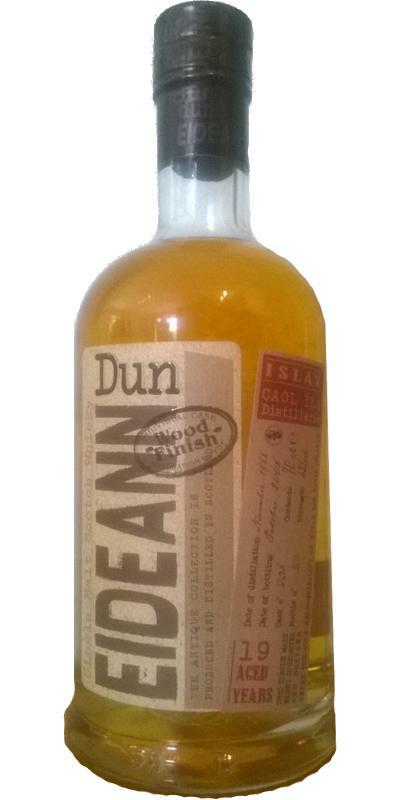 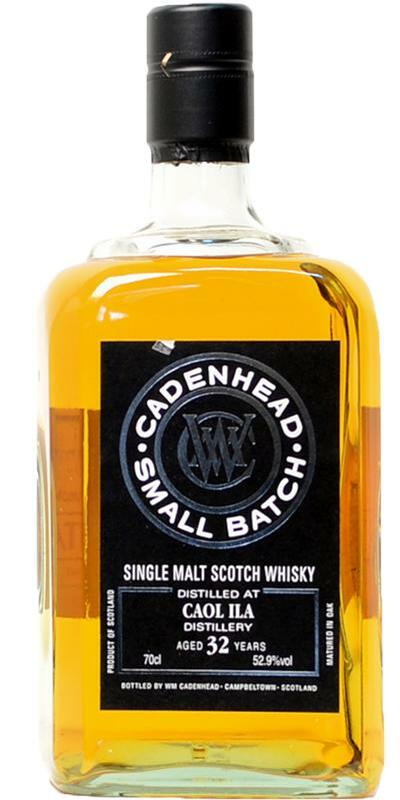 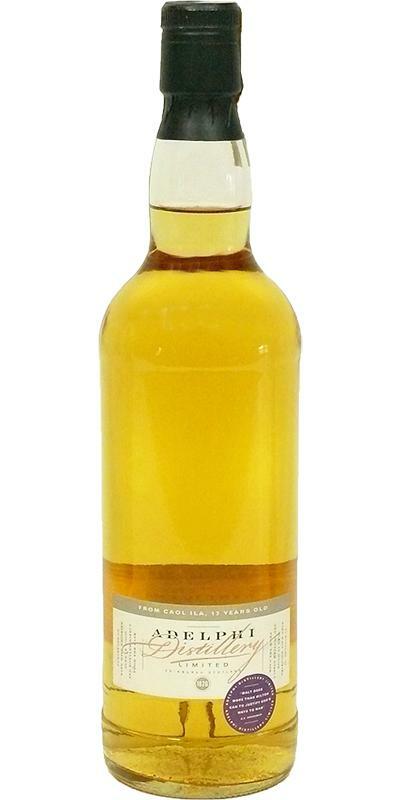 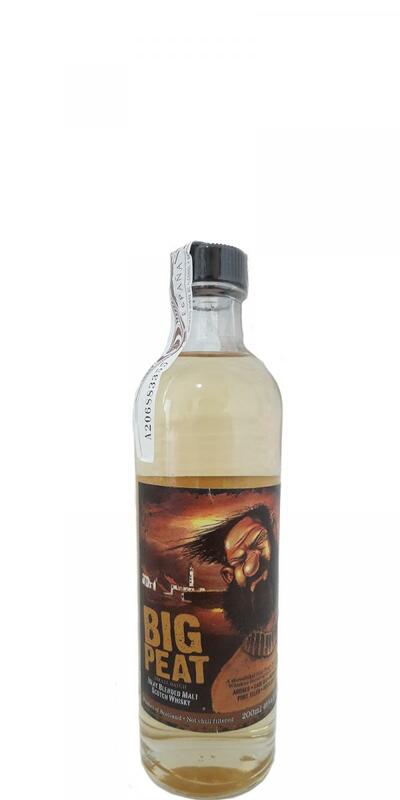 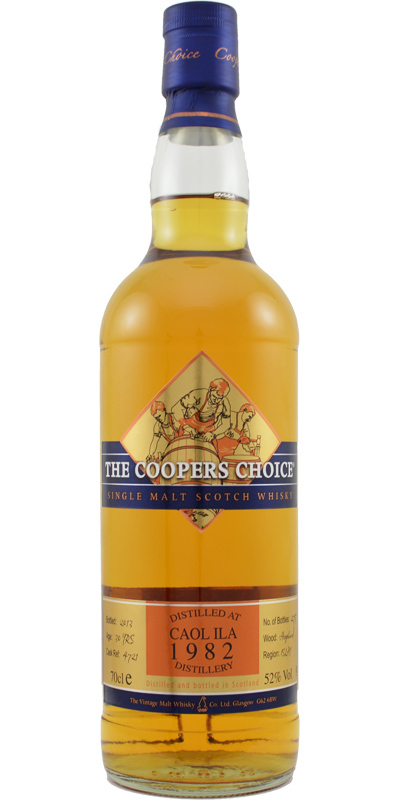 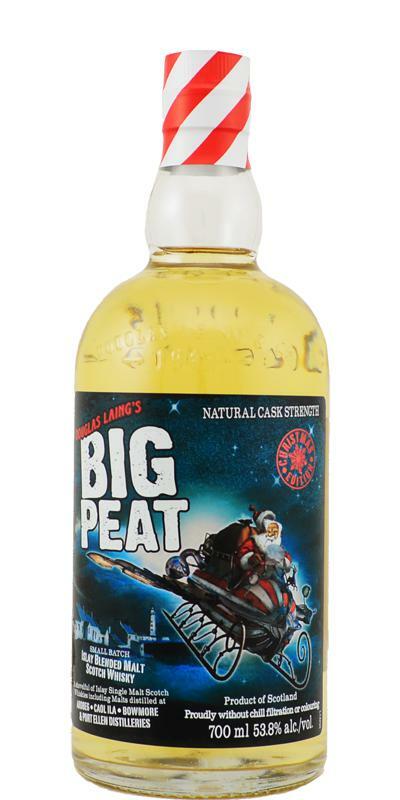 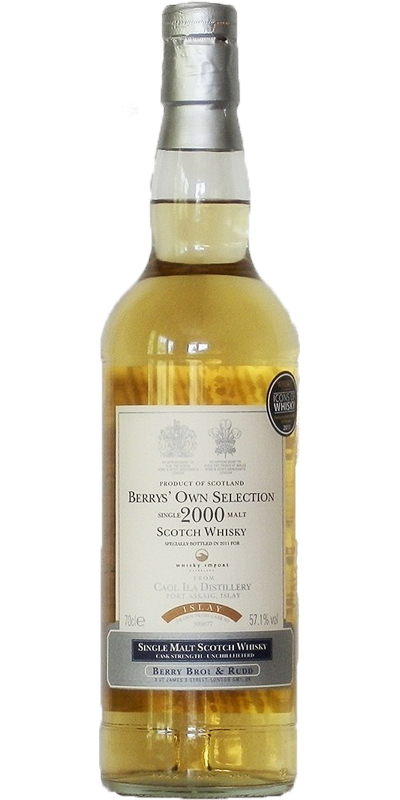 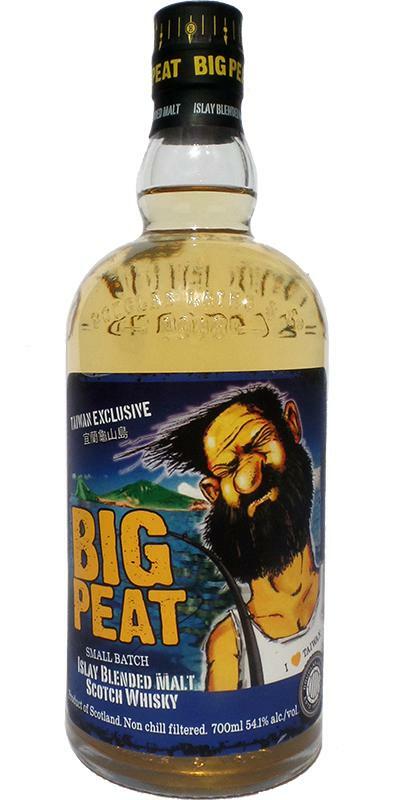 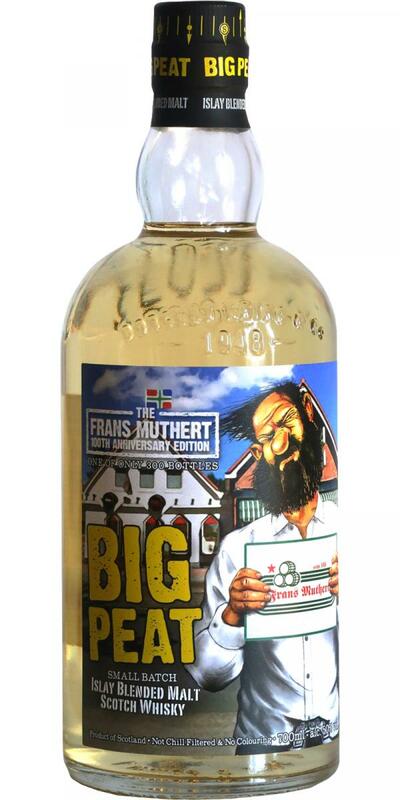 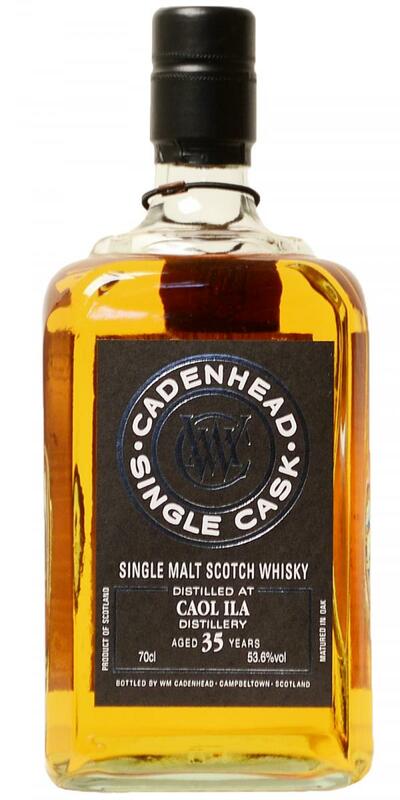 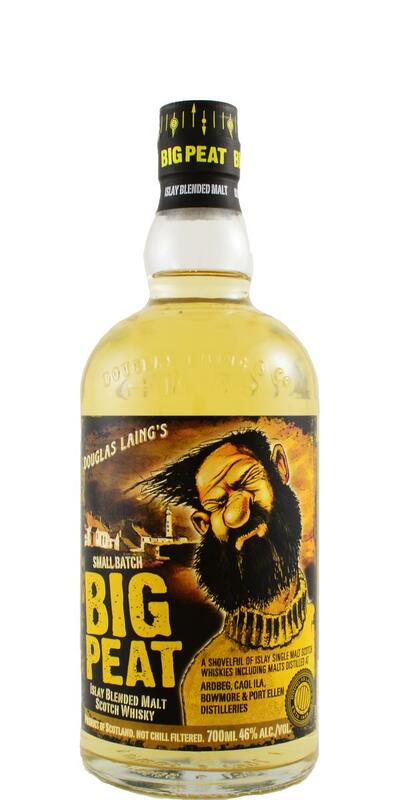 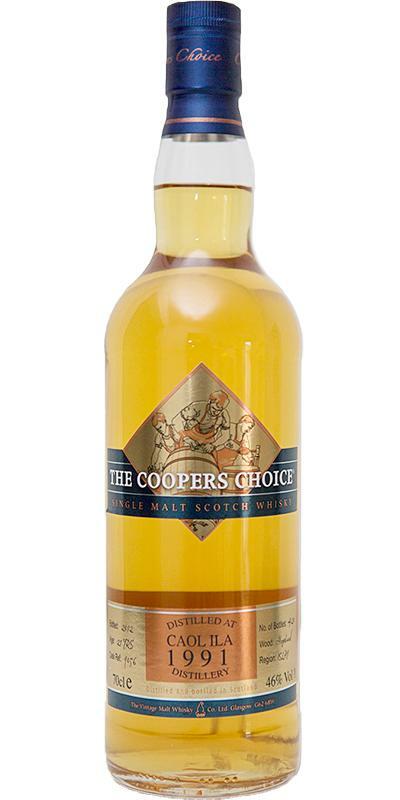 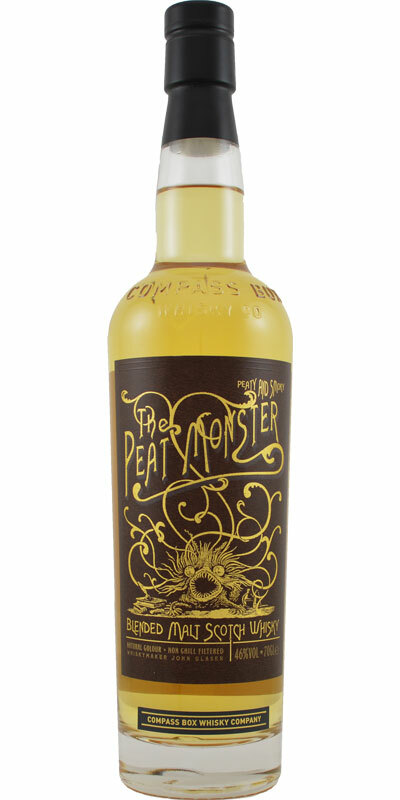 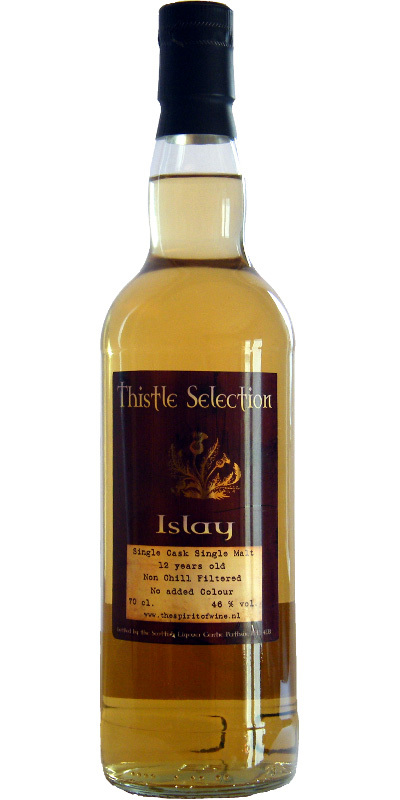 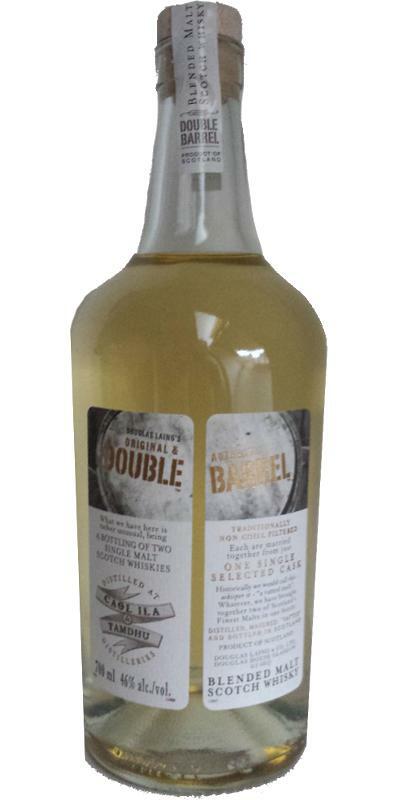 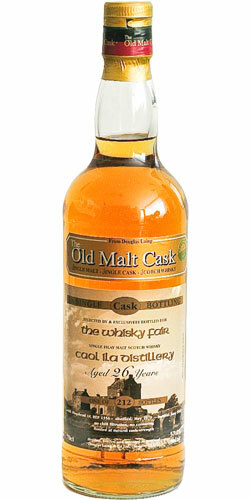 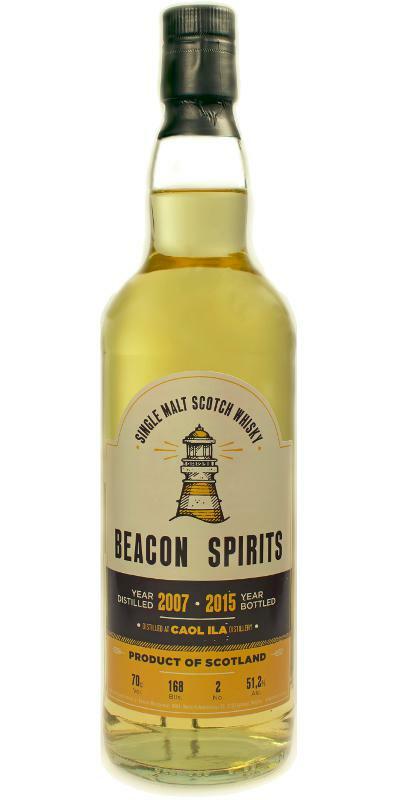 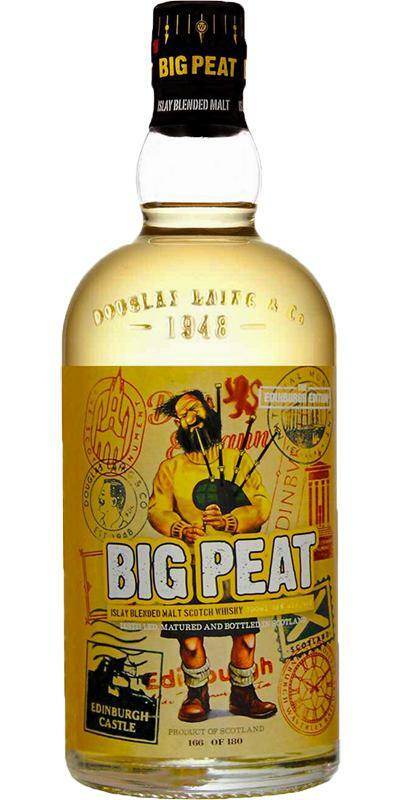 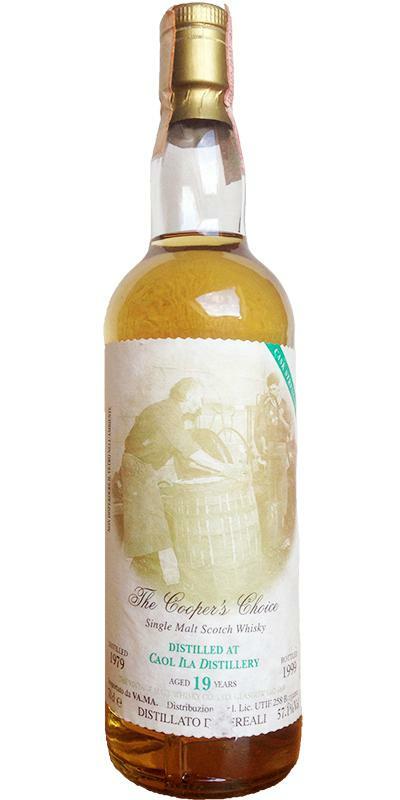 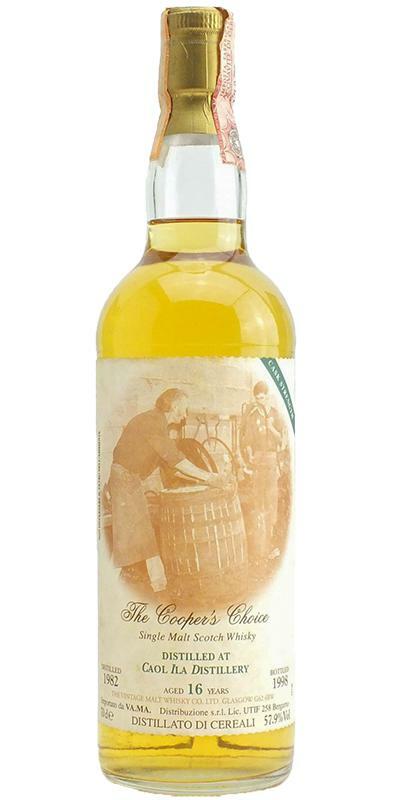 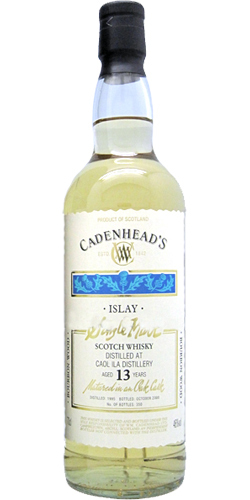 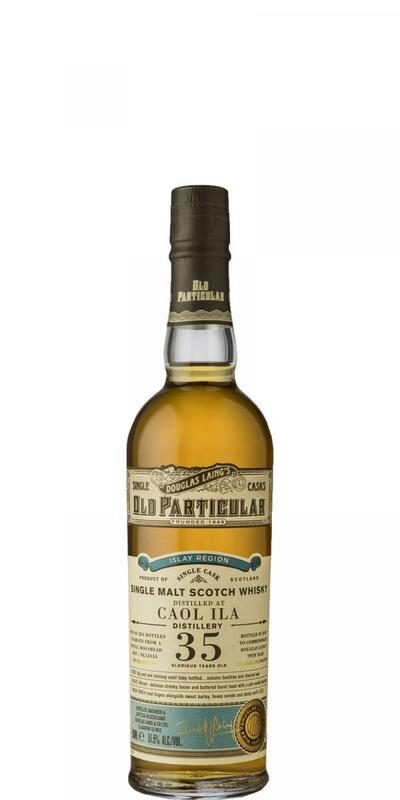 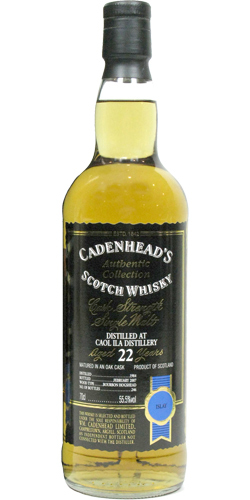 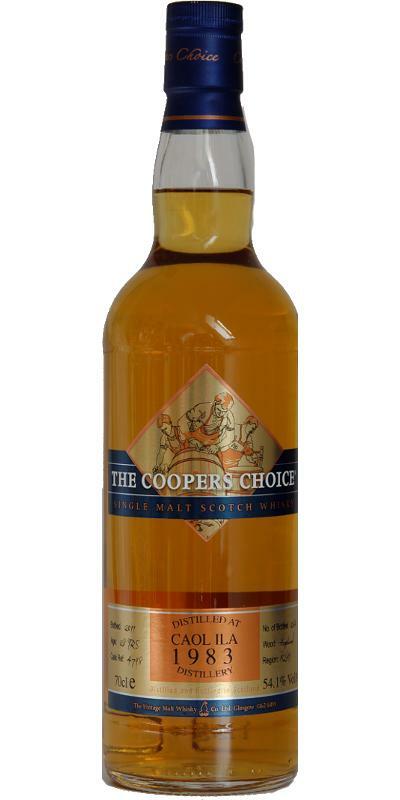 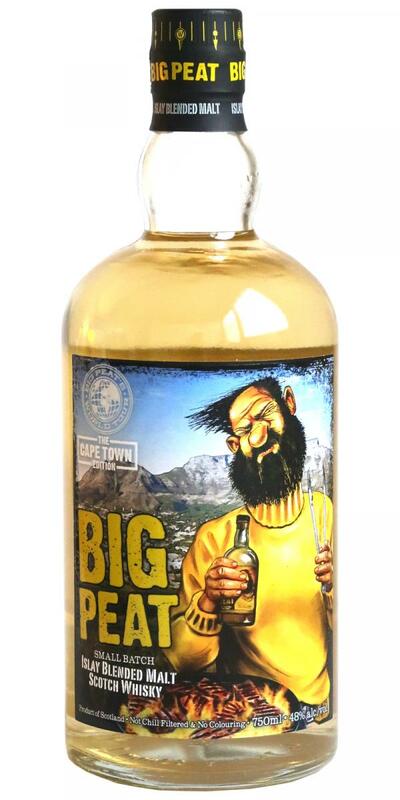 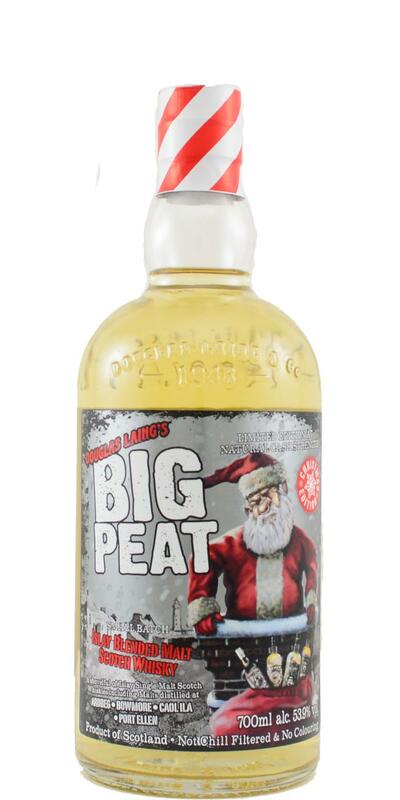 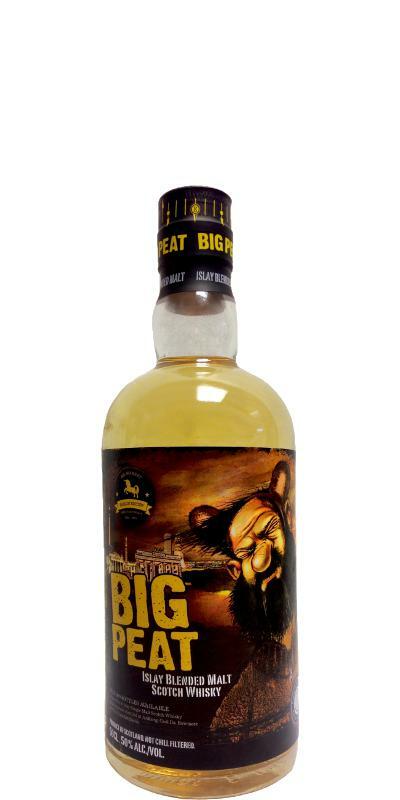 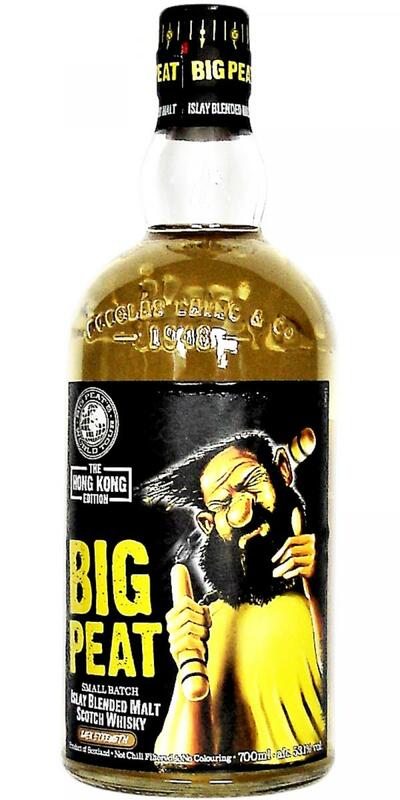 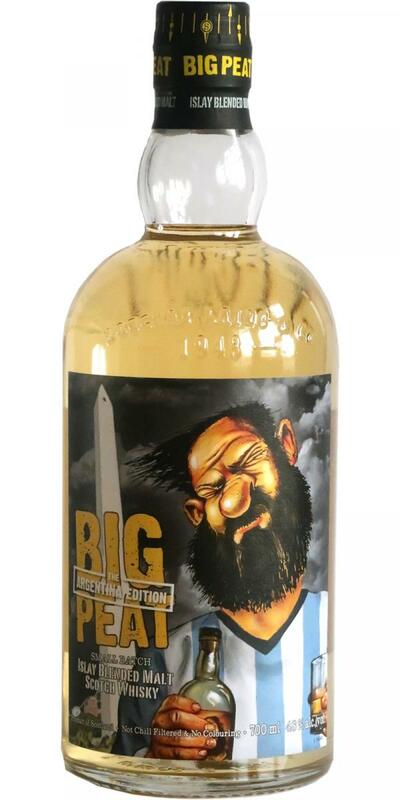 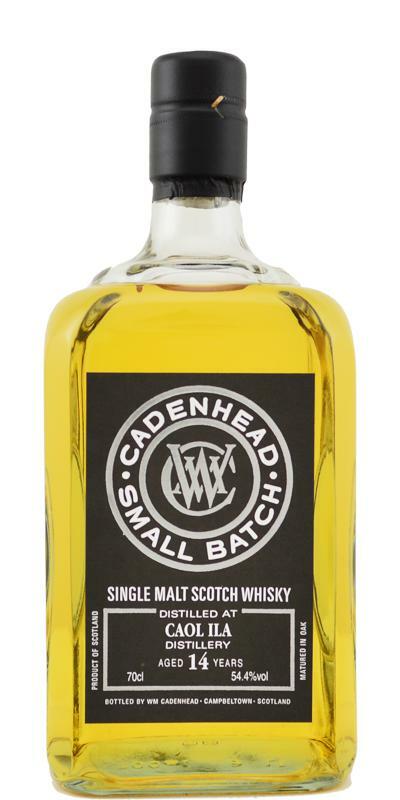 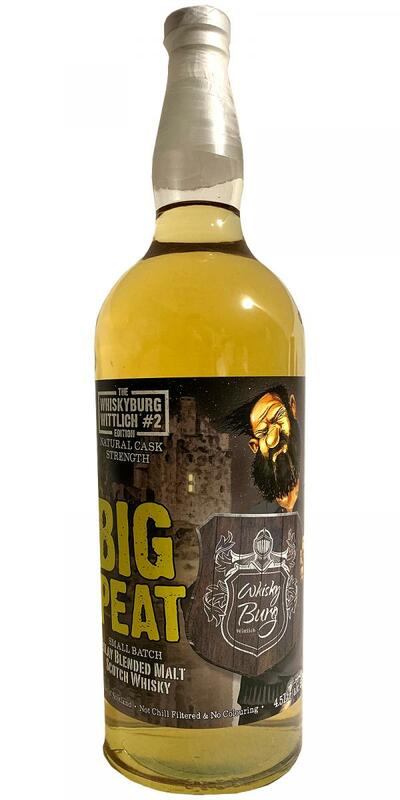 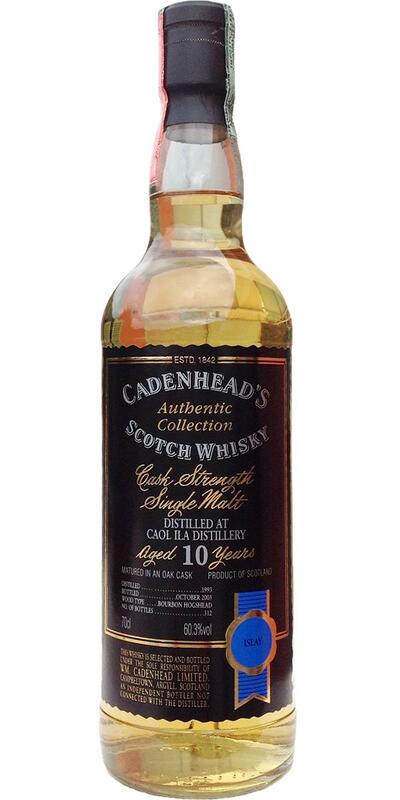 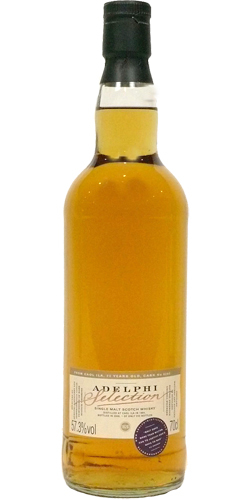 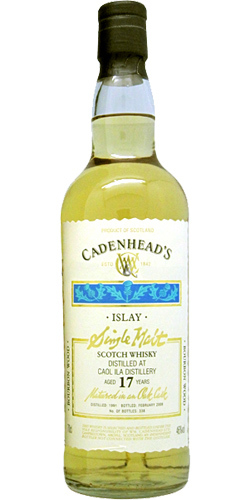 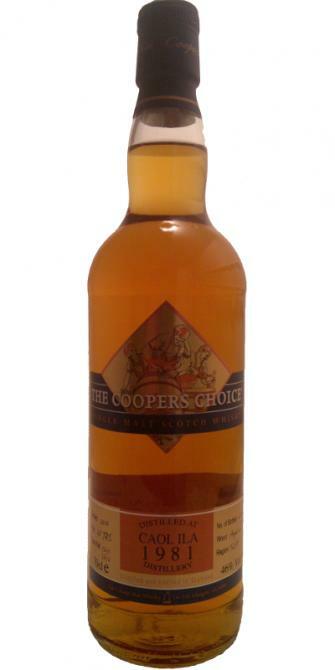 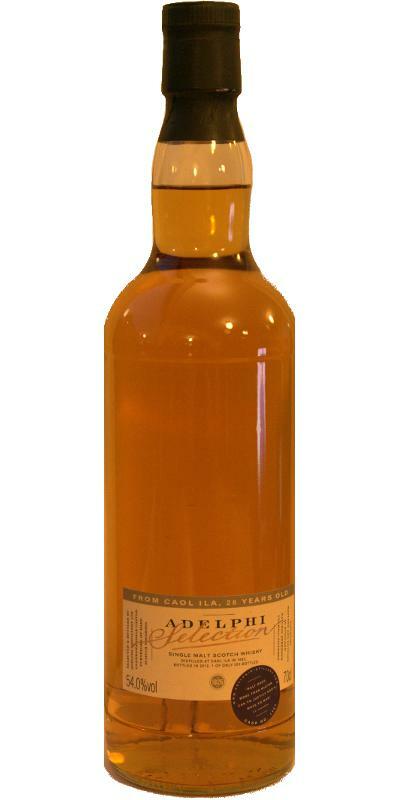 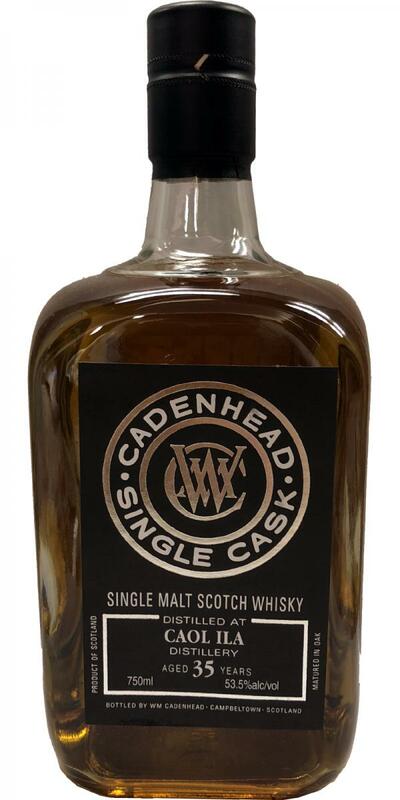 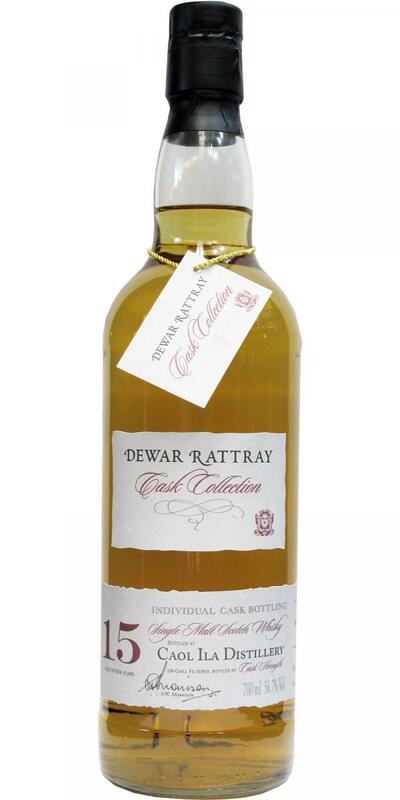 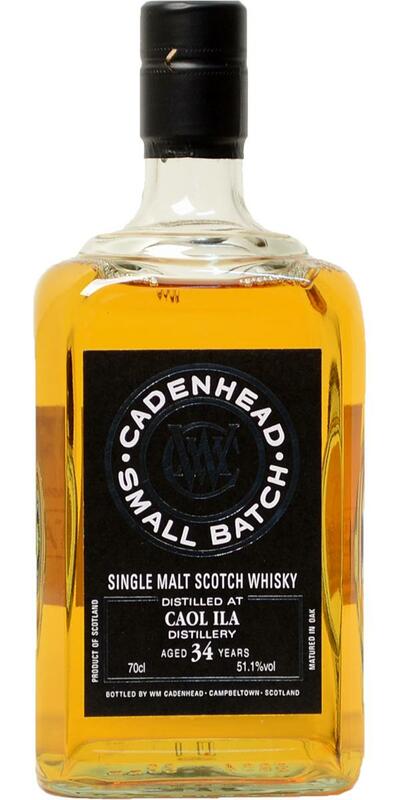 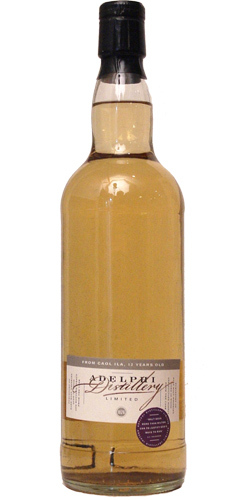 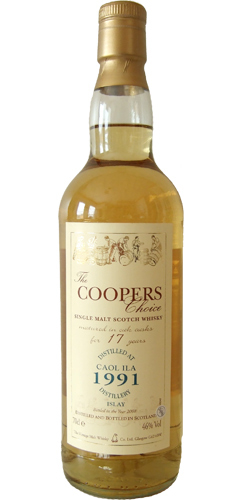 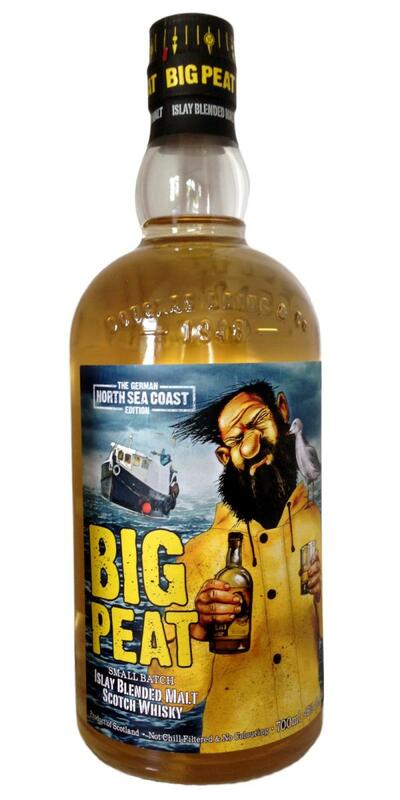 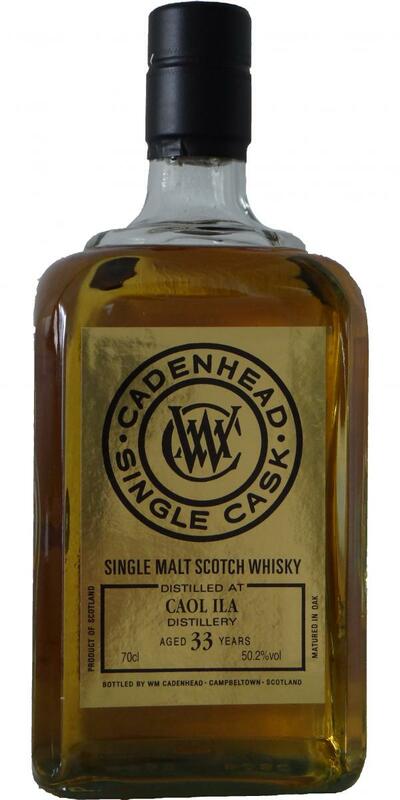 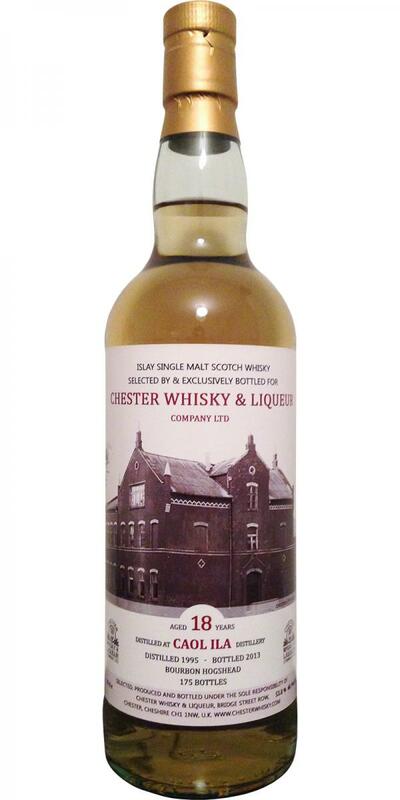 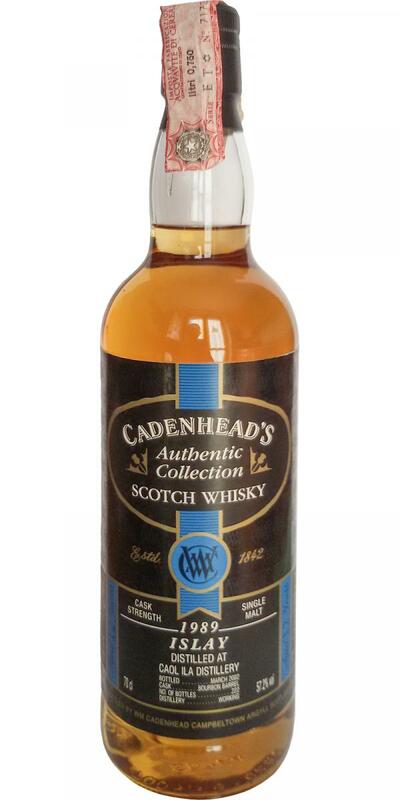 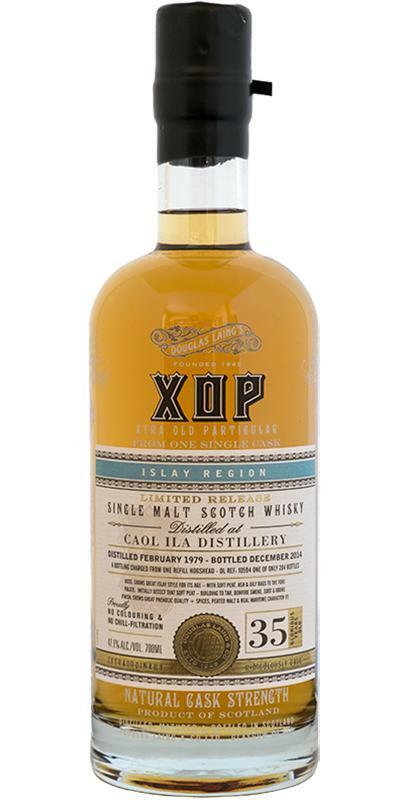 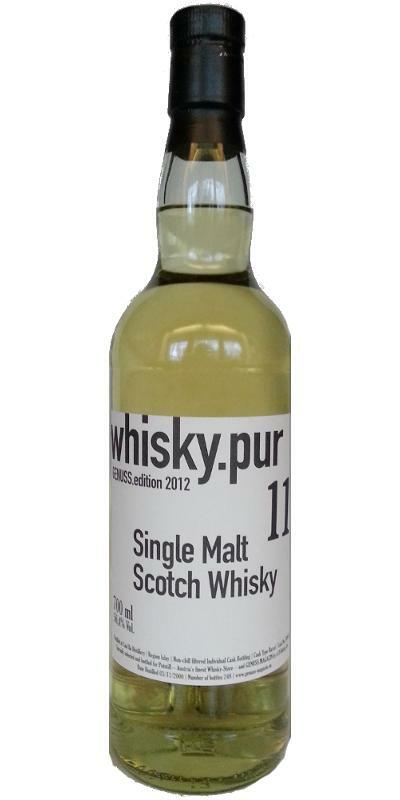 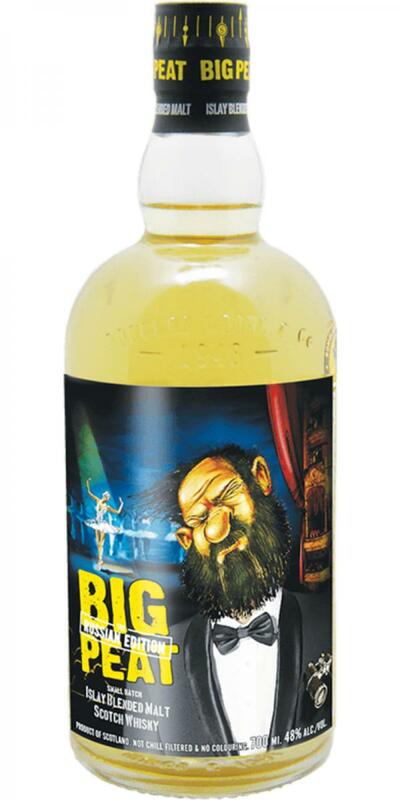 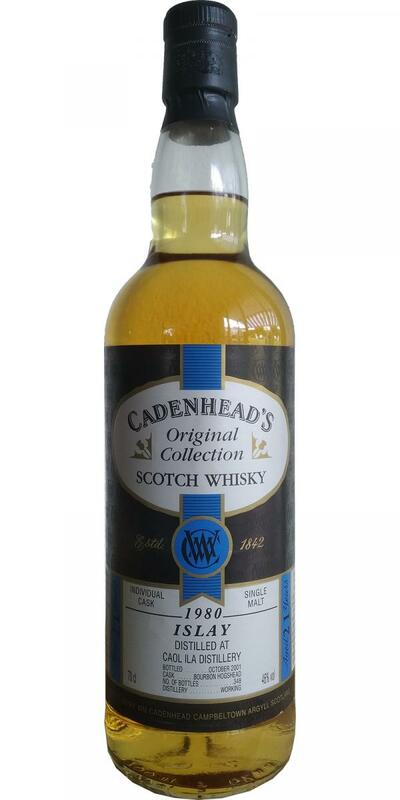 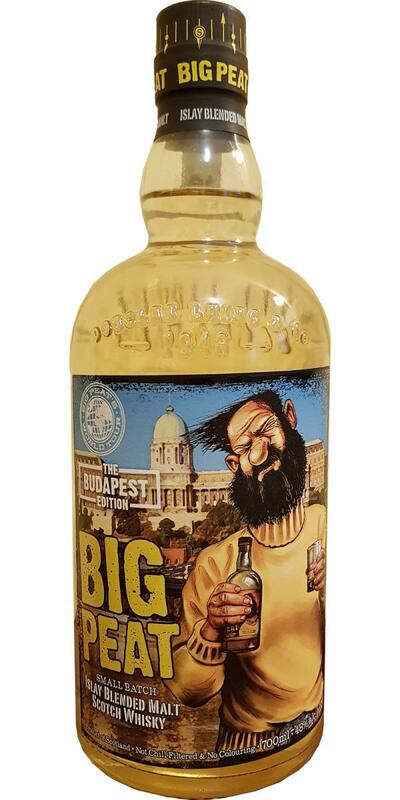 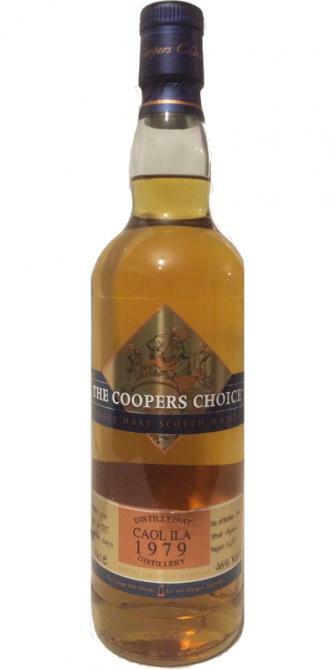 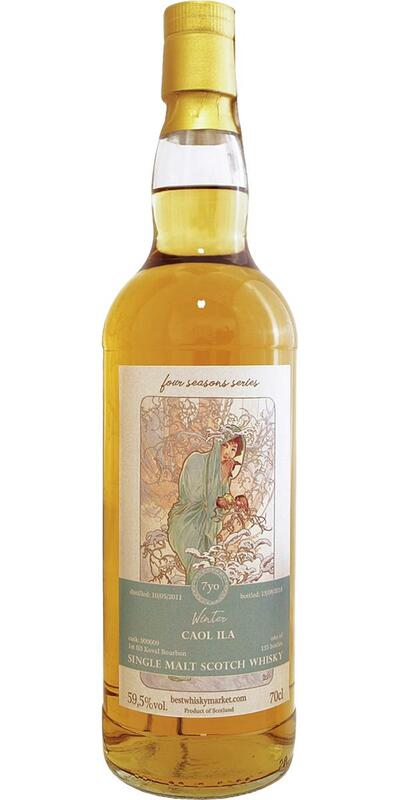 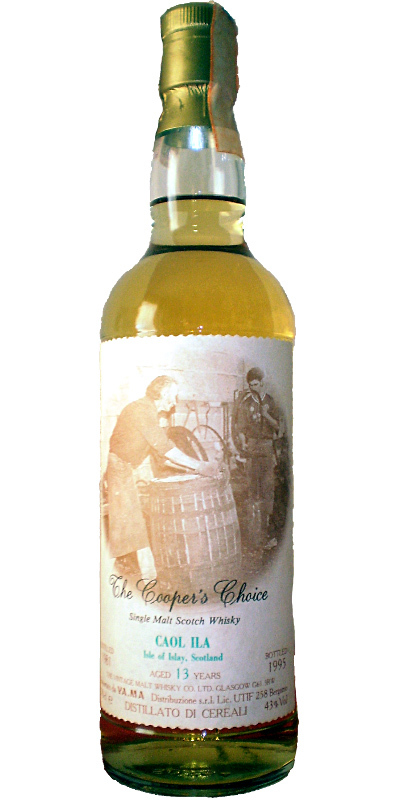 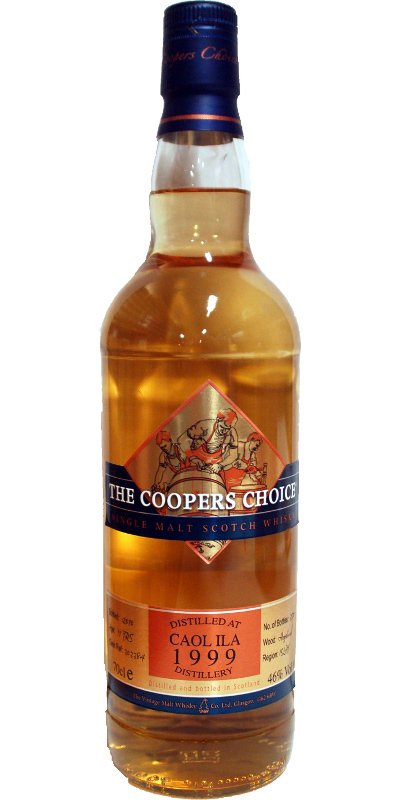 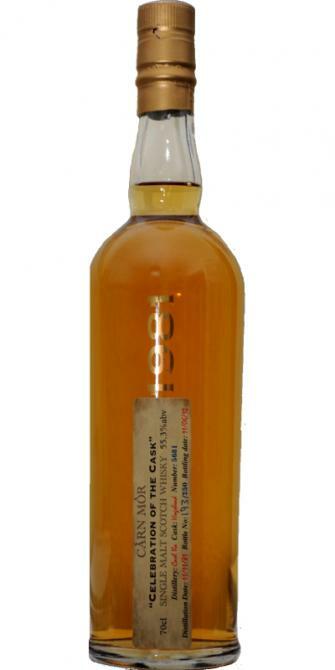 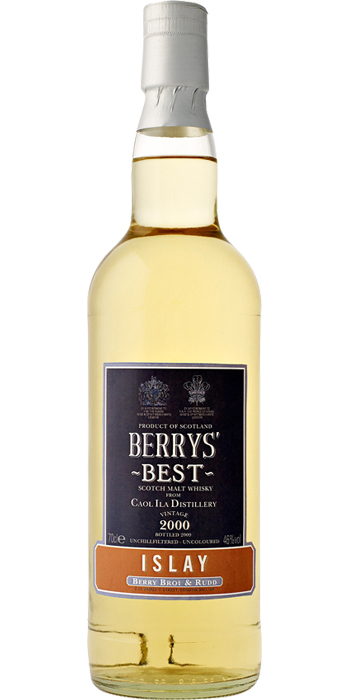 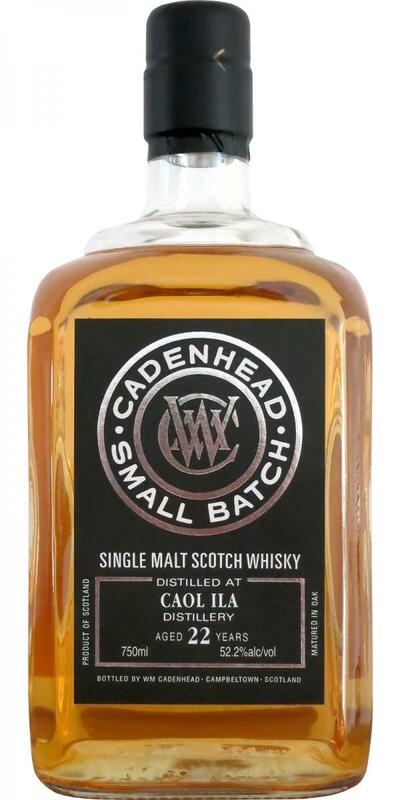 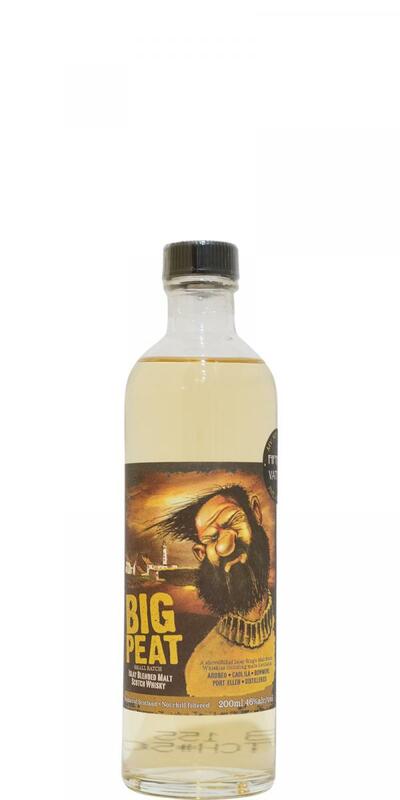 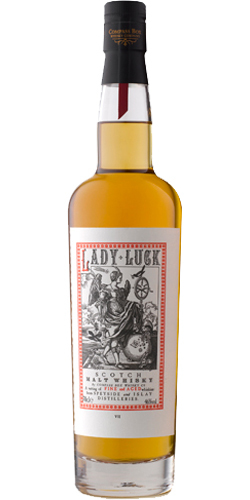 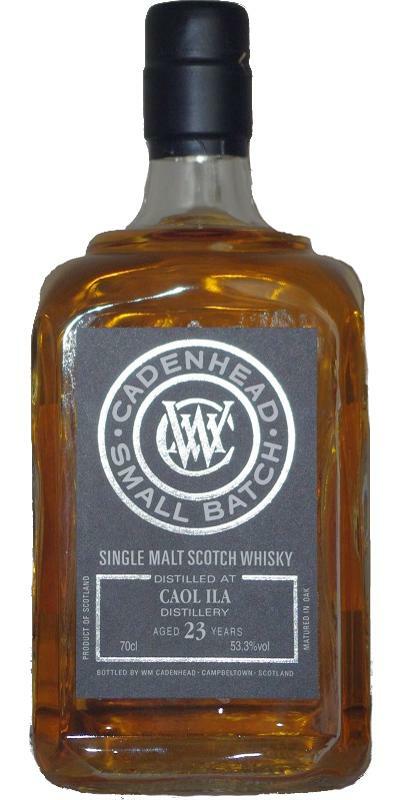 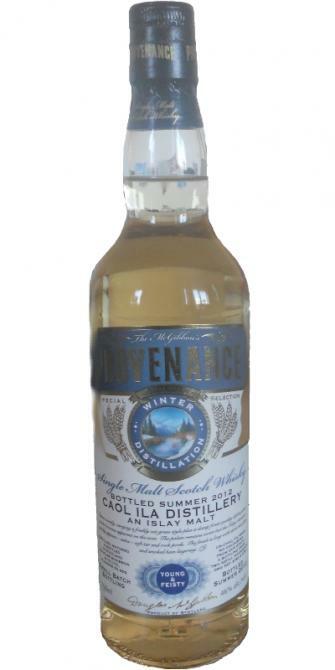 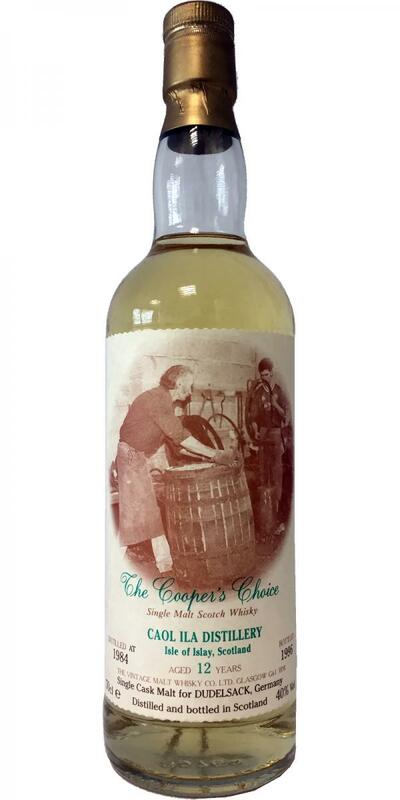 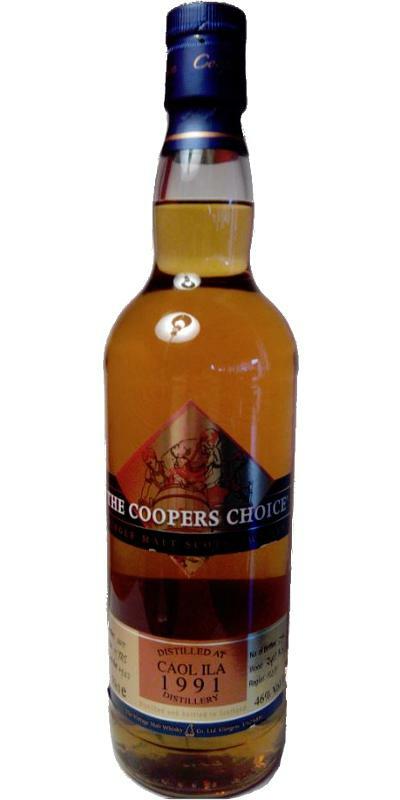 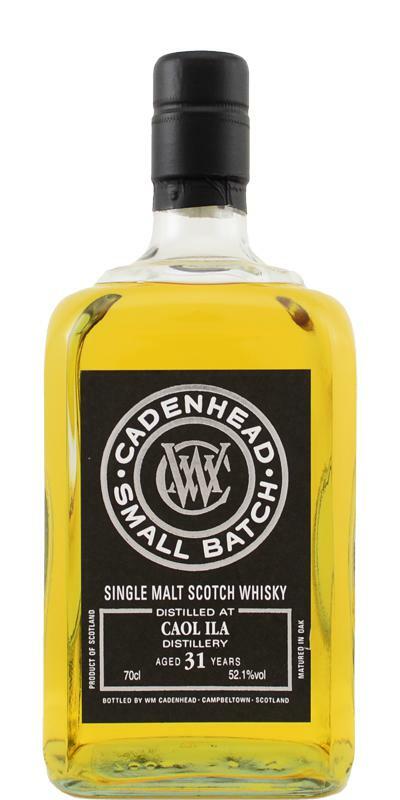 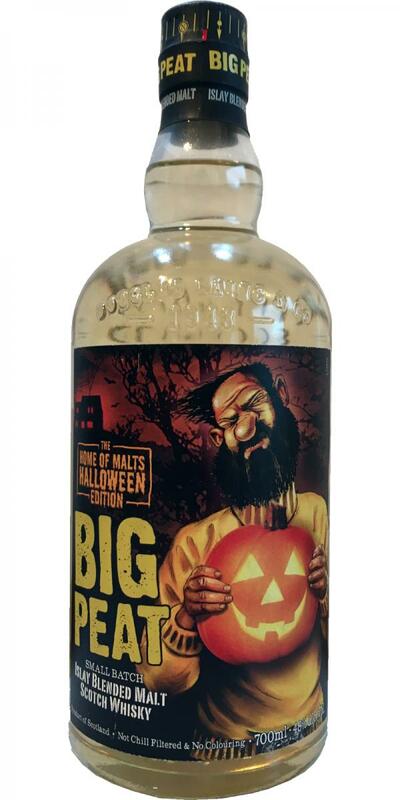 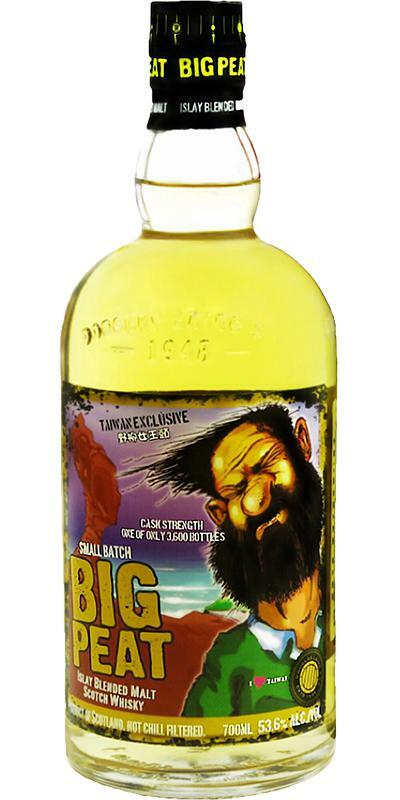 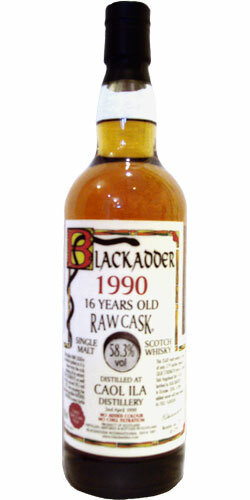 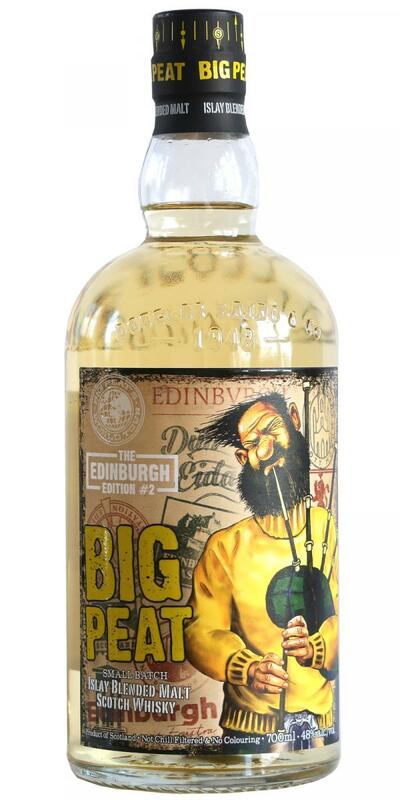 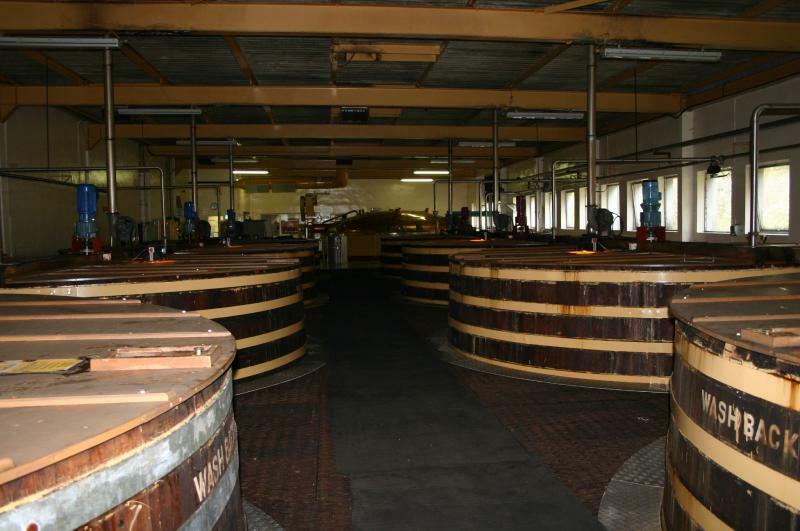 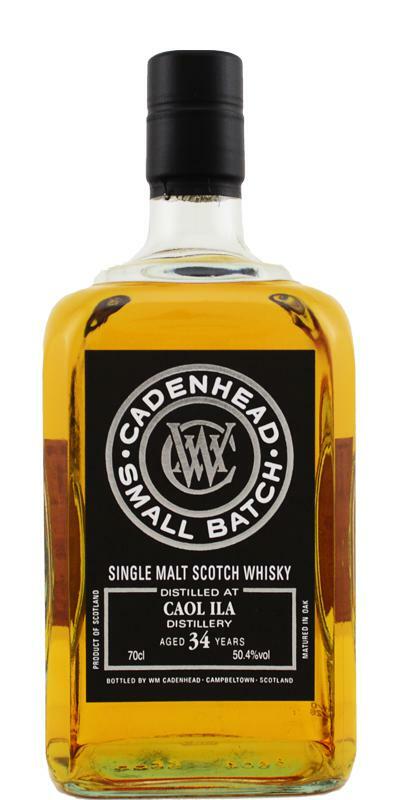 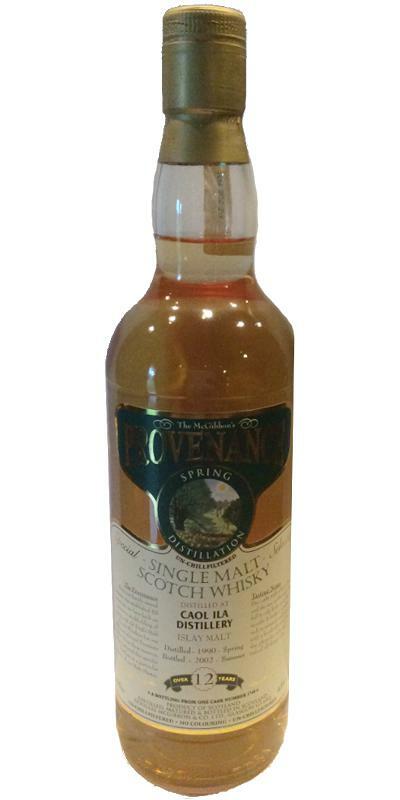 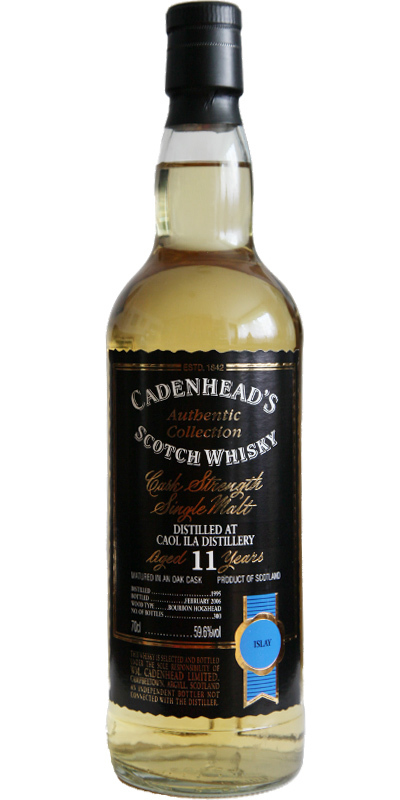 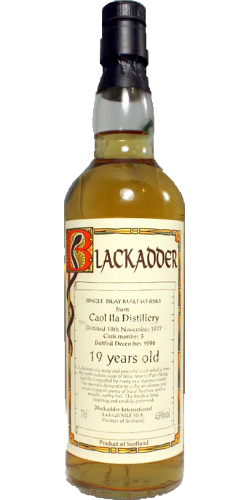 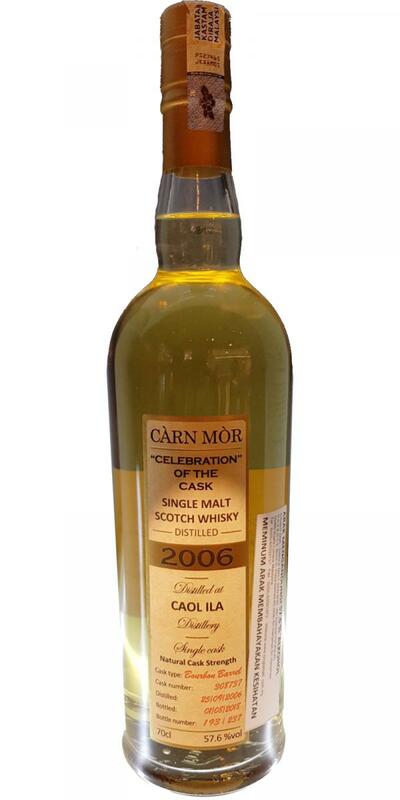 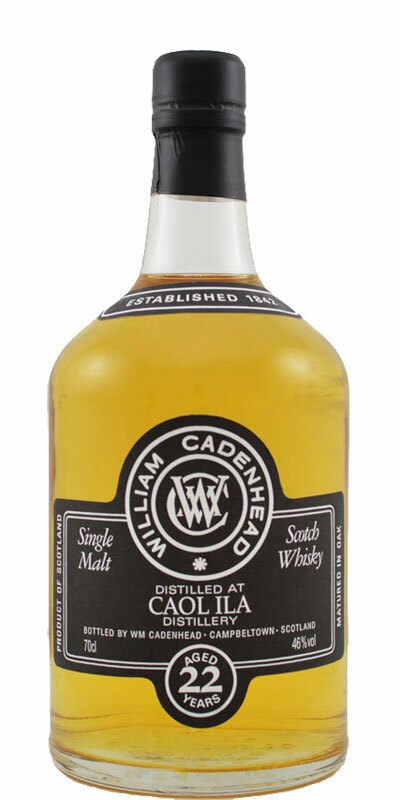 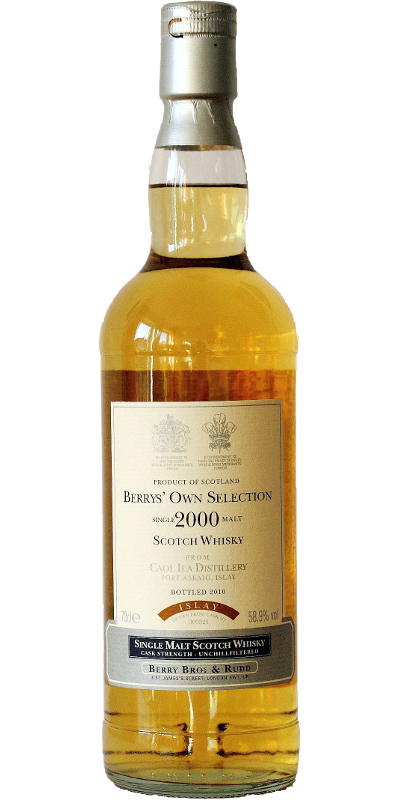 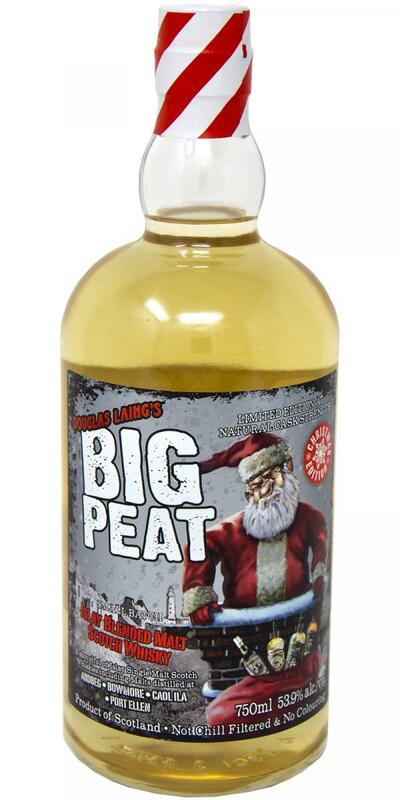 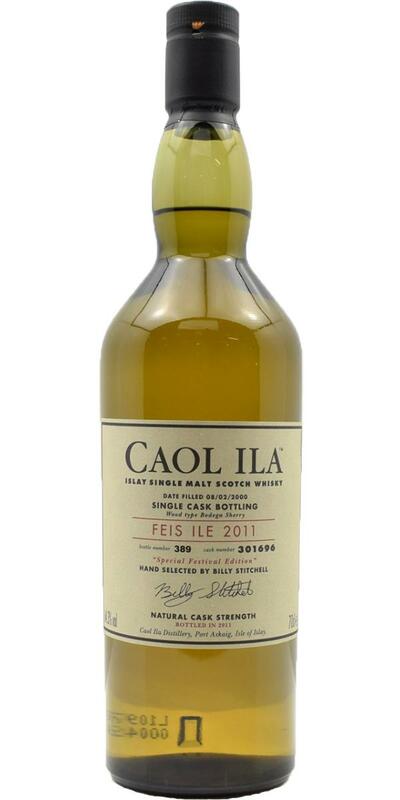 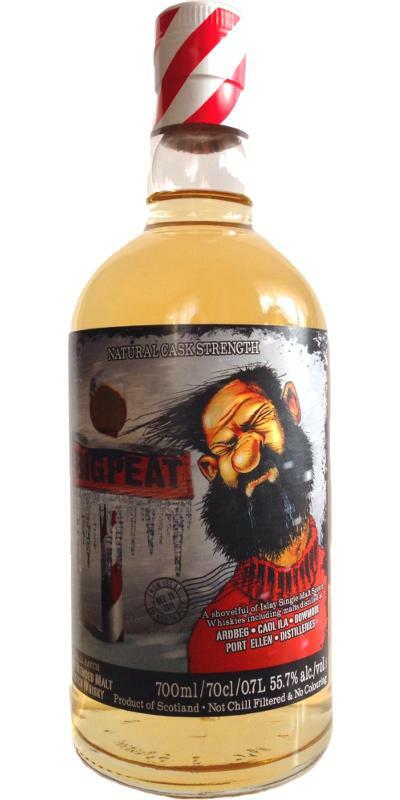 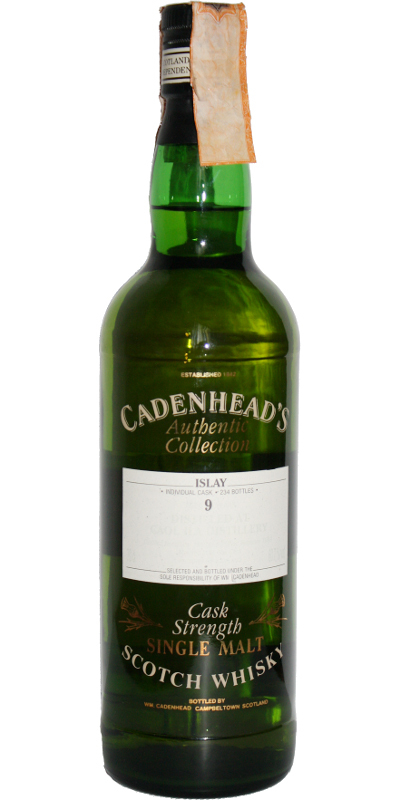 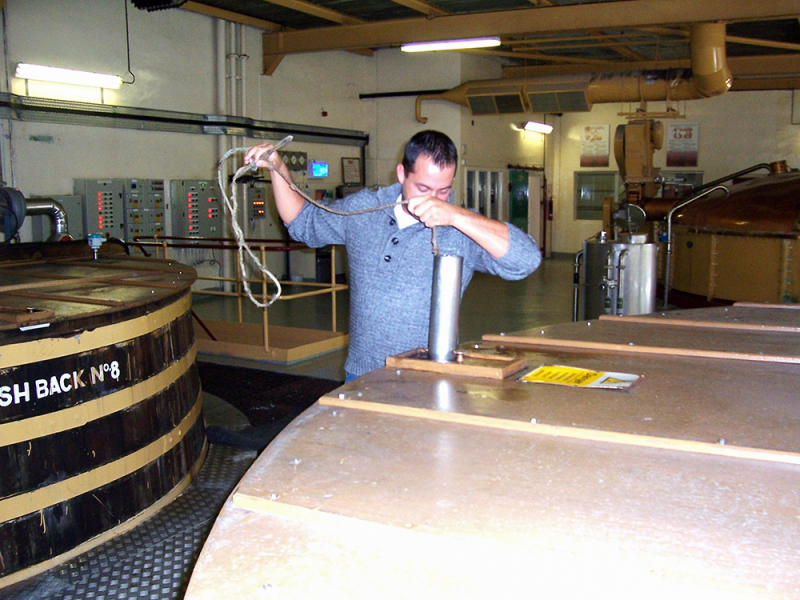 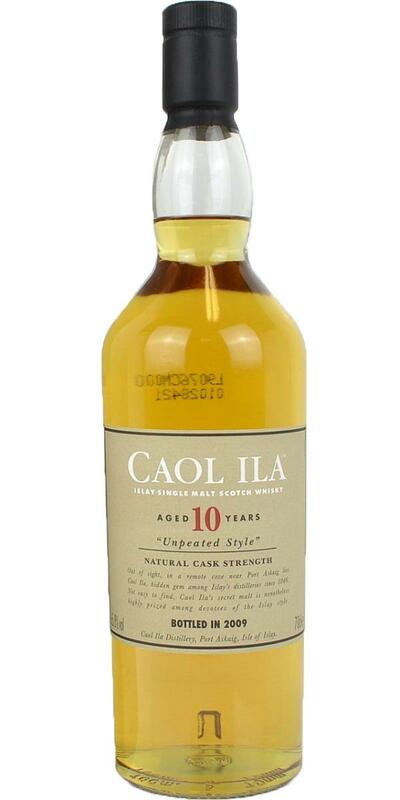 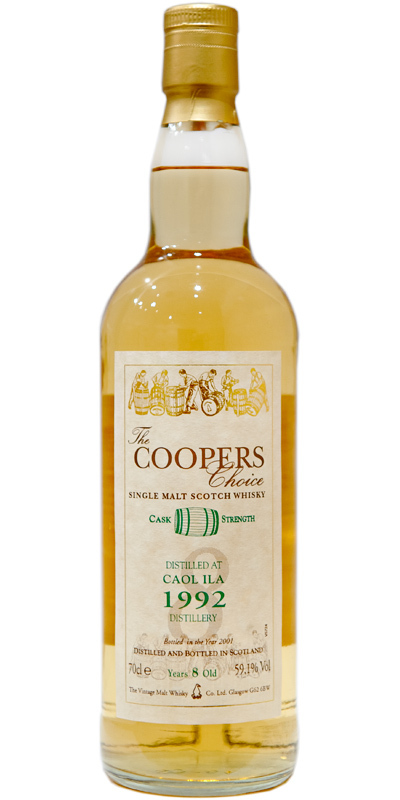 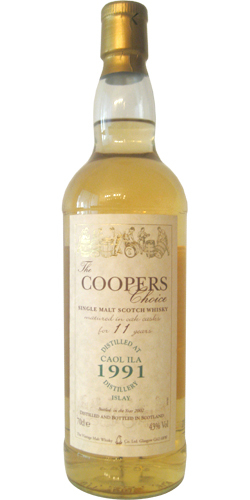 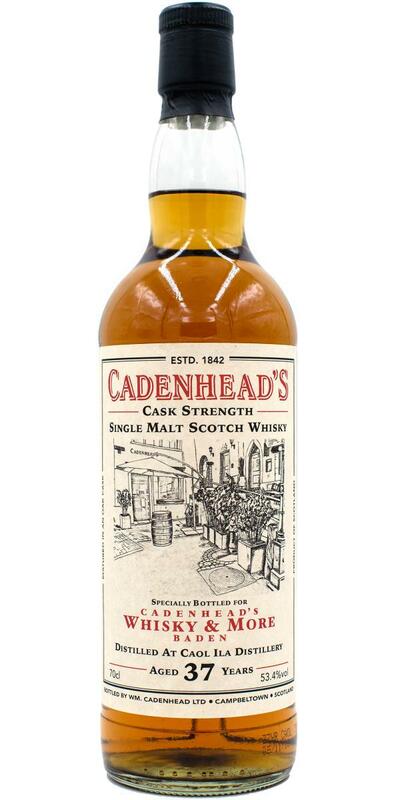 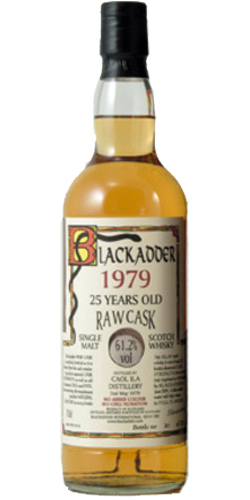 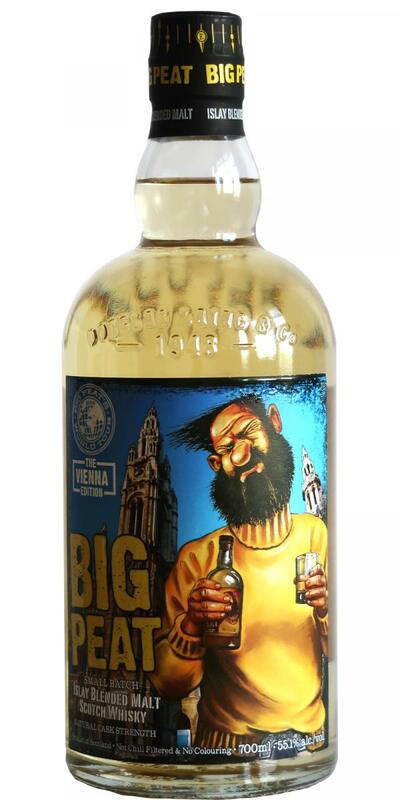 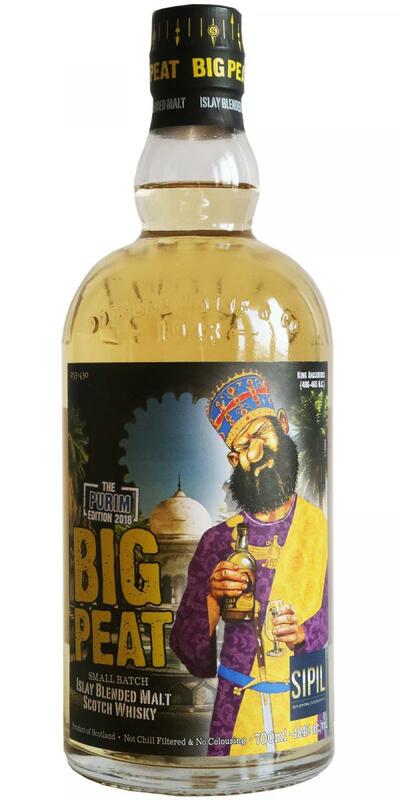 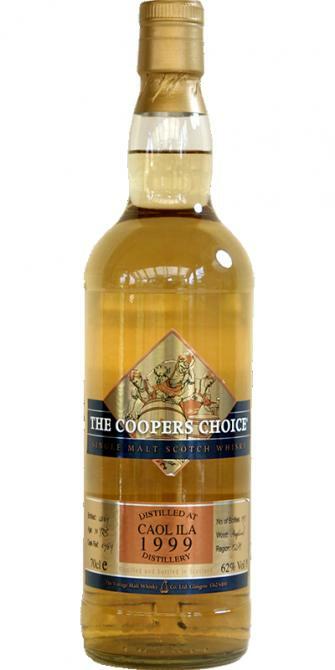 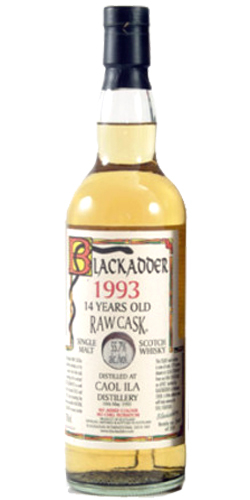 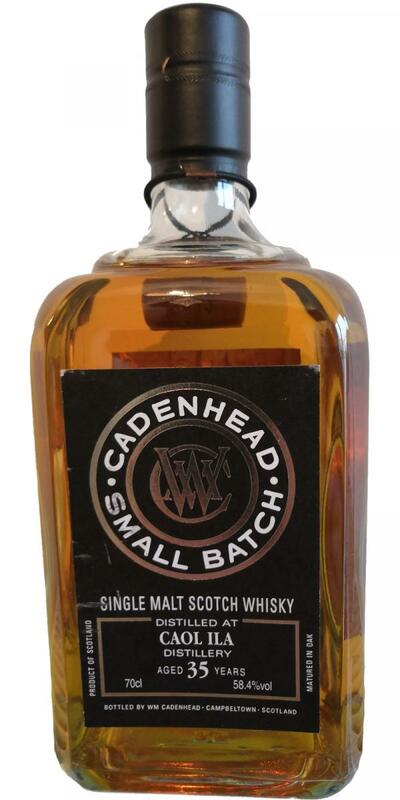 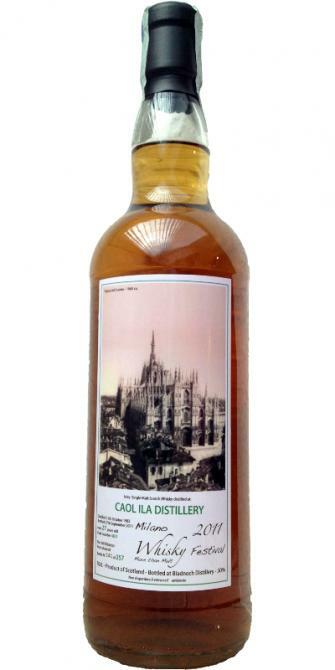 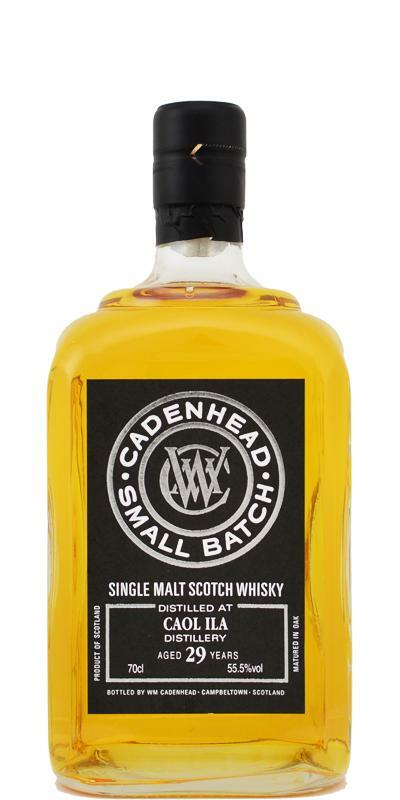 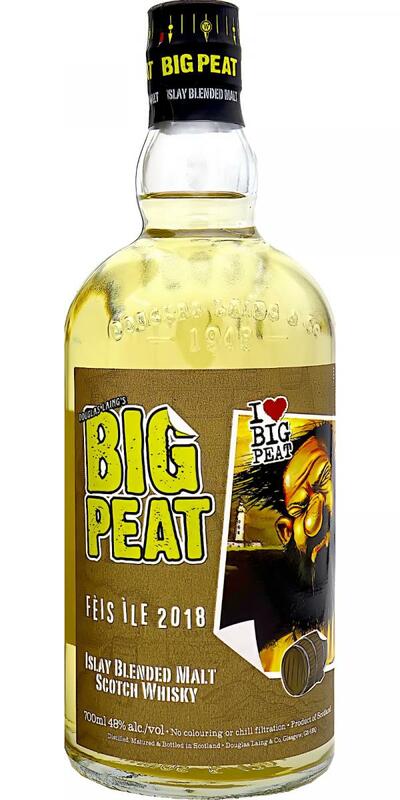 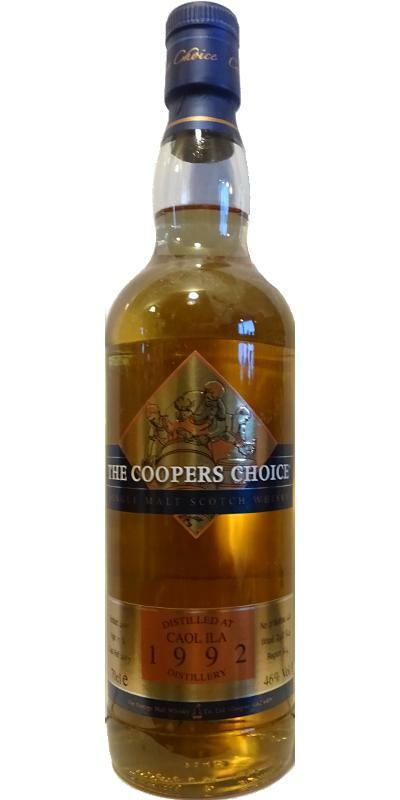 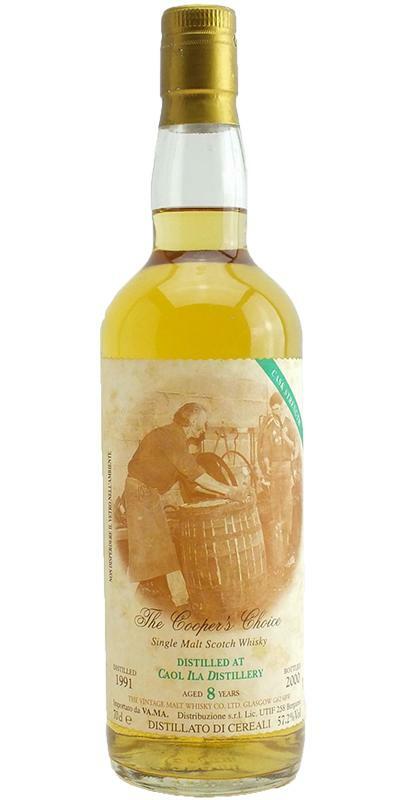 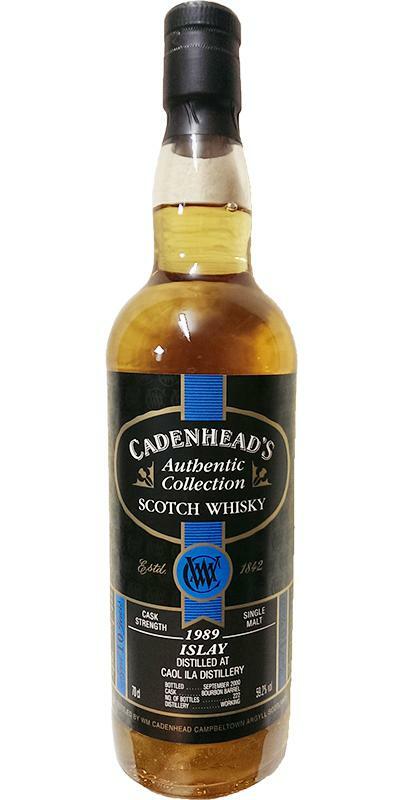 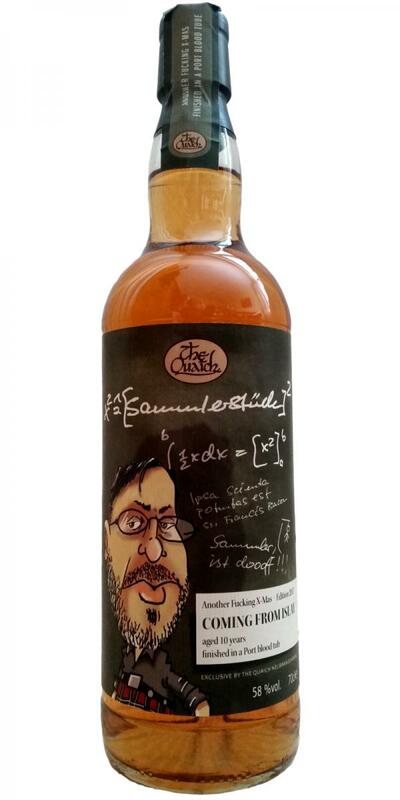 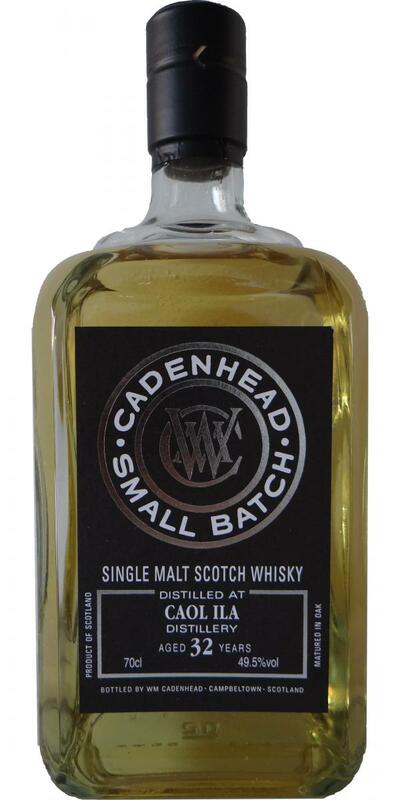 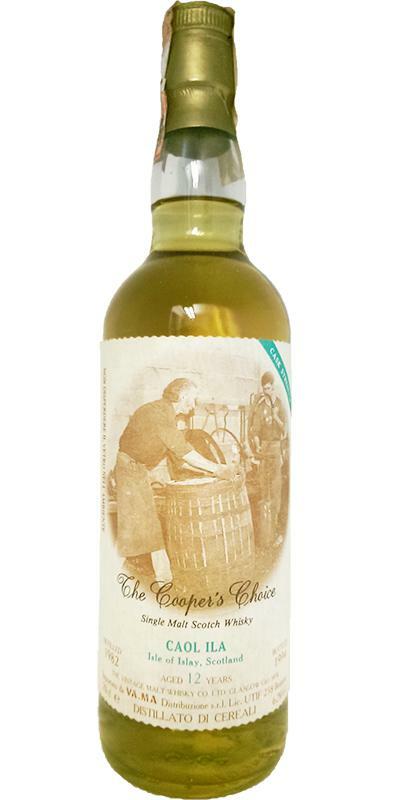 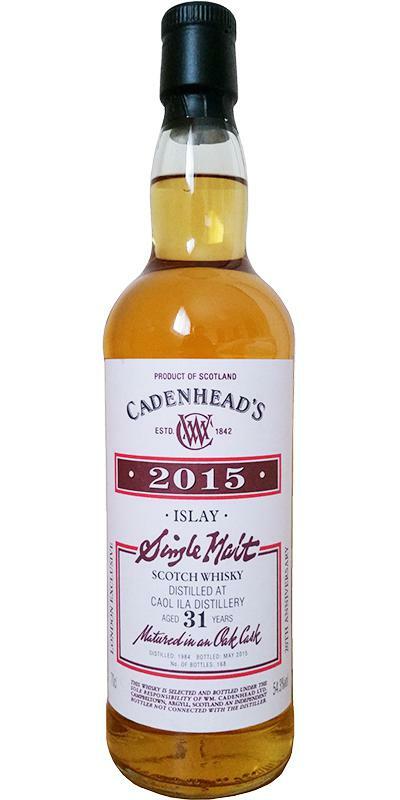 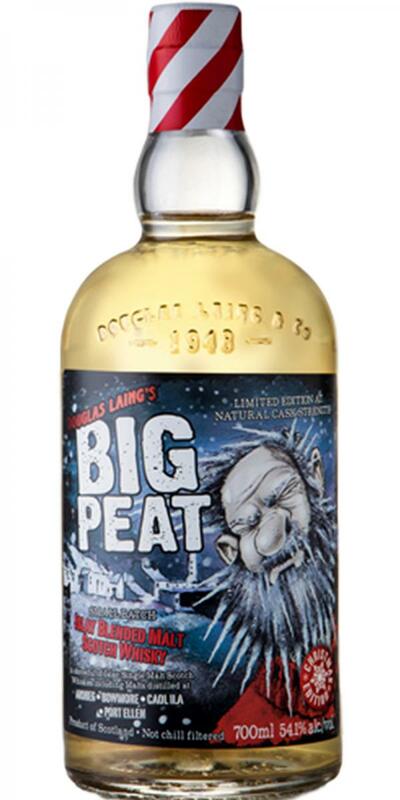 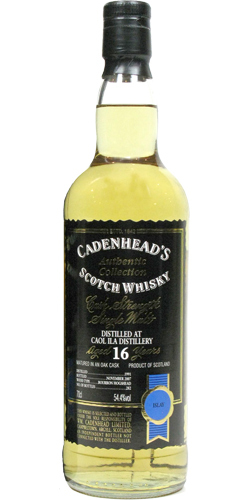 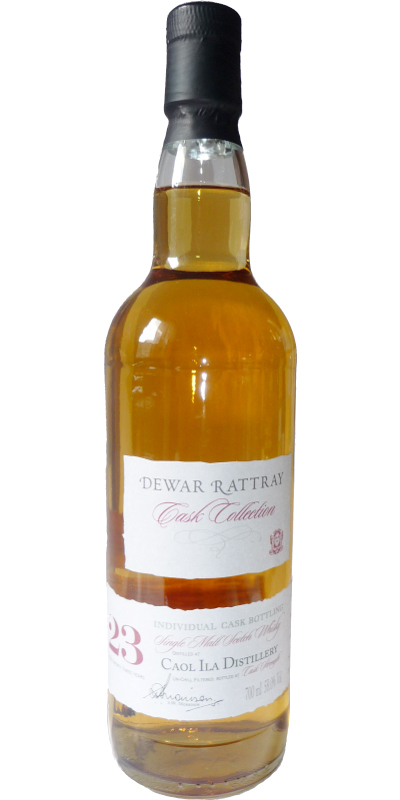 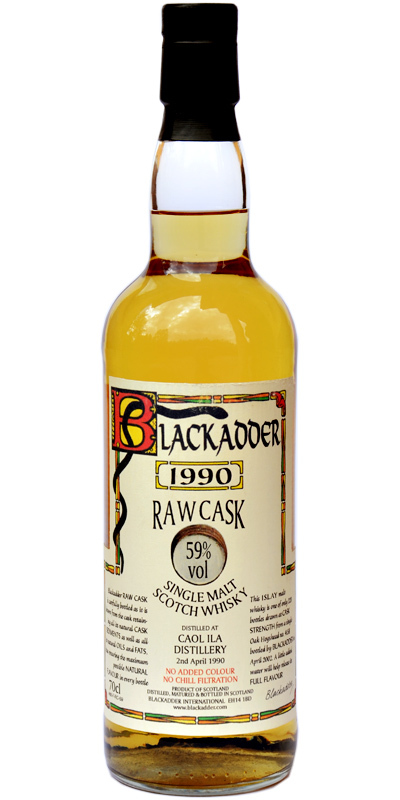 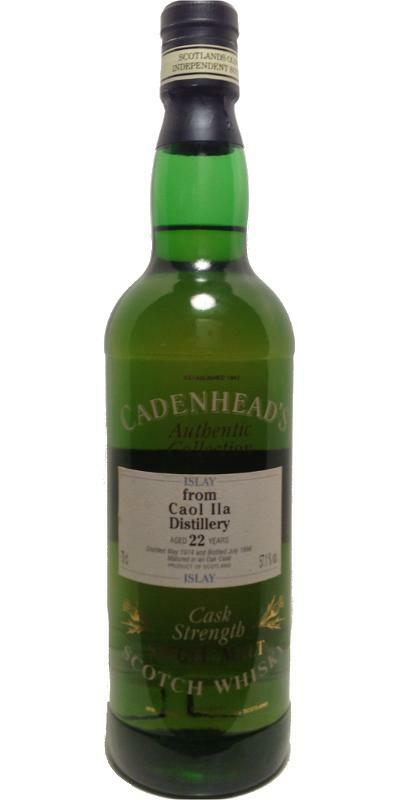 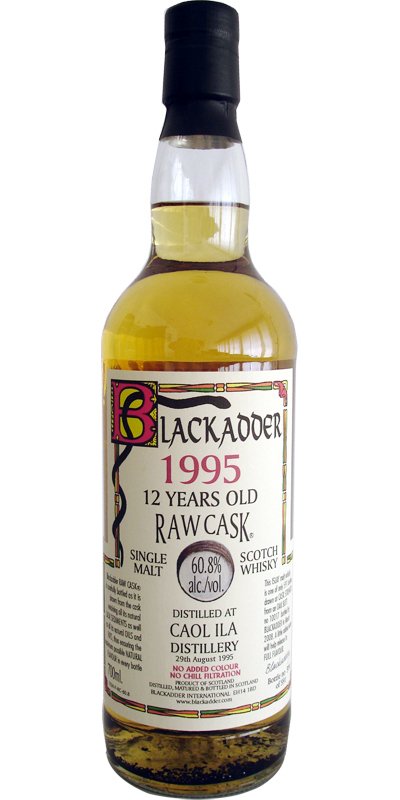 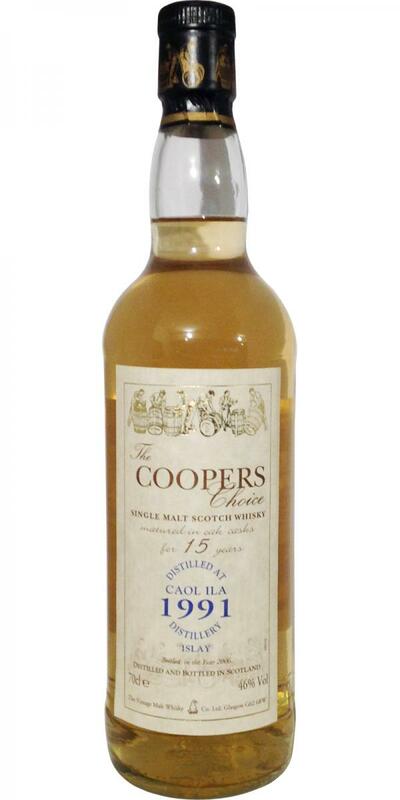 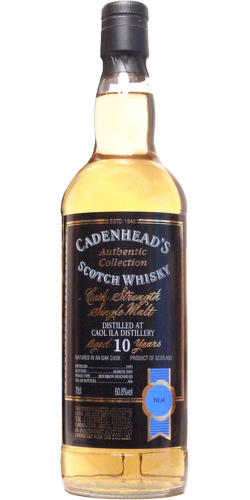 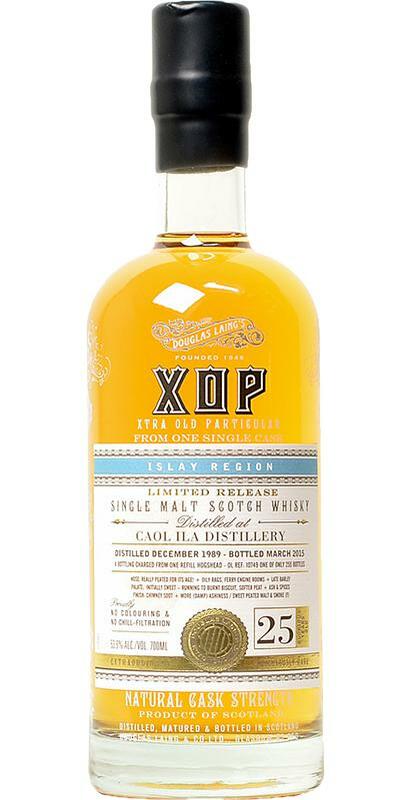 Caol Ila 2000 BWL The Whisky Peddler 10 46.0 % Vol. 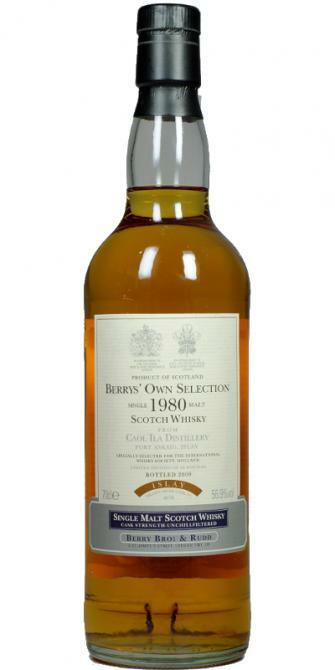 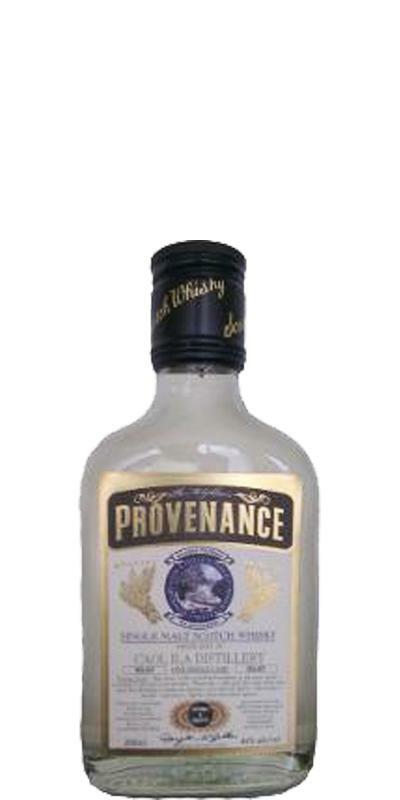 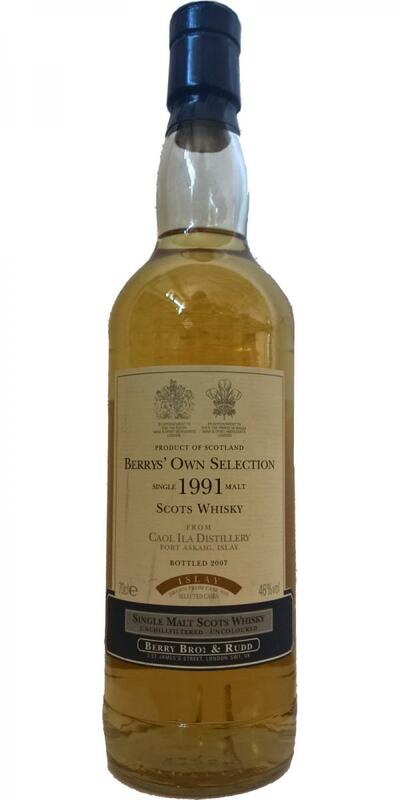 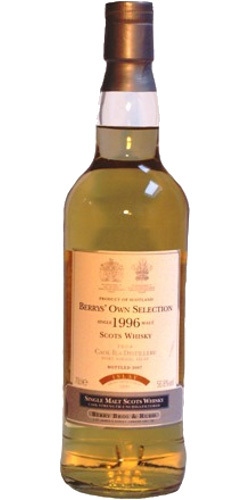 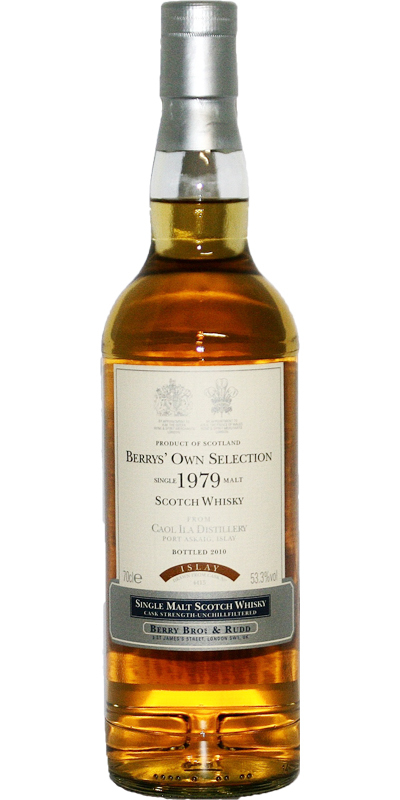 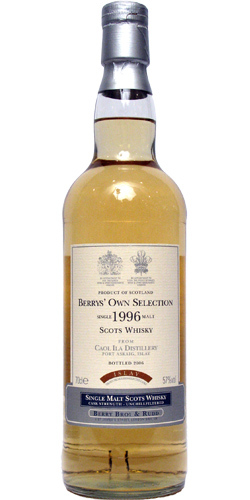 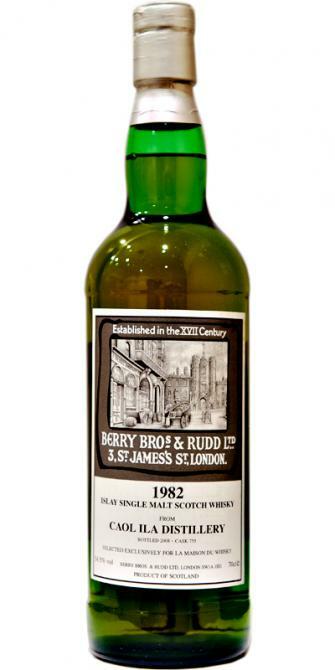 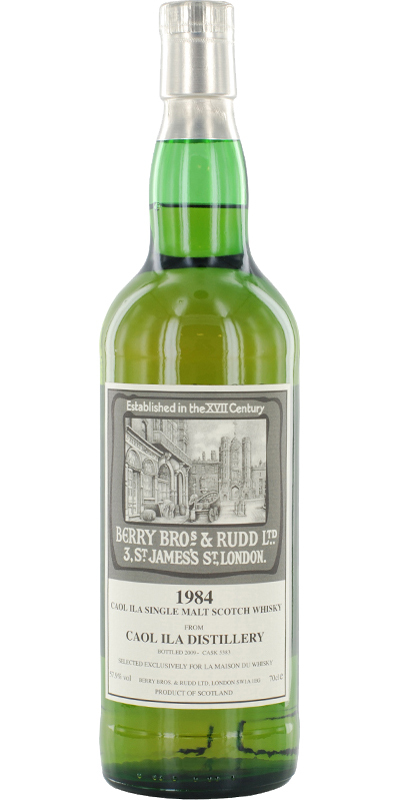 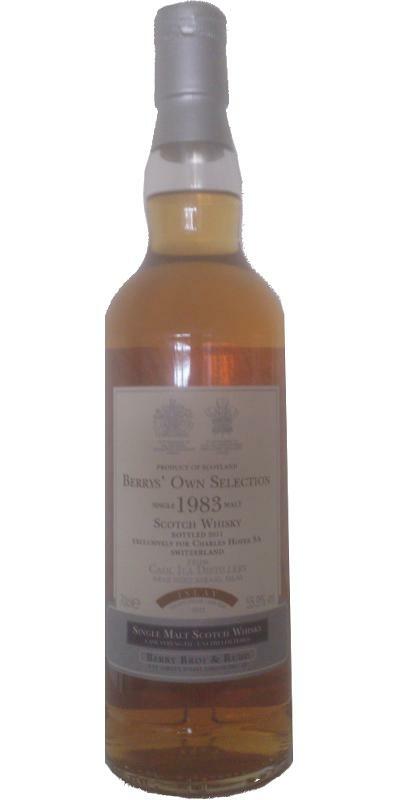 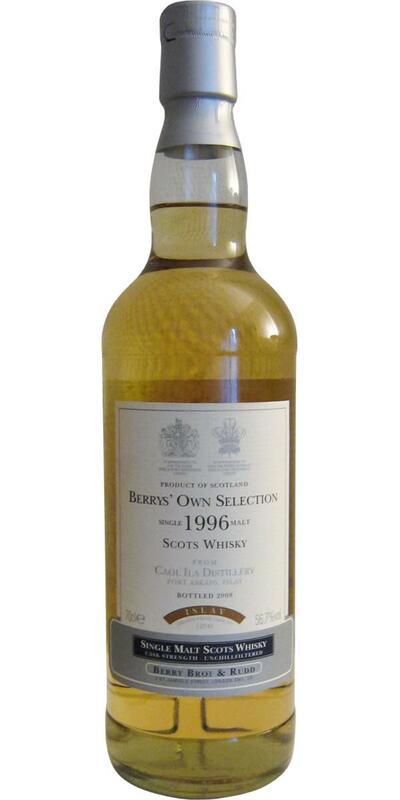 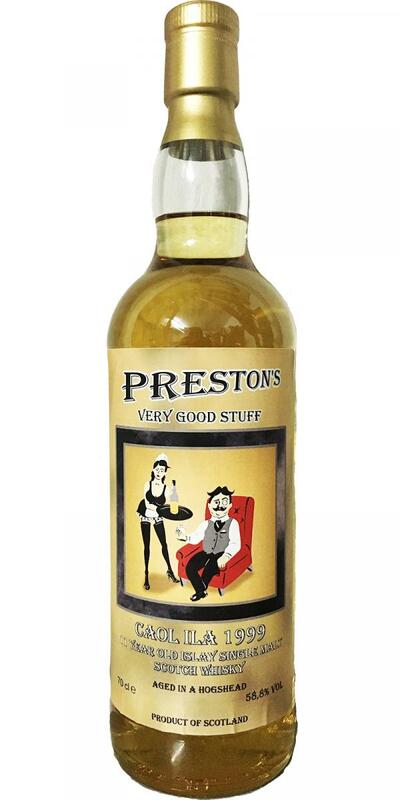 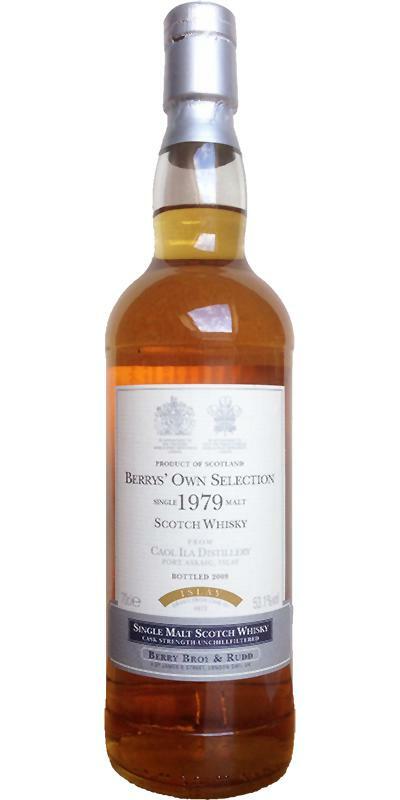 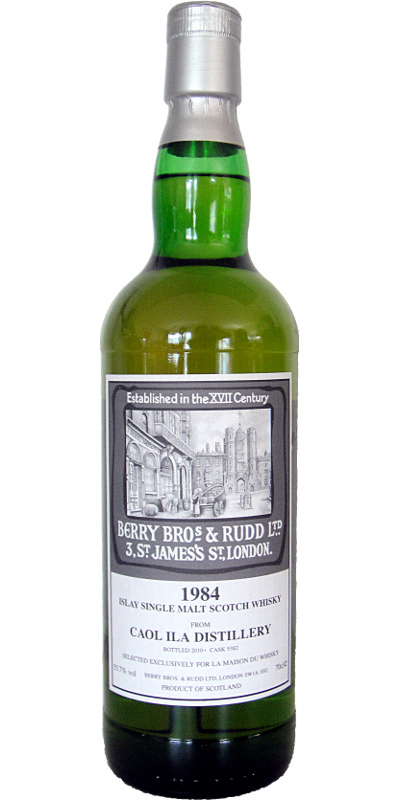 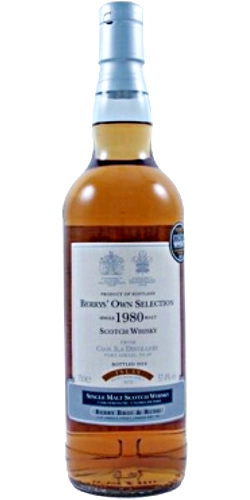 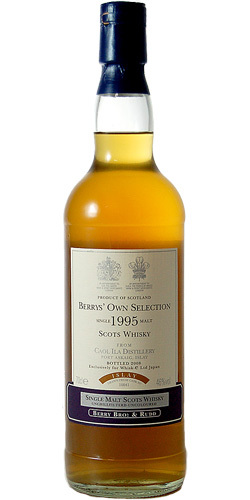 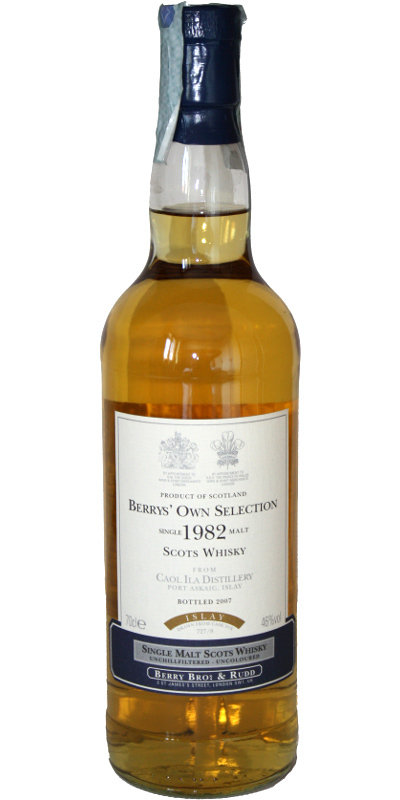 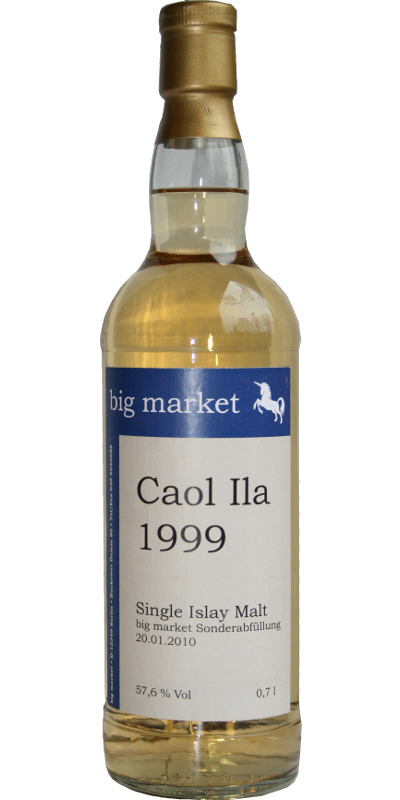 Caol Ila 1999 Bw Preston's - Very Good Stuff 11 58.8 % Vol. 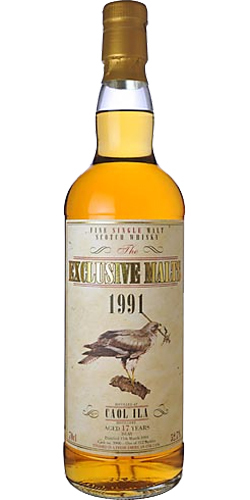 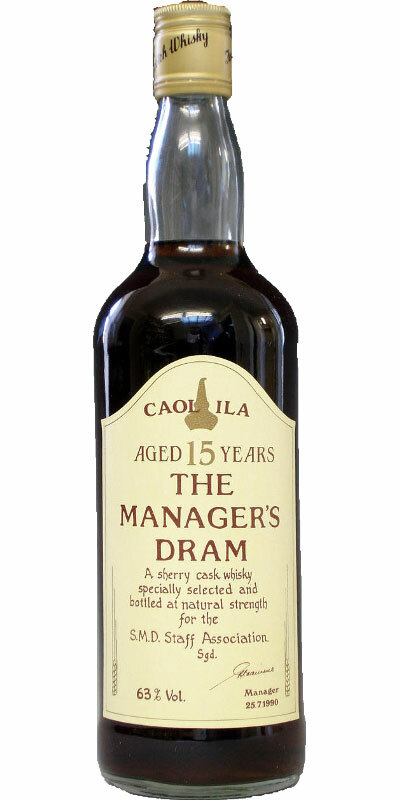 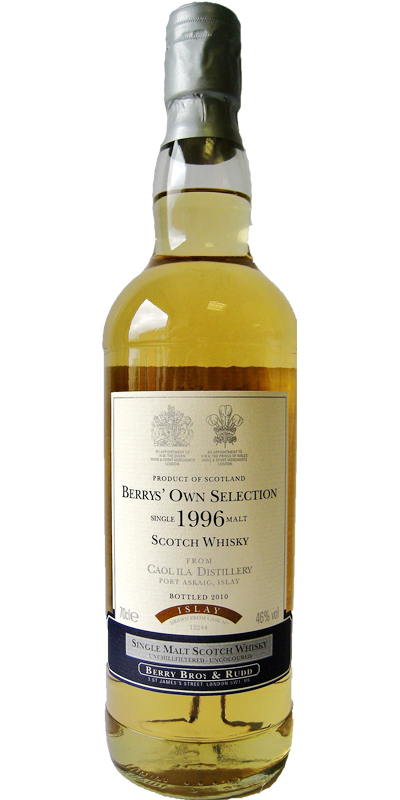 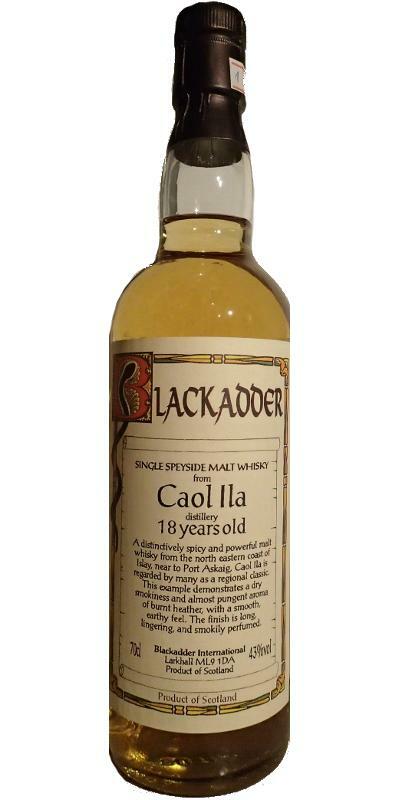 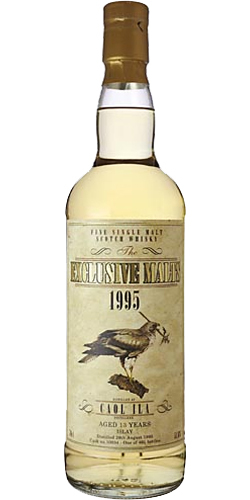 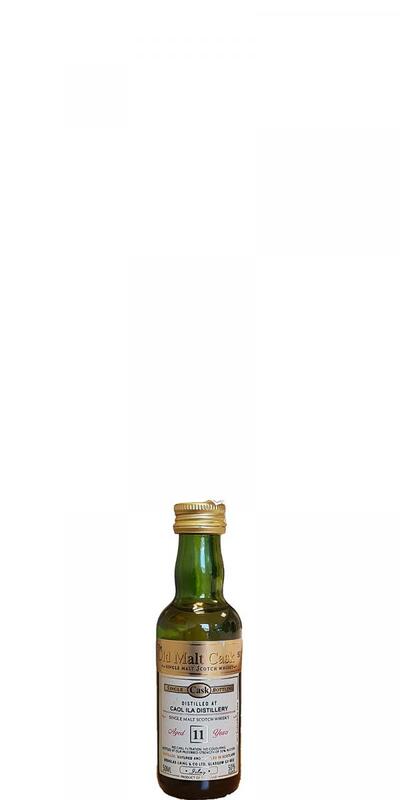 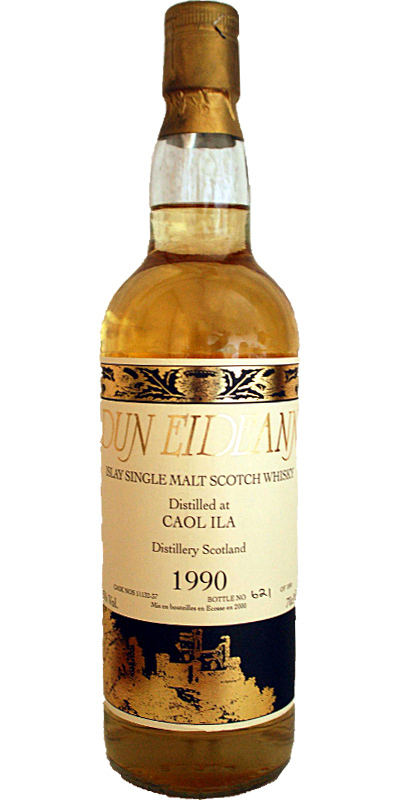 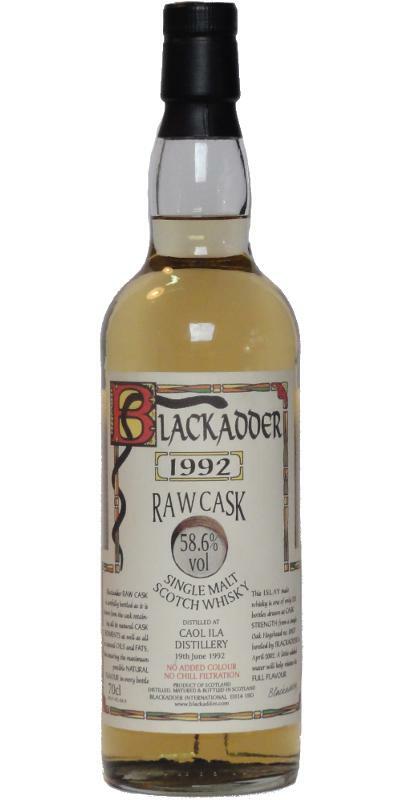 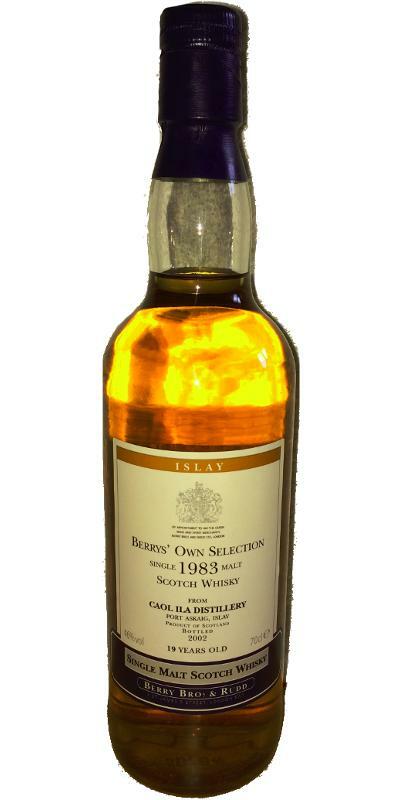 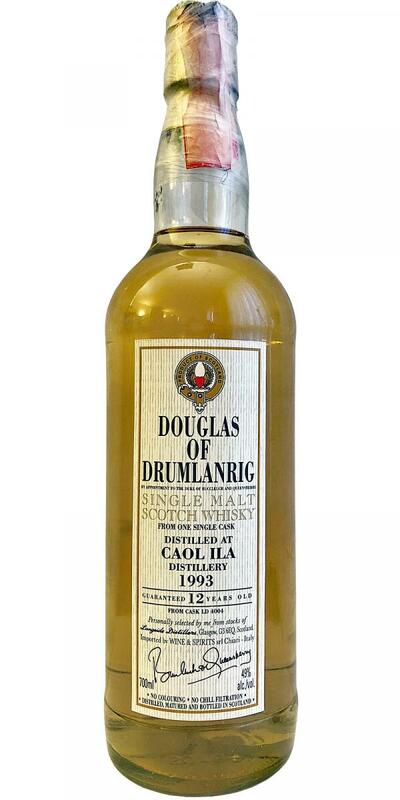 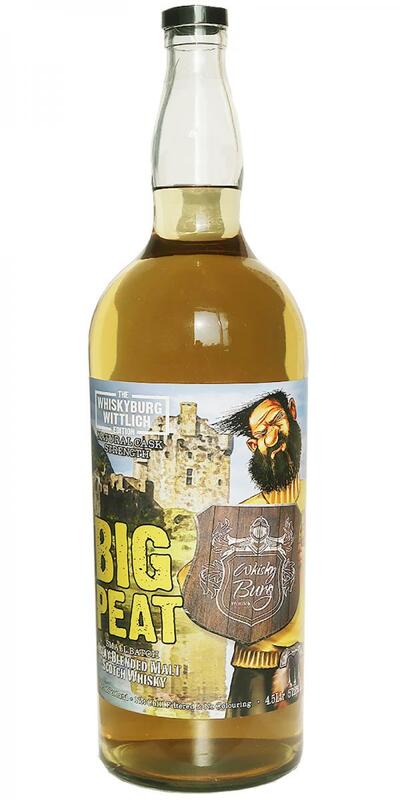 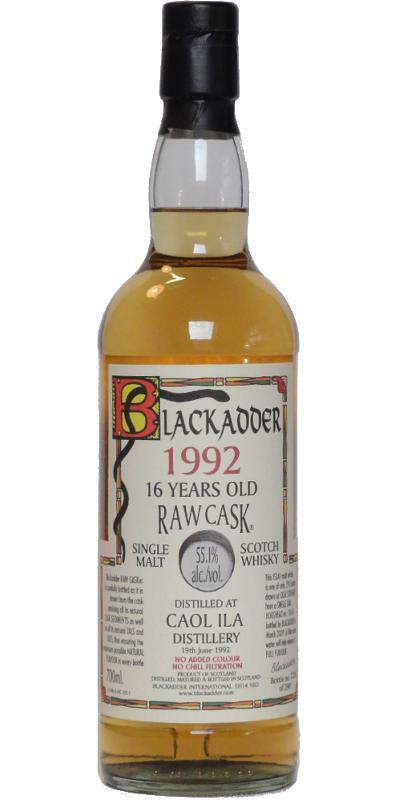 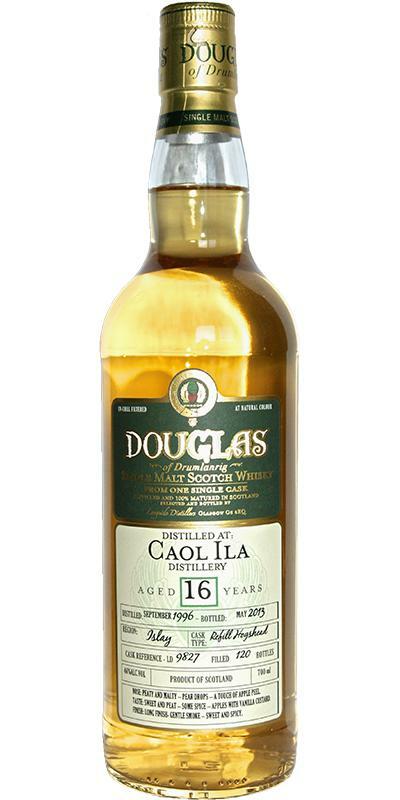 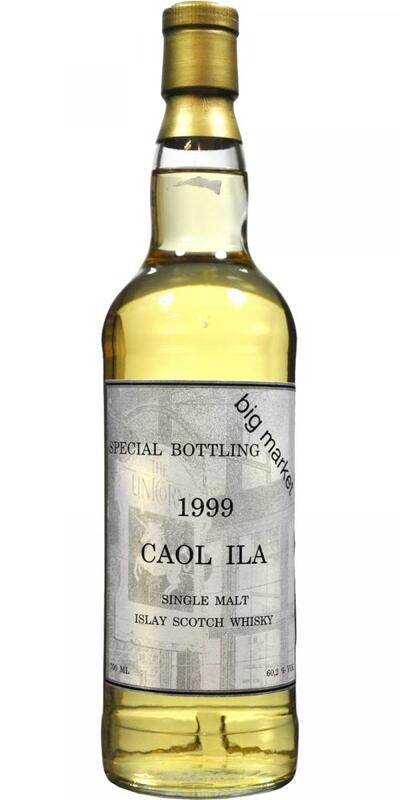 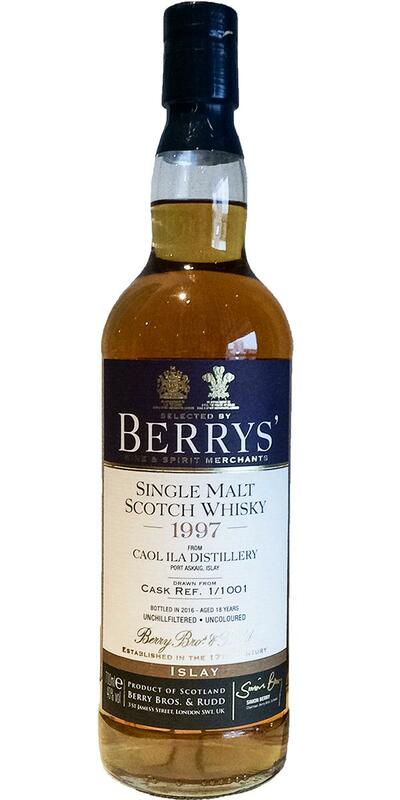 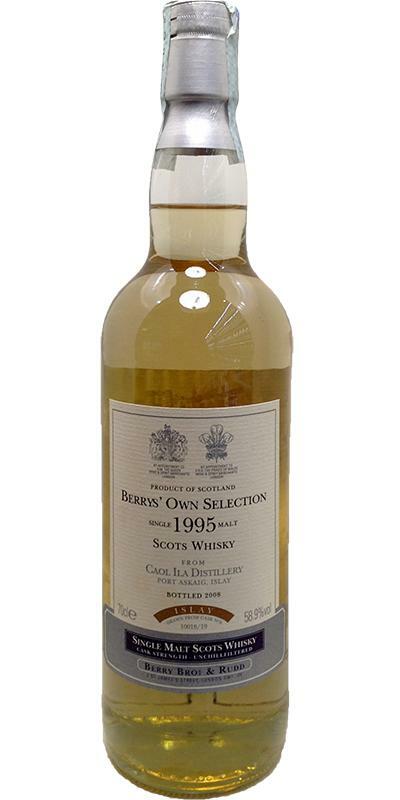 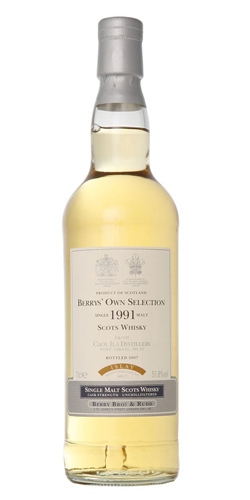 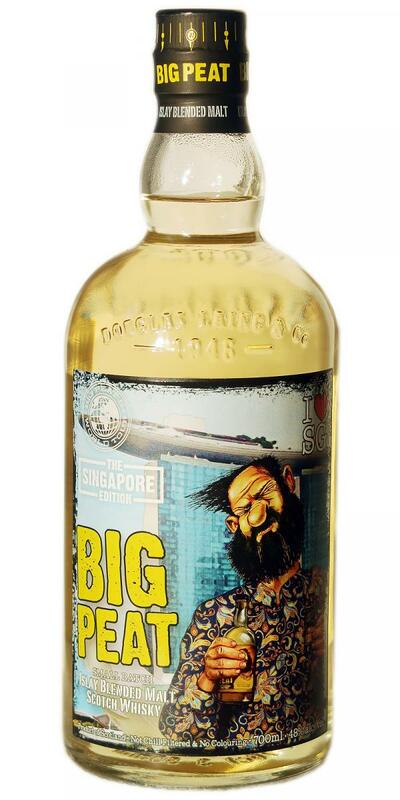 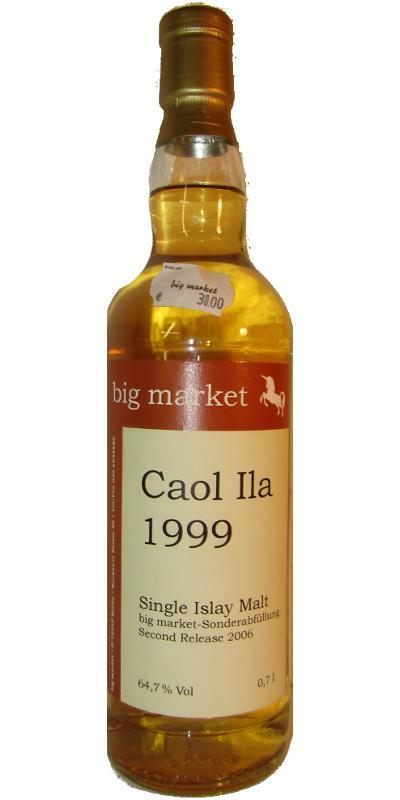 Caol Ila 1998 BM Sonderabfüllung 59.4 % Vol. 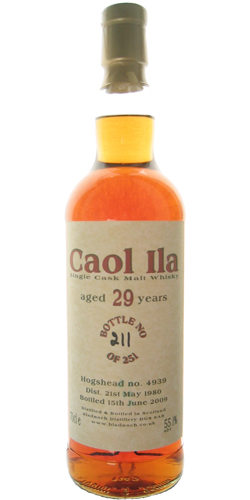 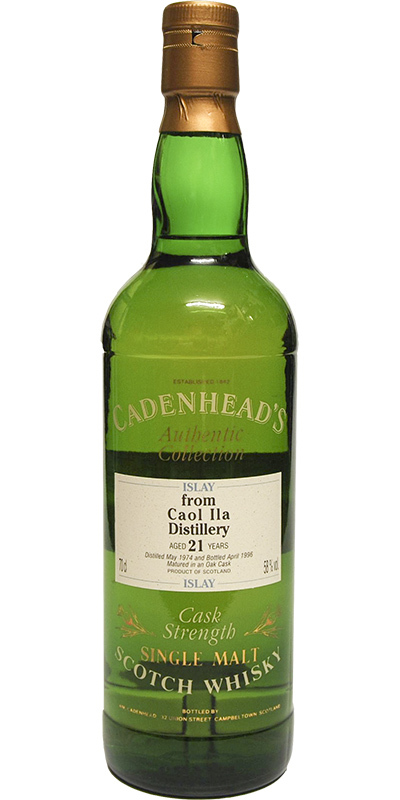 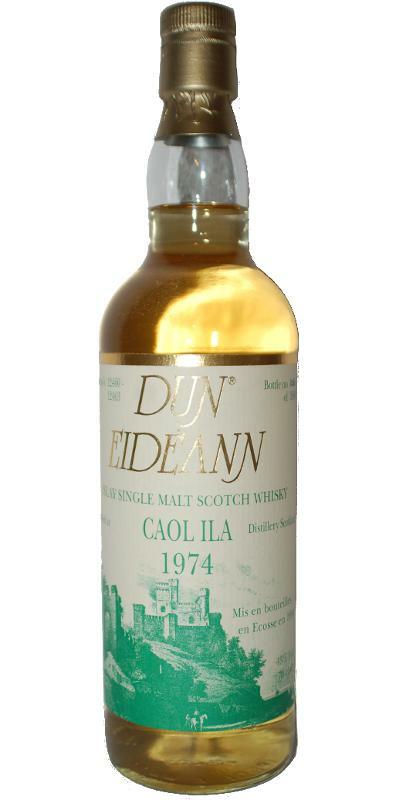 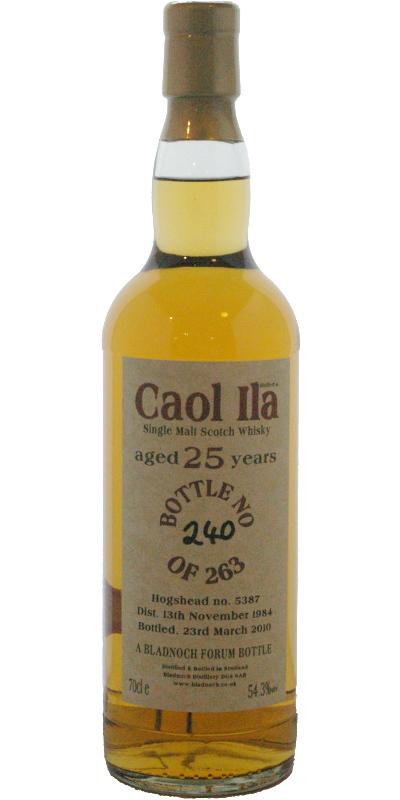 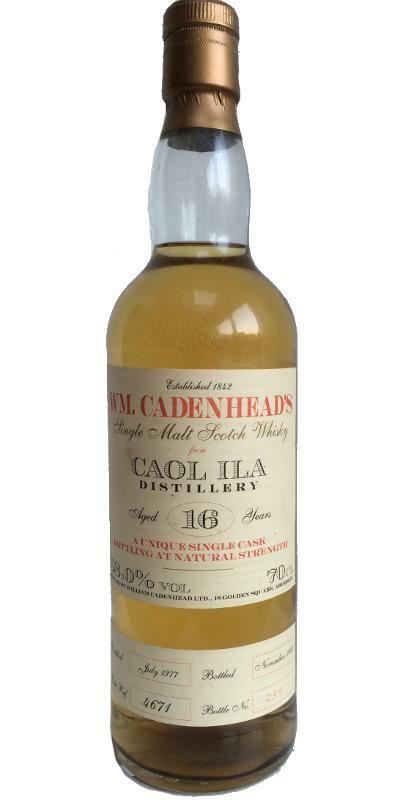 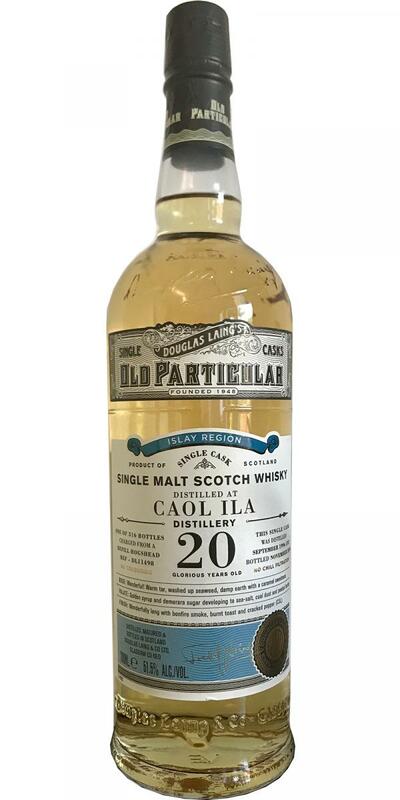 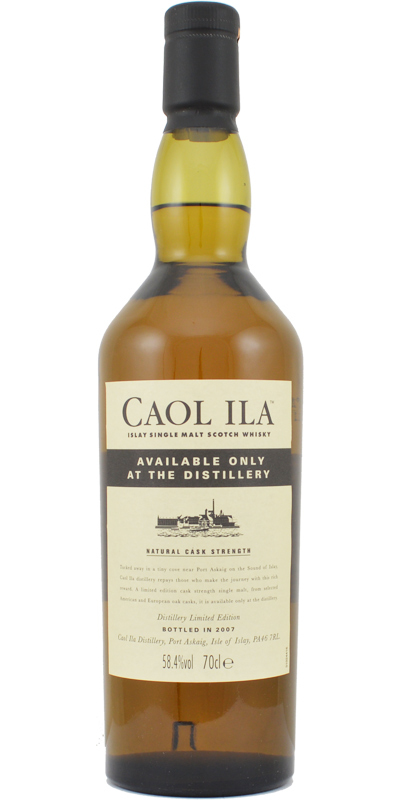 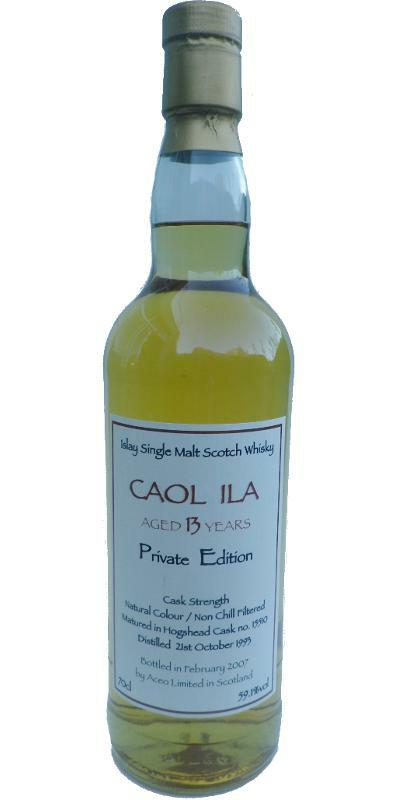 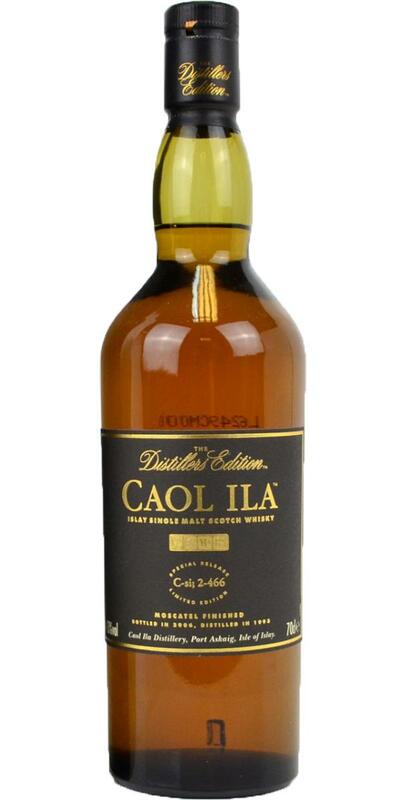 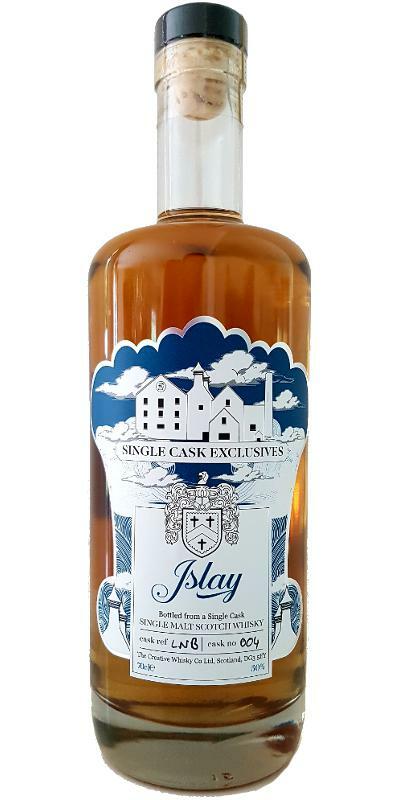 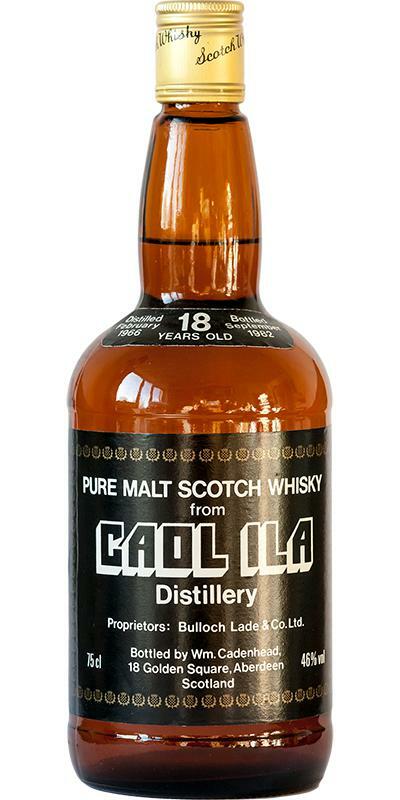 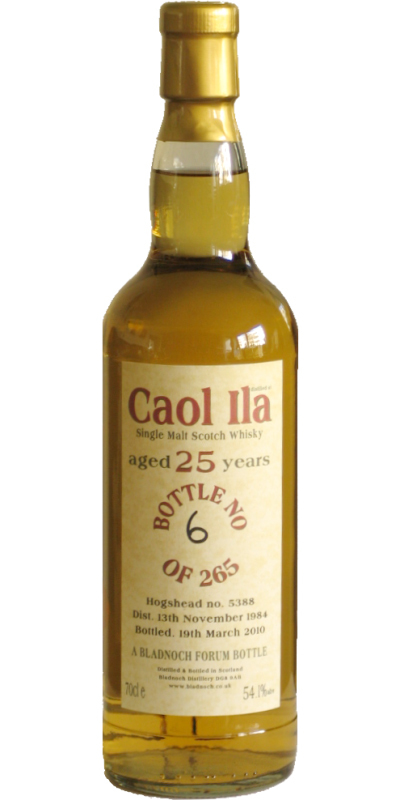 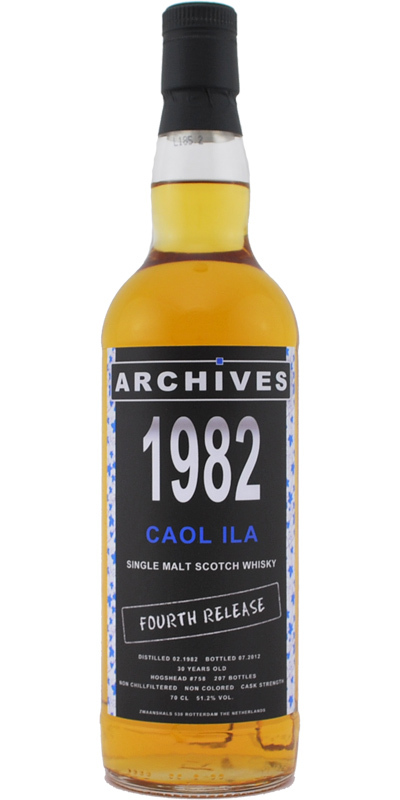 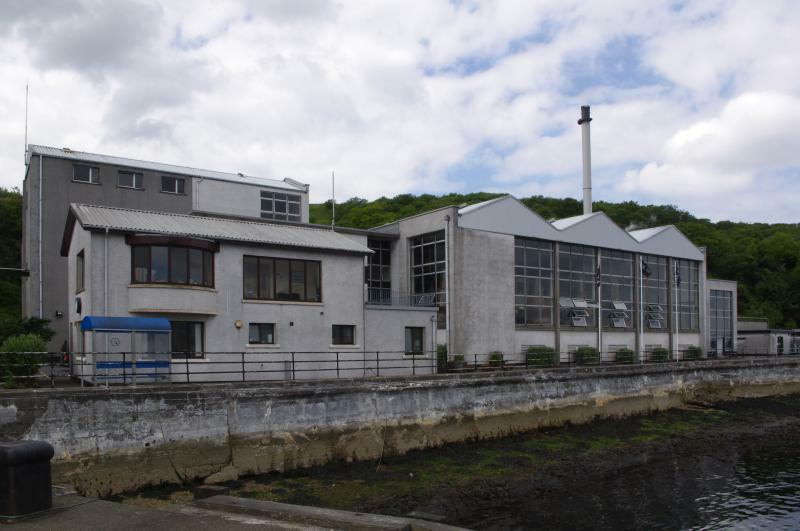 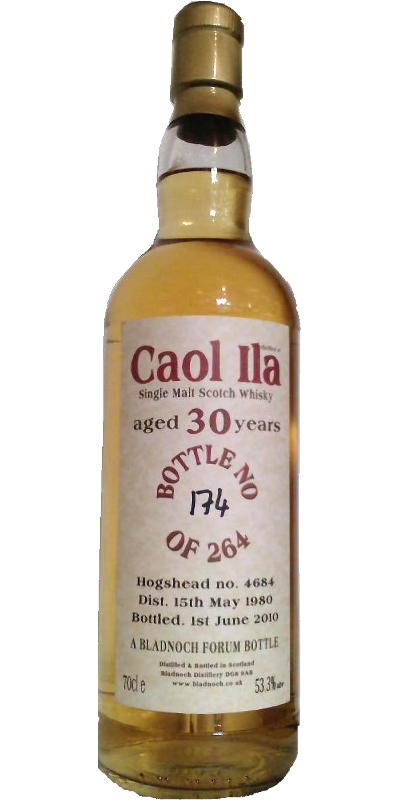 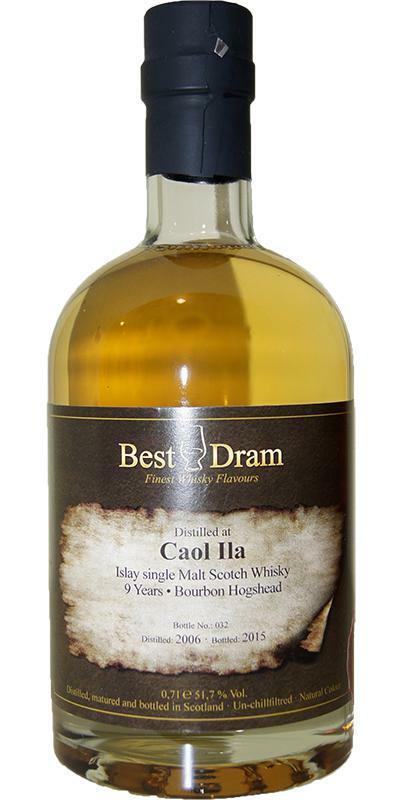 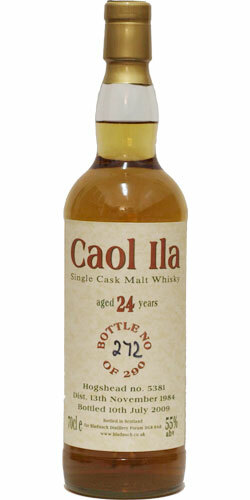 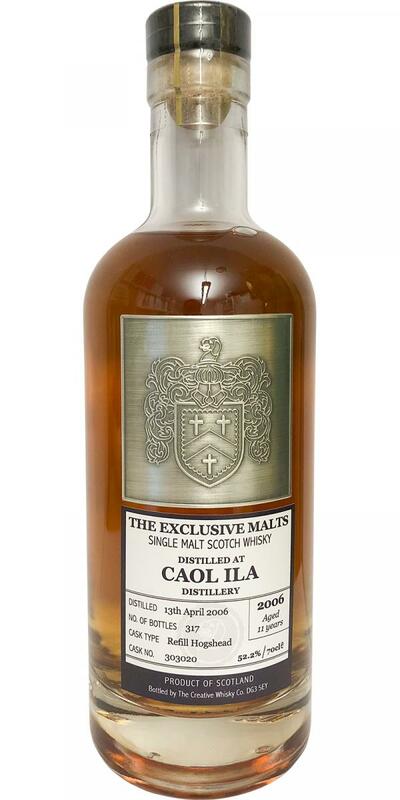 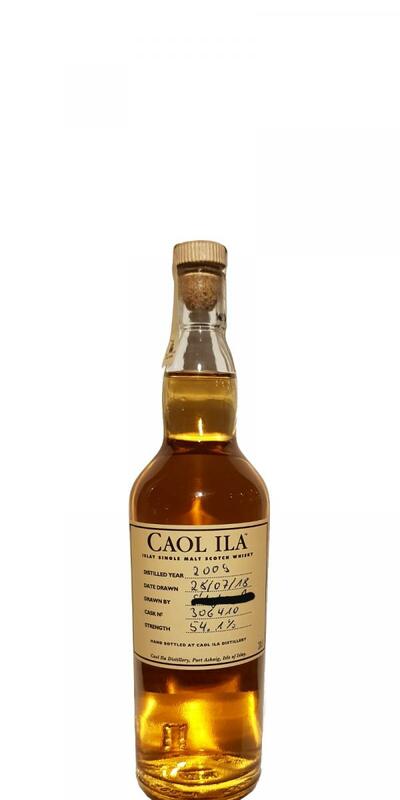 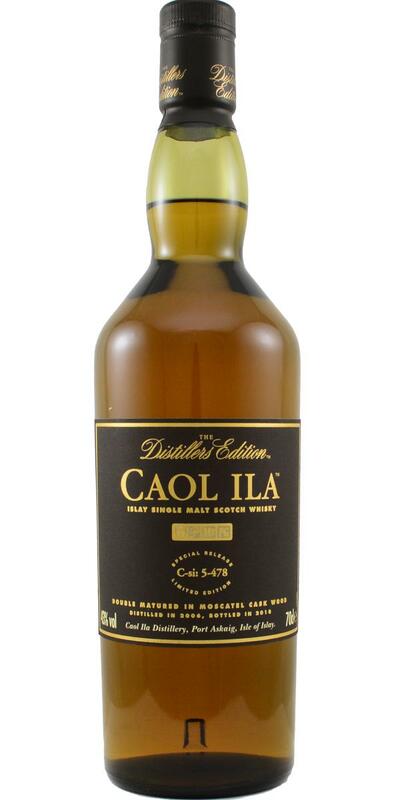 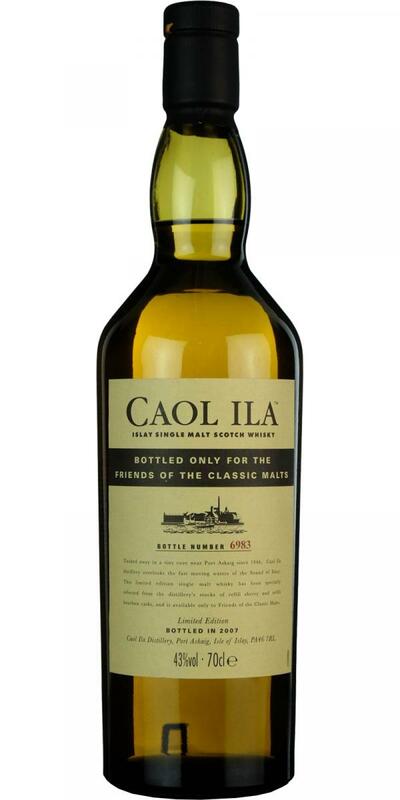 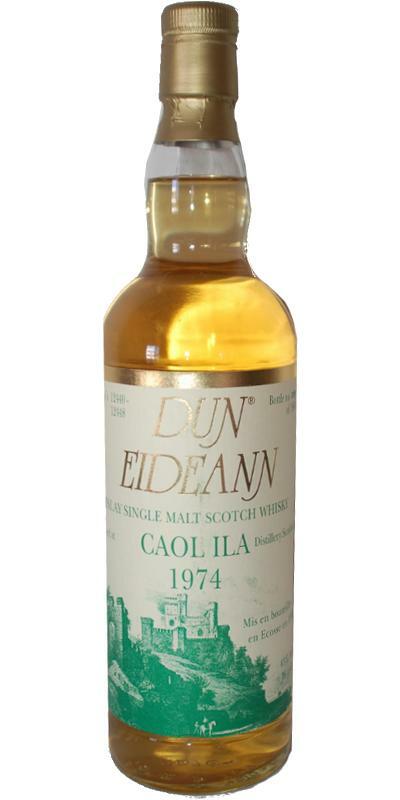 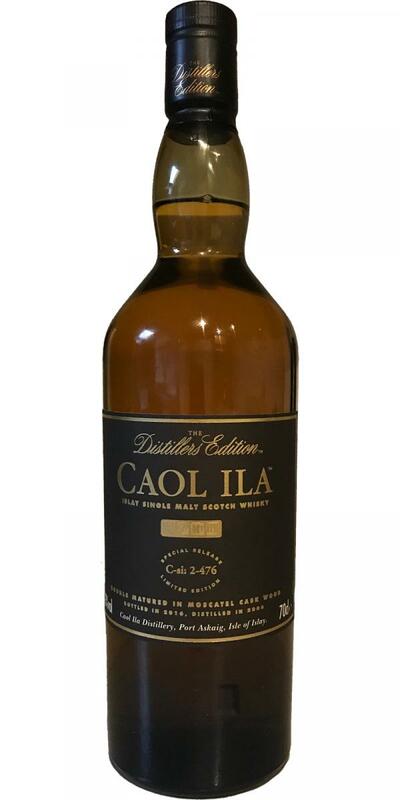 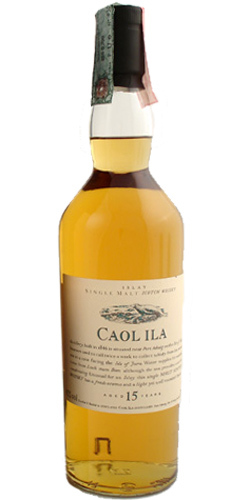 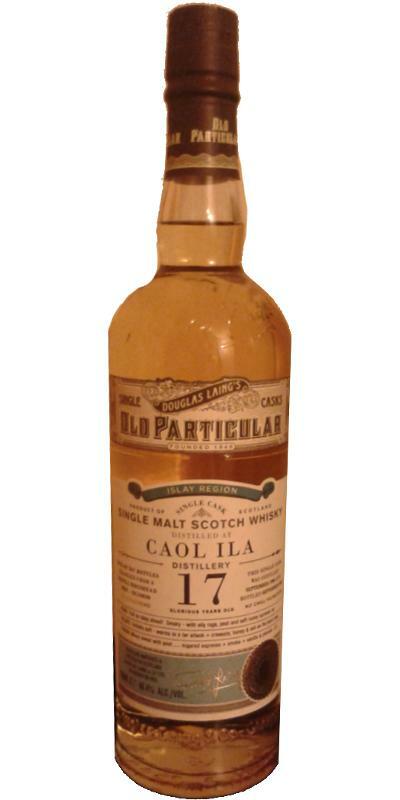 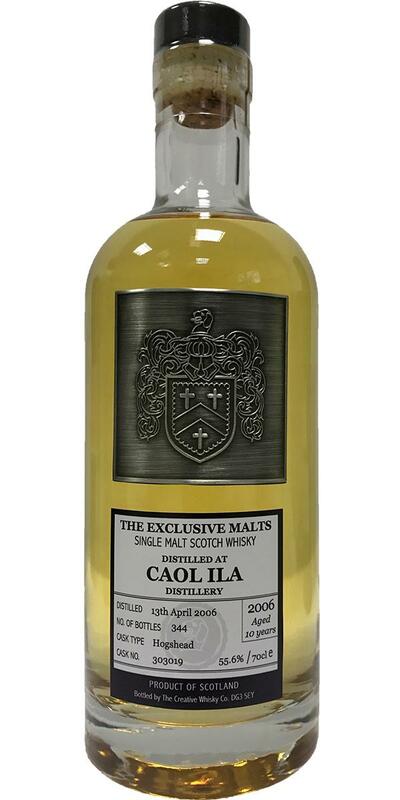 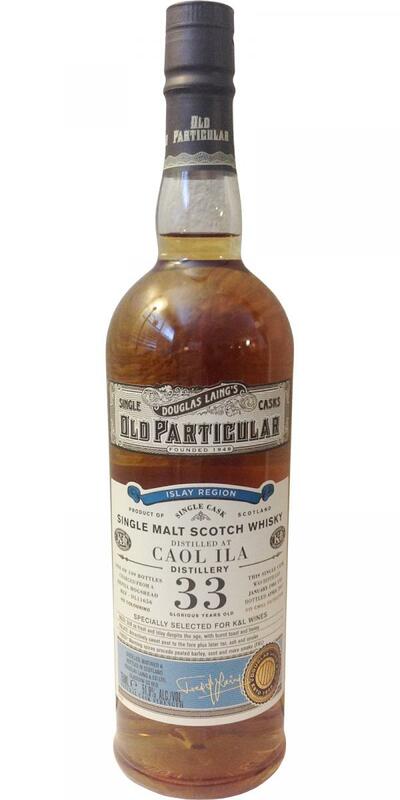 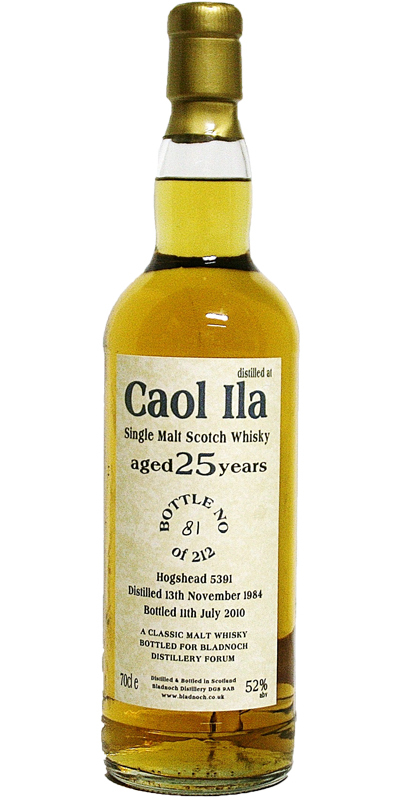 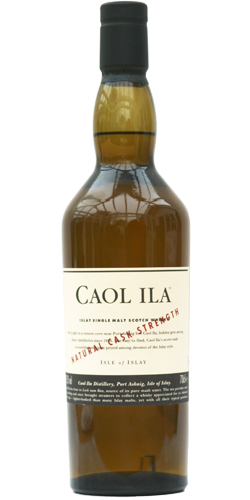 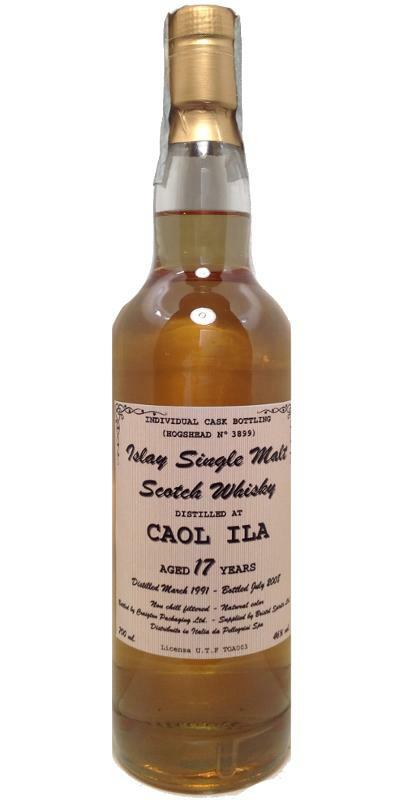 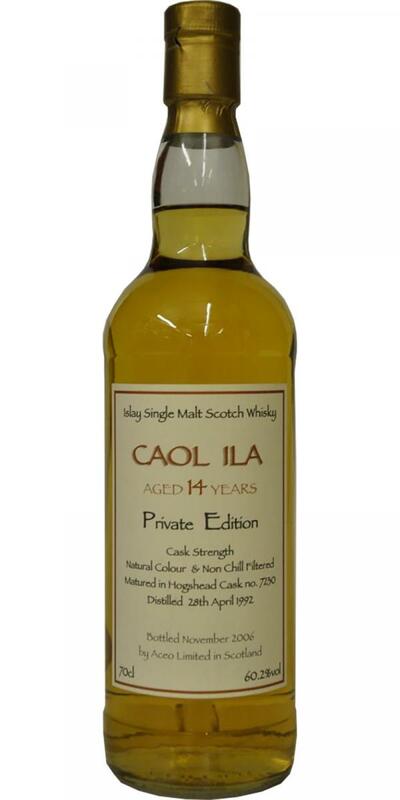 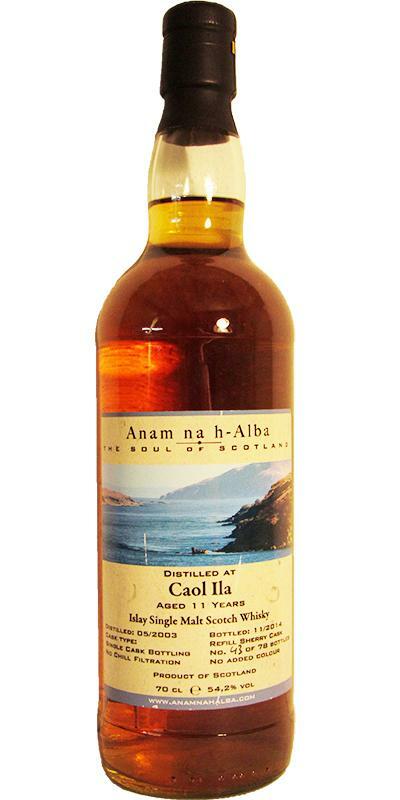 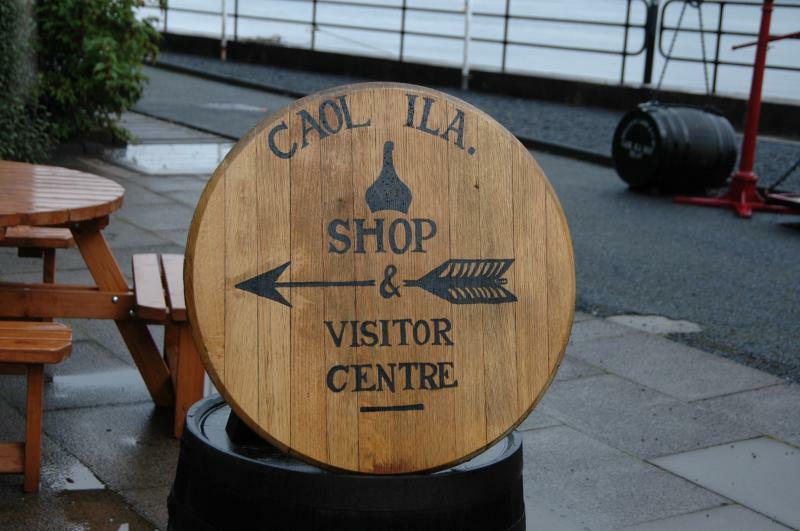 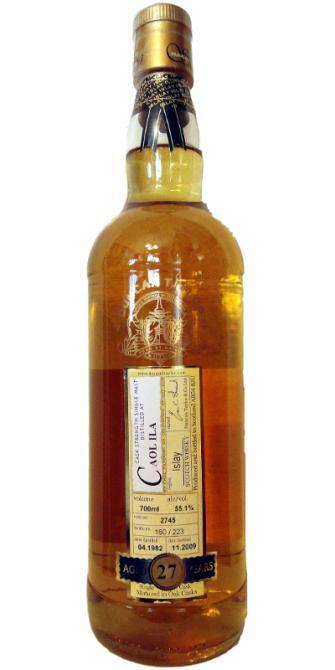 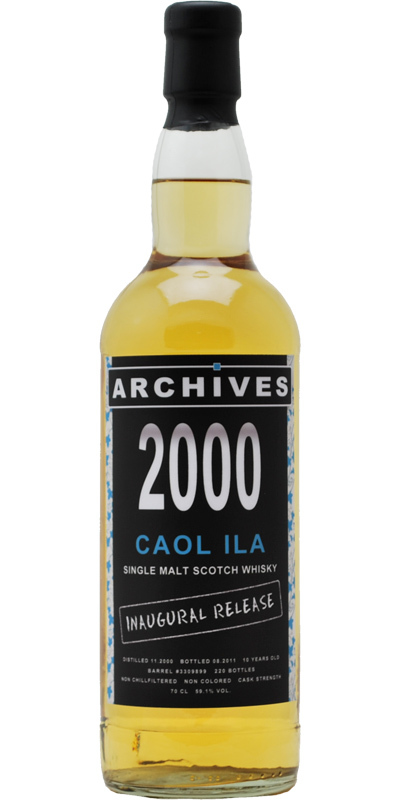 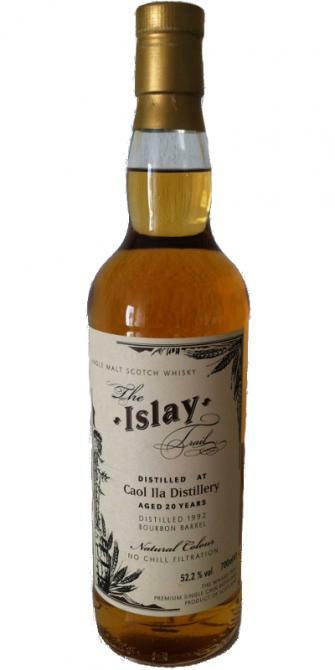 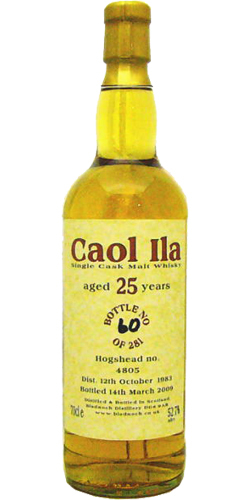 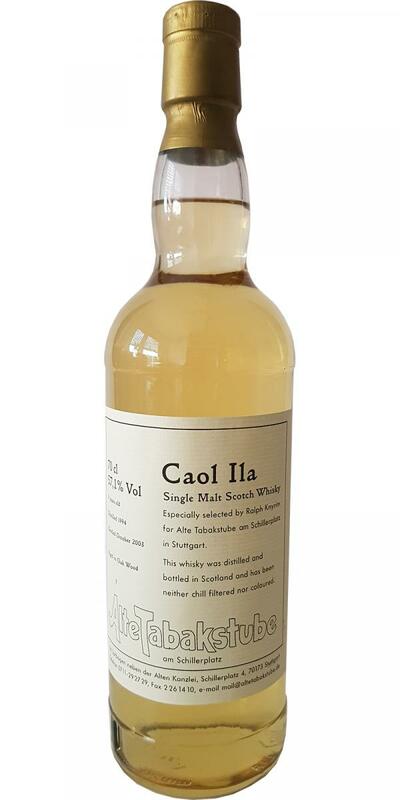 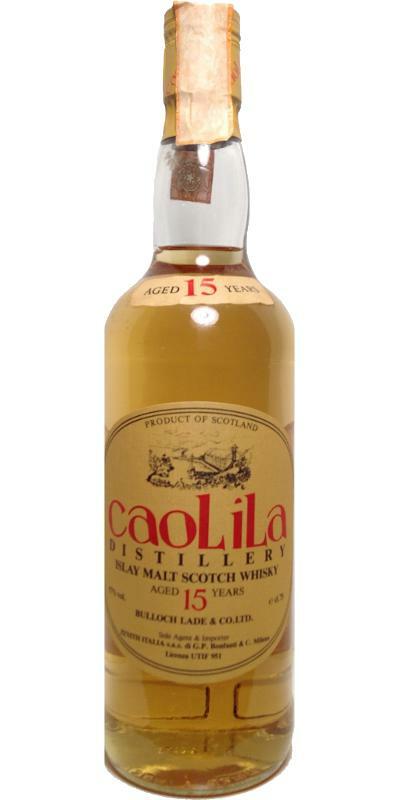 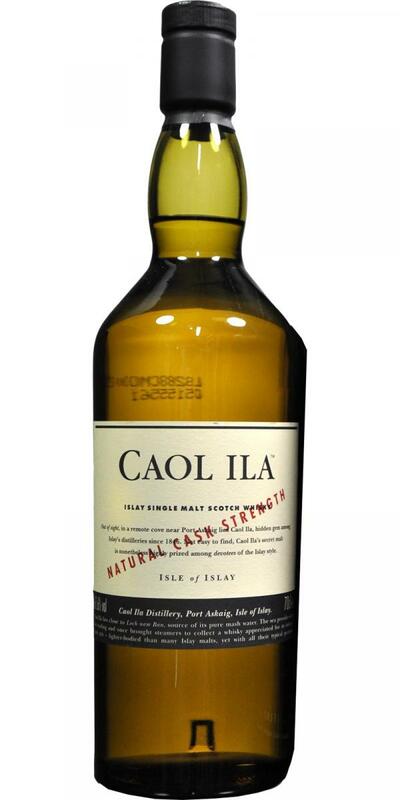 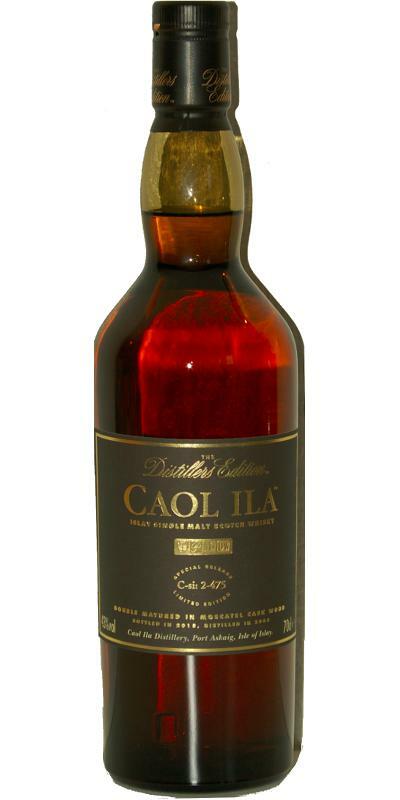 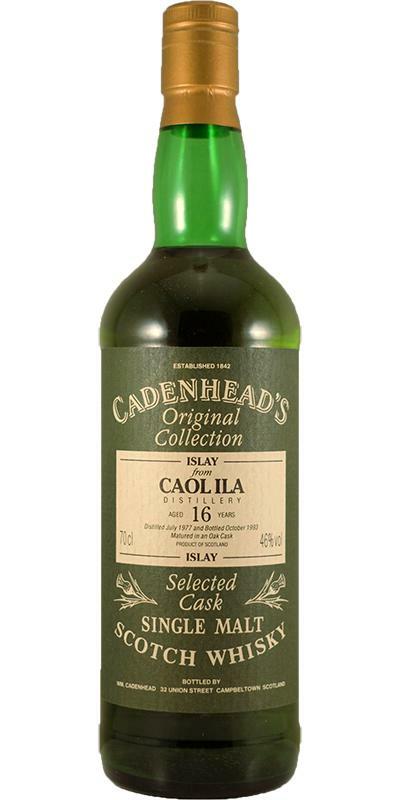 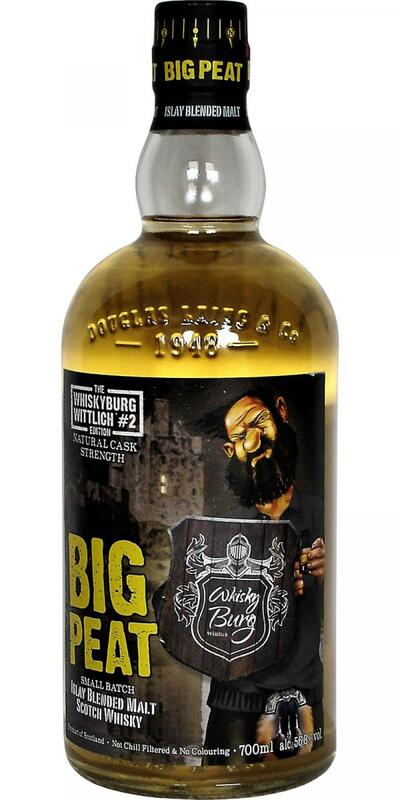 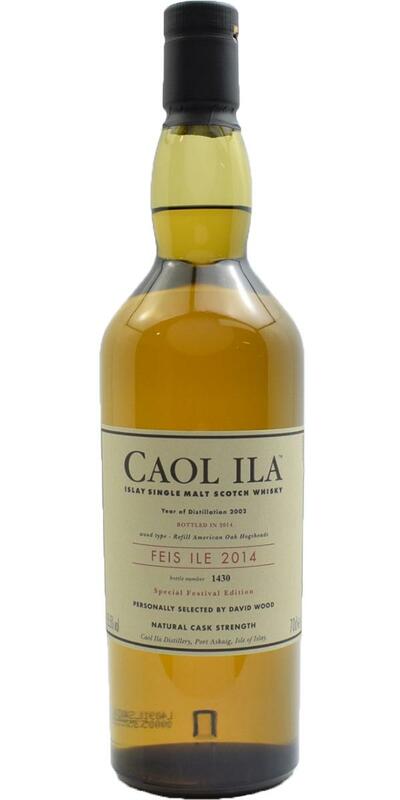 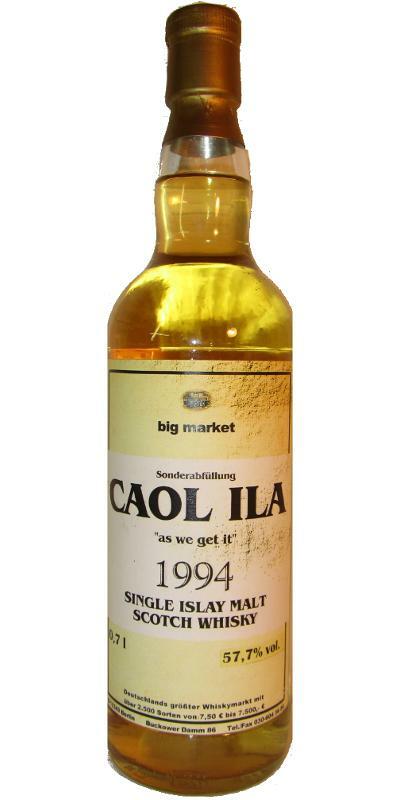 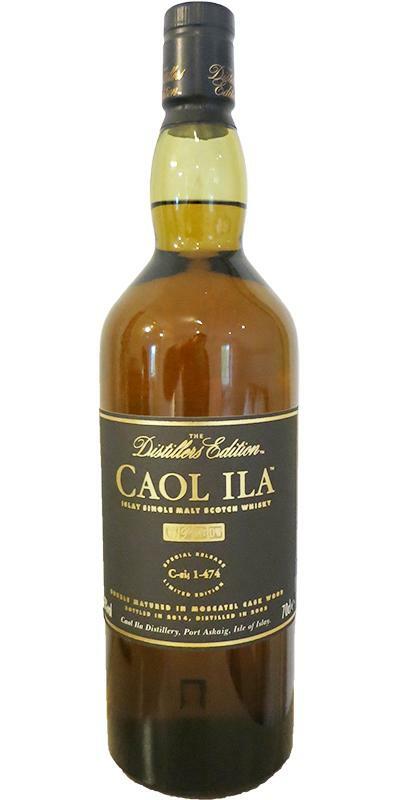 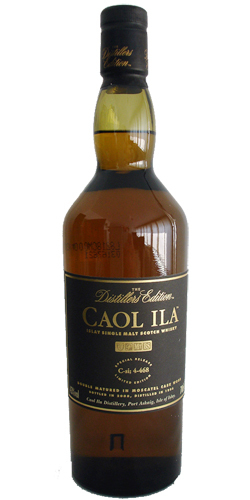 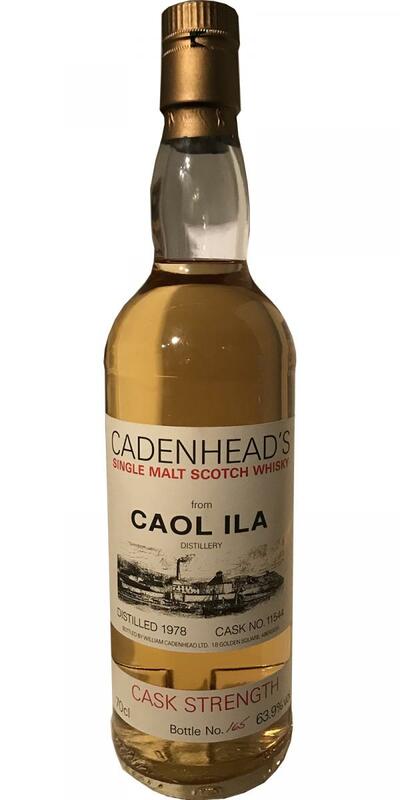 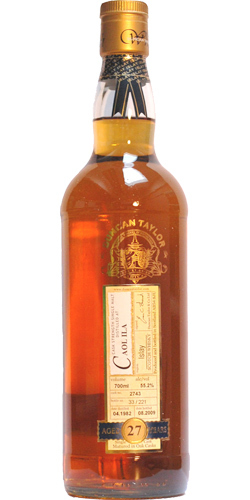 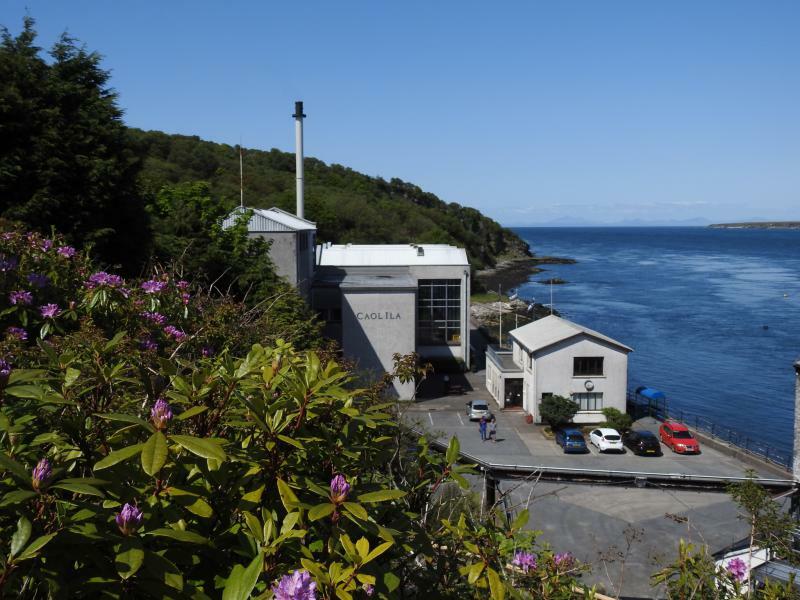 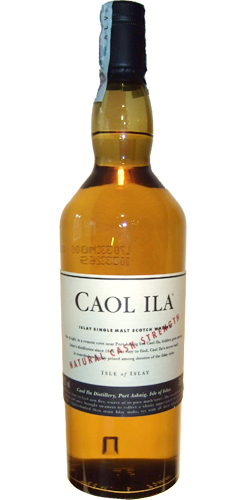 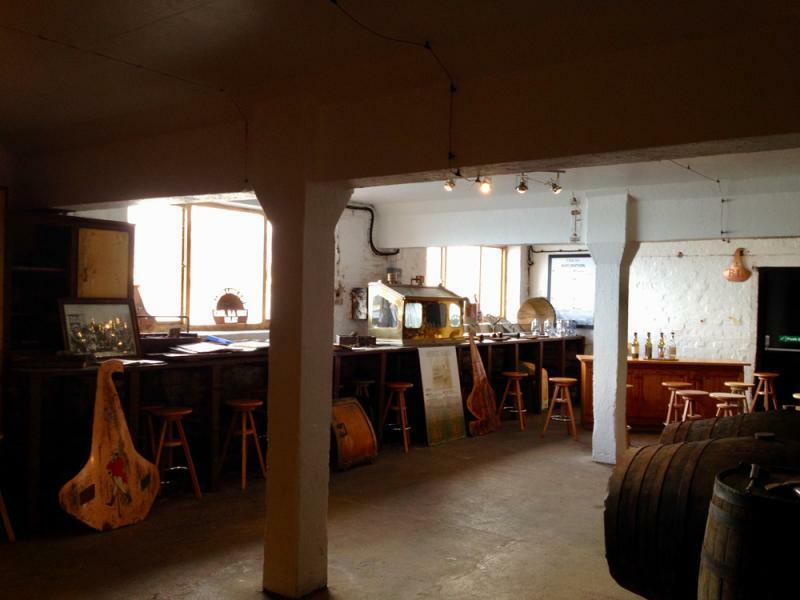 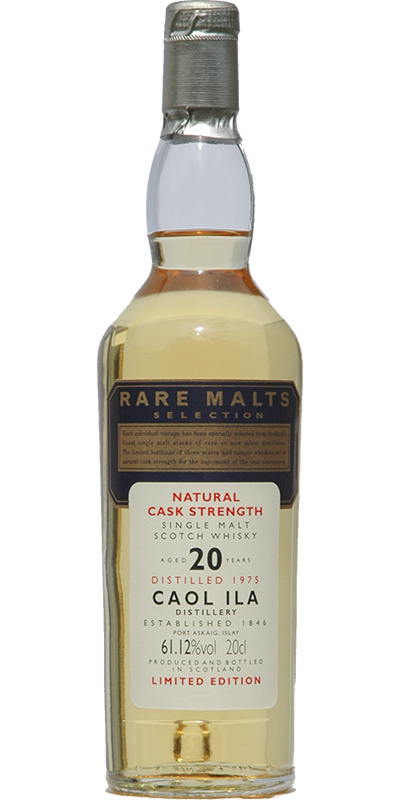 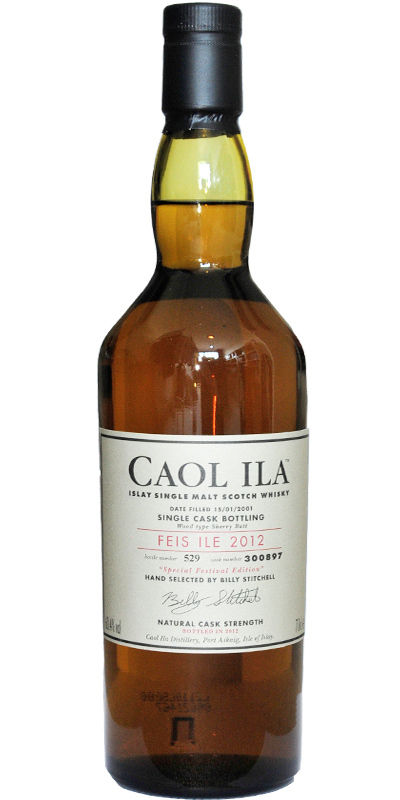 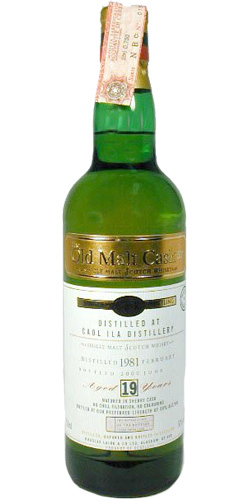 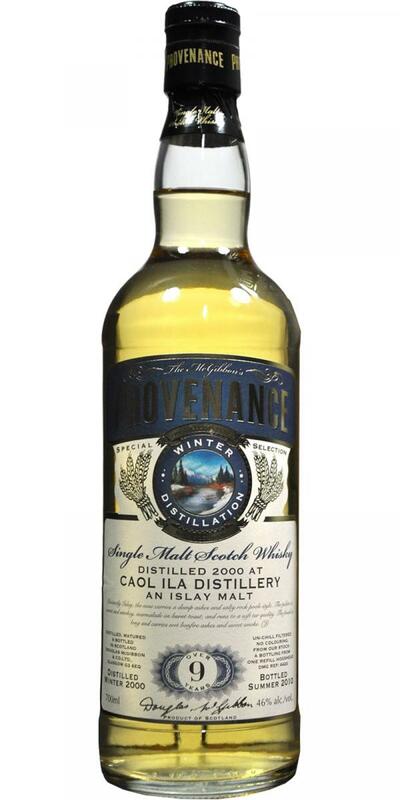 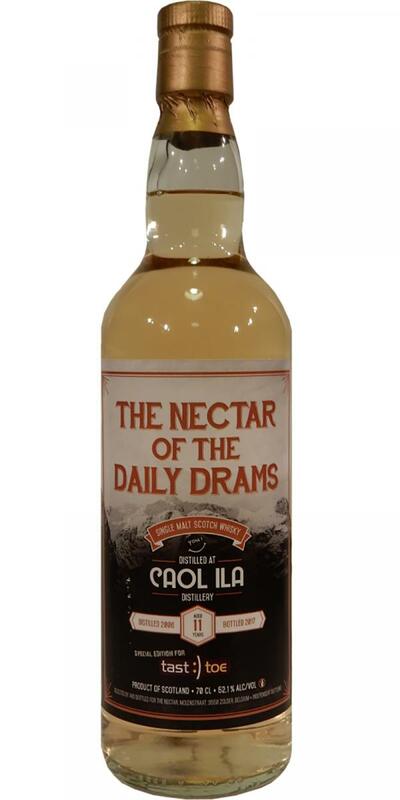 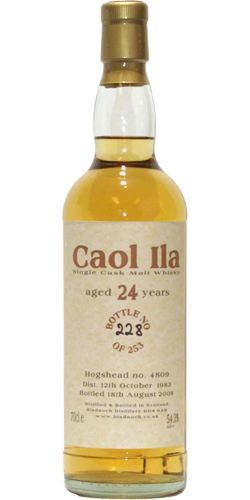 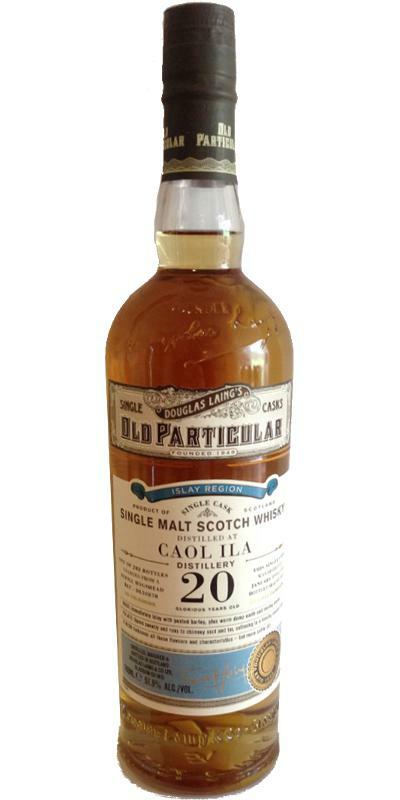 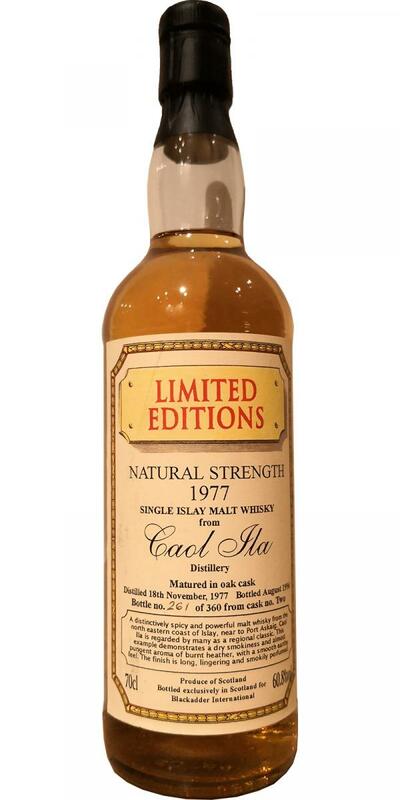 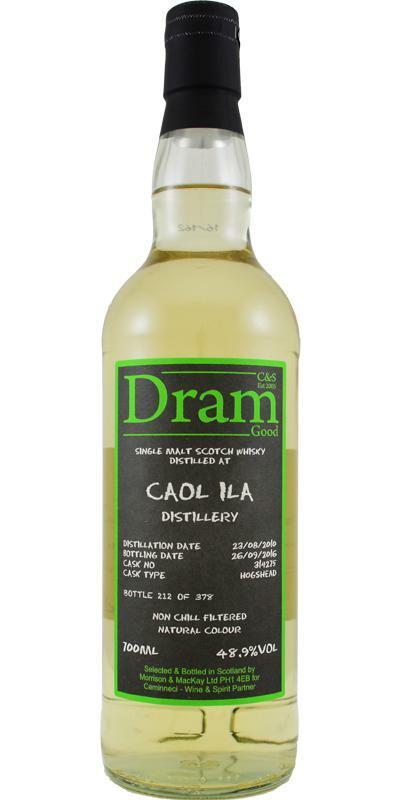 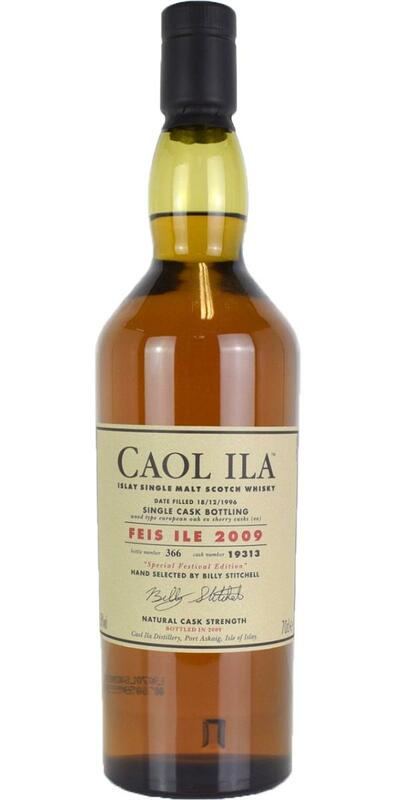 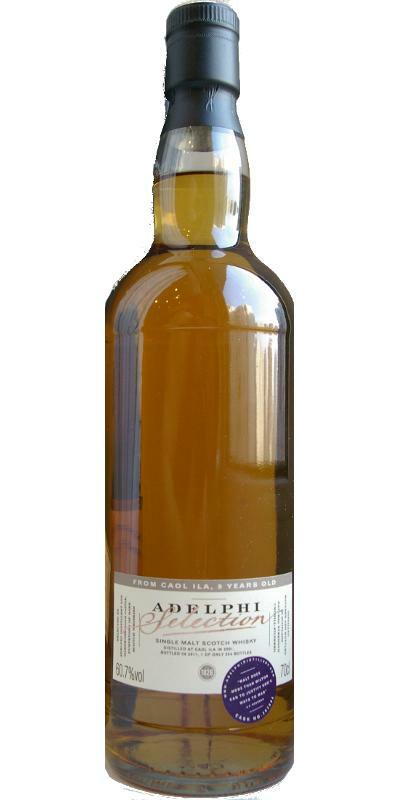 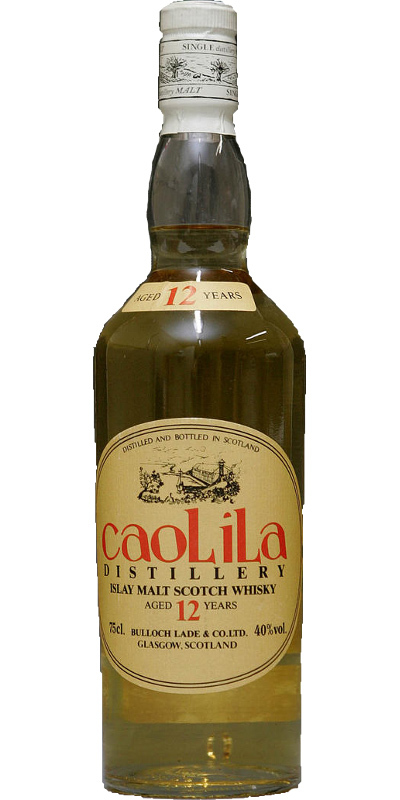 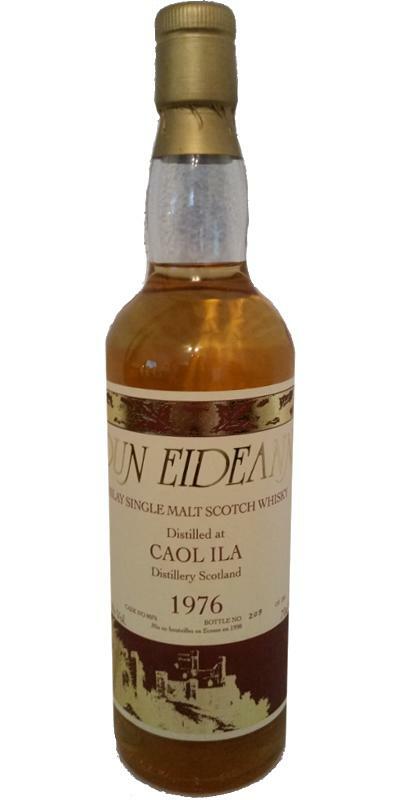 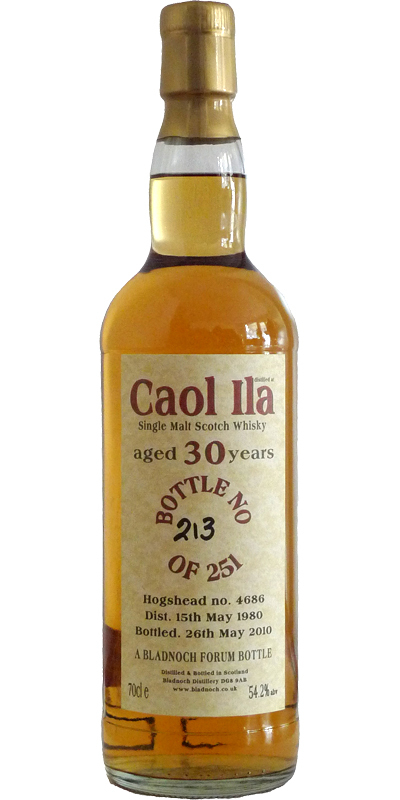 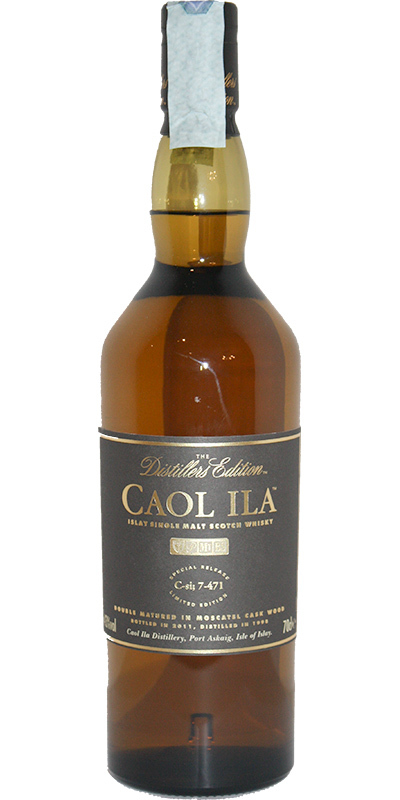 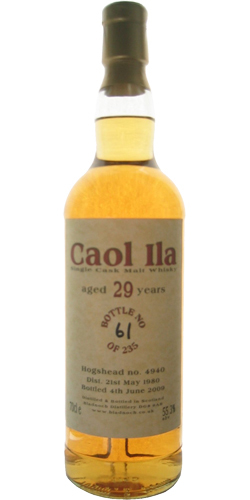 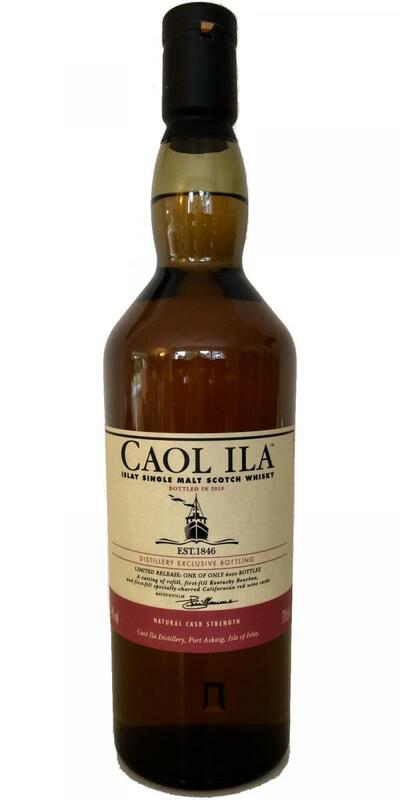 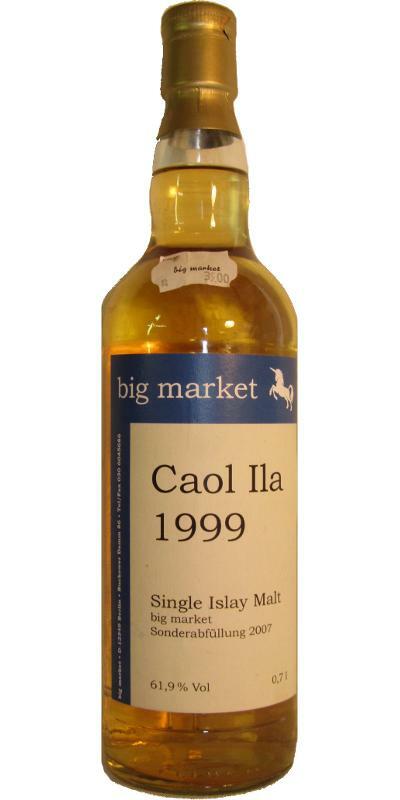 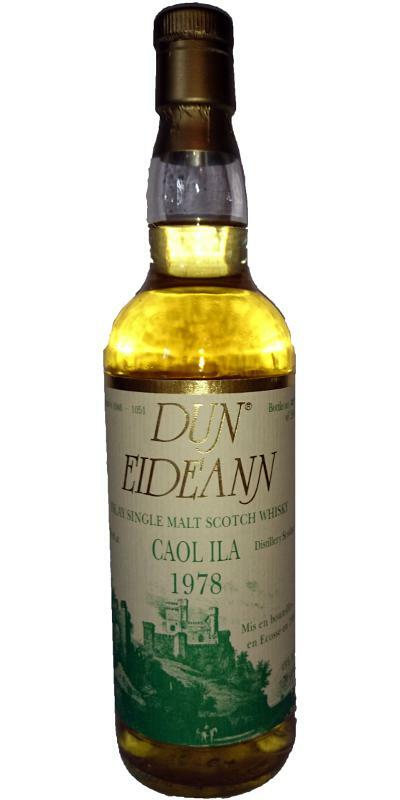 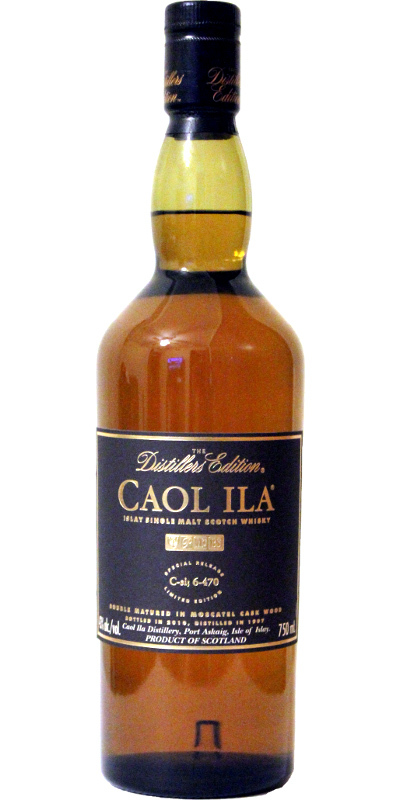 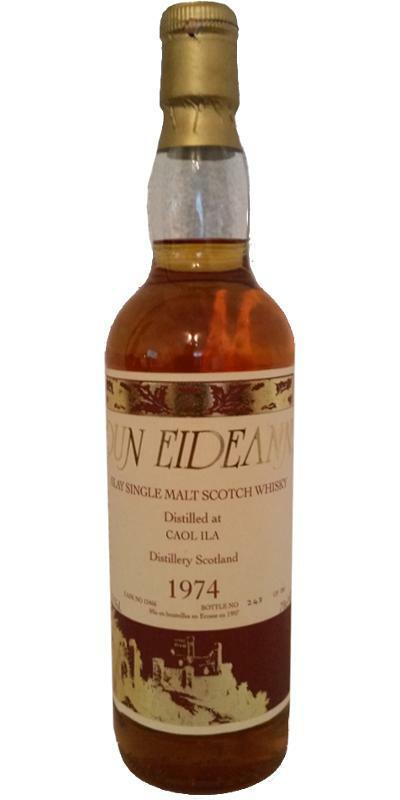 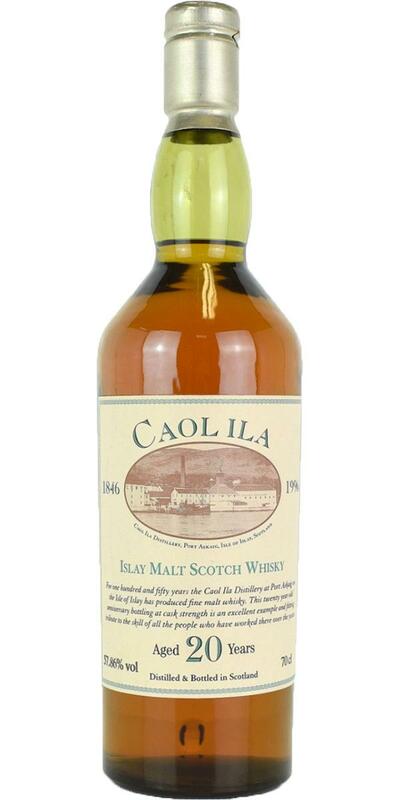 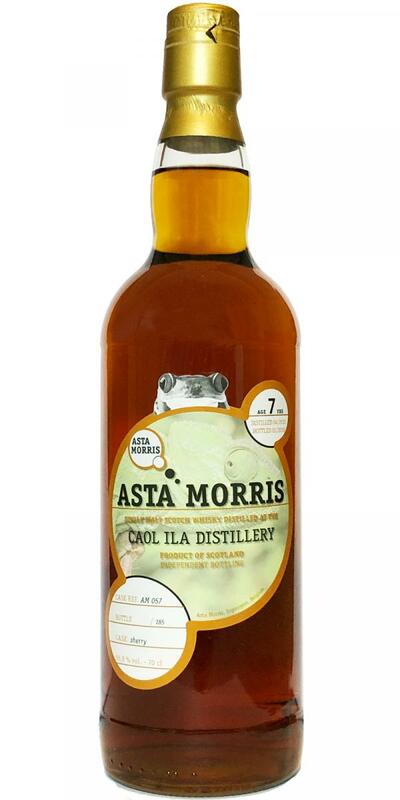 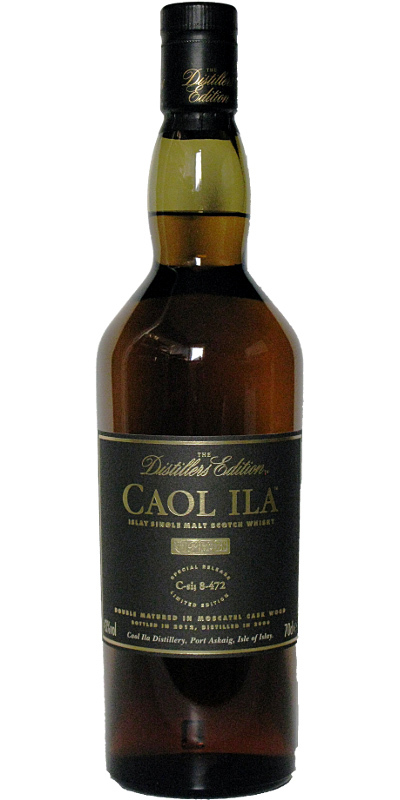 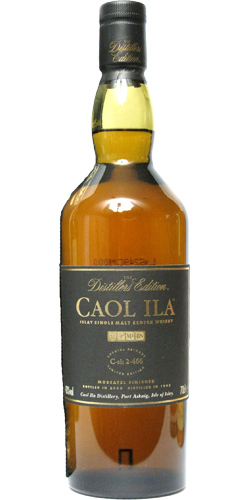 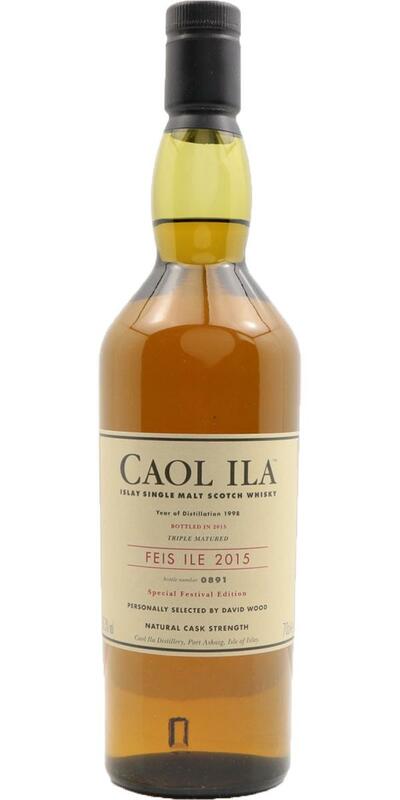 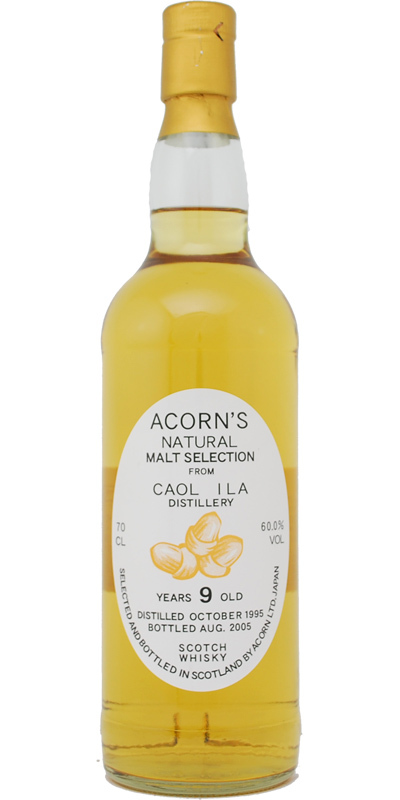 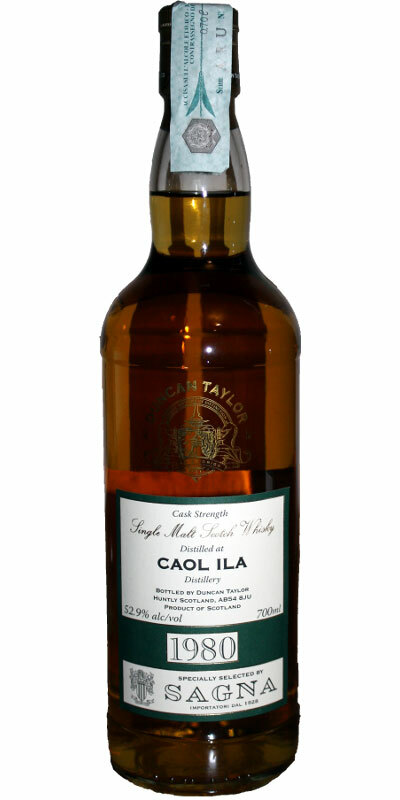 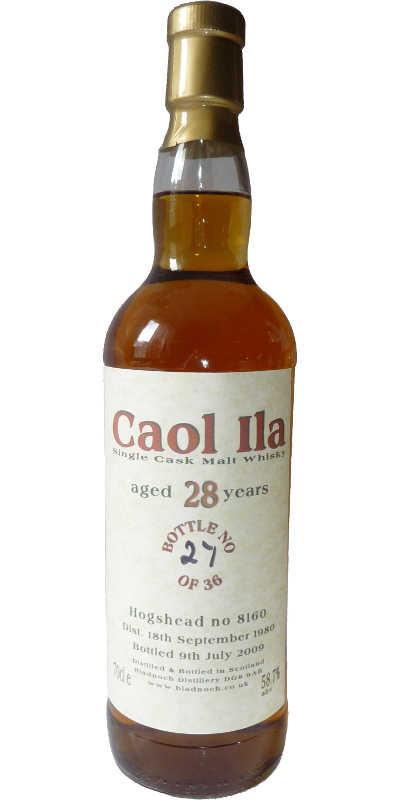 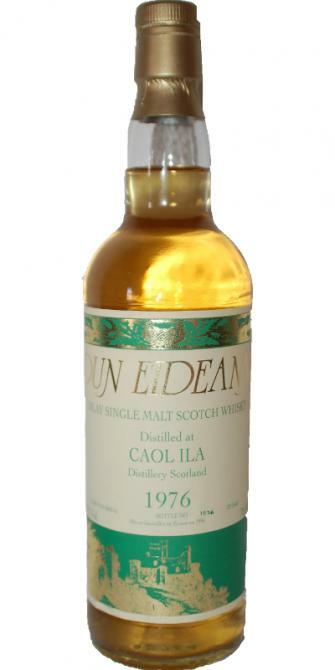 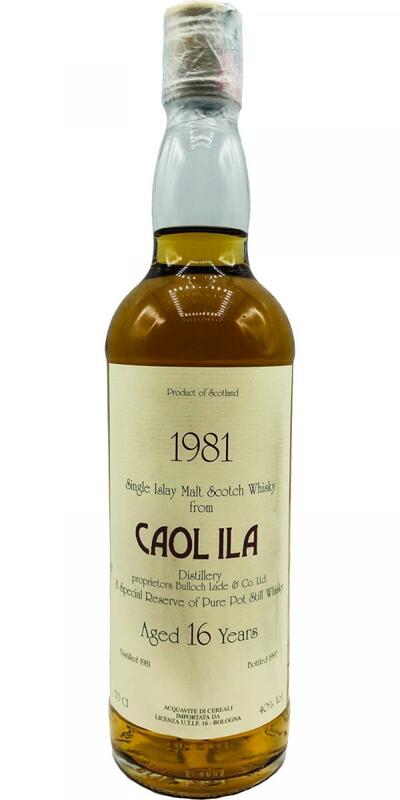 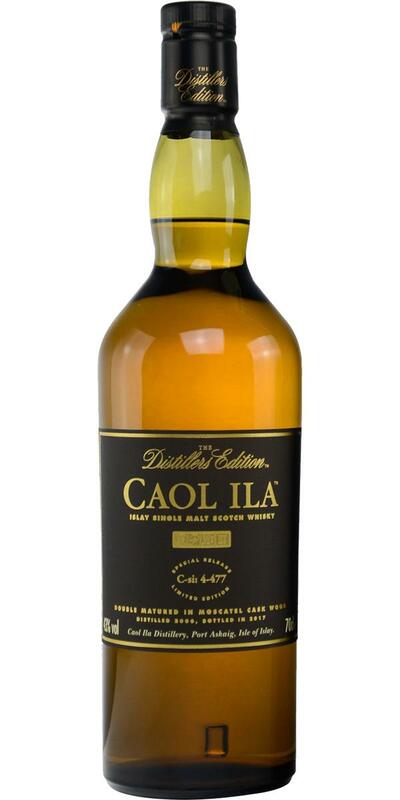 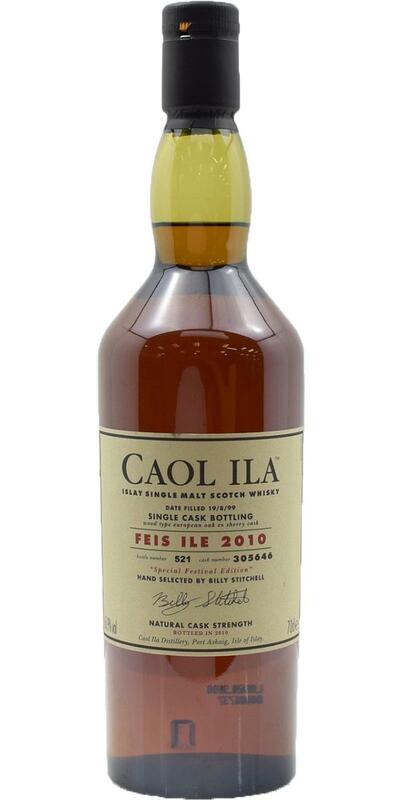 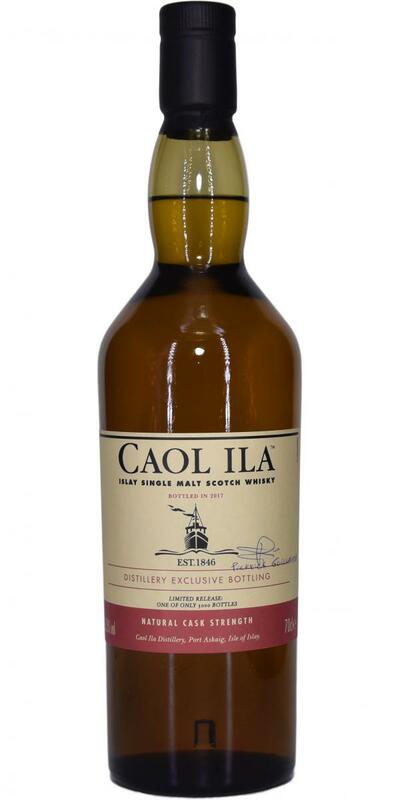 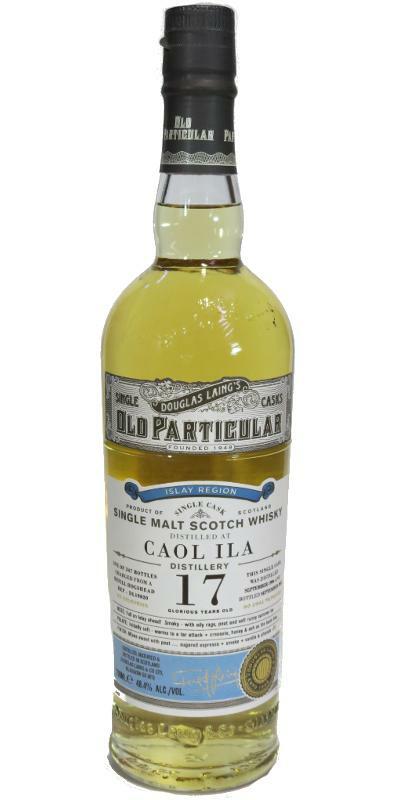 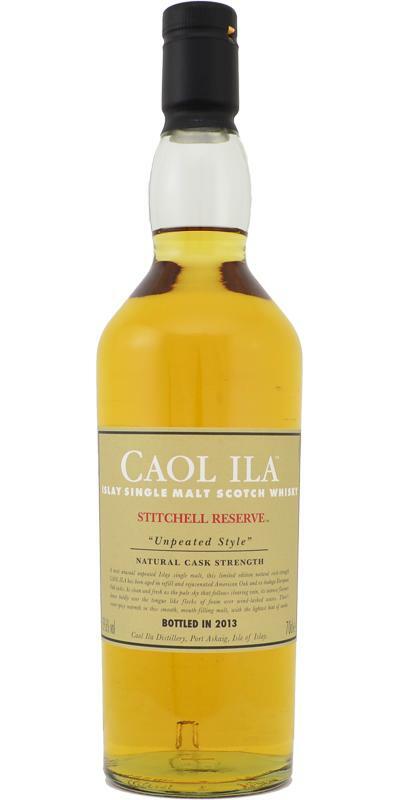 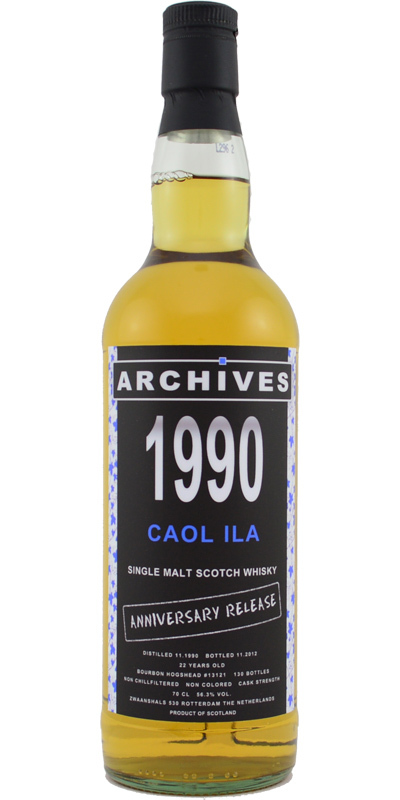 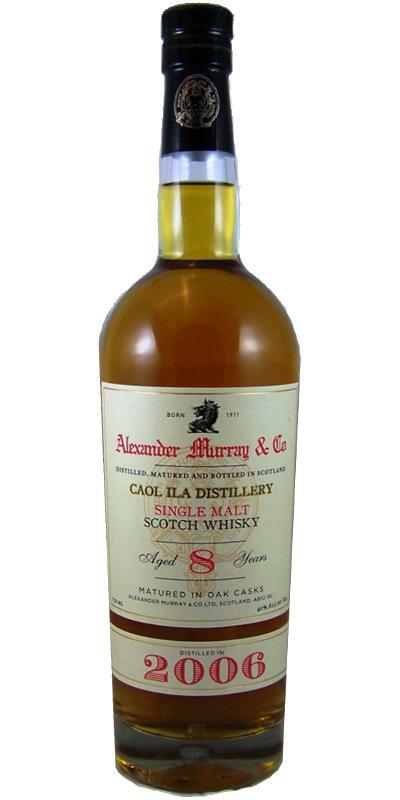 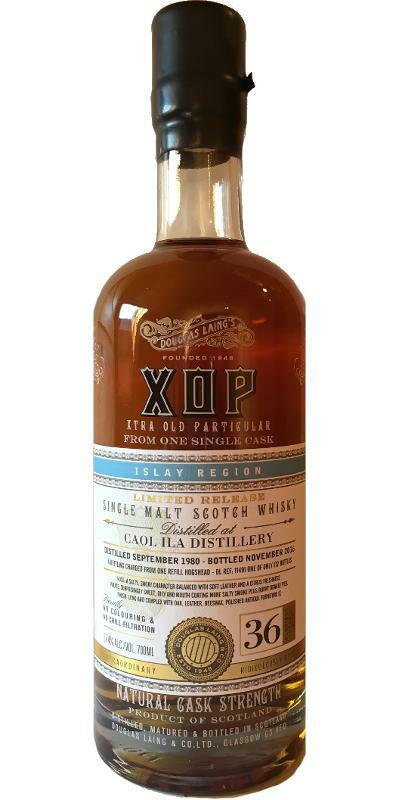 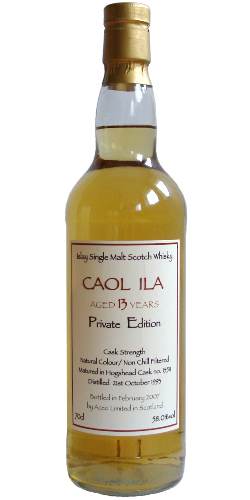 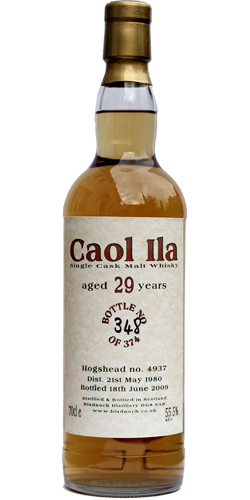 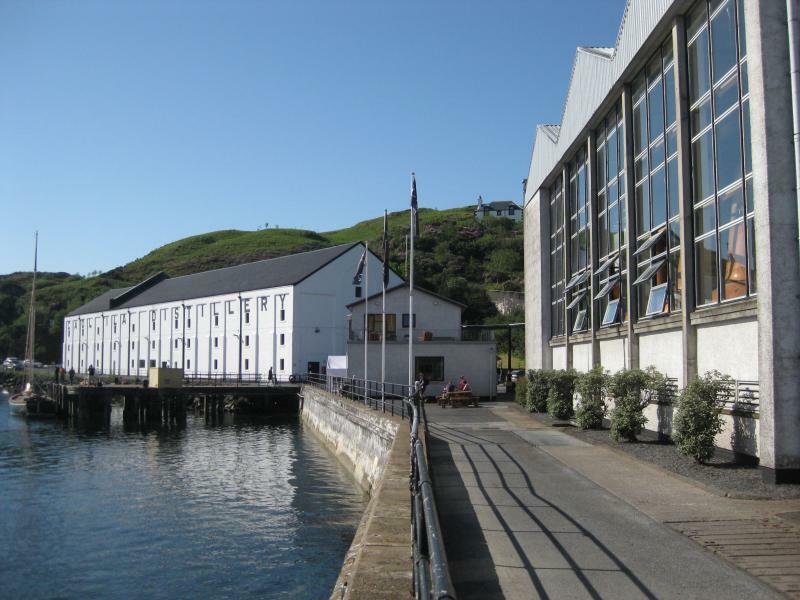 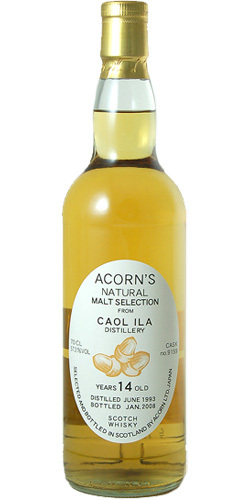 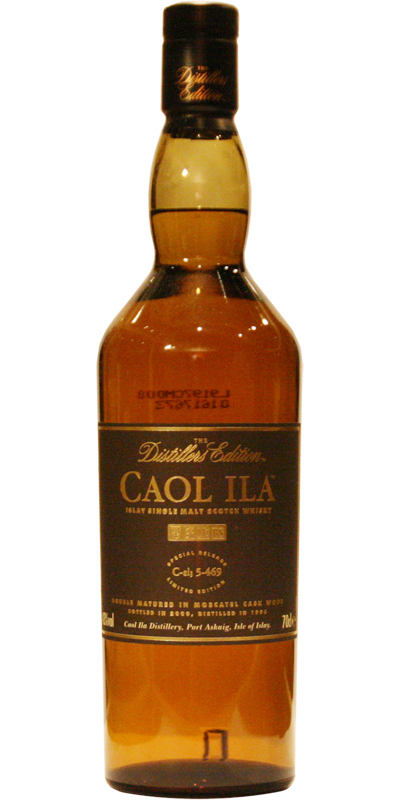 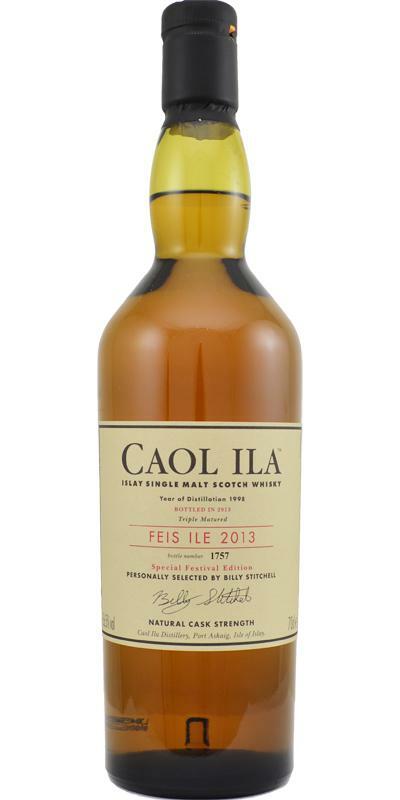 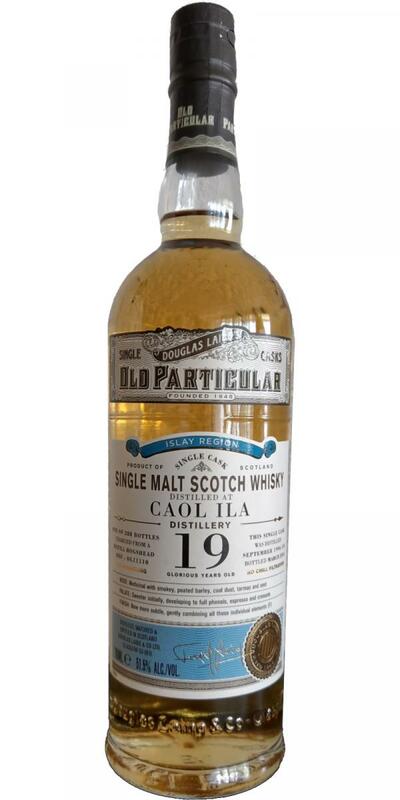 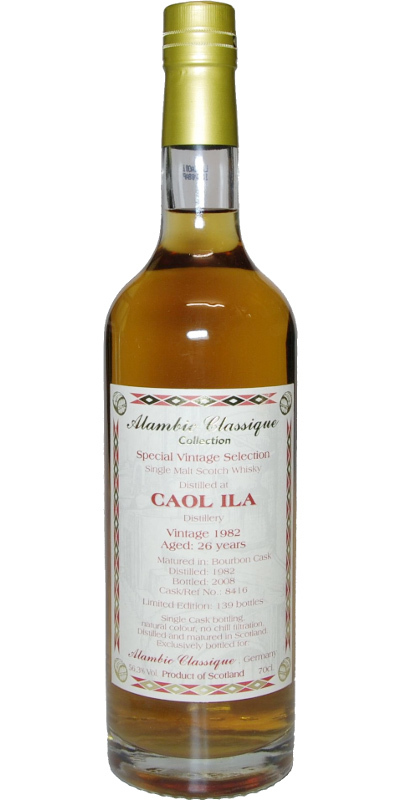 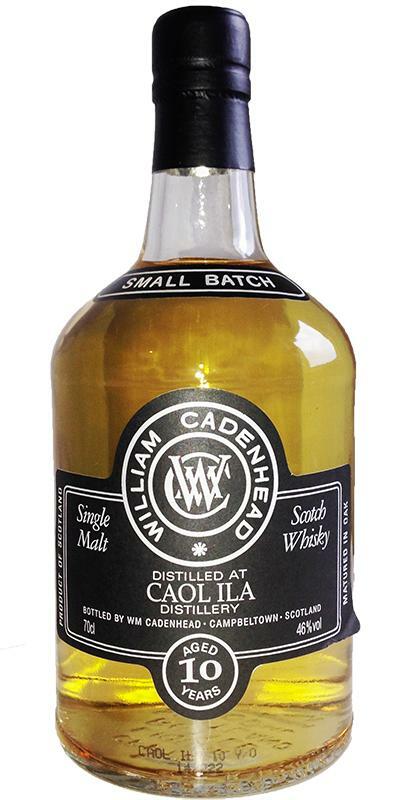 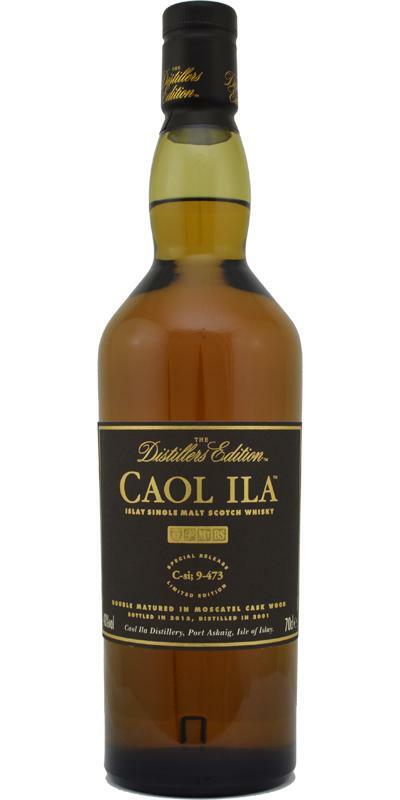 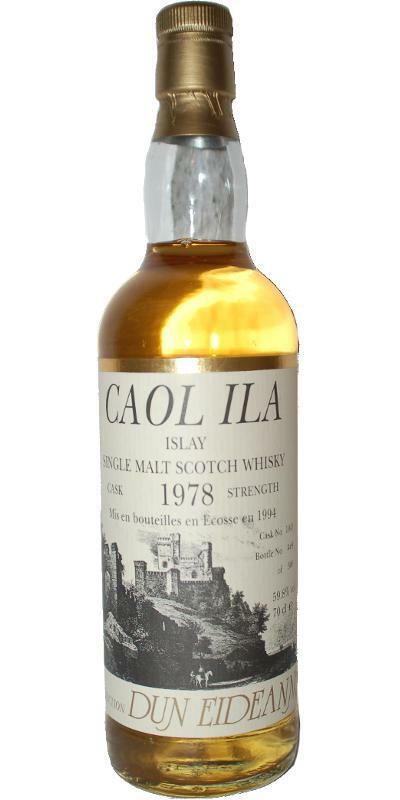 Caol Ila 1991 CA Small Batch 24 52.4 % Vol. 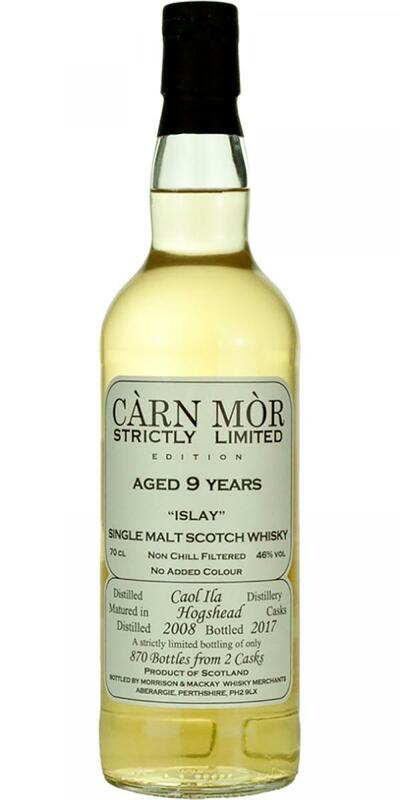 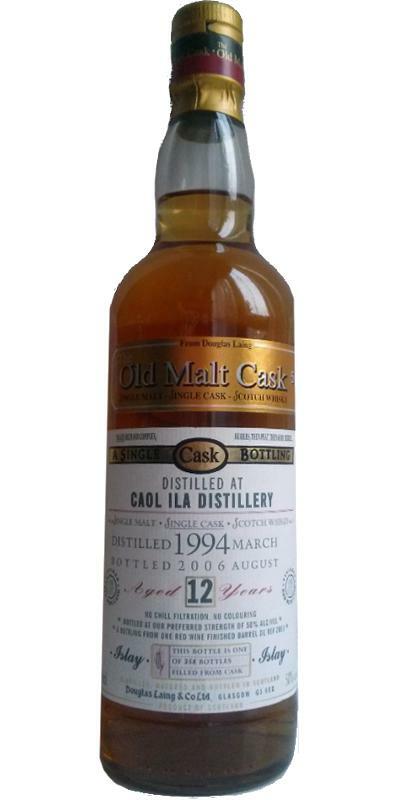 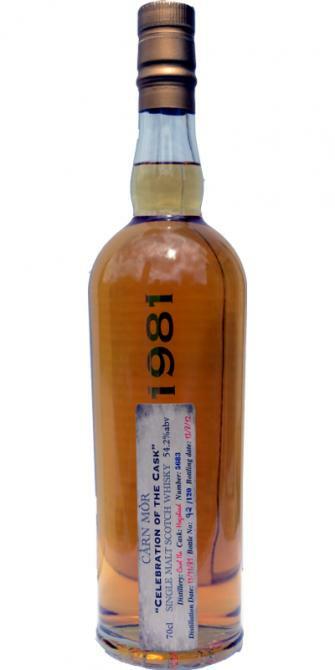 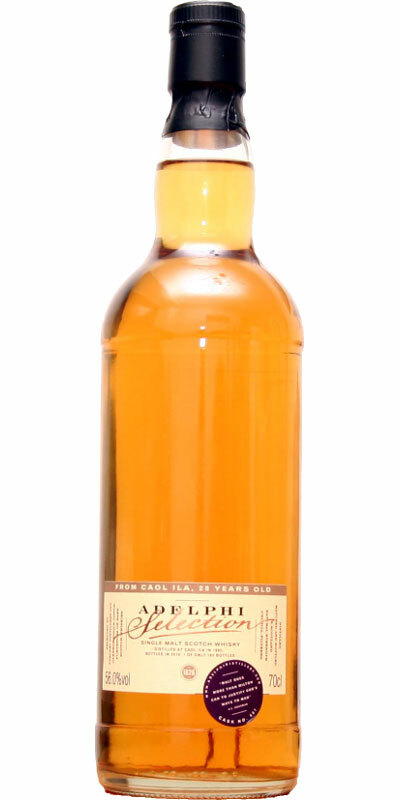 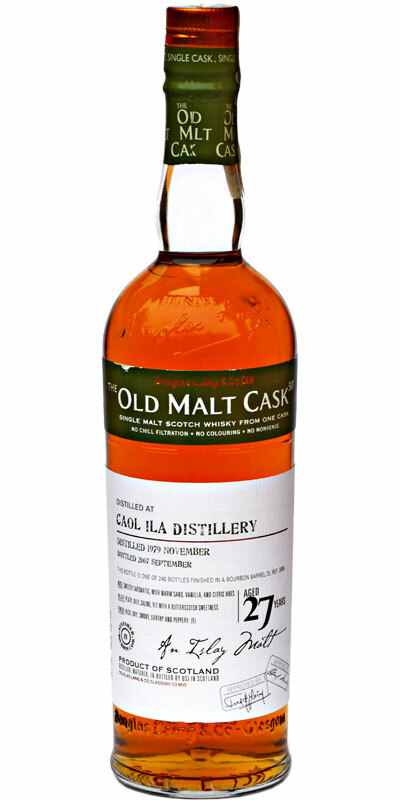 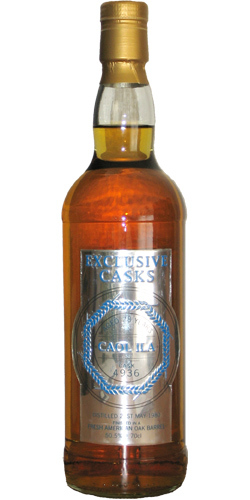 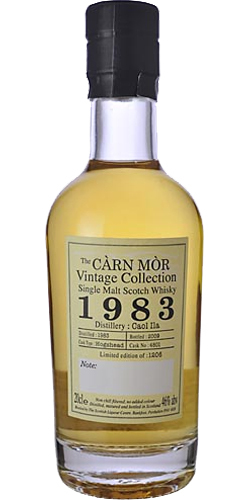 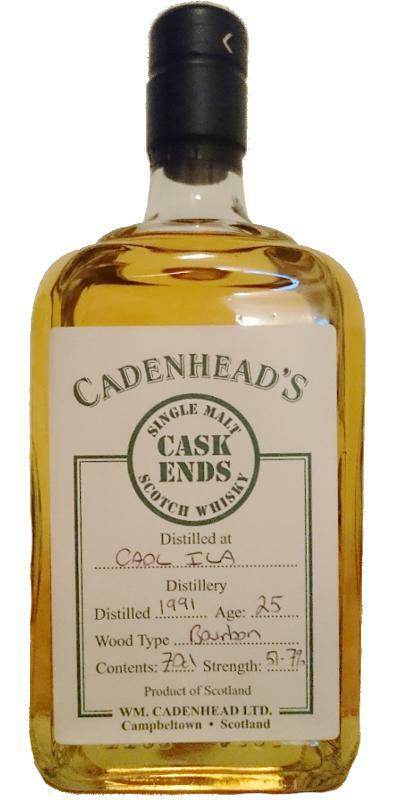 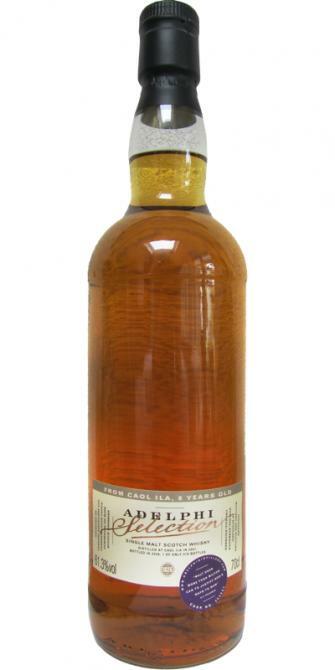 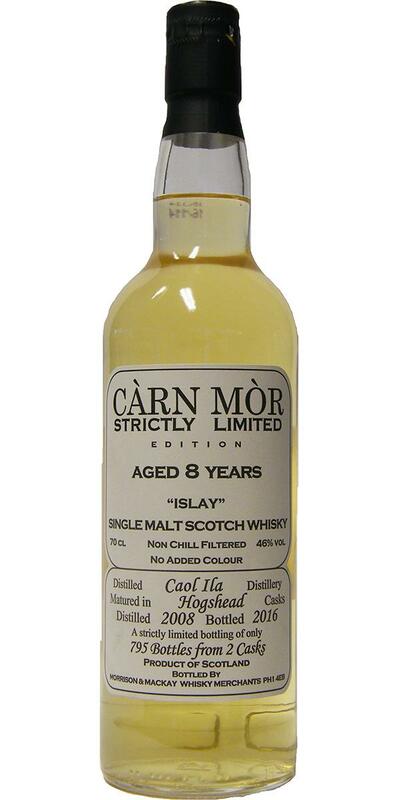 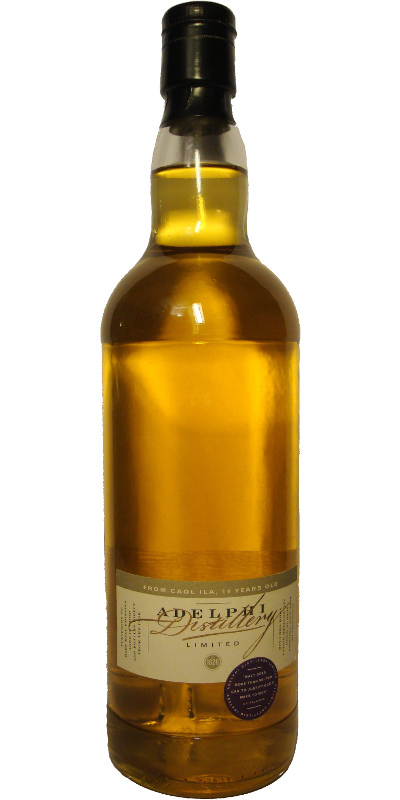 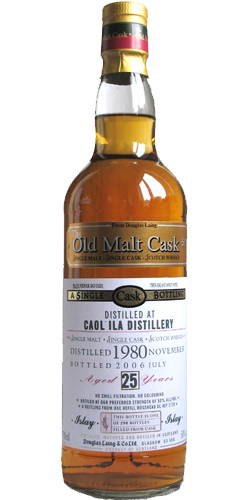 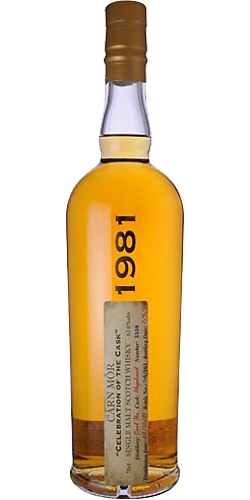 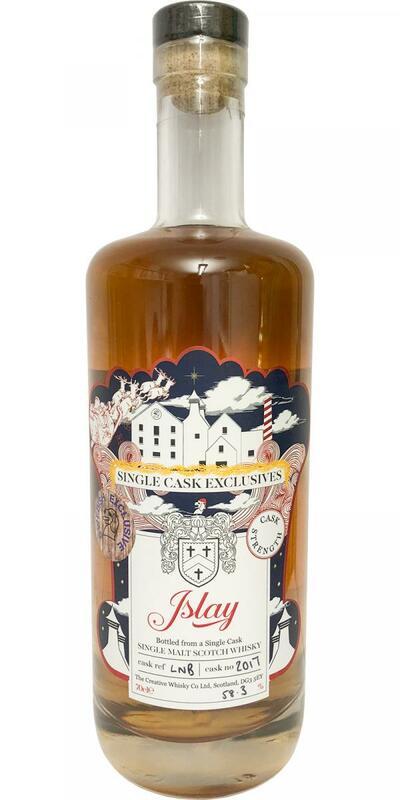 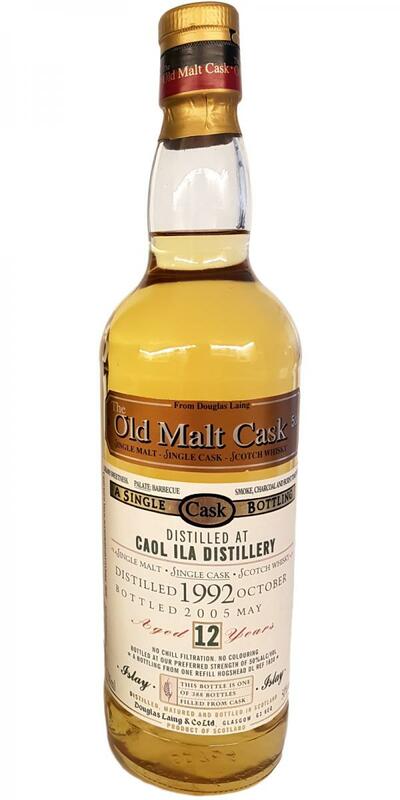 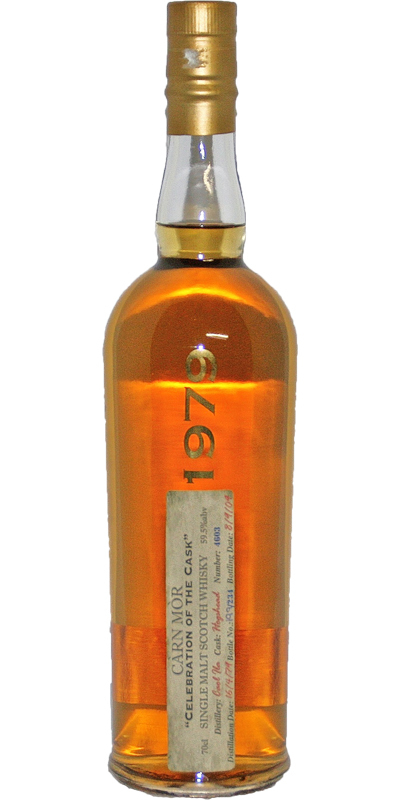 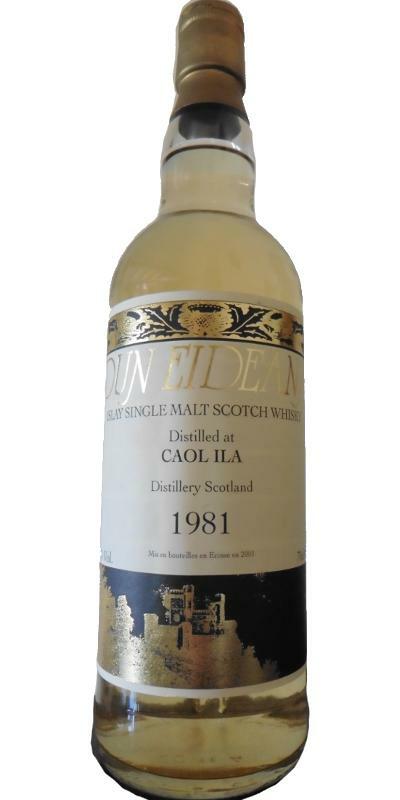 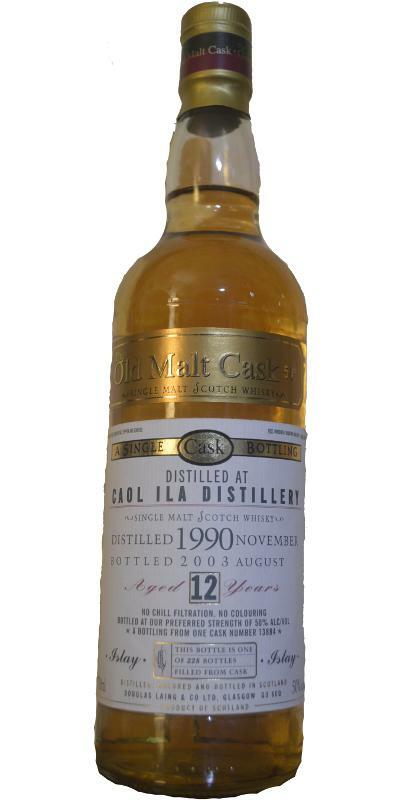 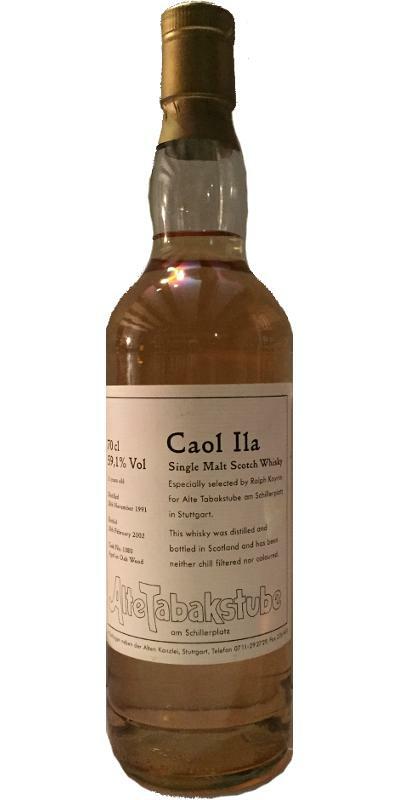 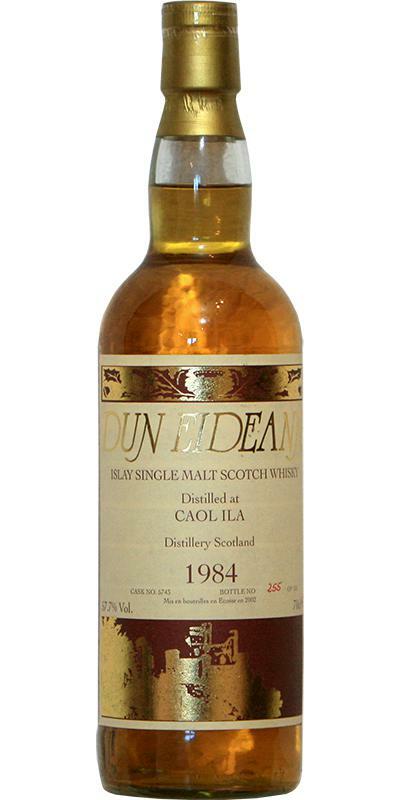 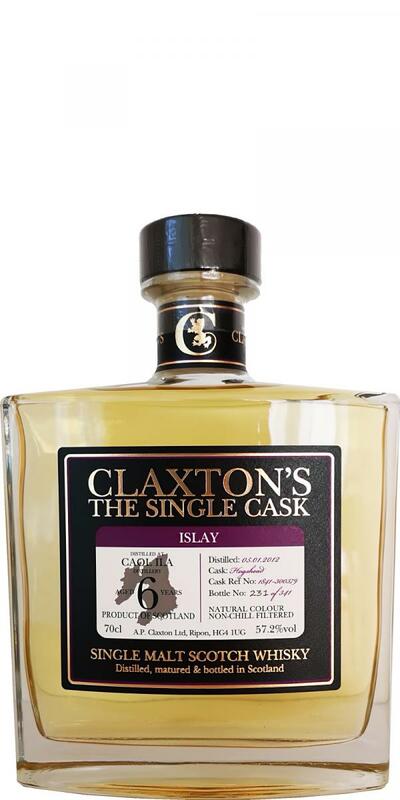 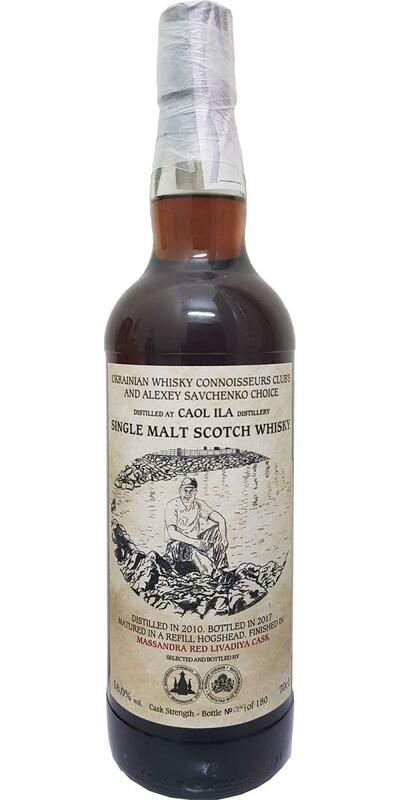 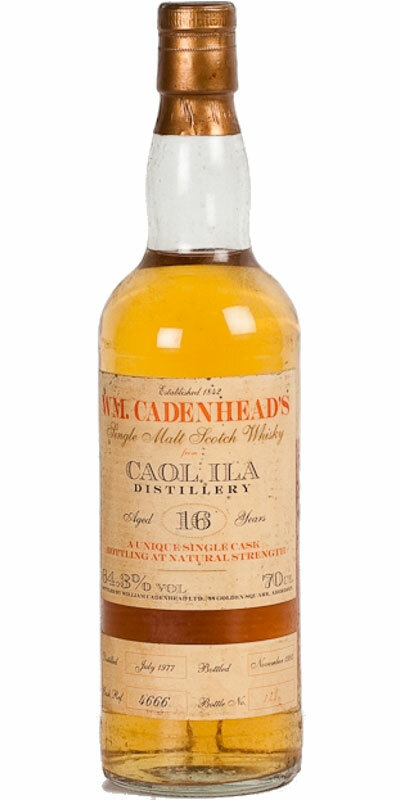 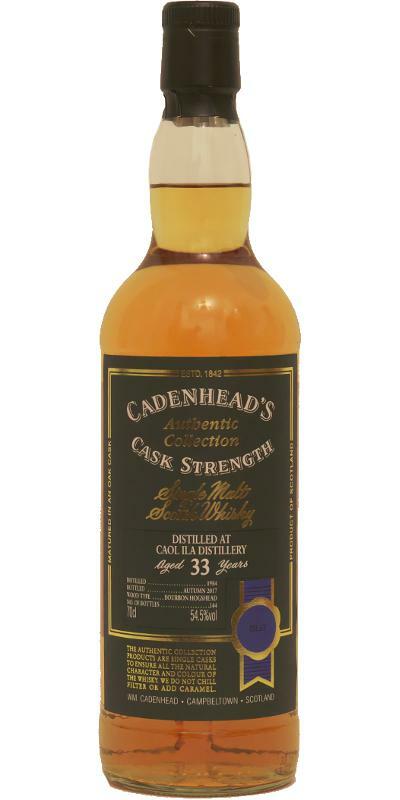 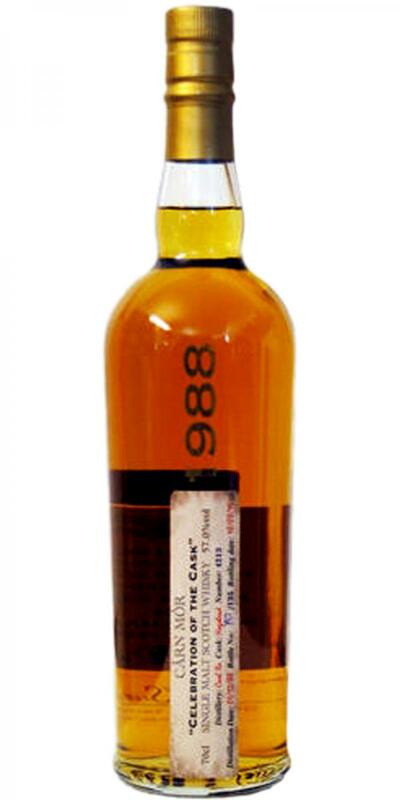 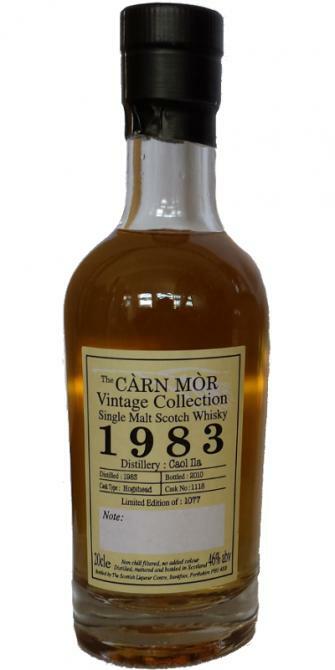 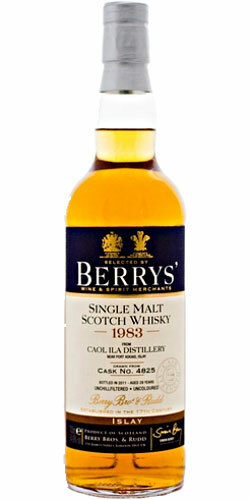 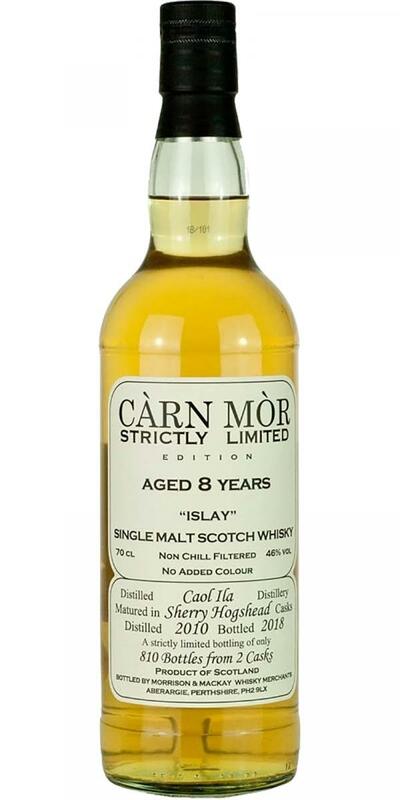 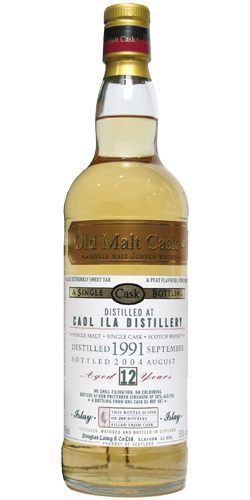 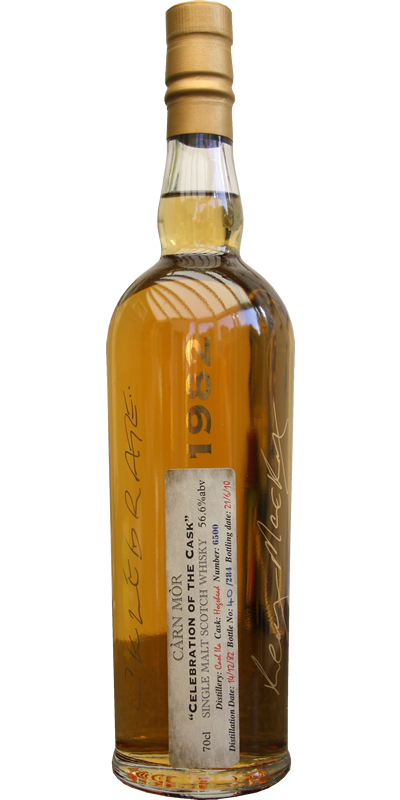 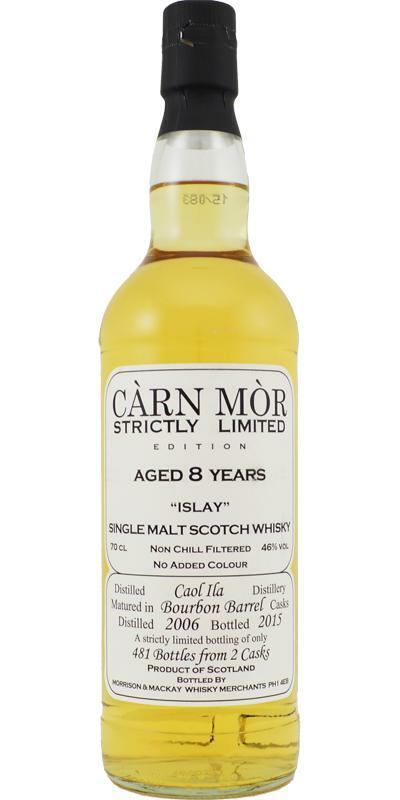 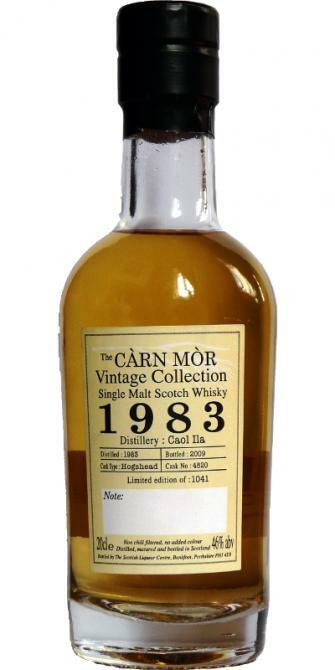 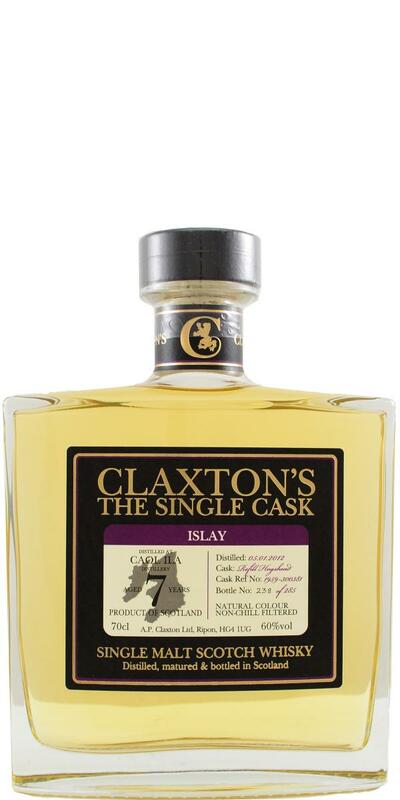 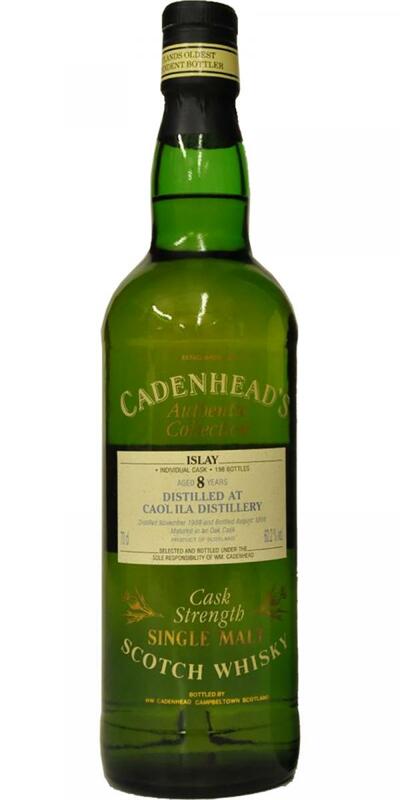 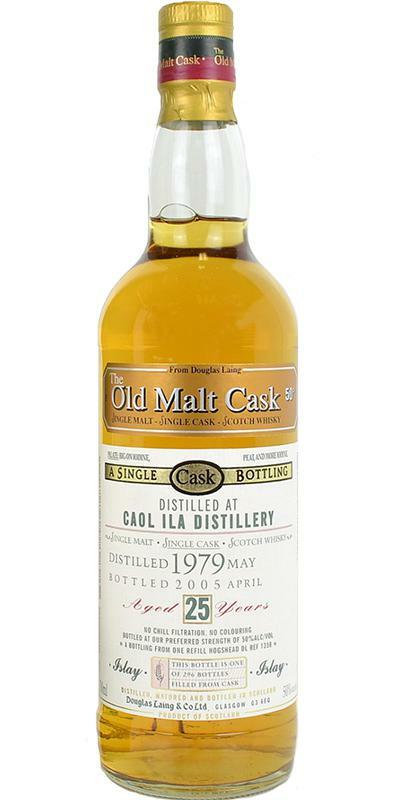 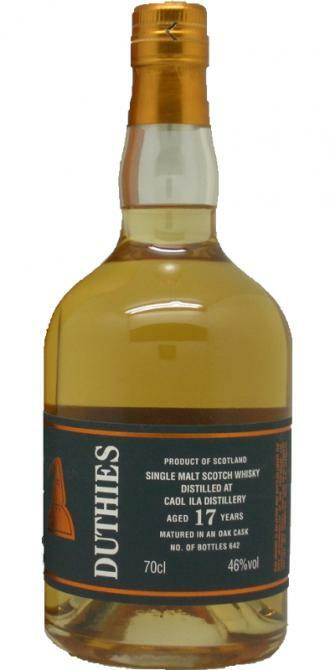 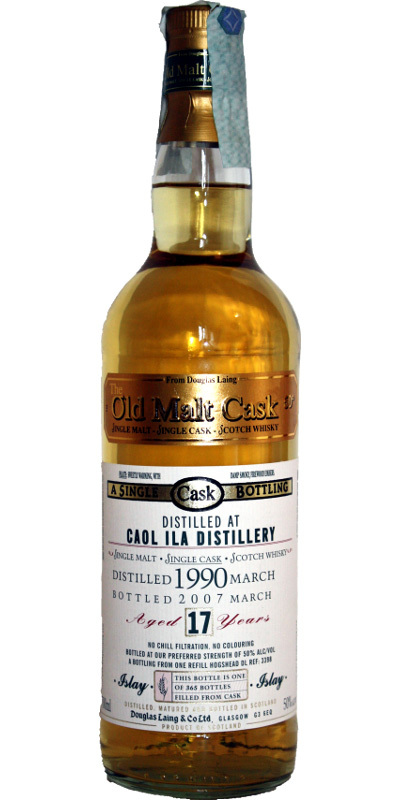 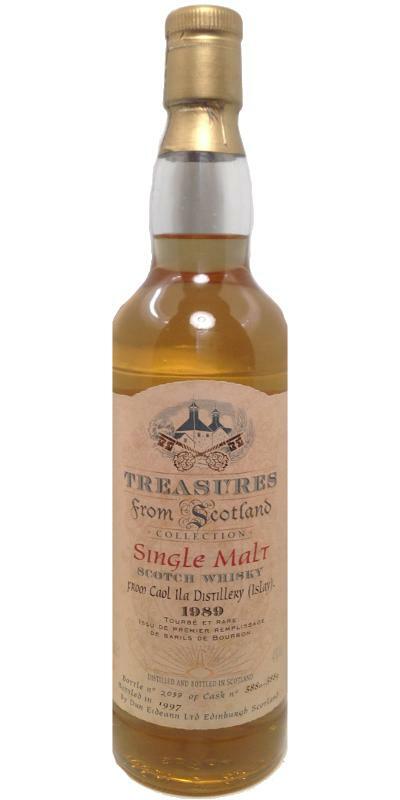 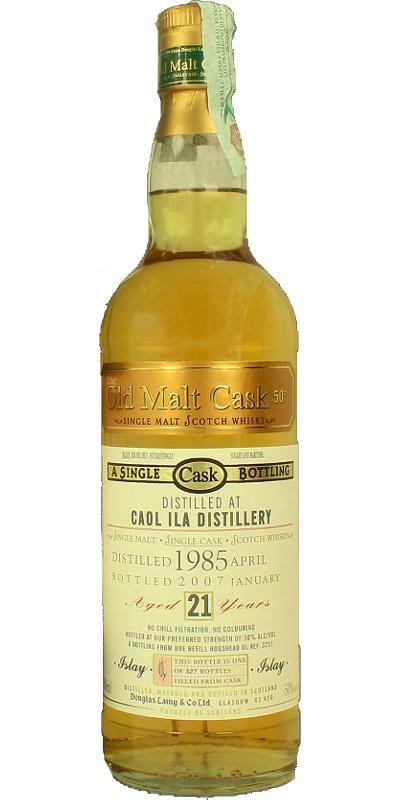 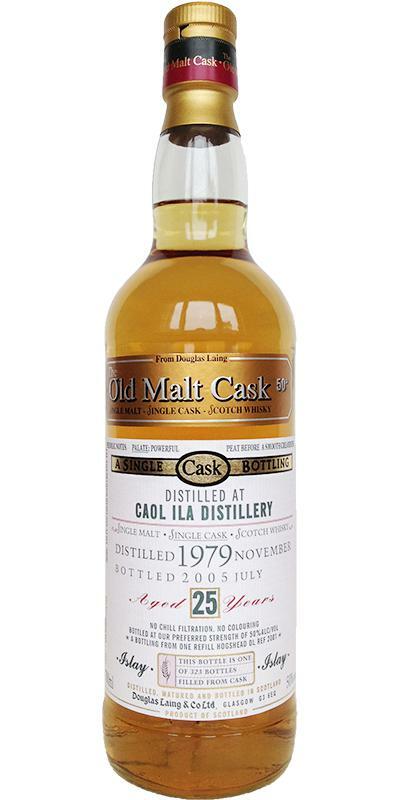 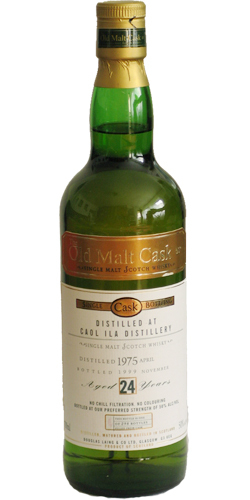 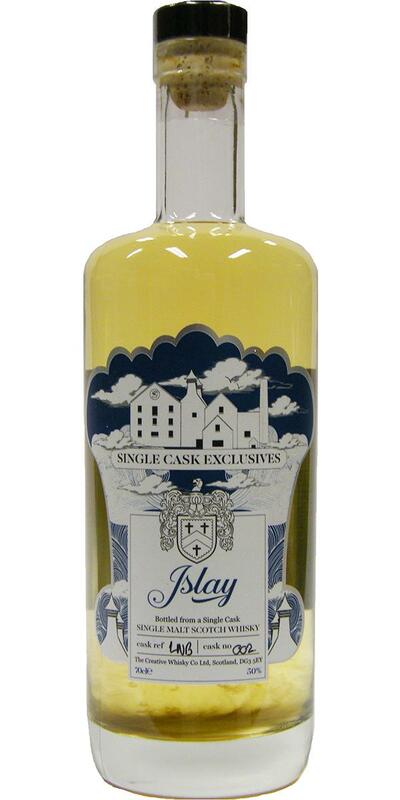 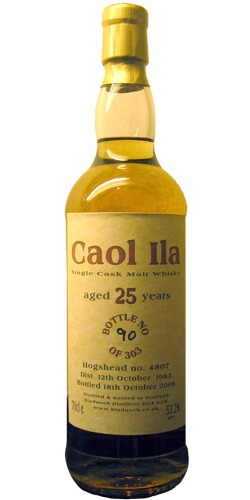 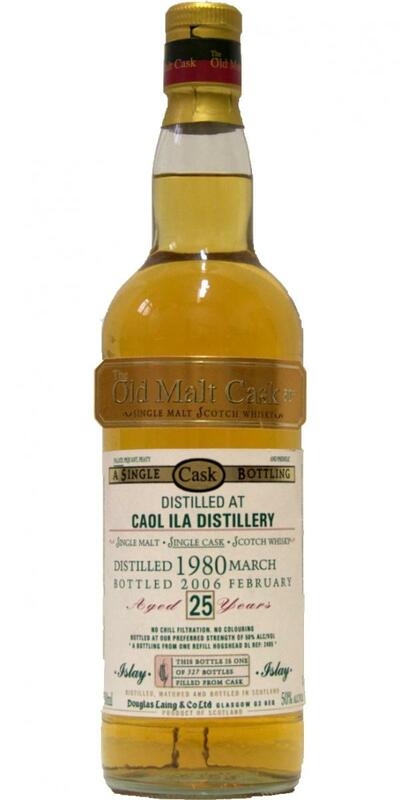 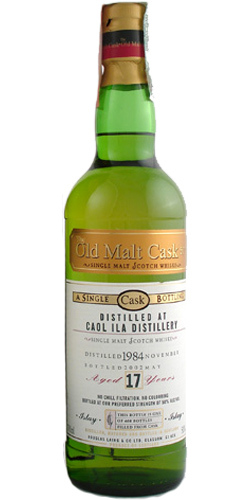 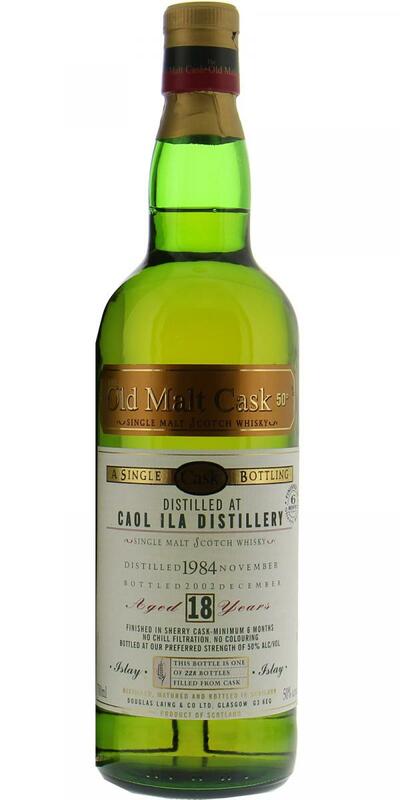 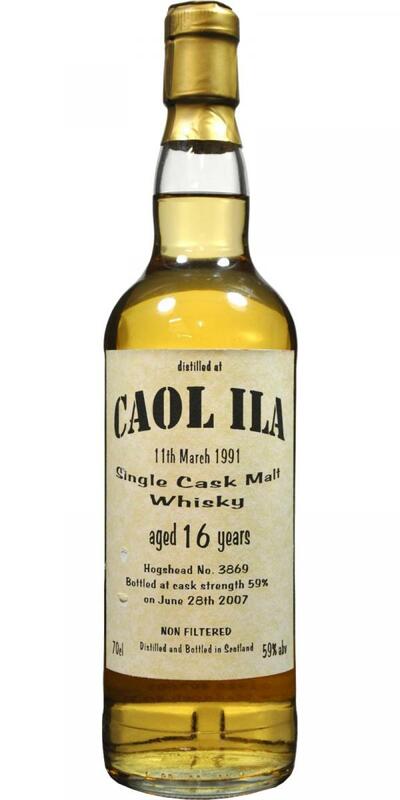 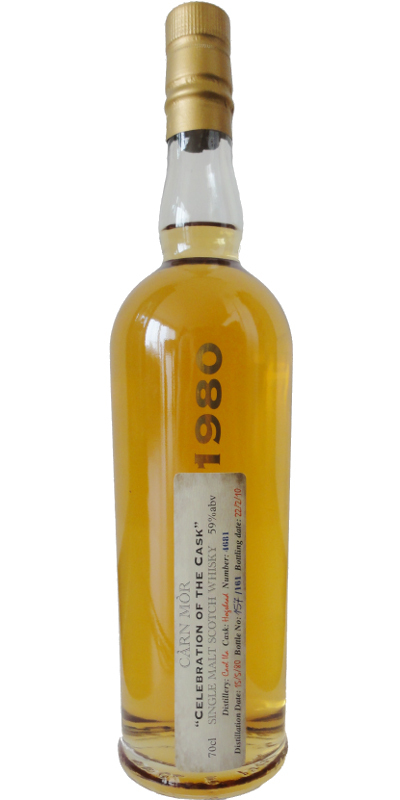 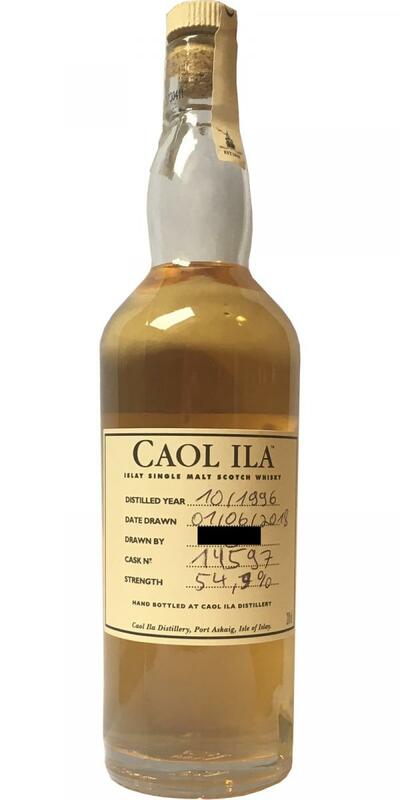 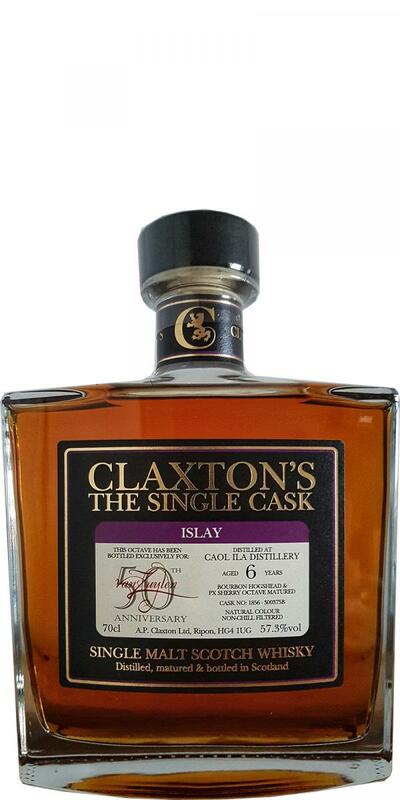 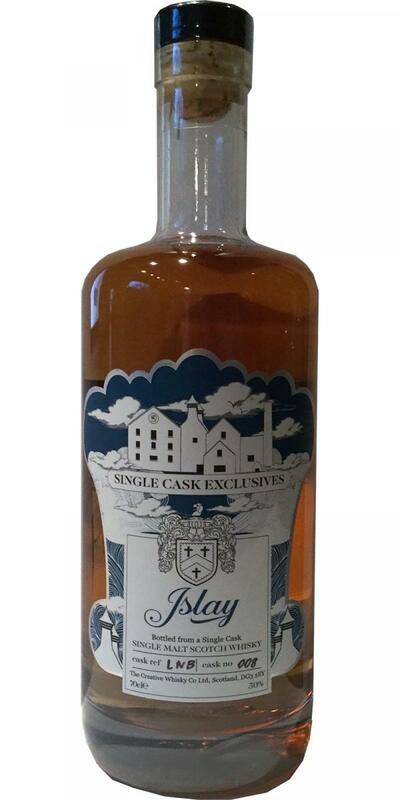 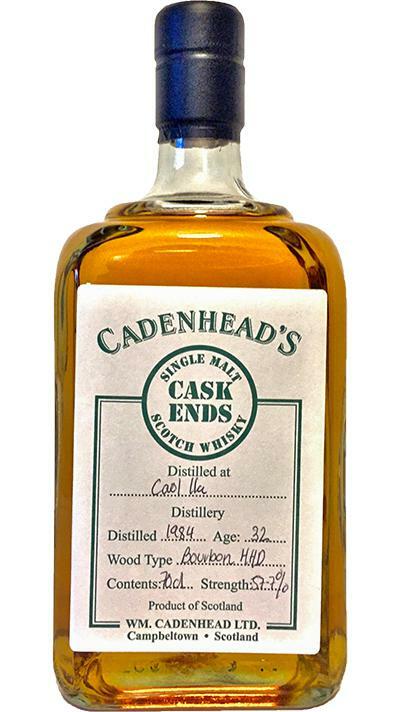 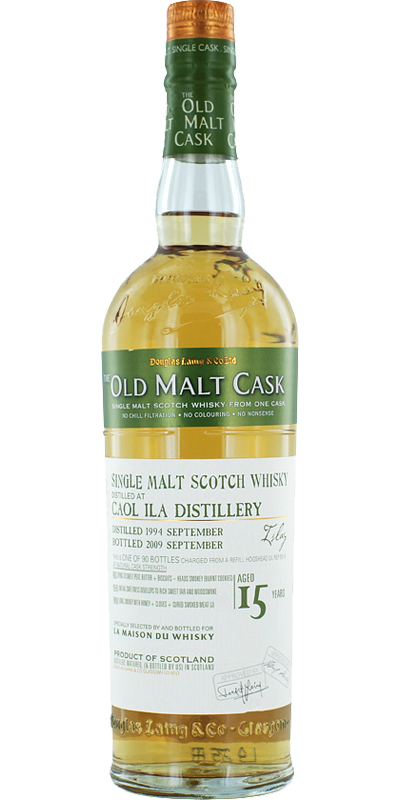 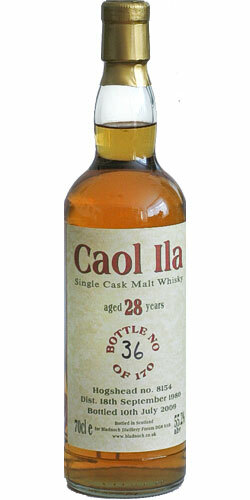 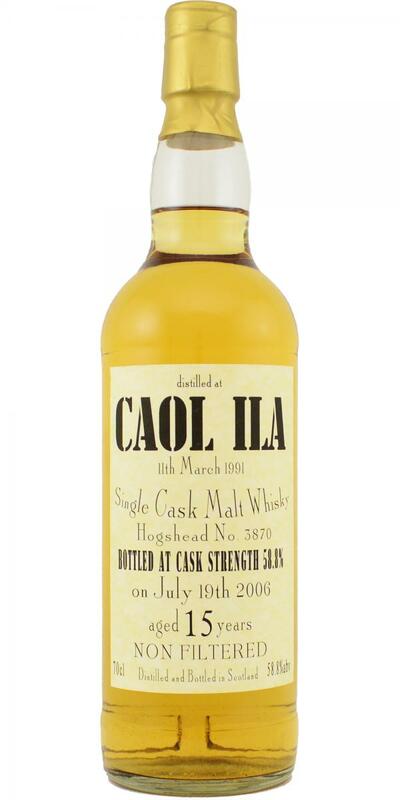 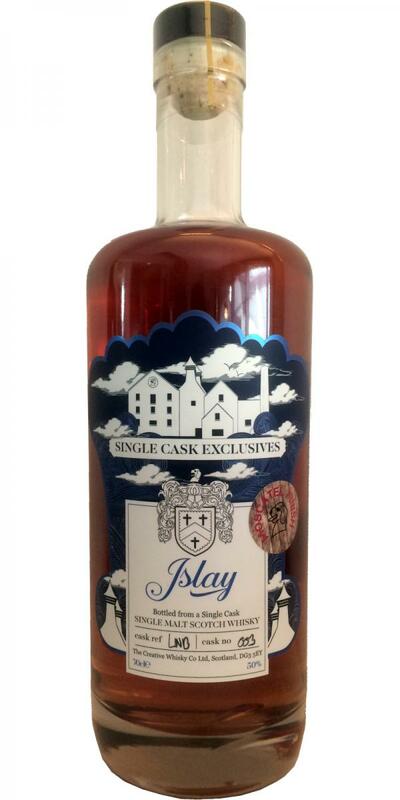 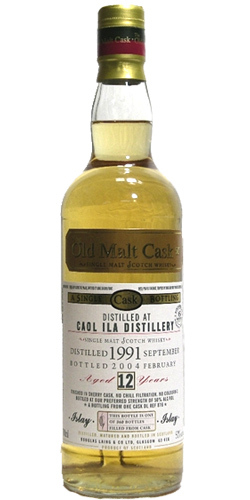 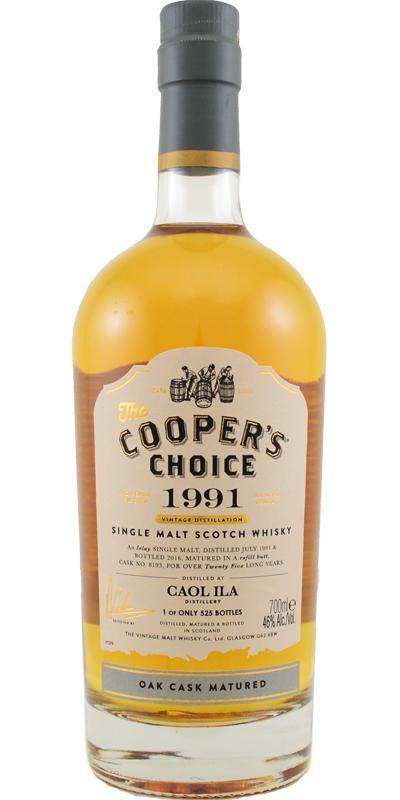 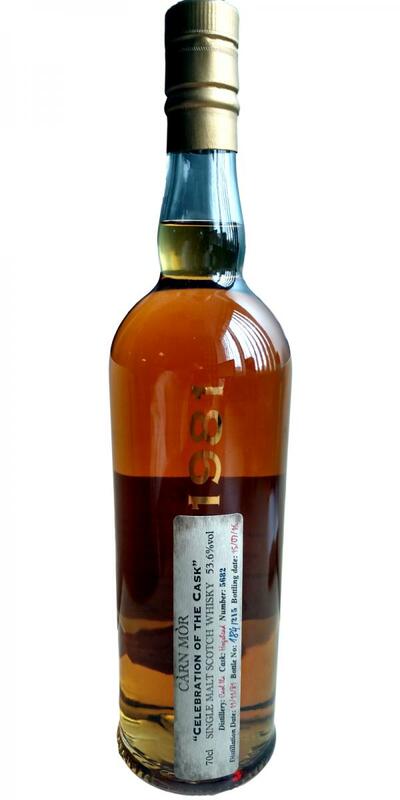 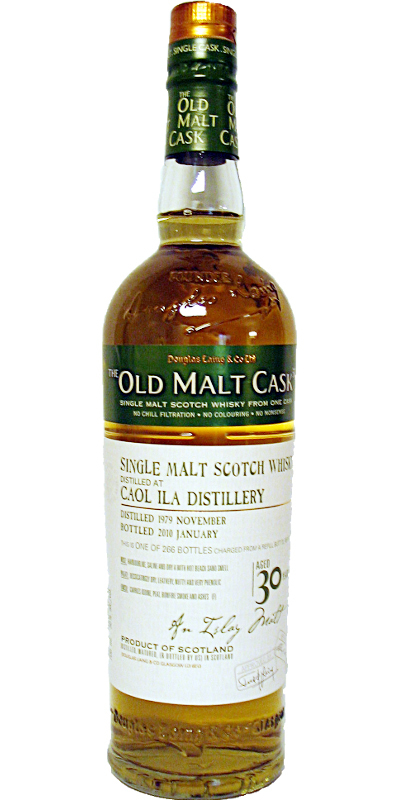 Caol Ila 1991 CA Cask Ends 23 53.6 % Vol. 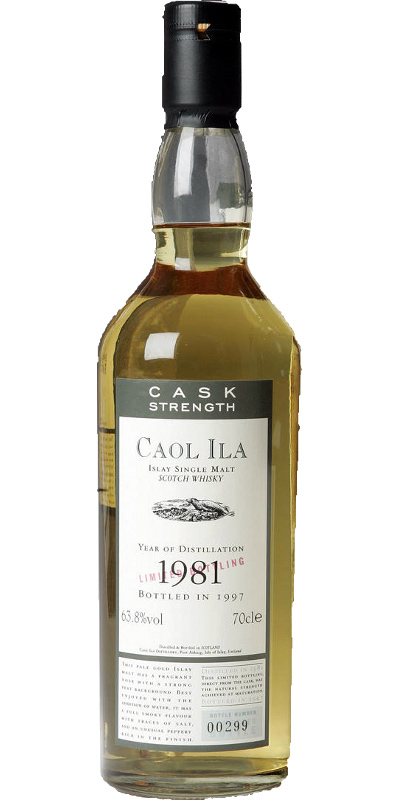 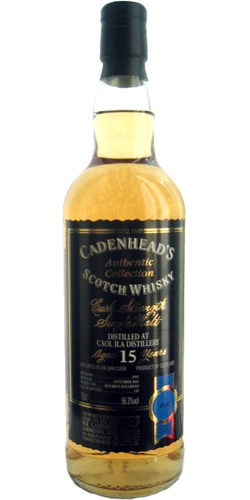 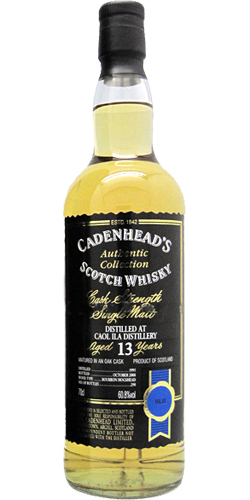 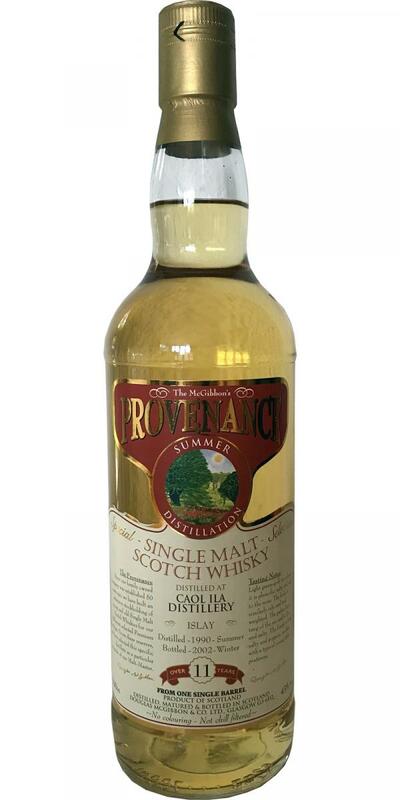 Caol Ila 1995 CA Bond Reserve 15 58.5 % Vol. 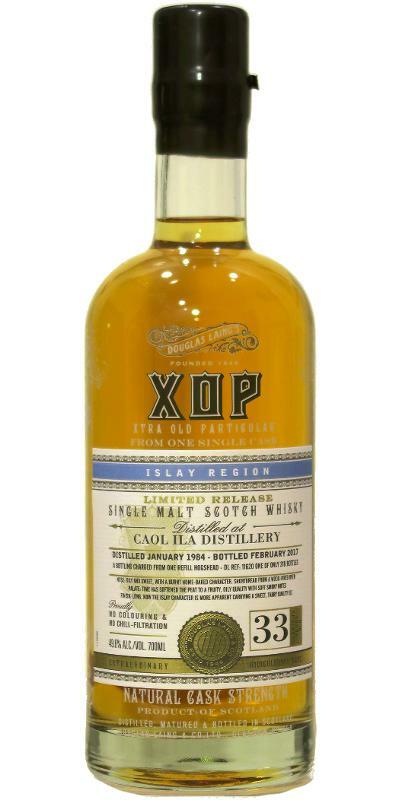 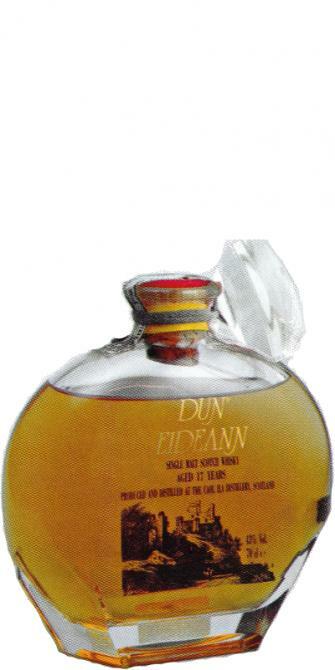 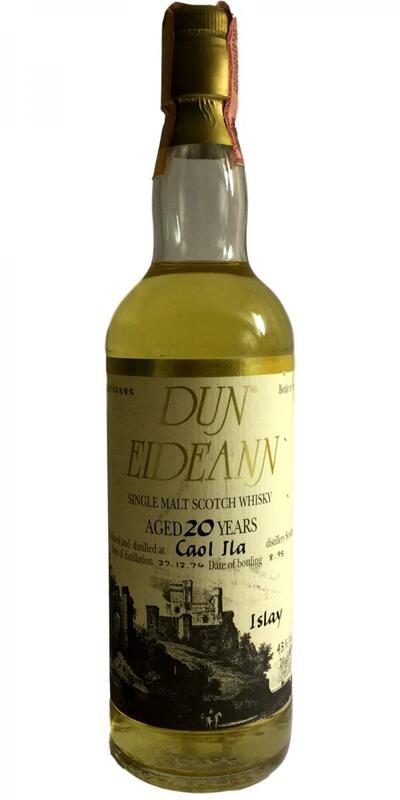 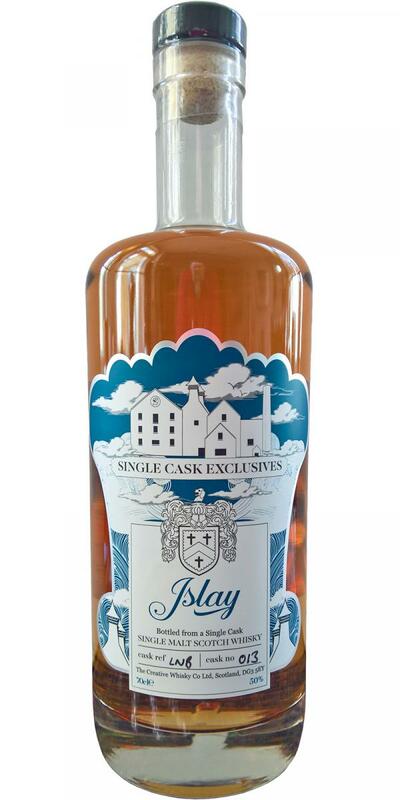 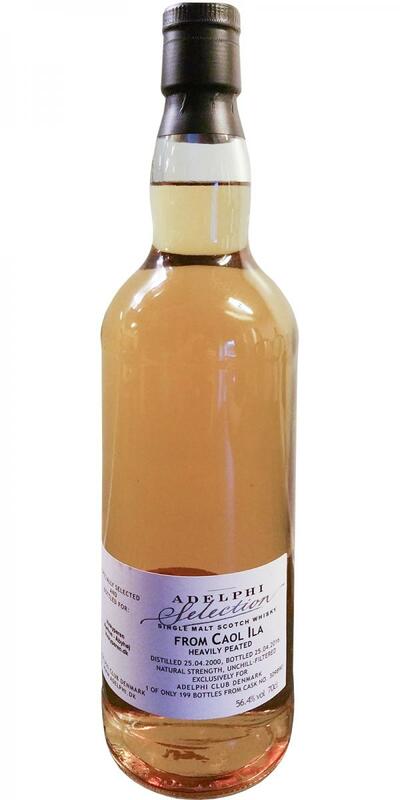 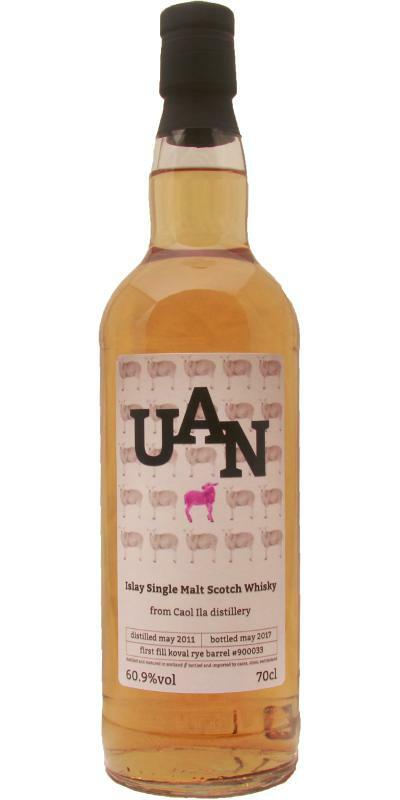 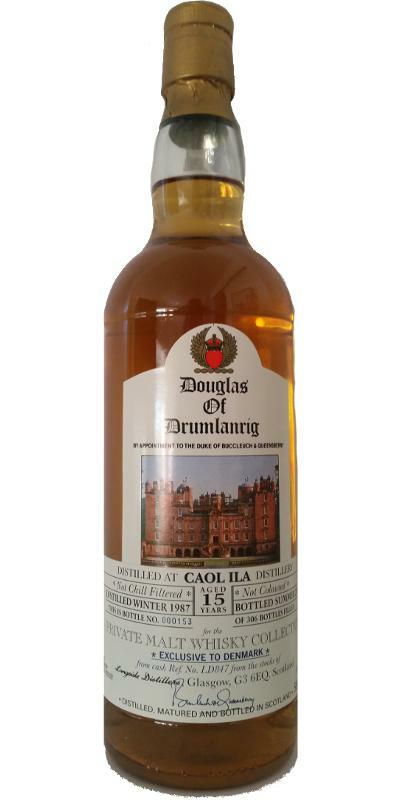 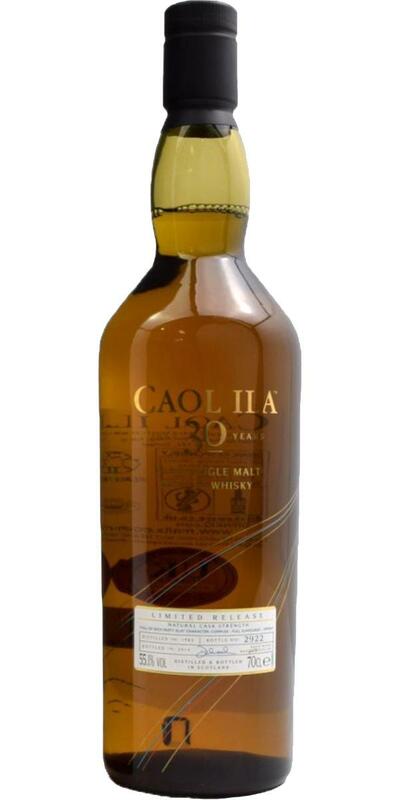 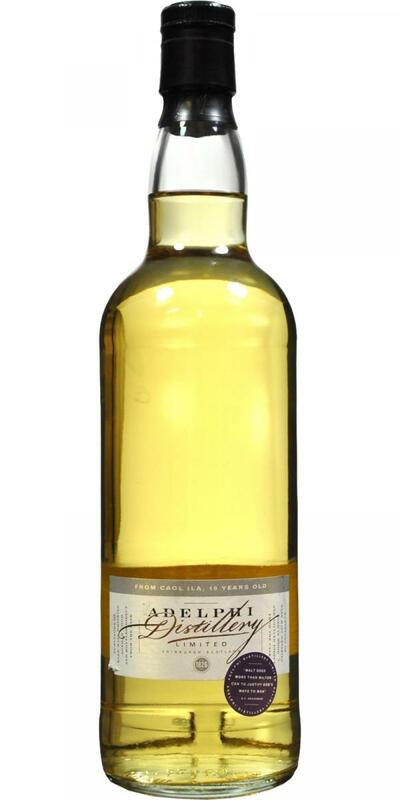 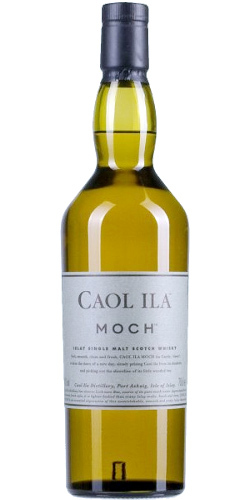 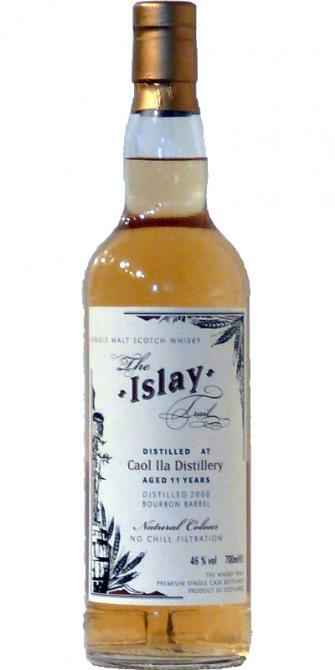 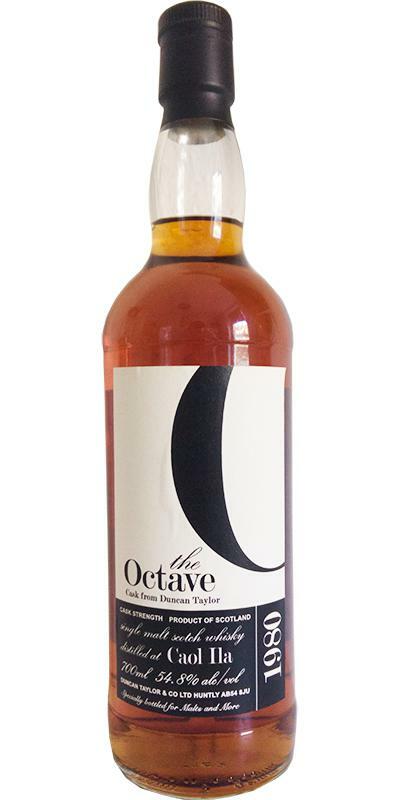 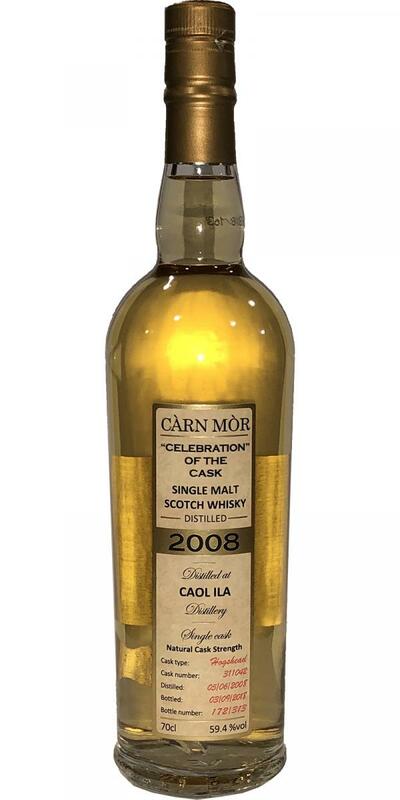 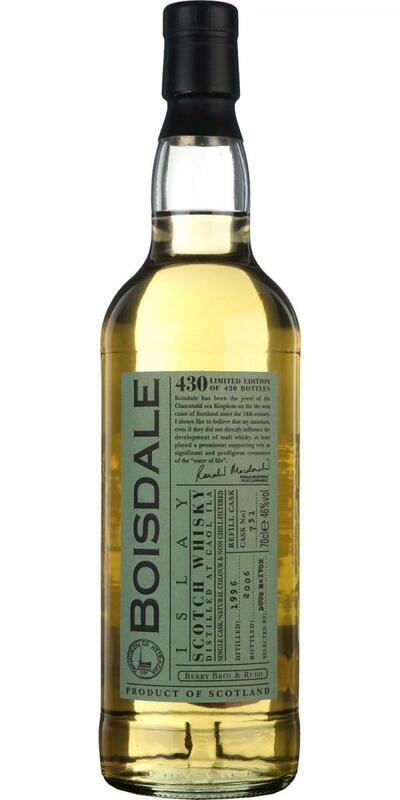 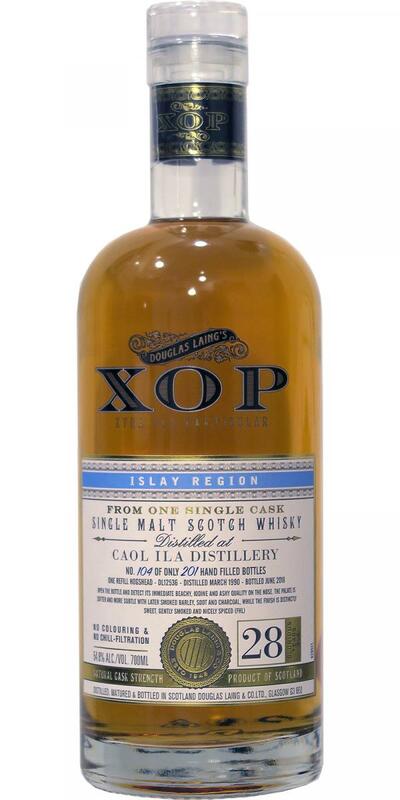 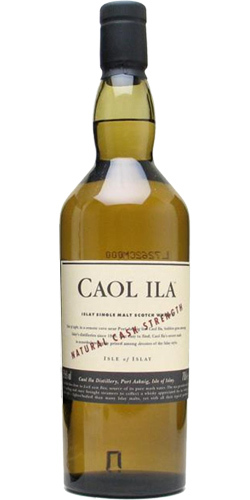 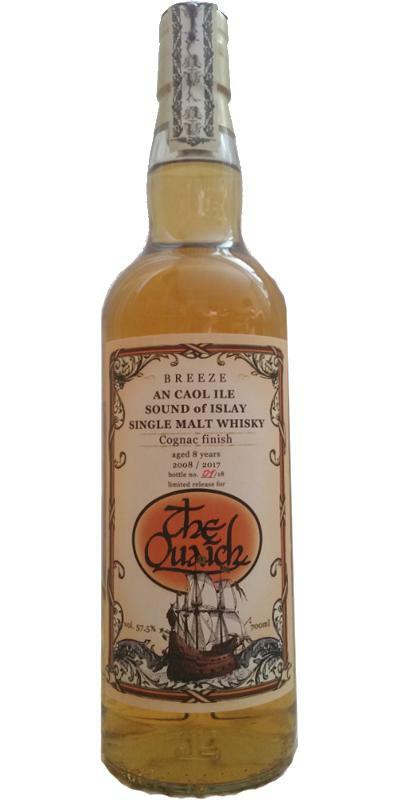 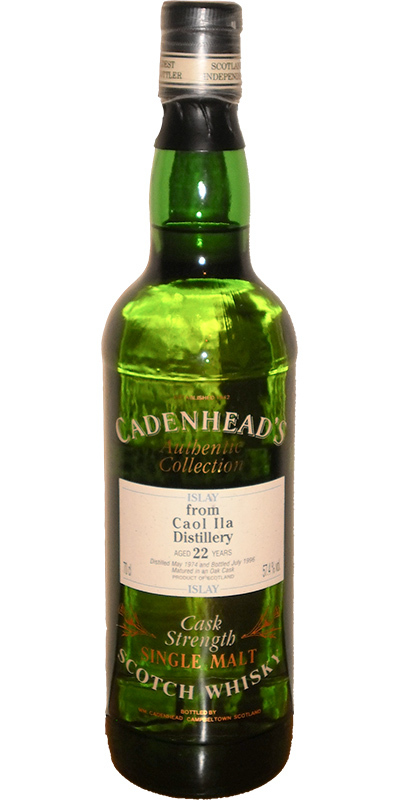 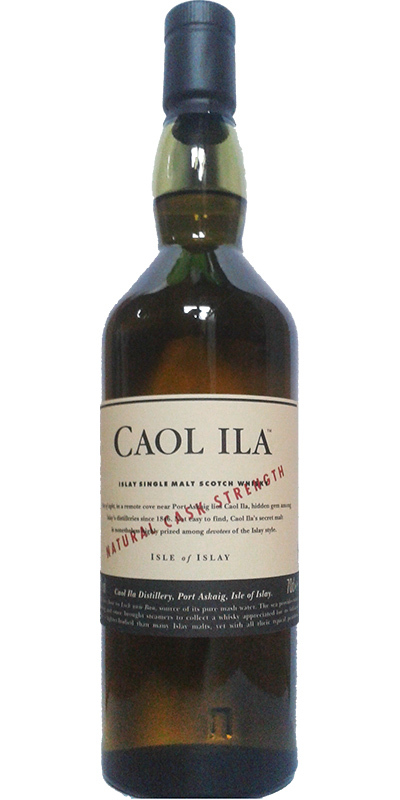 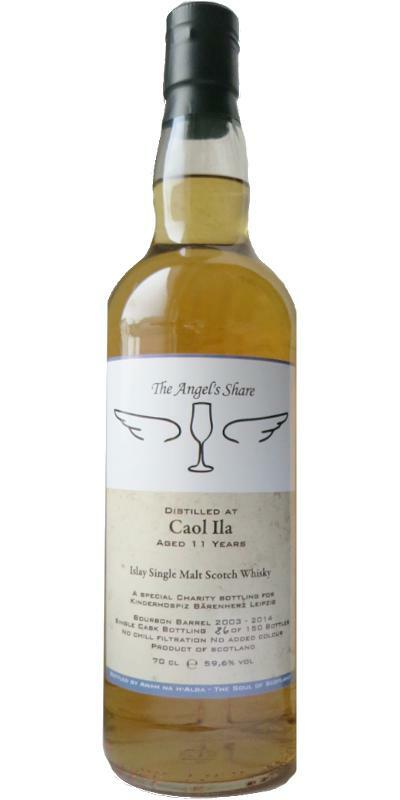 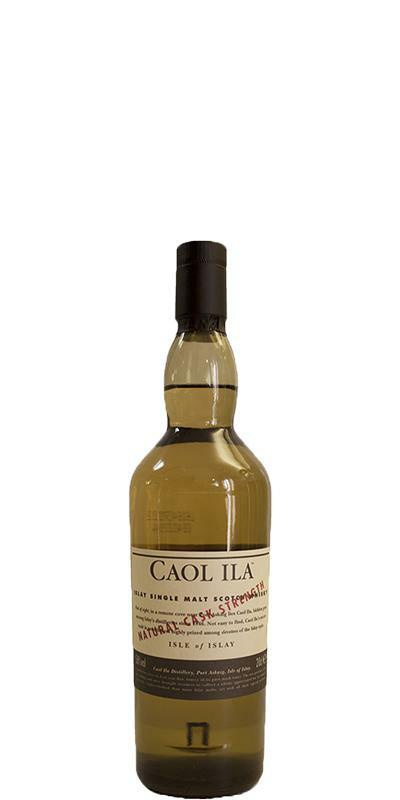 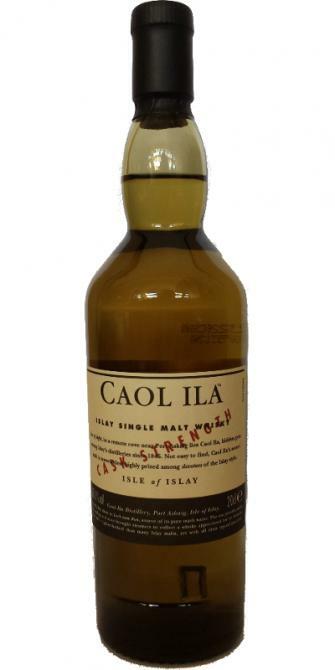 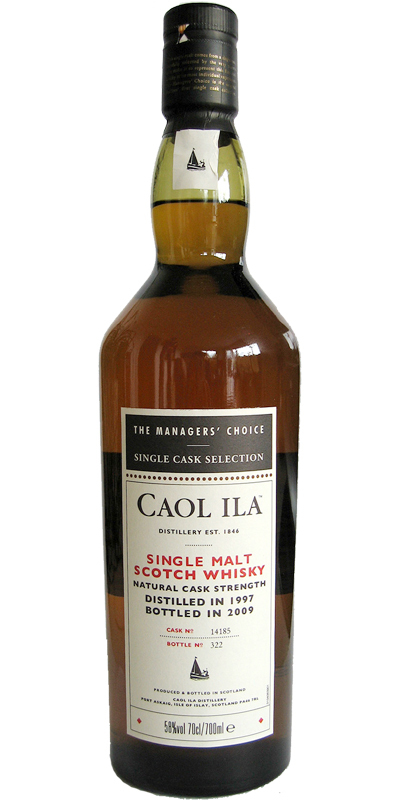 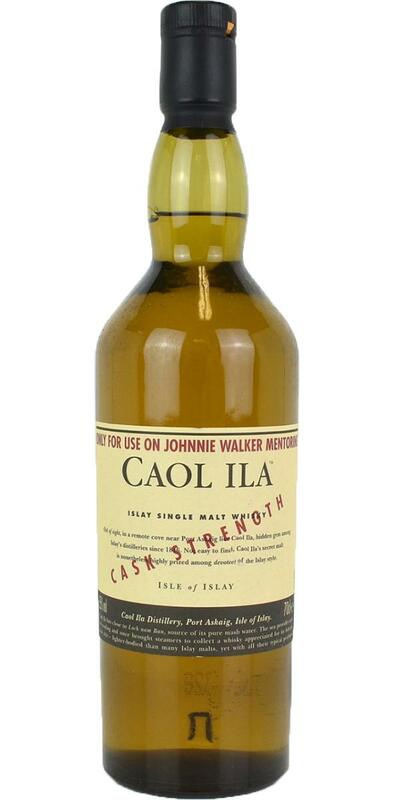 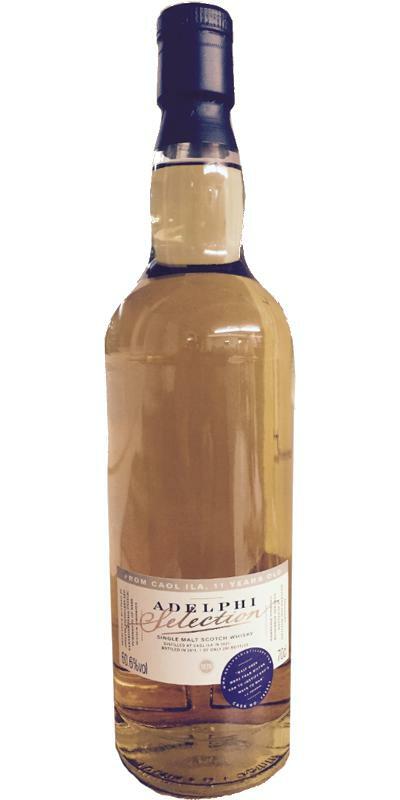 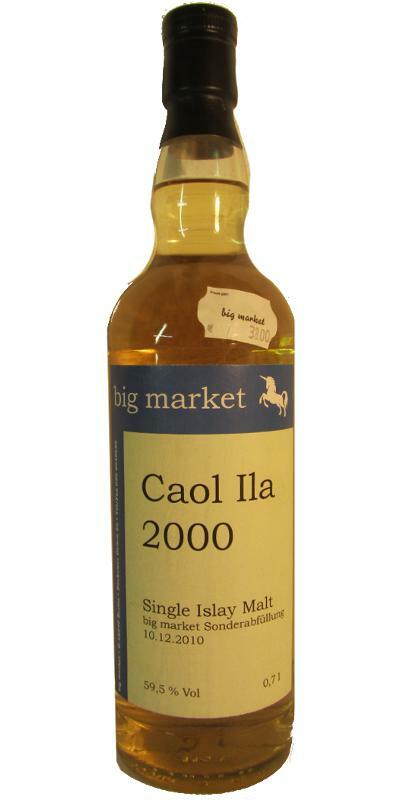 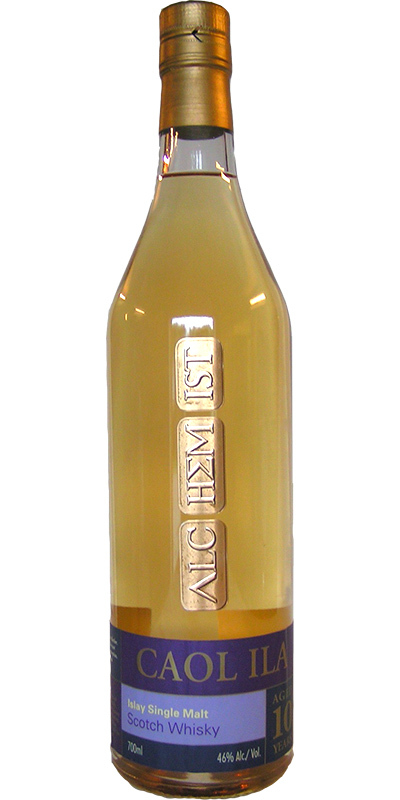 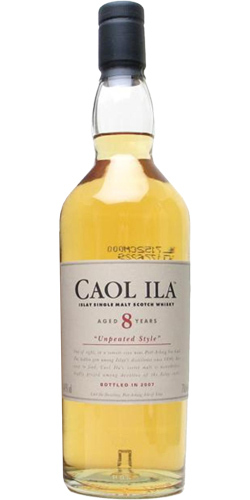 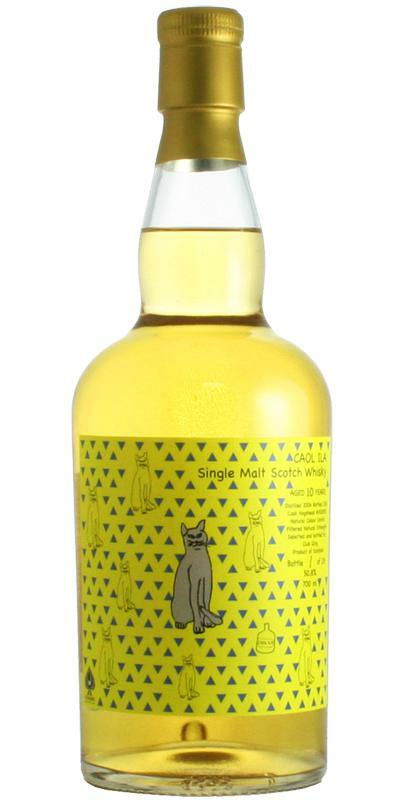 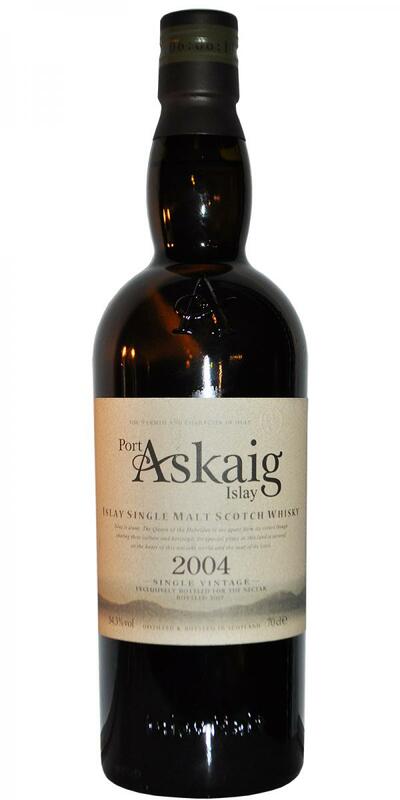 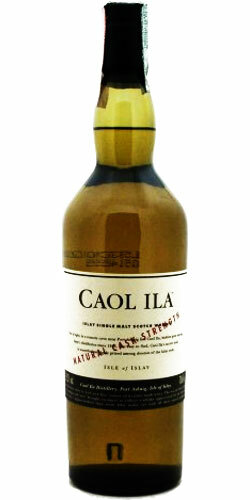 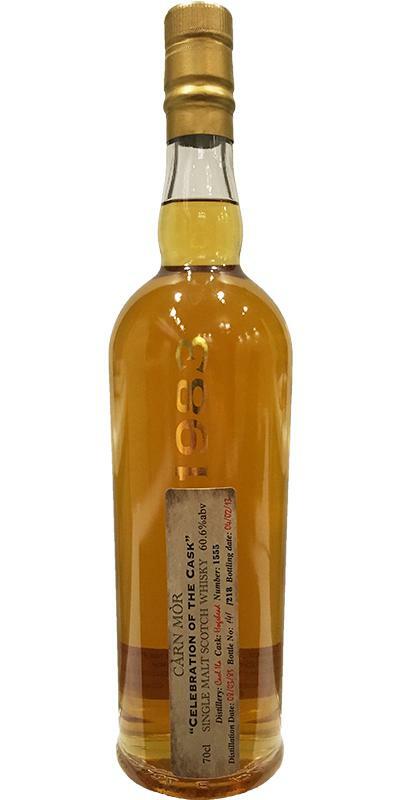 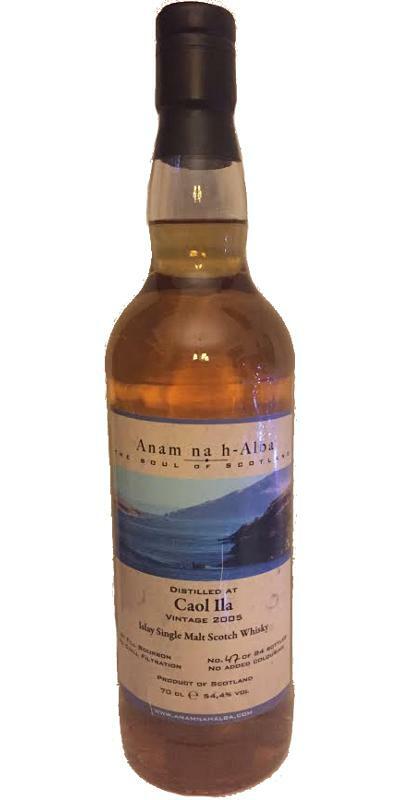 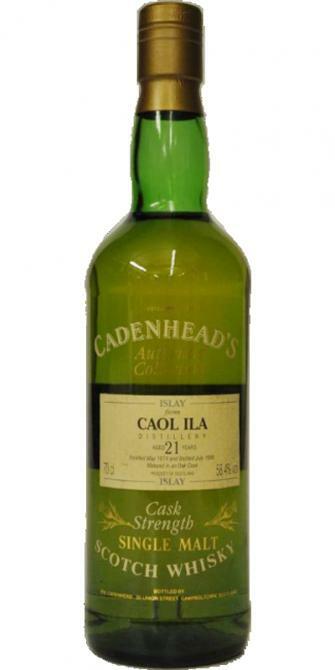 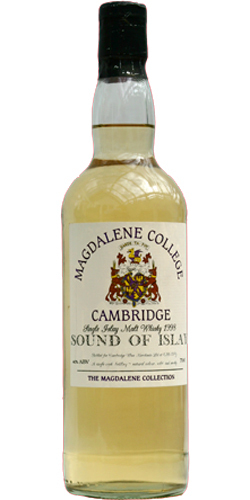 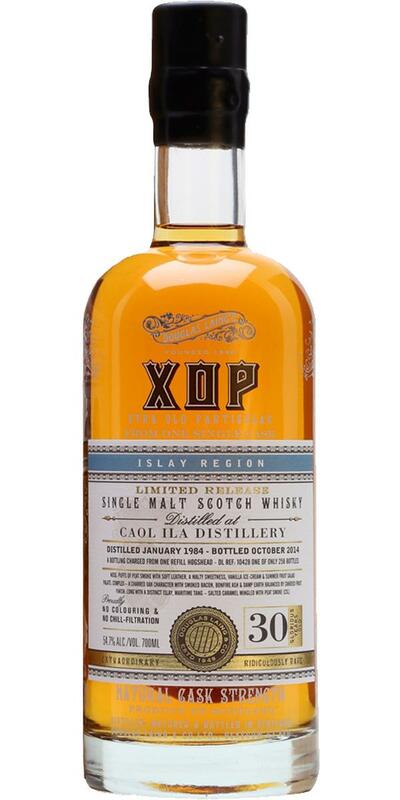 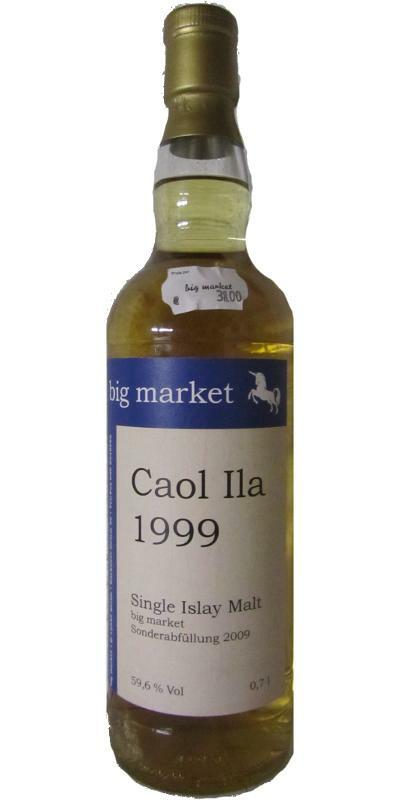 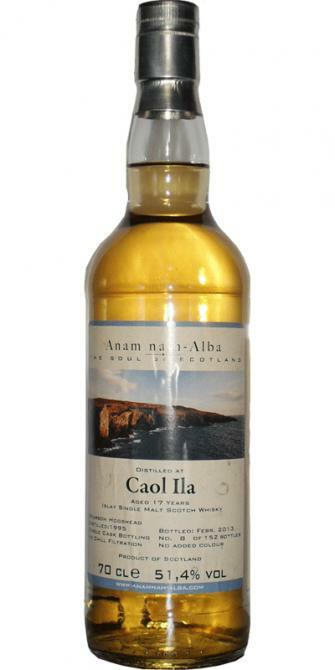 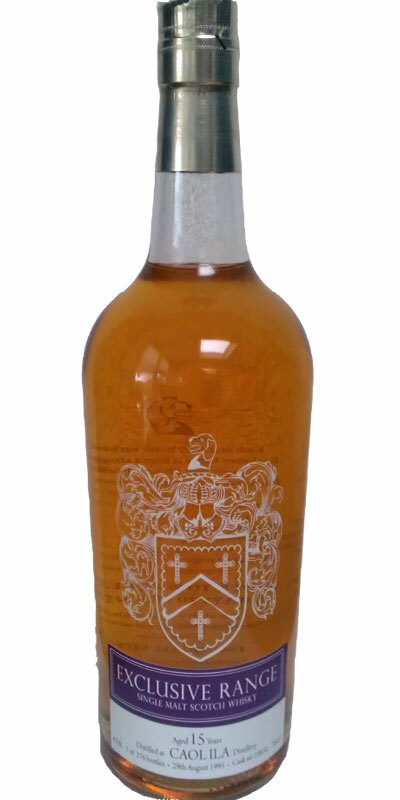 Caol Ila 1998 CWM Magdalene College Sound of Islay 40.0 % Vol. 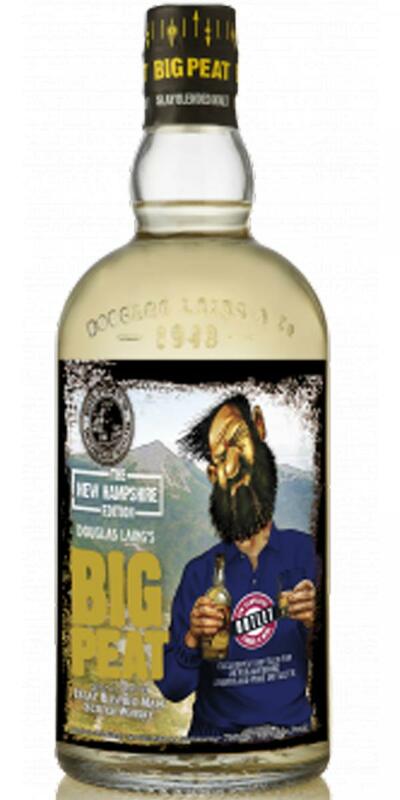 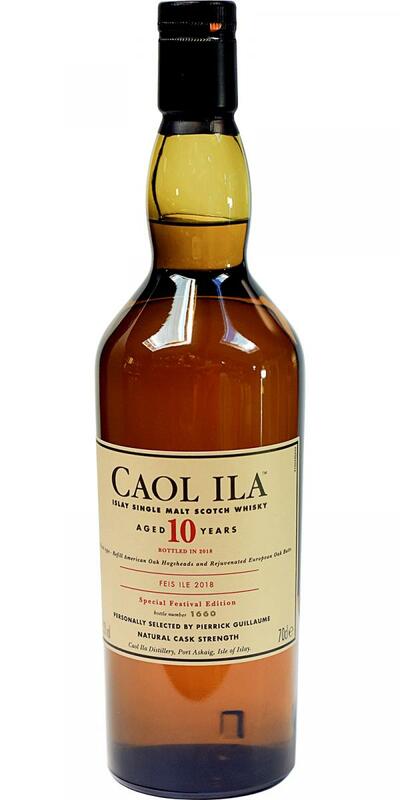 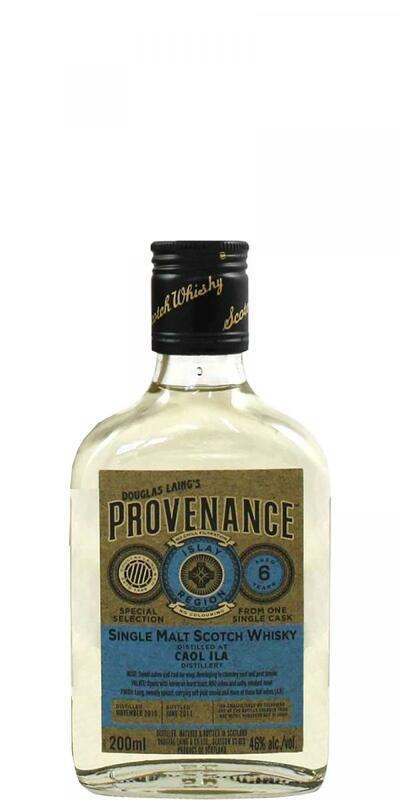 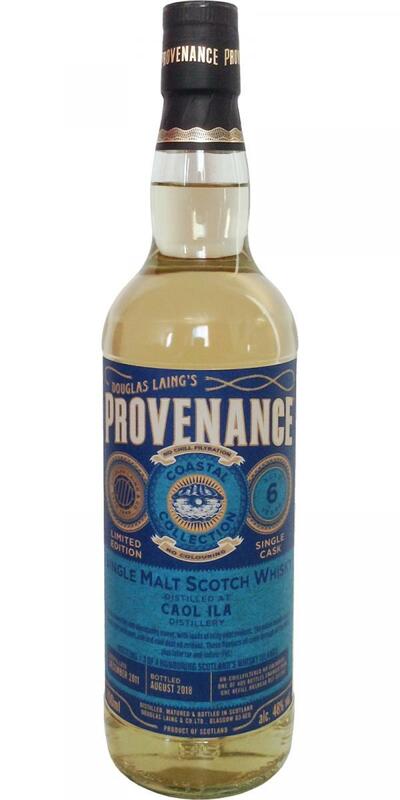 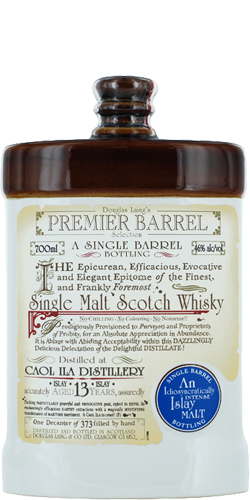 Caol Ila 10-year-old DL Premier Barrel Selection 10 46.0 % Vol. 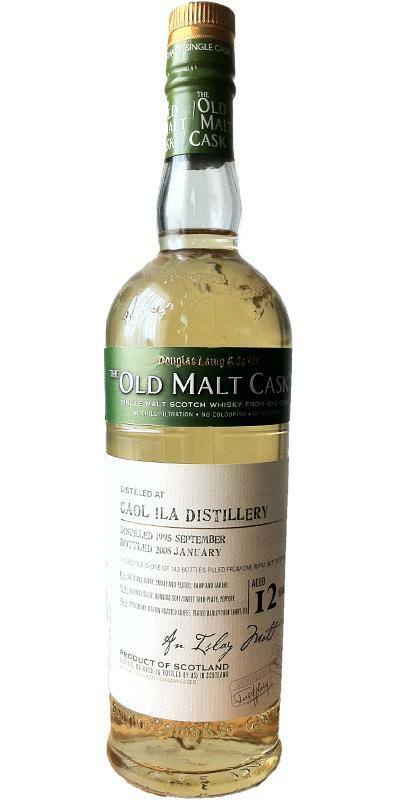 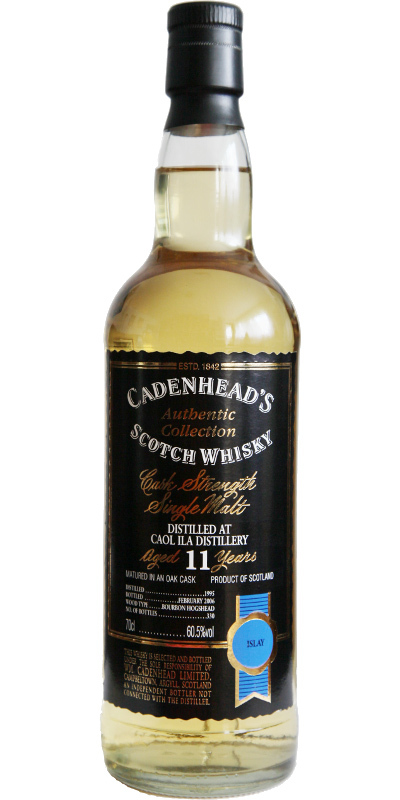 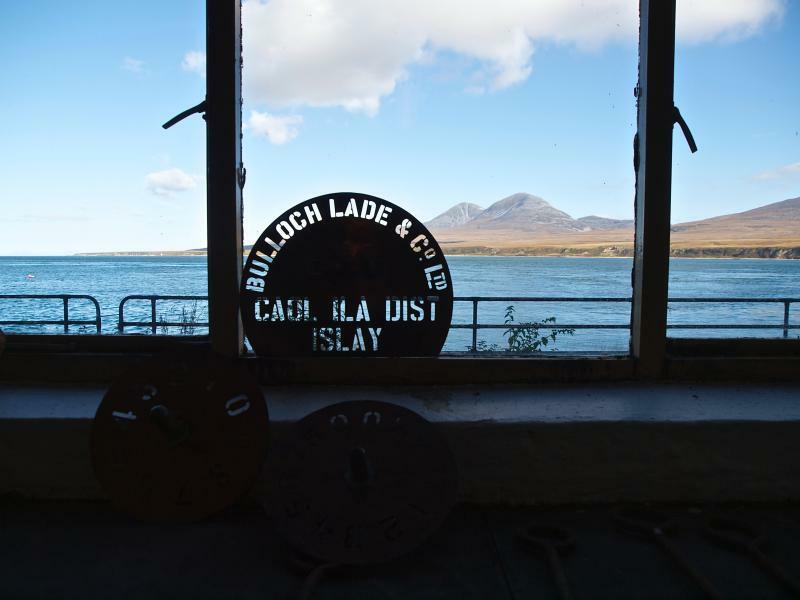 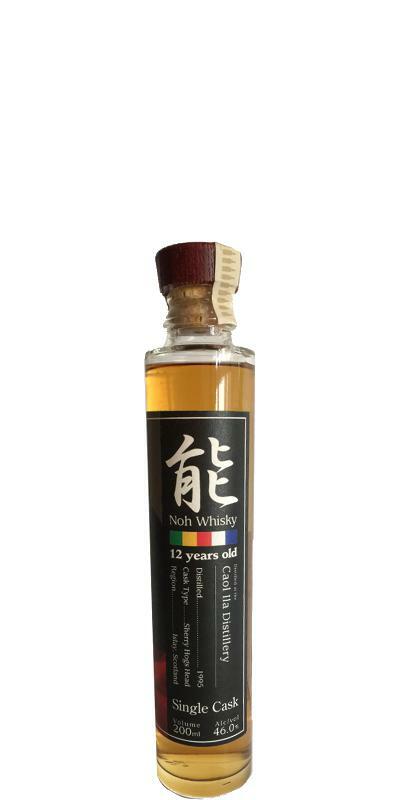 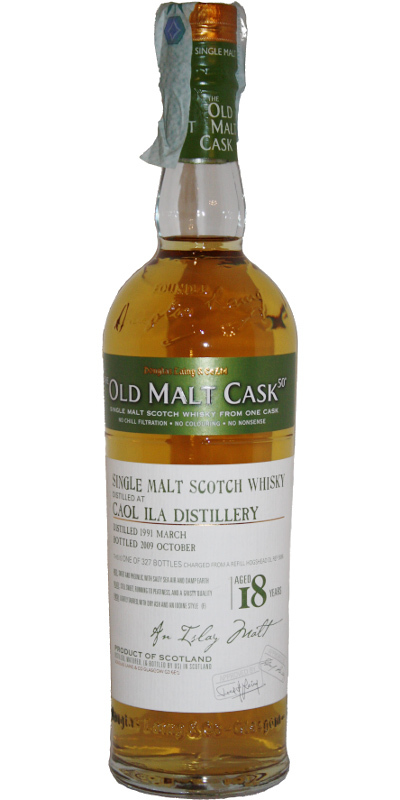 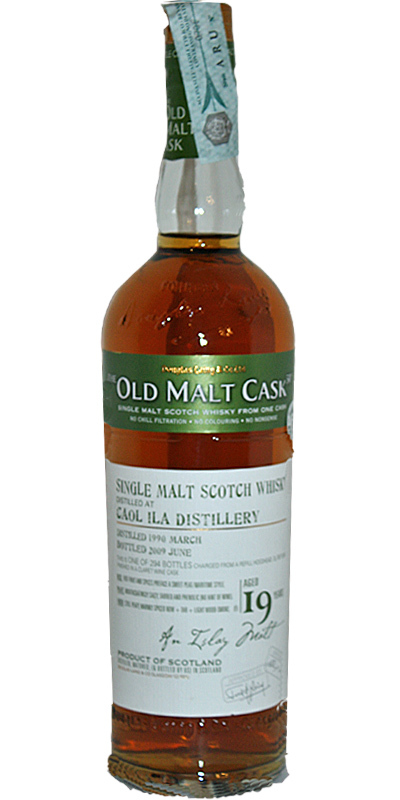 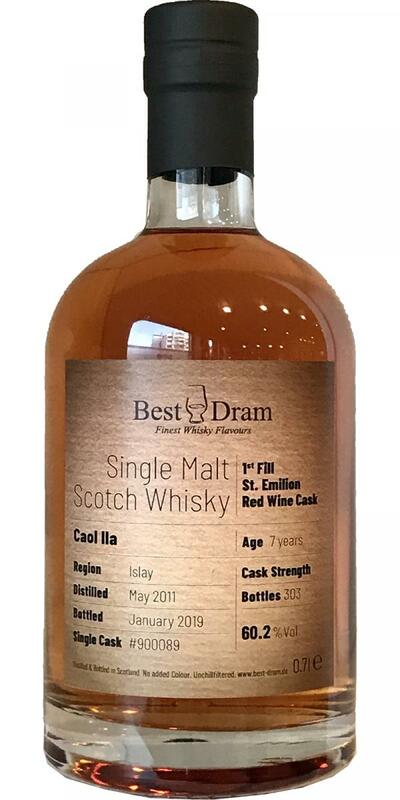 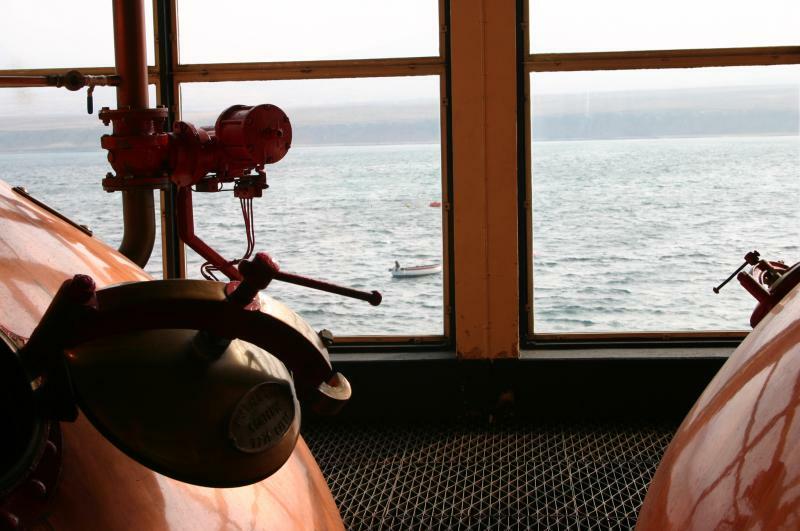 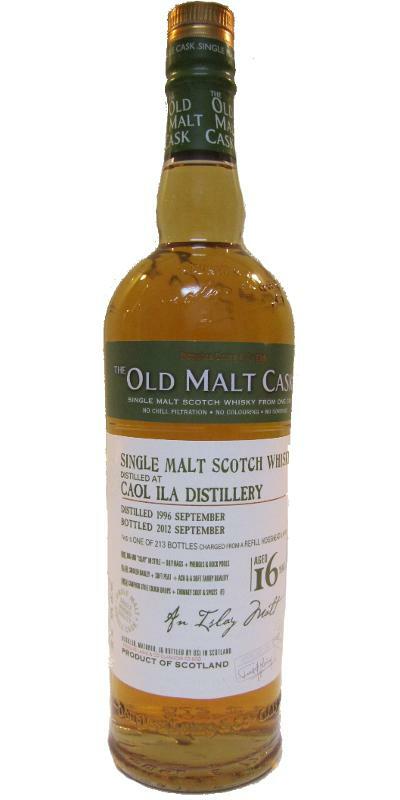 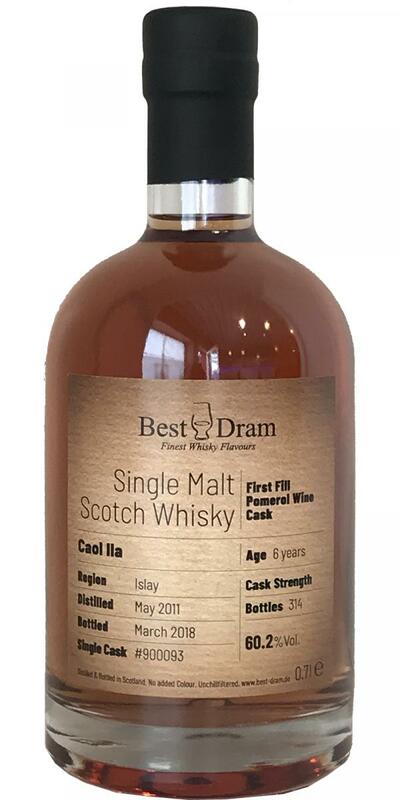 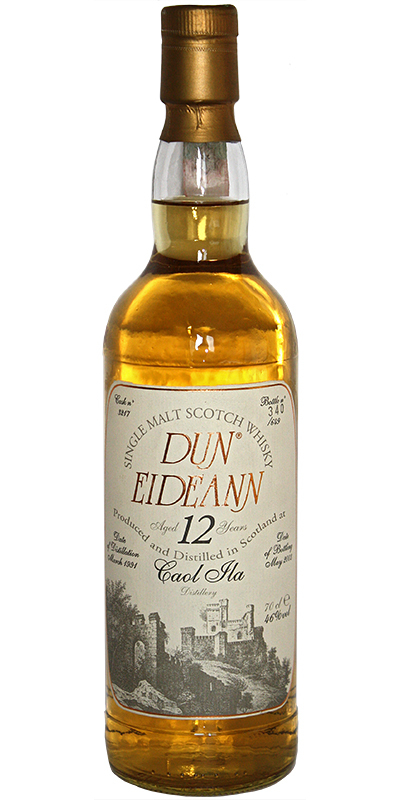 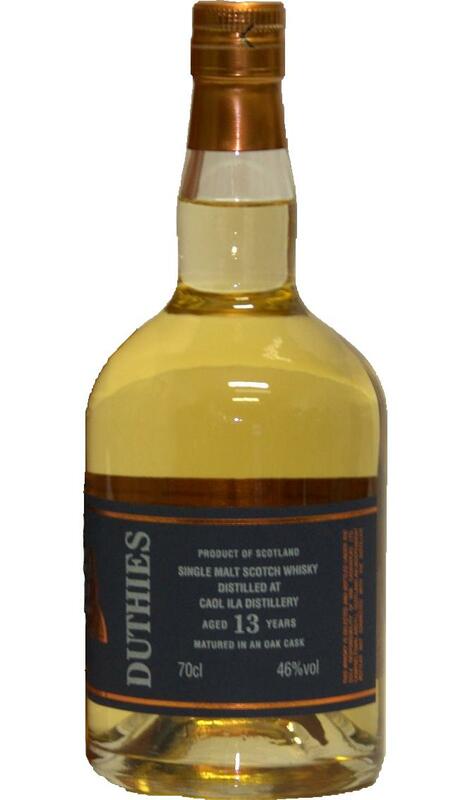 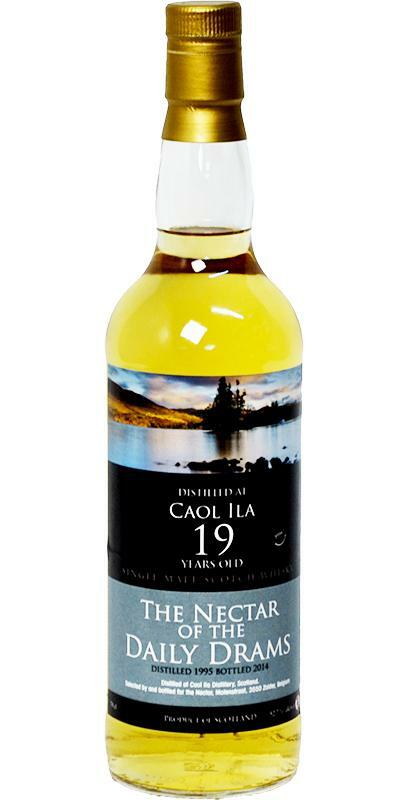 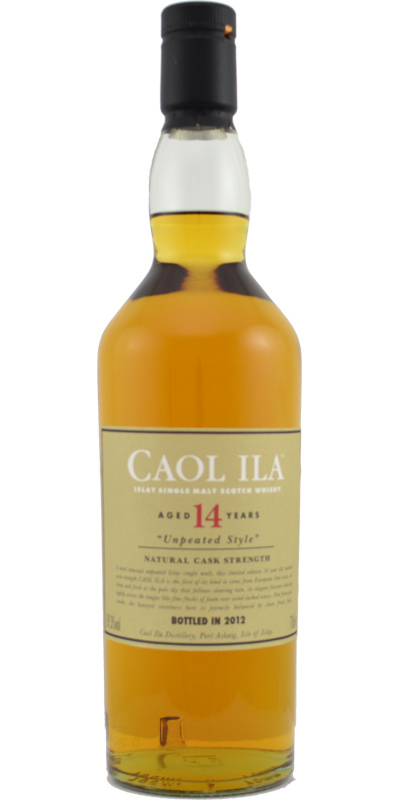 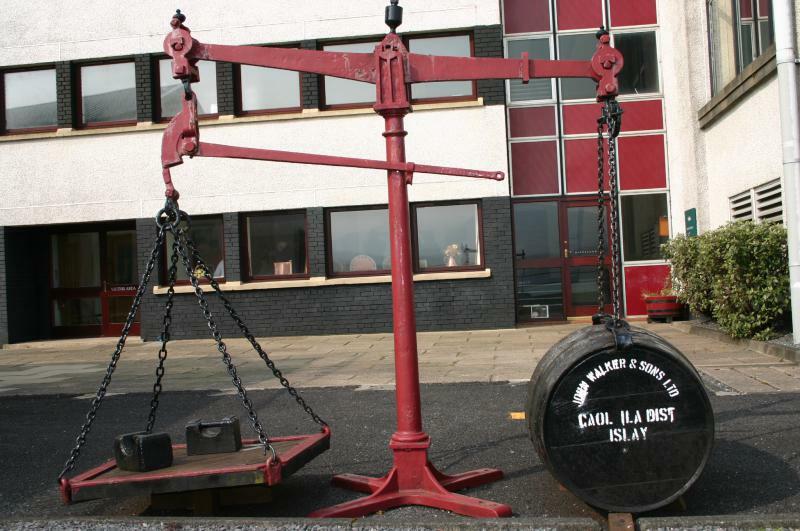 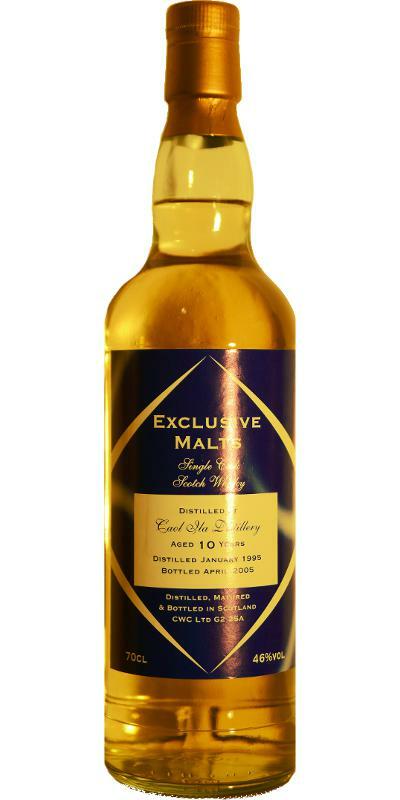 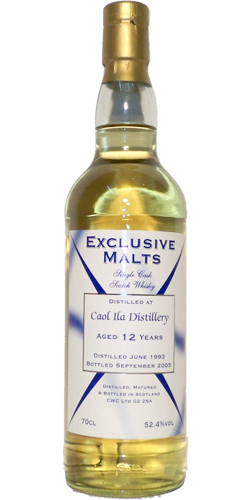 Caol Ila 11-year-old DL Old Malt Cask 11 50.0 % Vol. 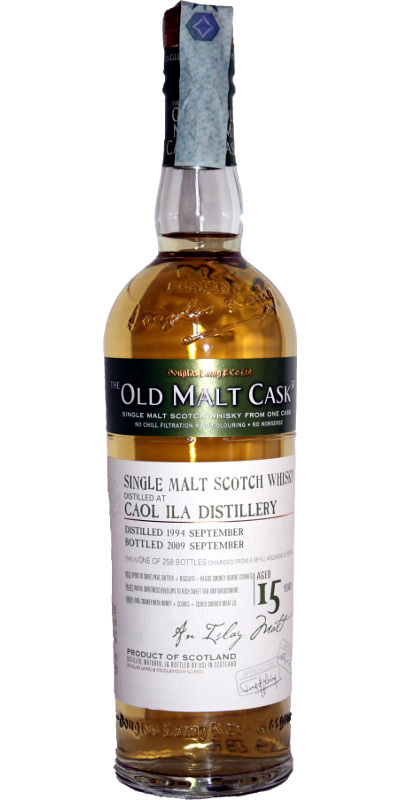 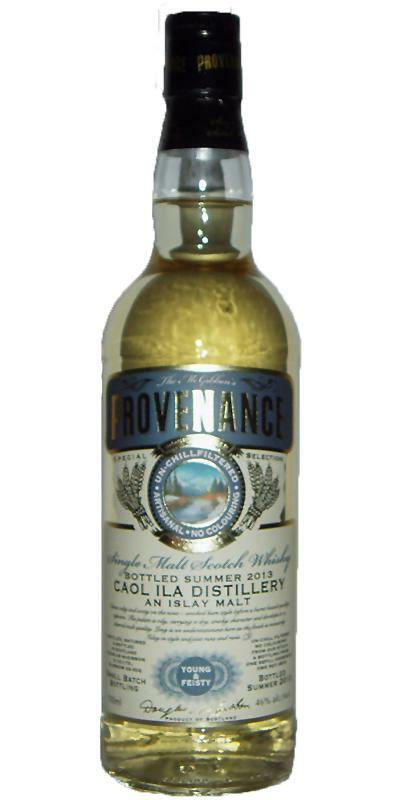 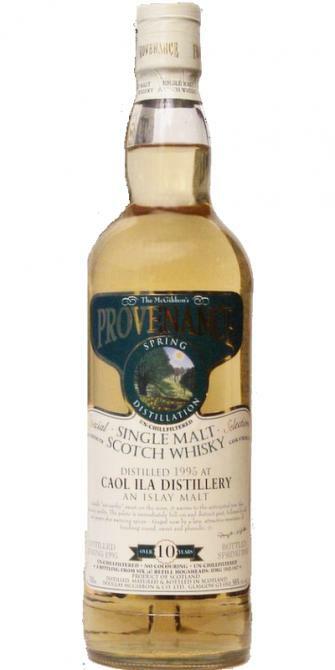 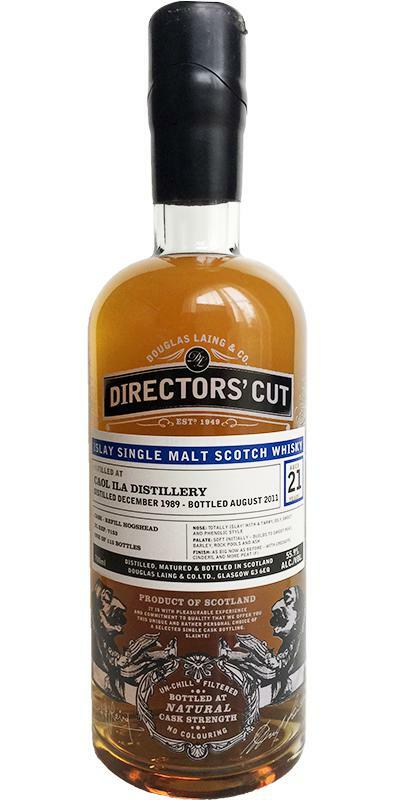 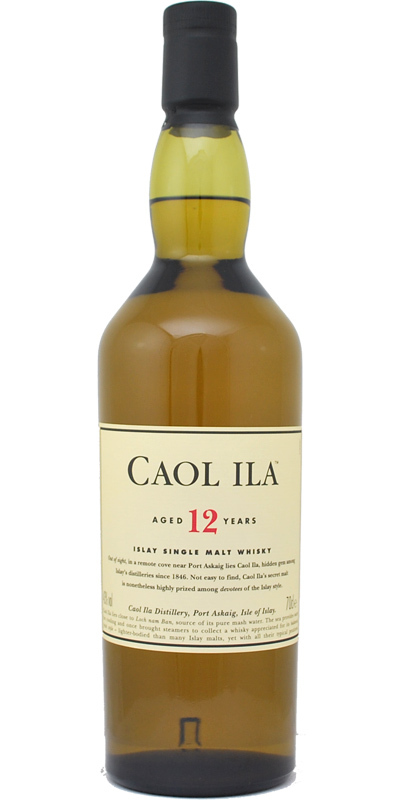 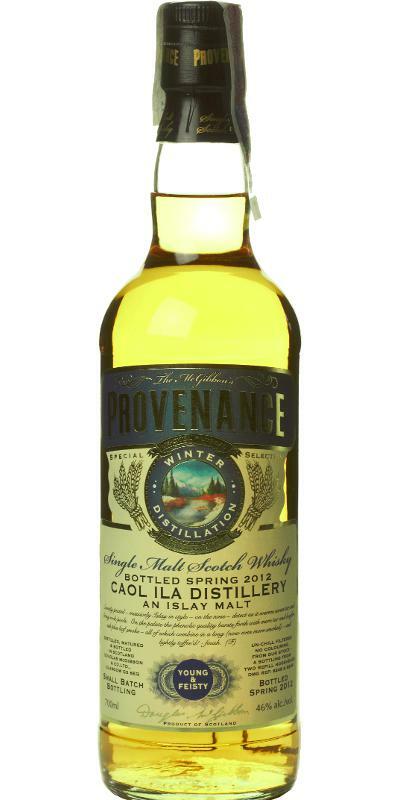 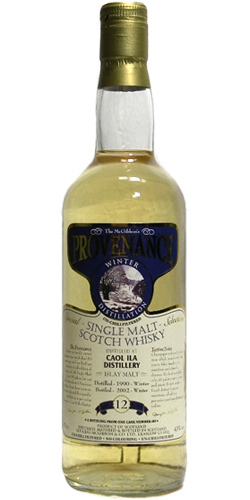 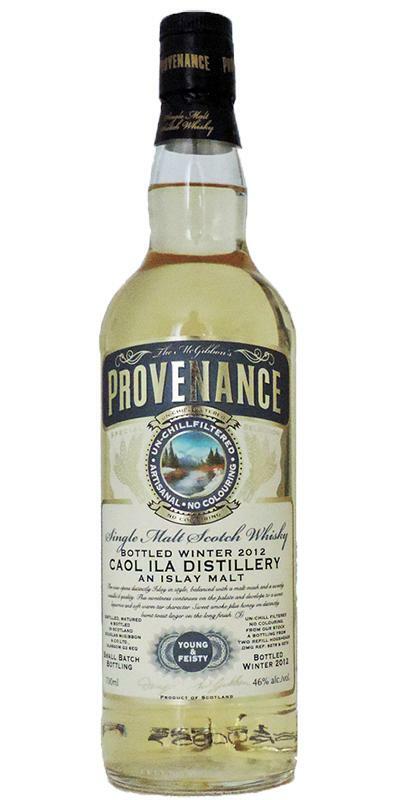 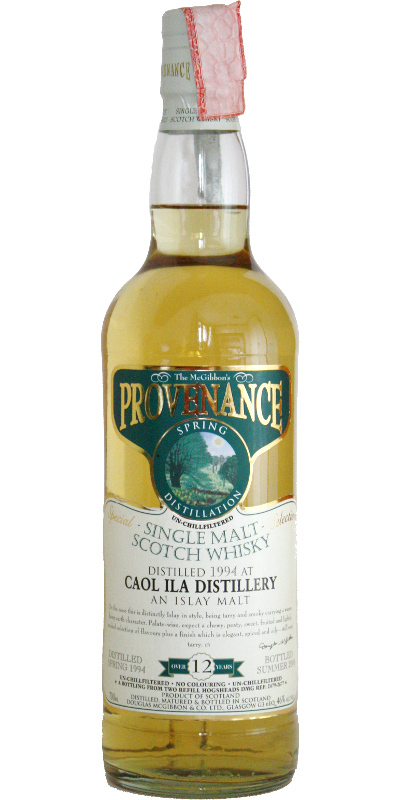 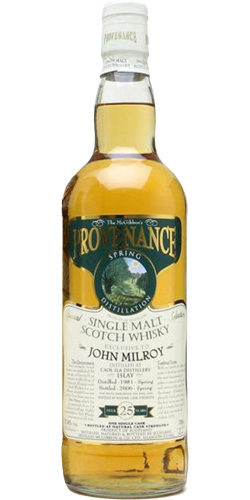 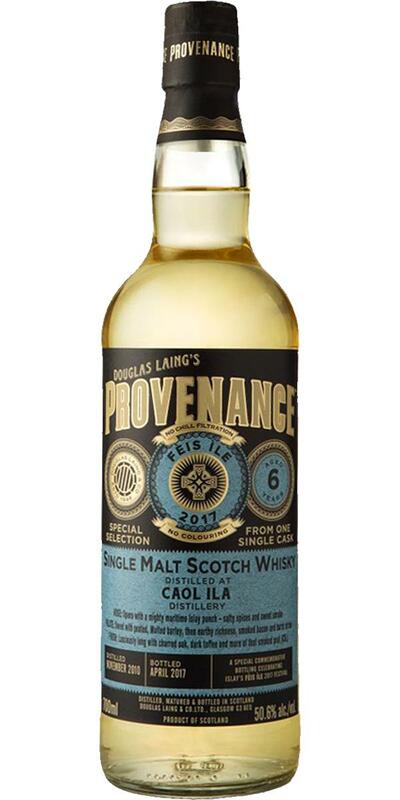 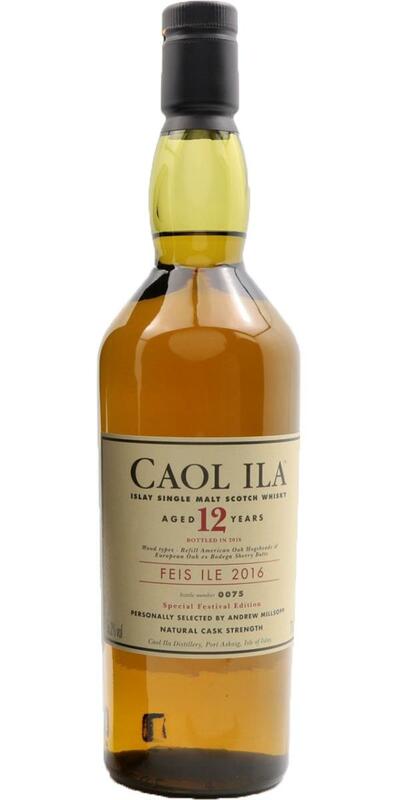 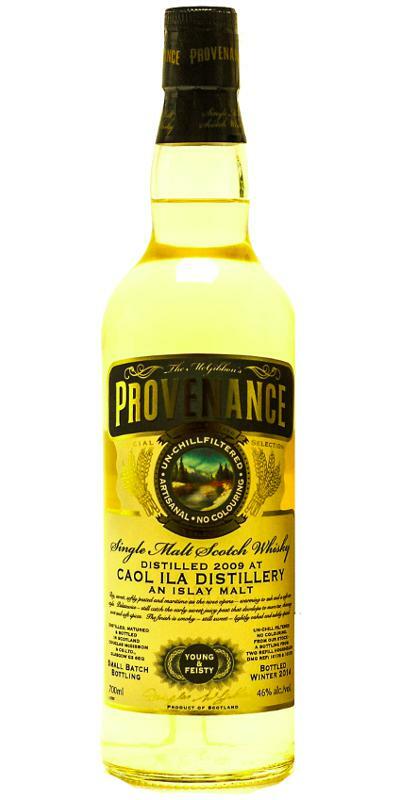 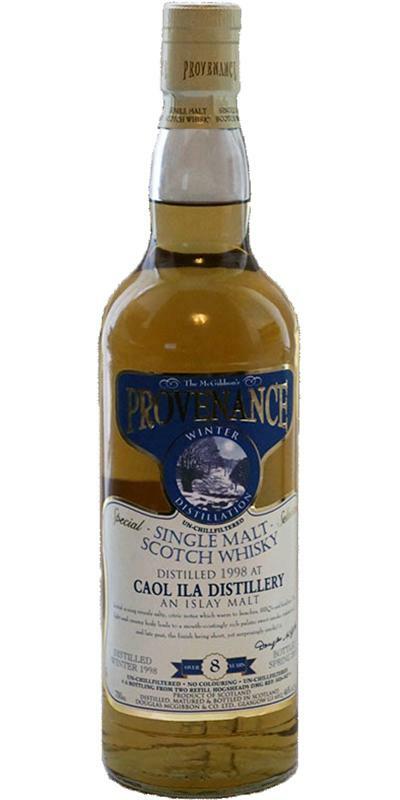 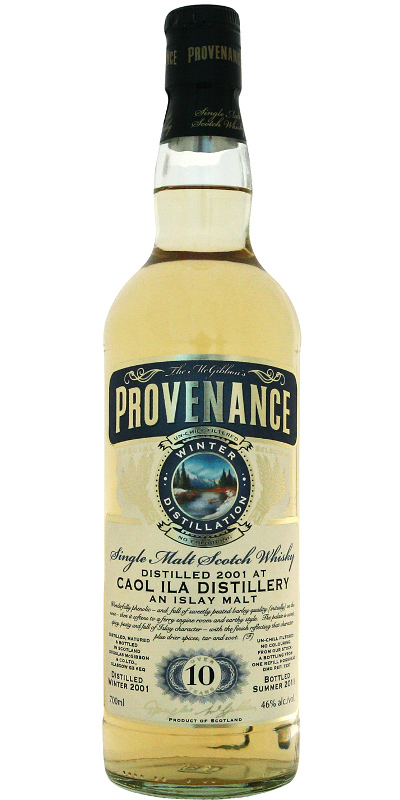 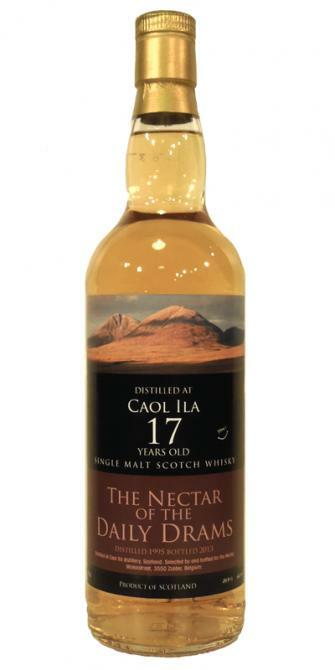 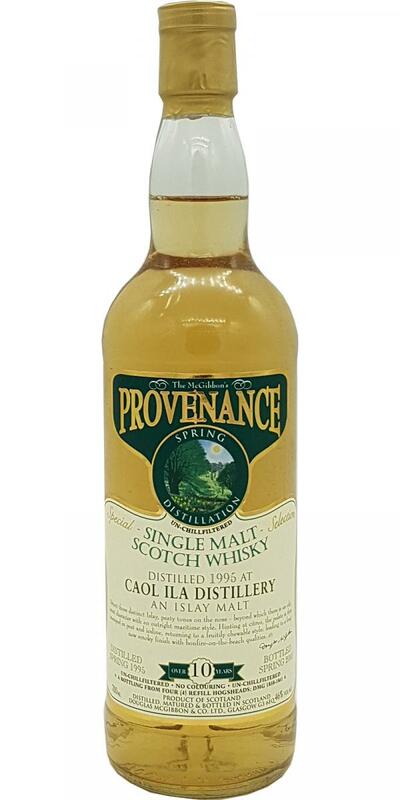 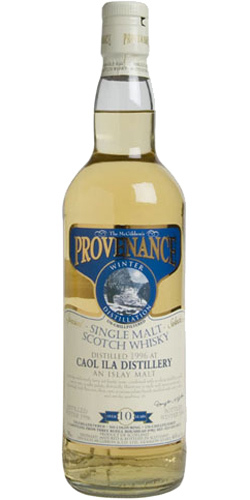 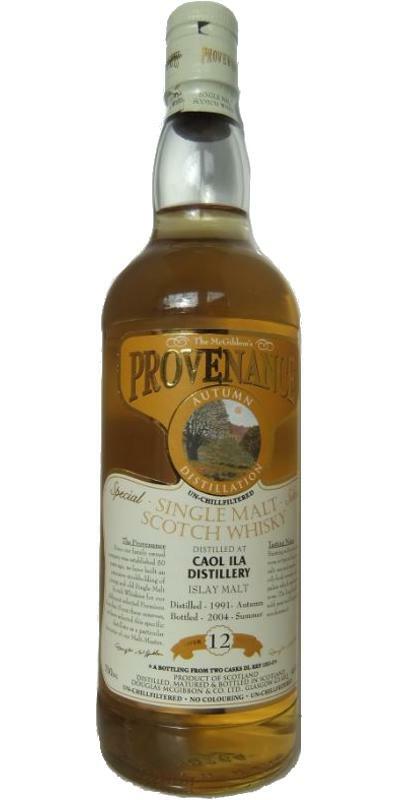 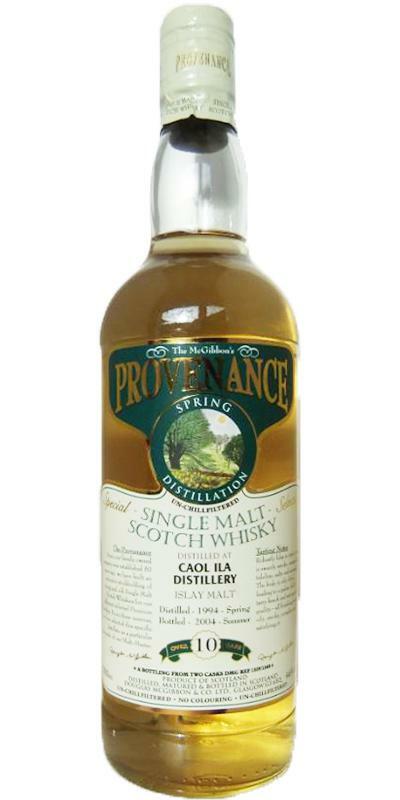 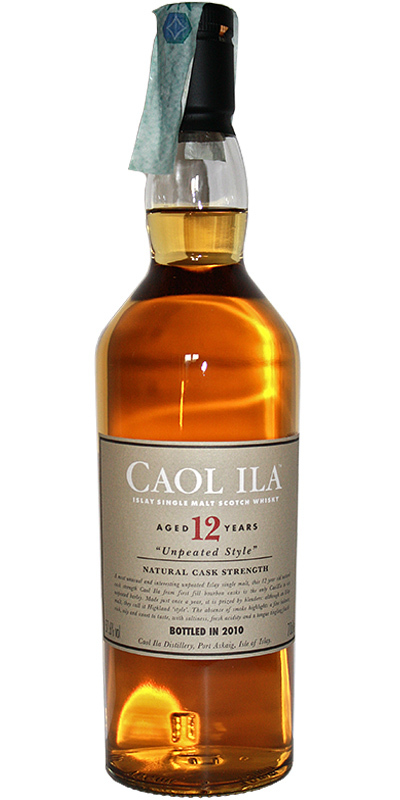 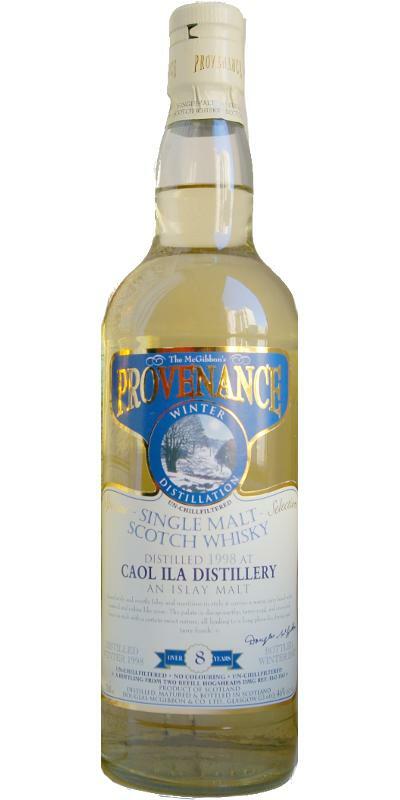 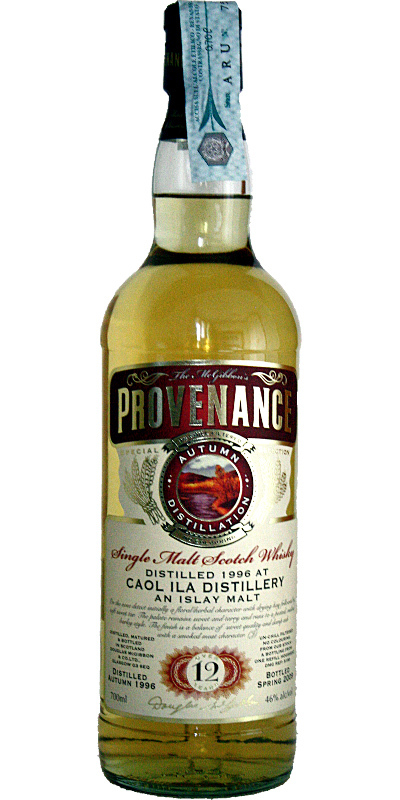 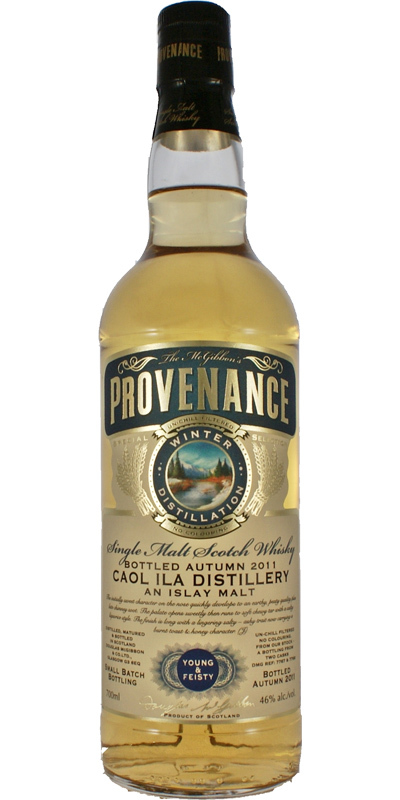 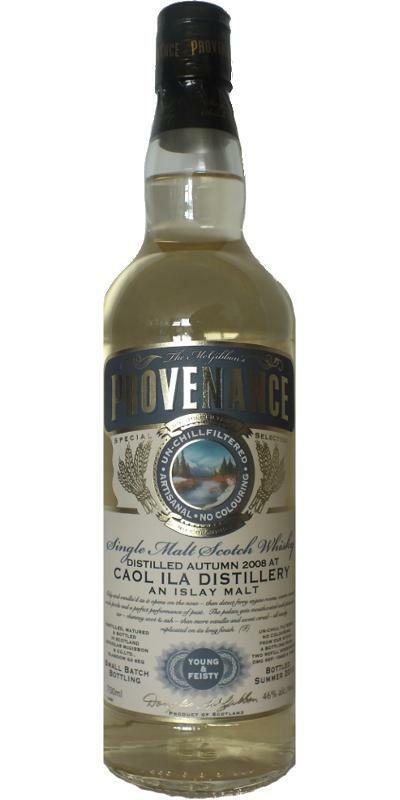 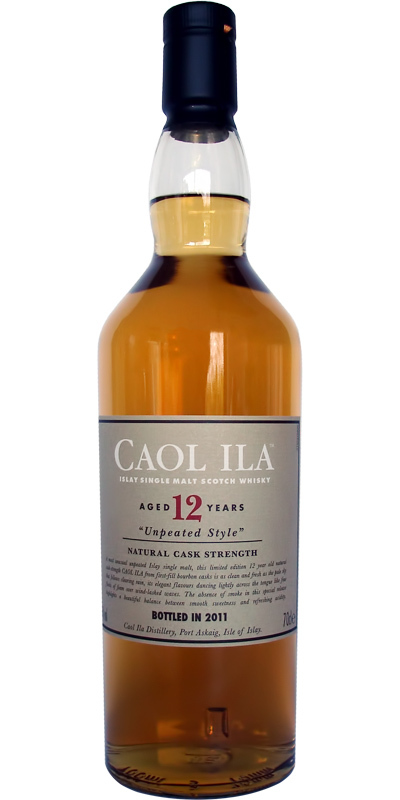 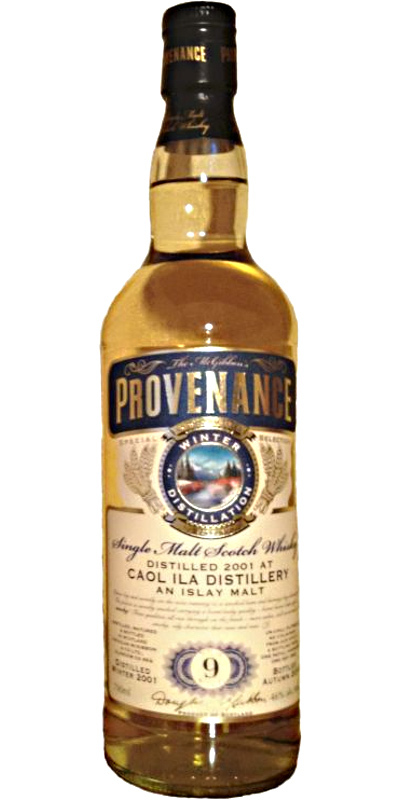 Caol Ila 12-year-old DL Premier Barrel Selection 12 46.0 % Vol. 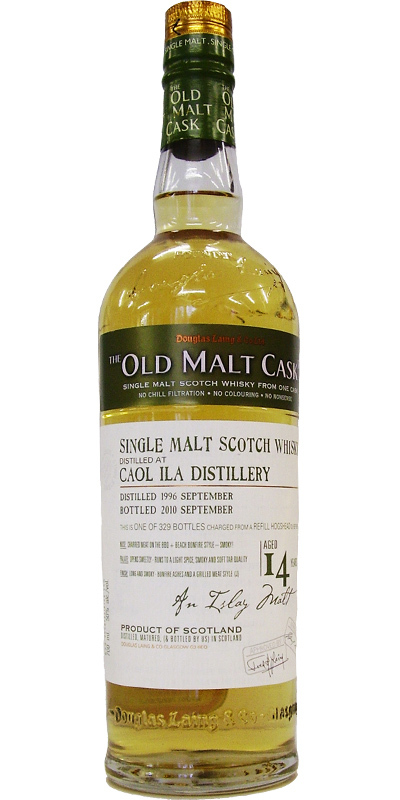 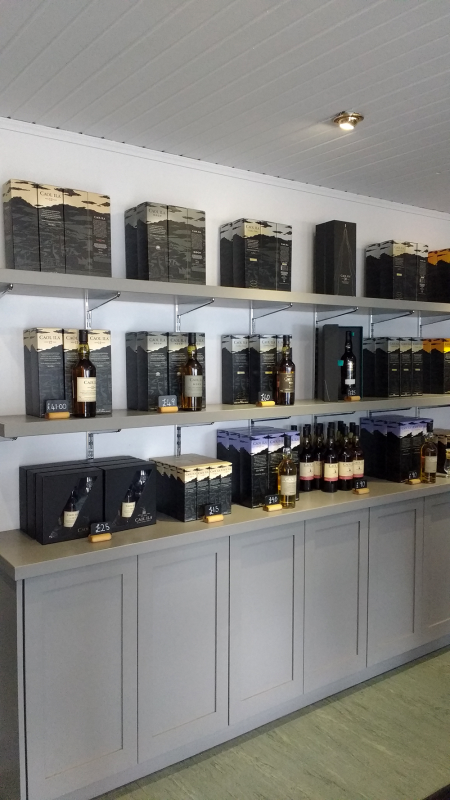 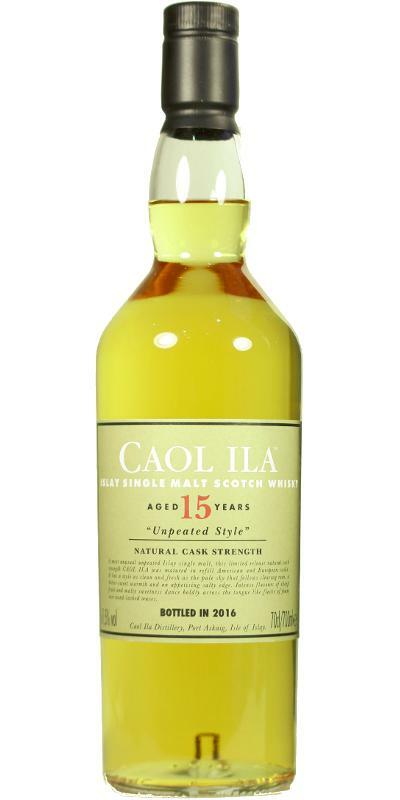 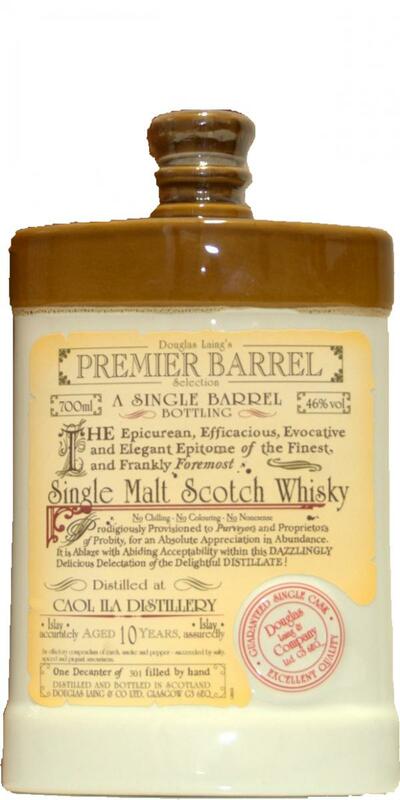 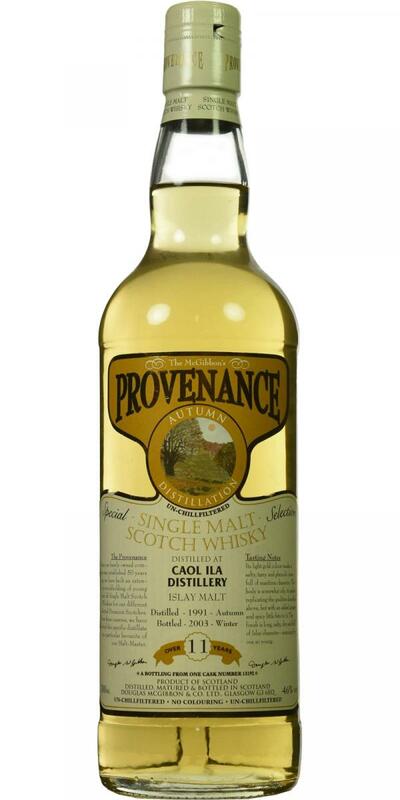 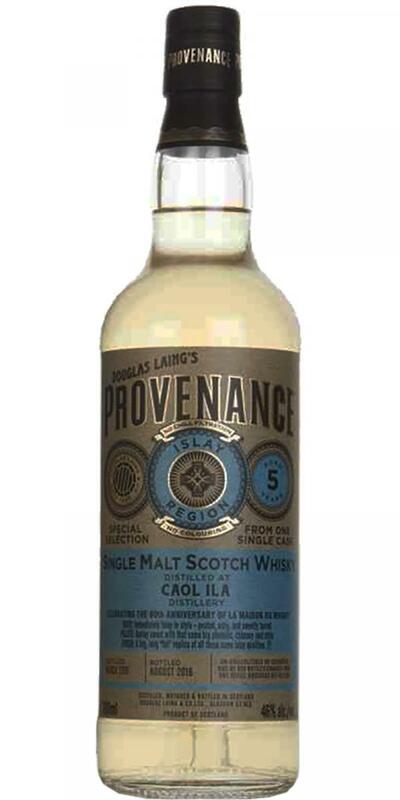 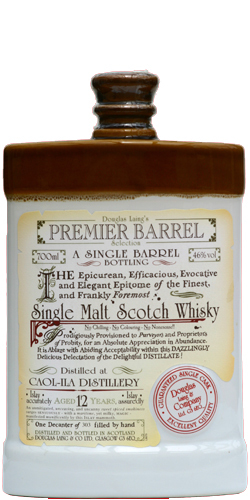 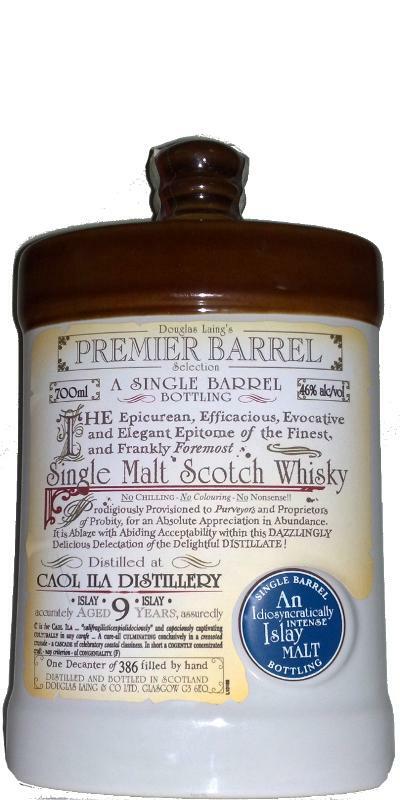 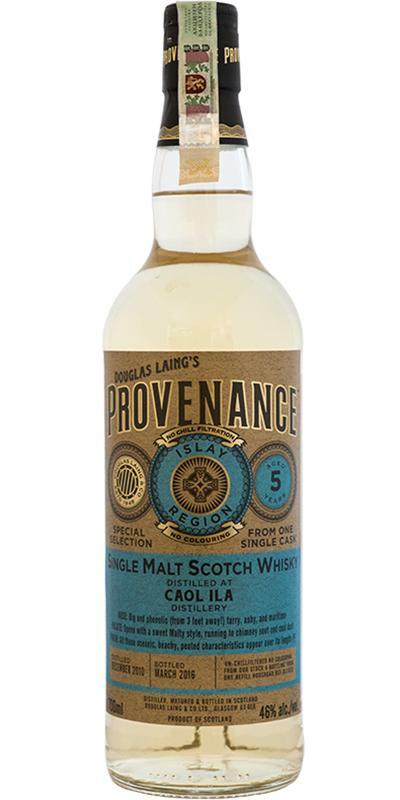 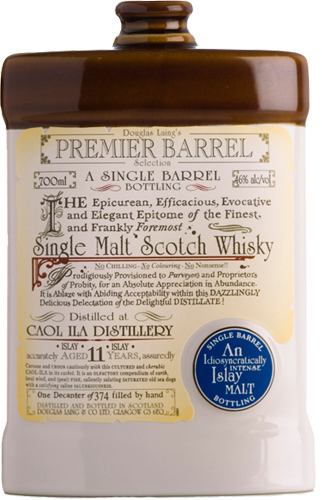 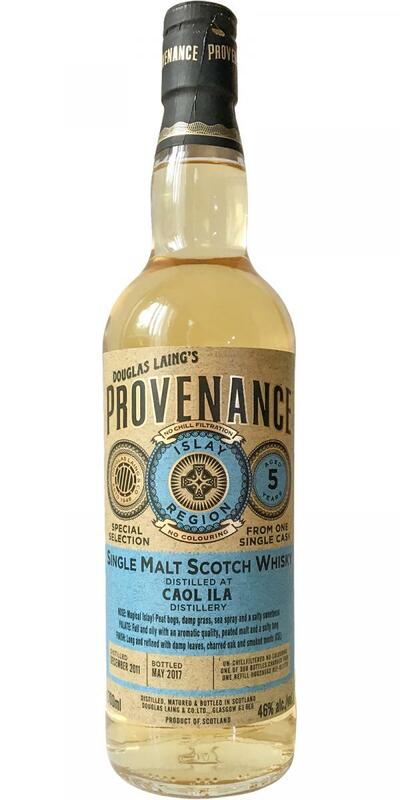 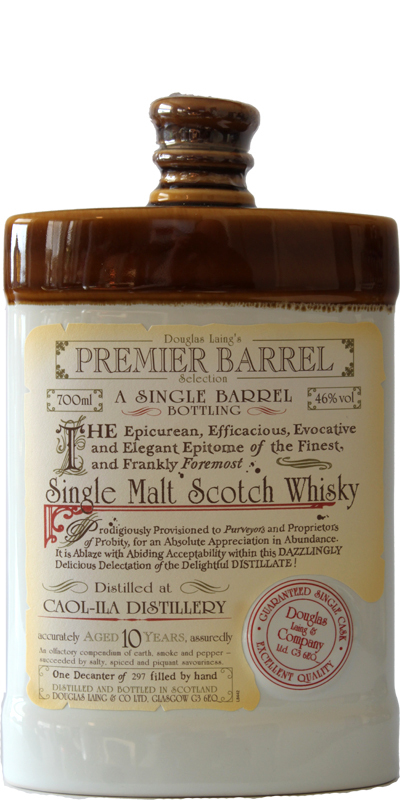 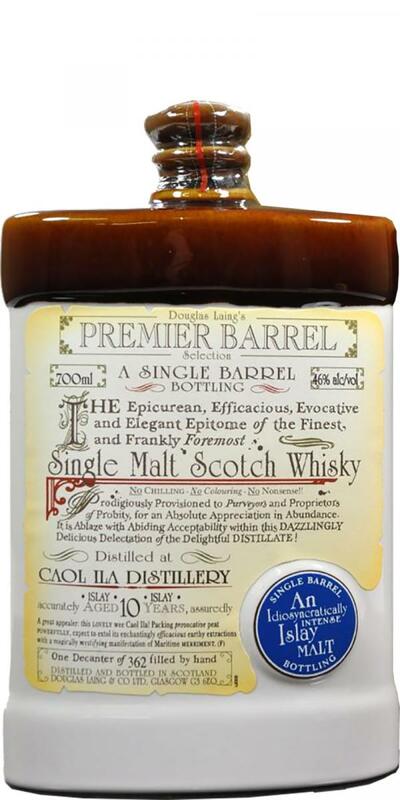 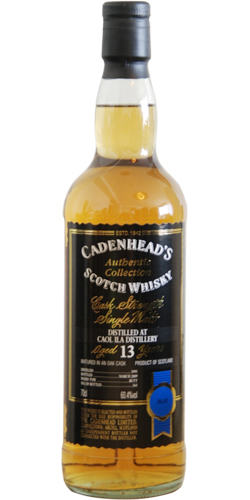 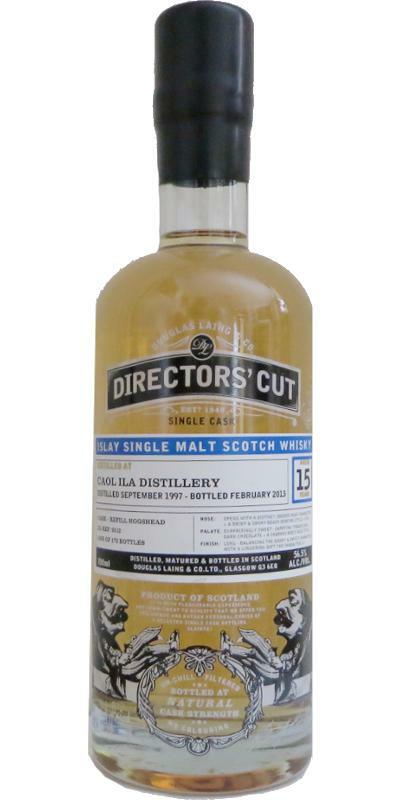 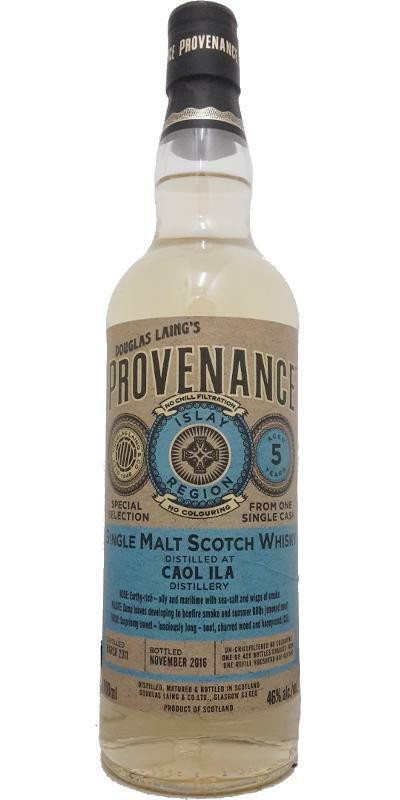 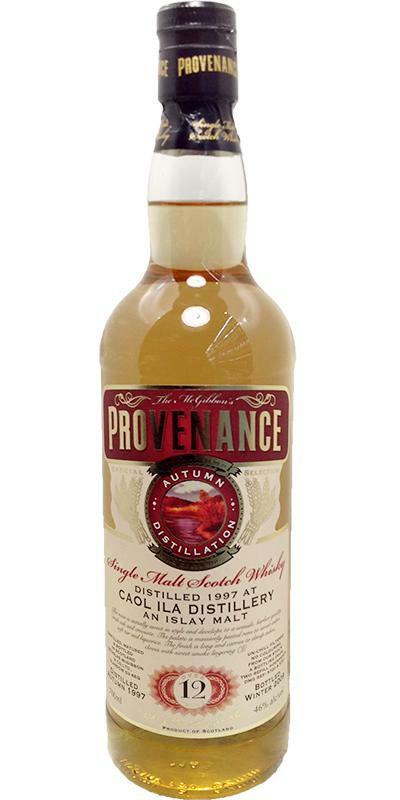 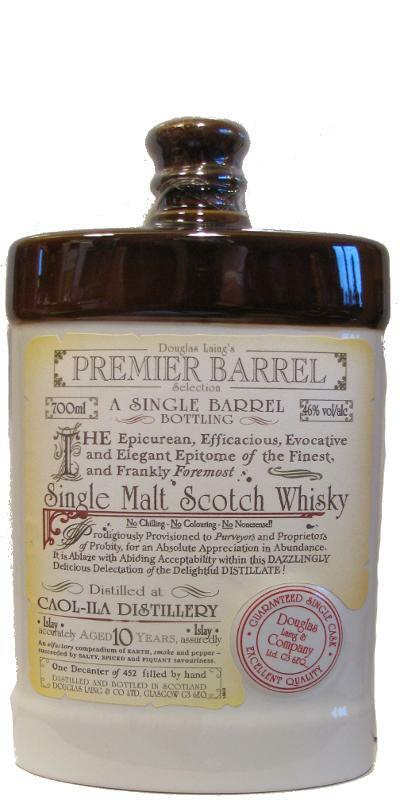 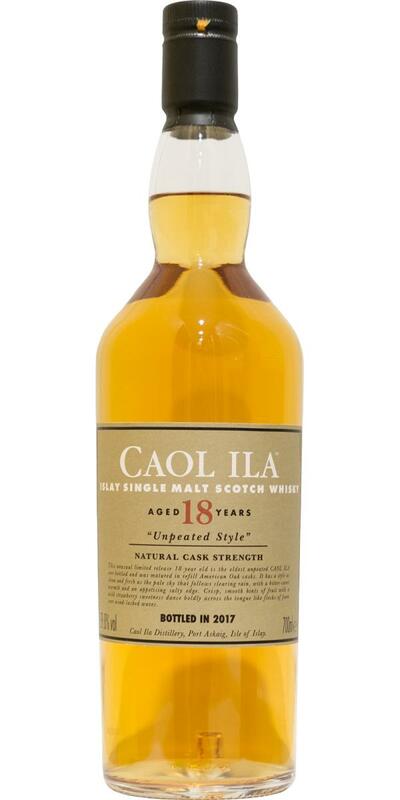 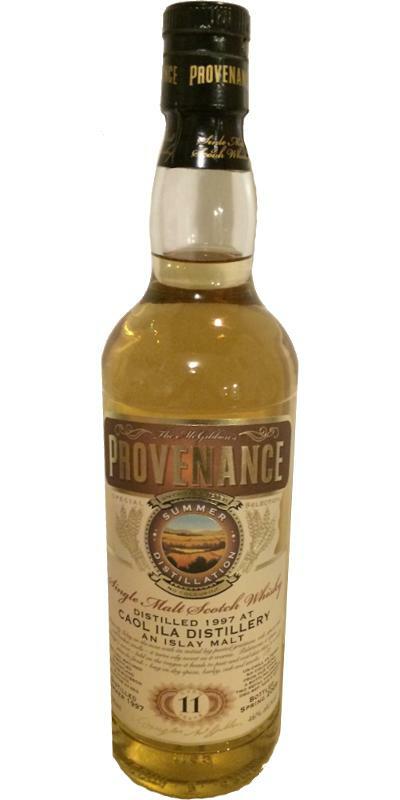 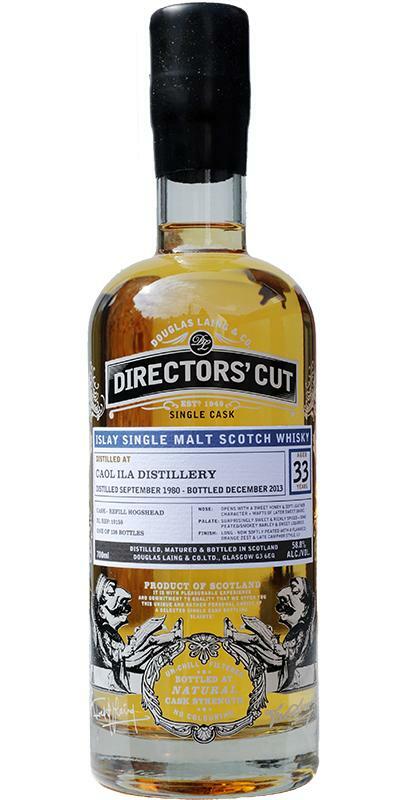 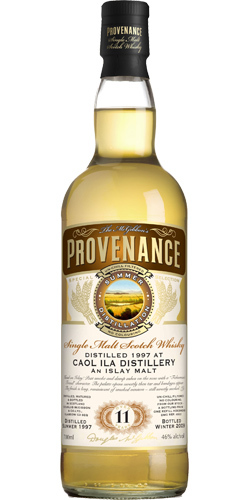 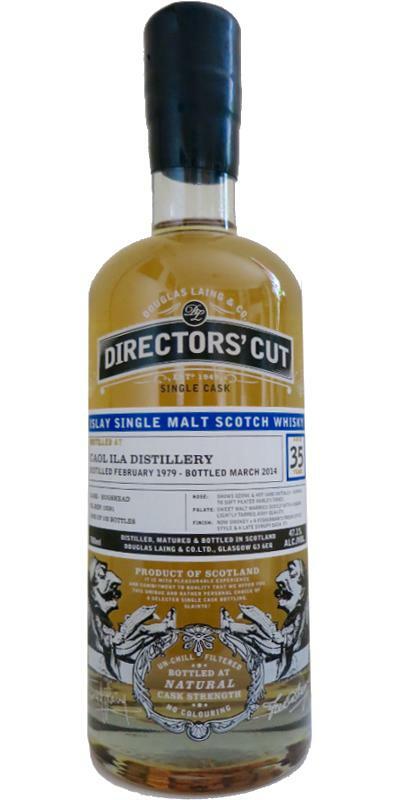 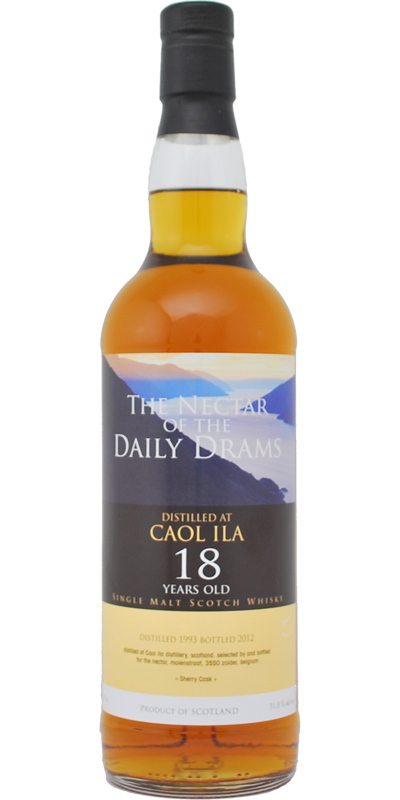 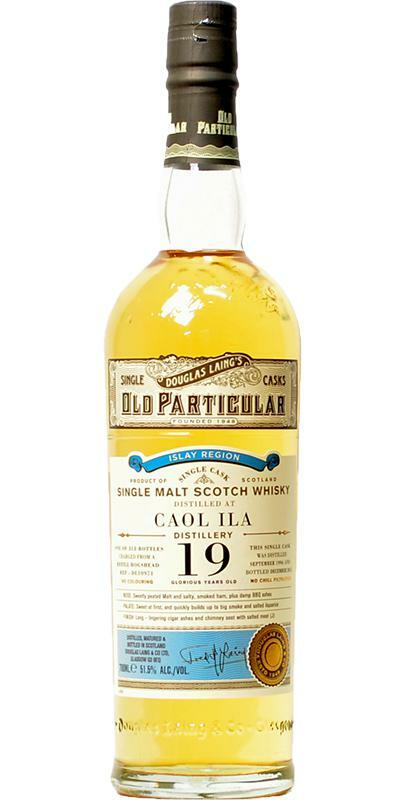 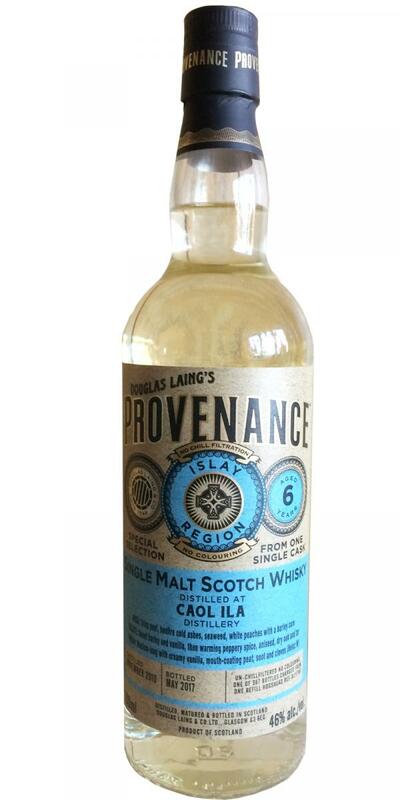 Caol Ila 13-year-old DL Premier Barrel Selection 13 46.0 % Vol. 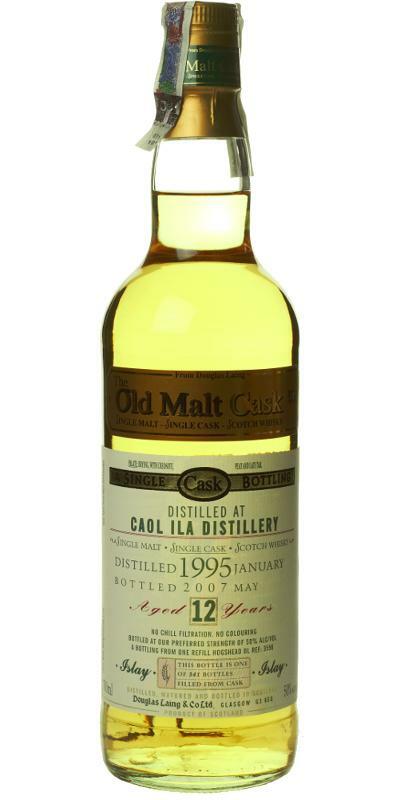 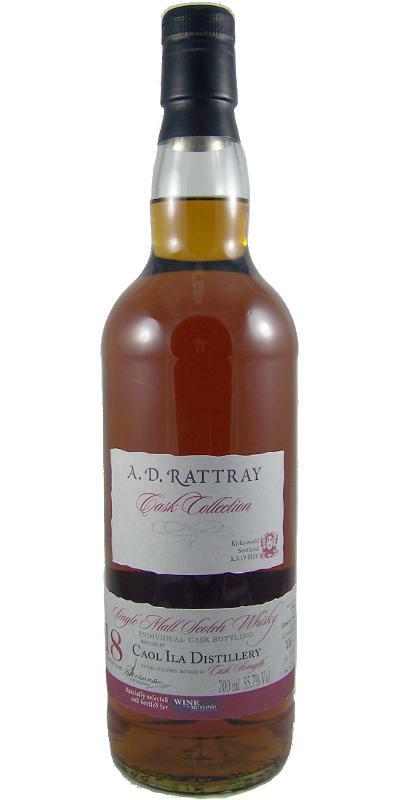 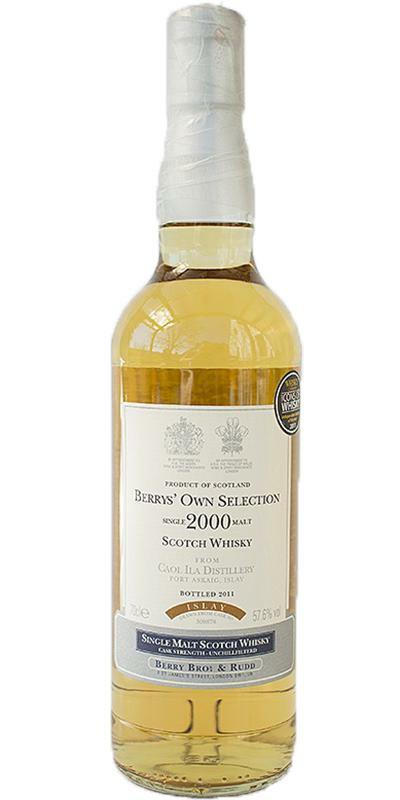 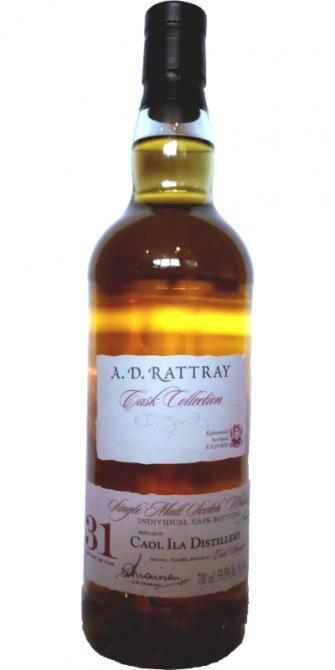 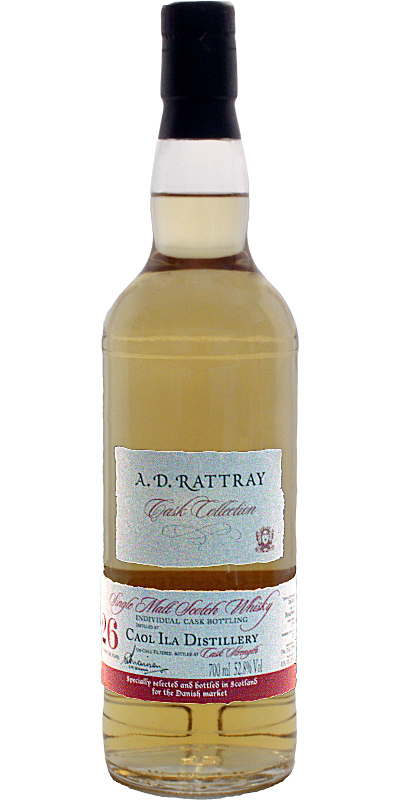 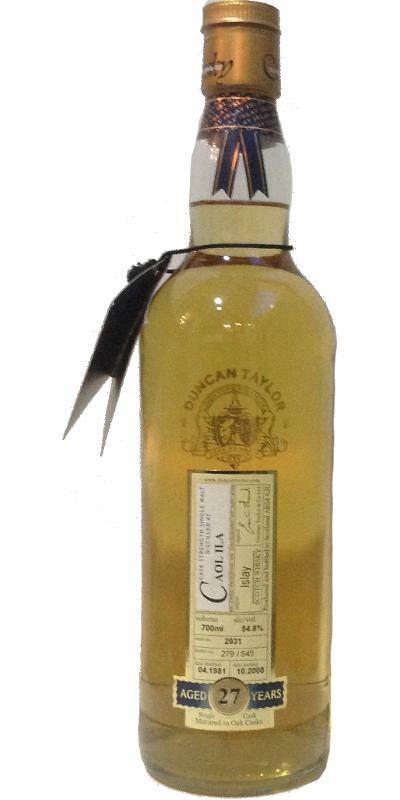 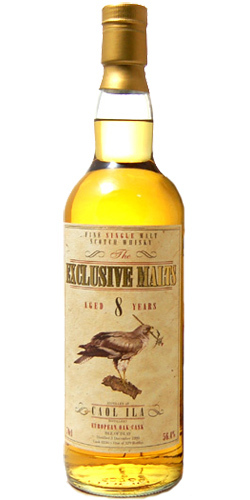 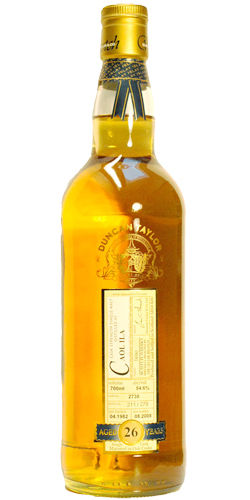 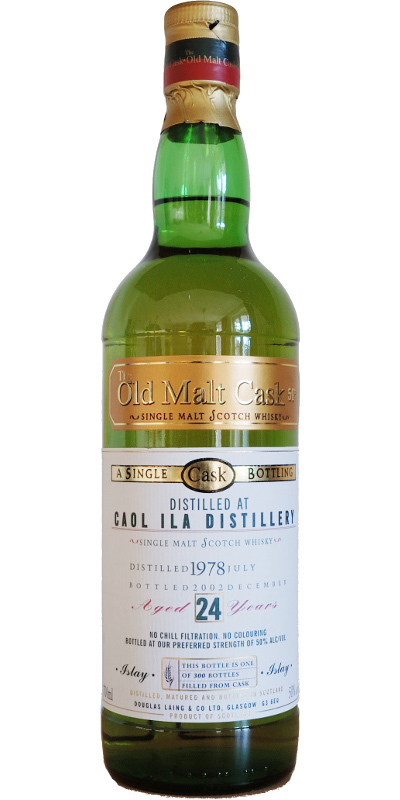 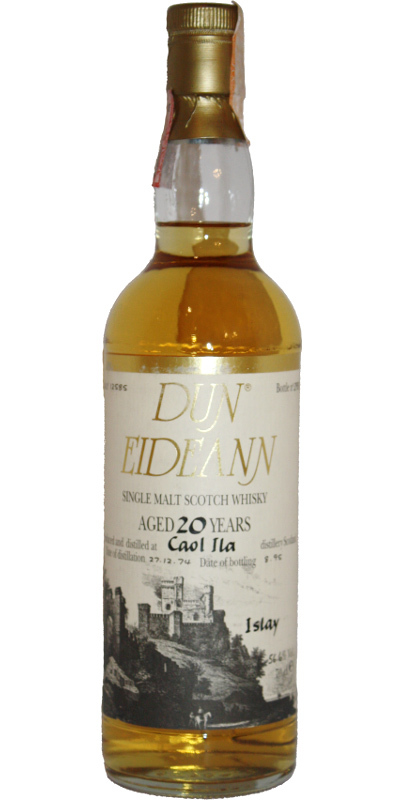 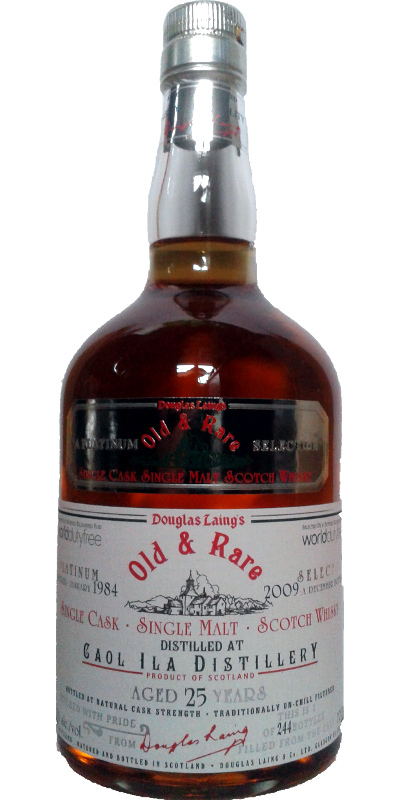 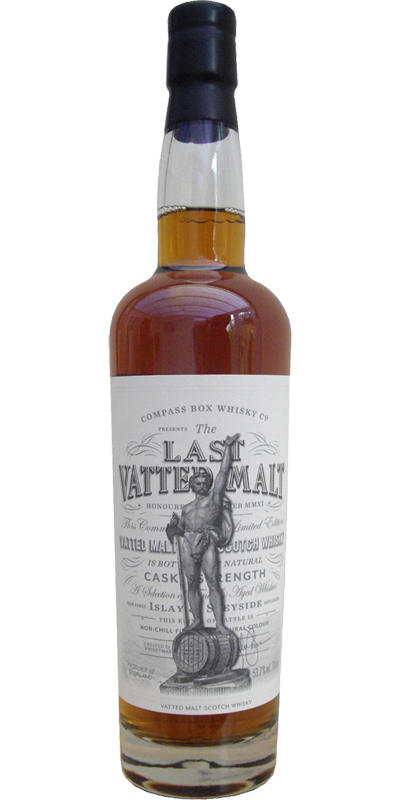 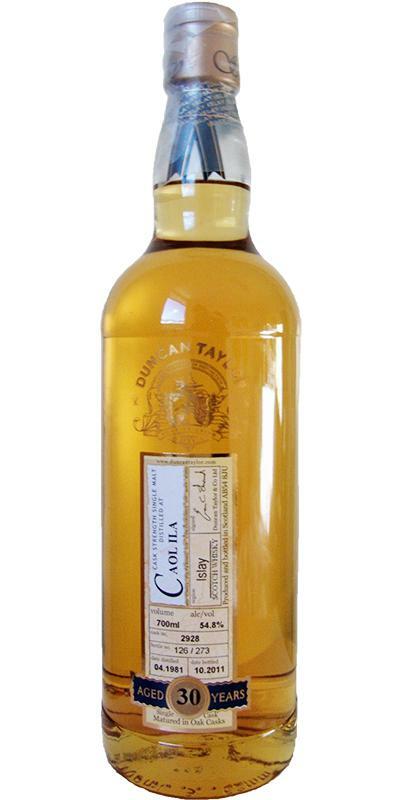 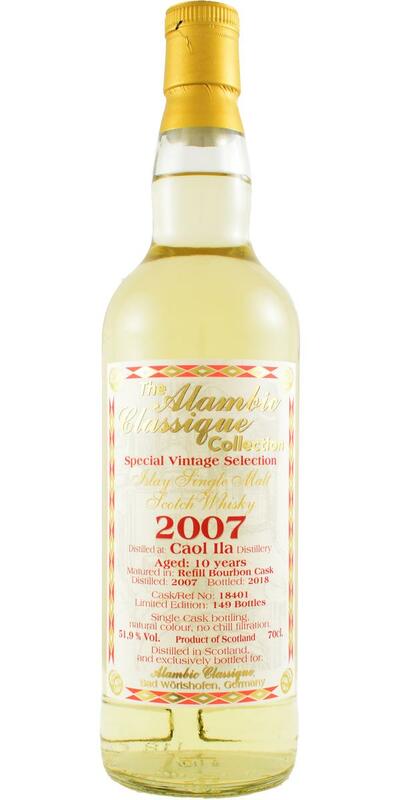 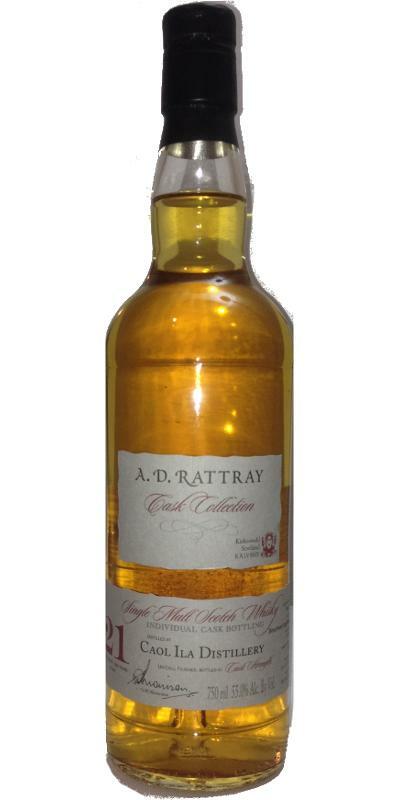 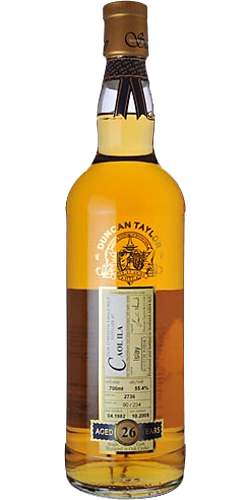 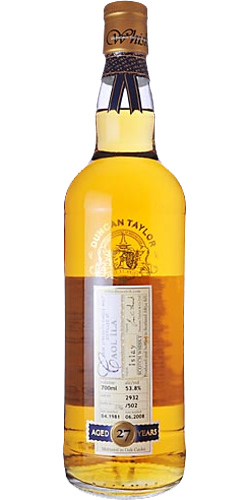 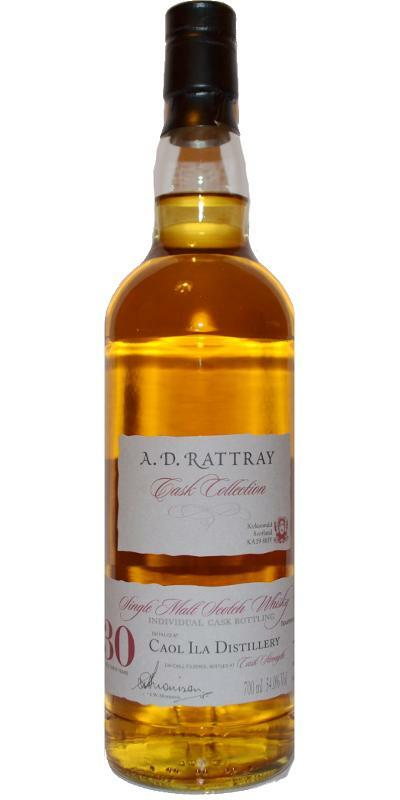 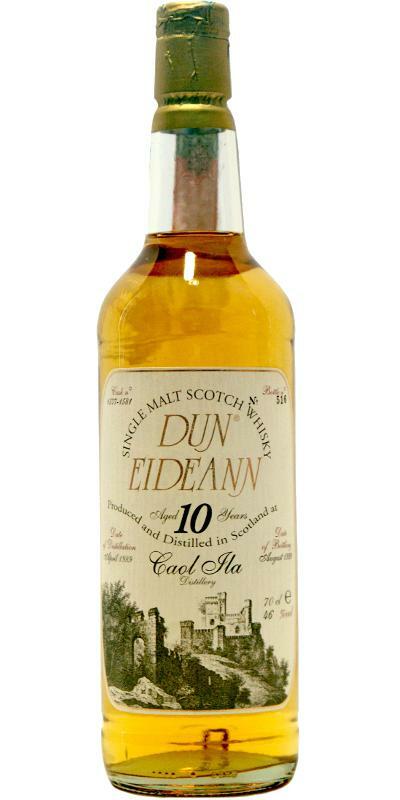 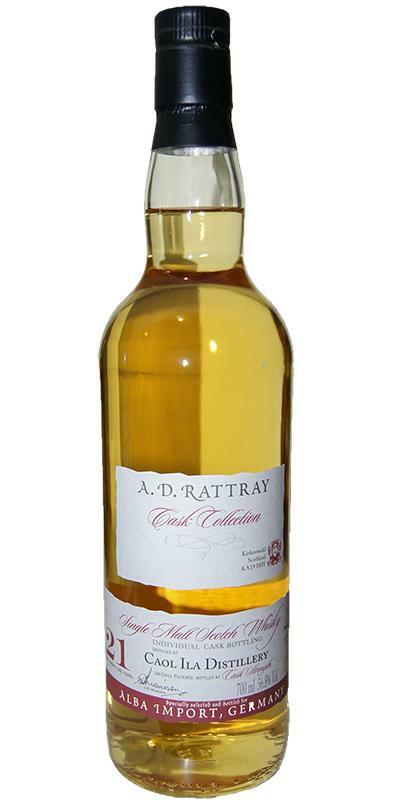 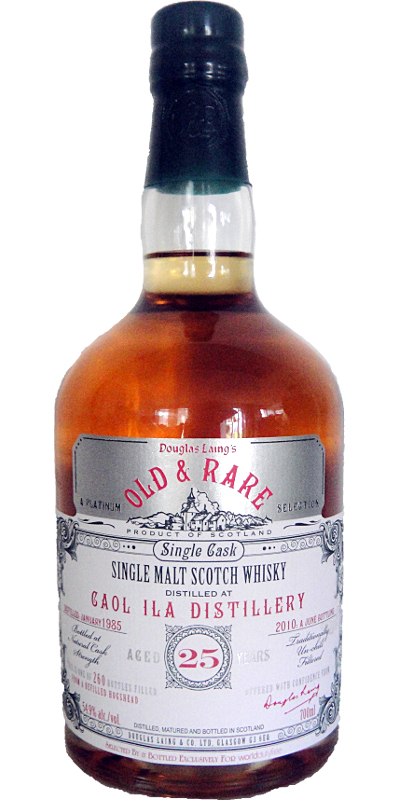 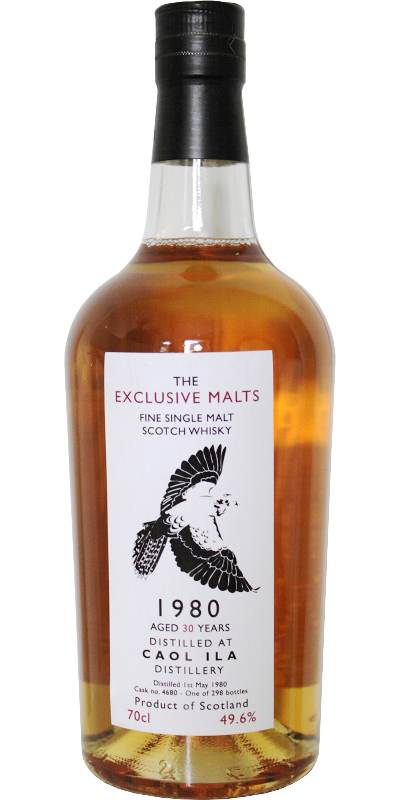 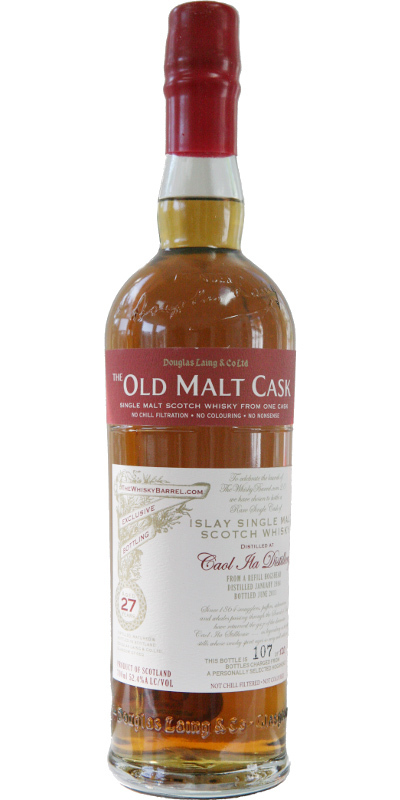 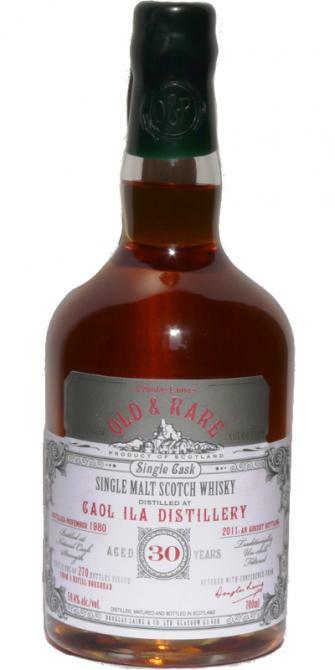 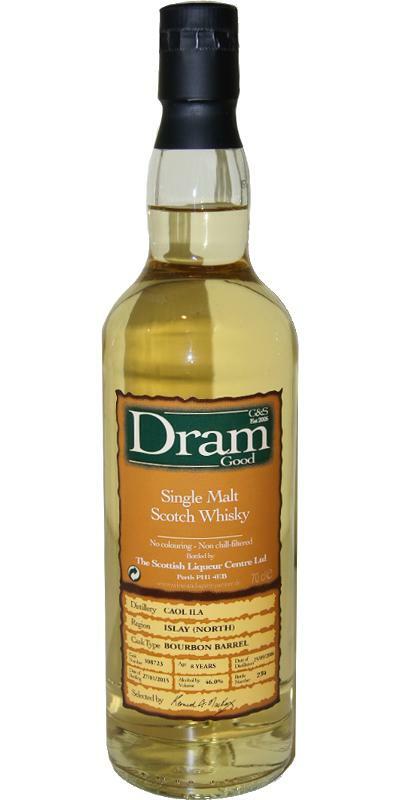 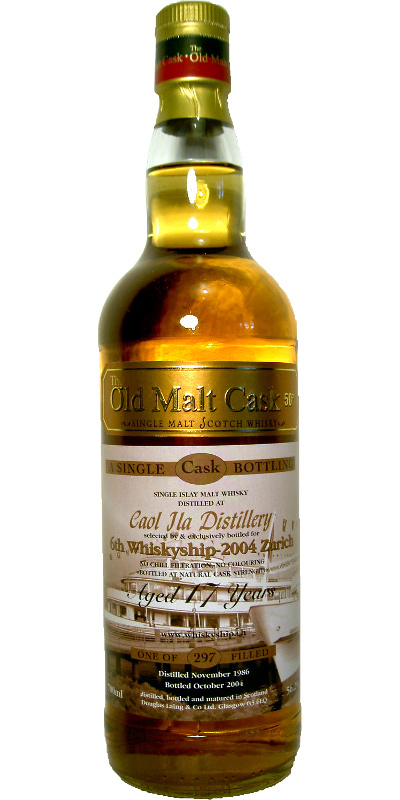 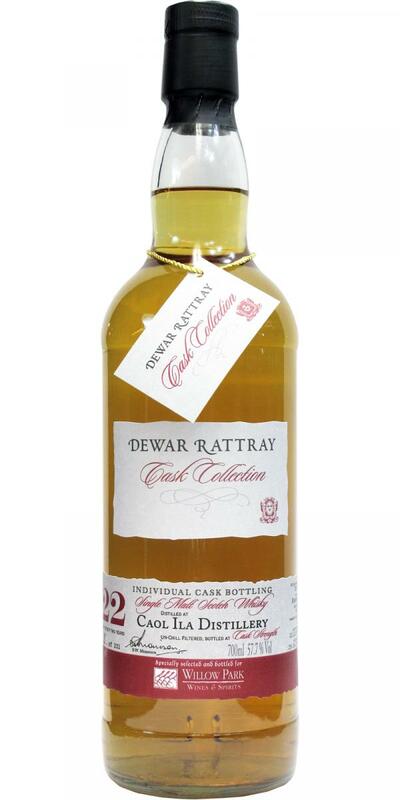 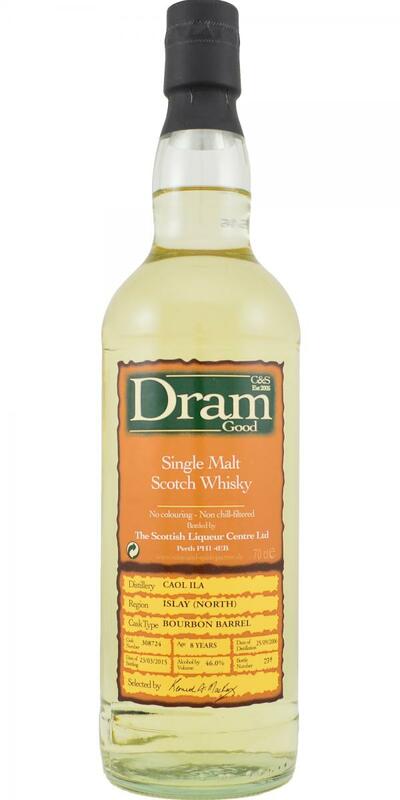 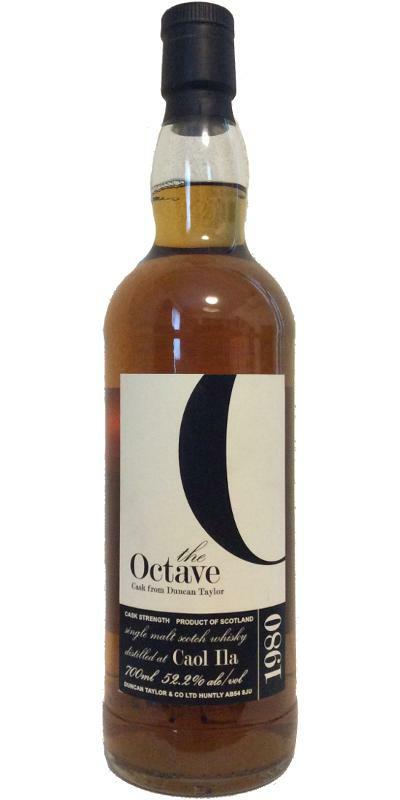 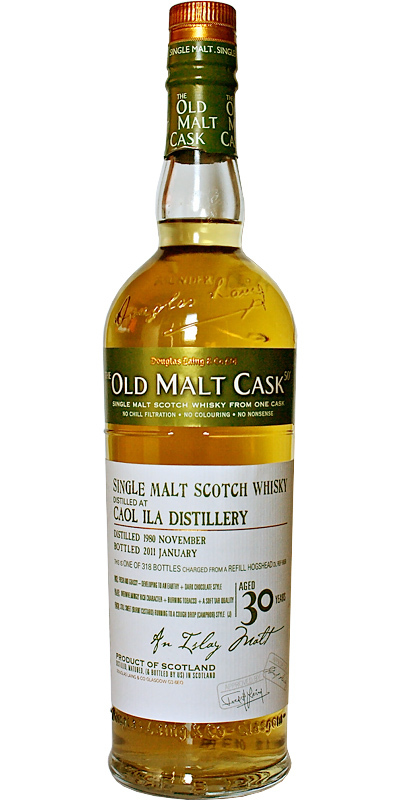 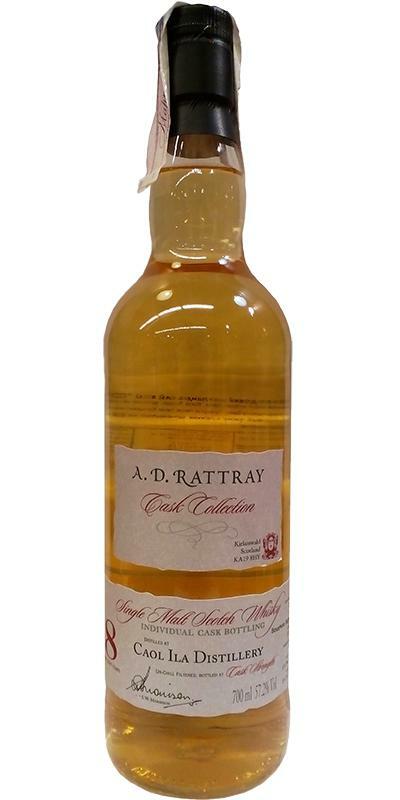 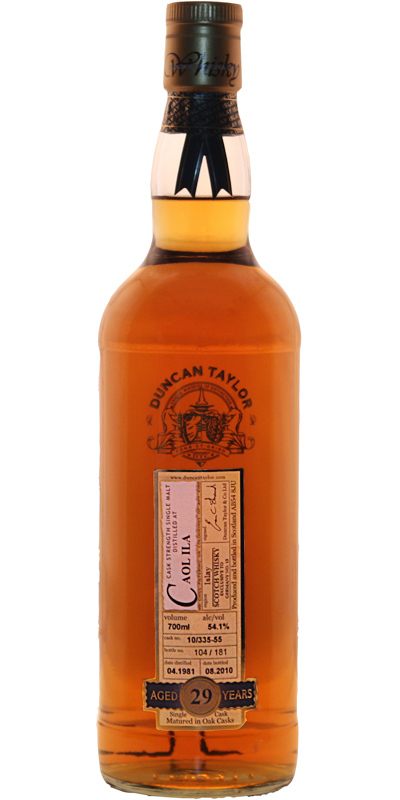 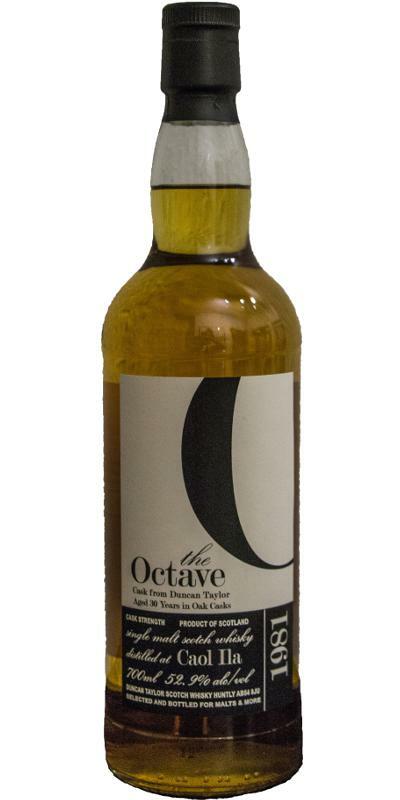 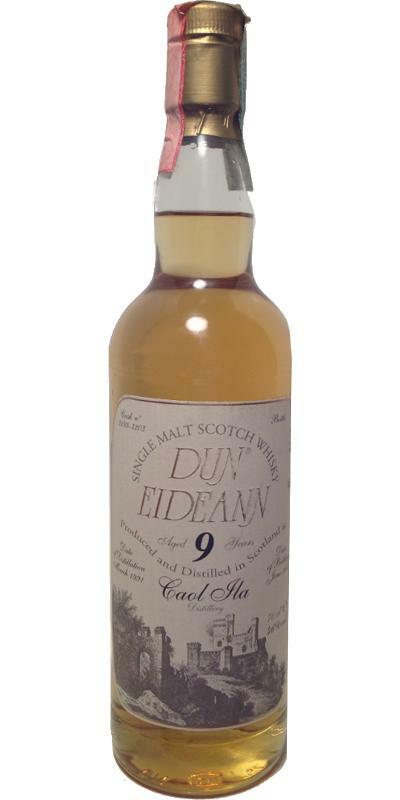 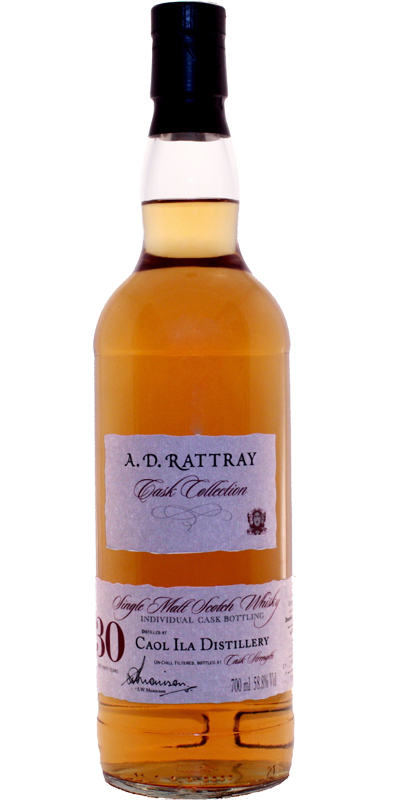 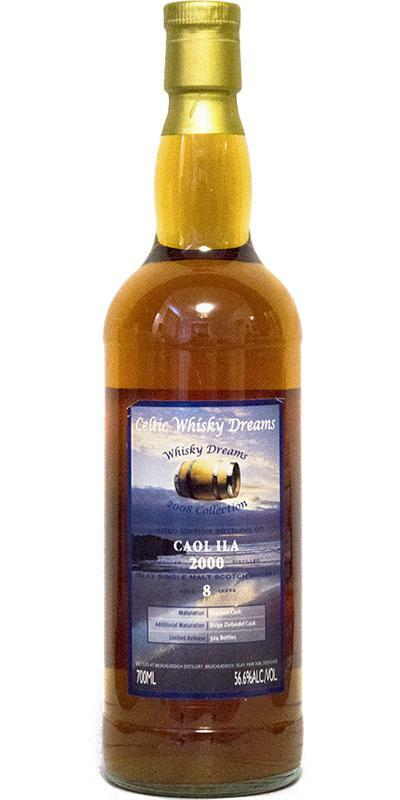 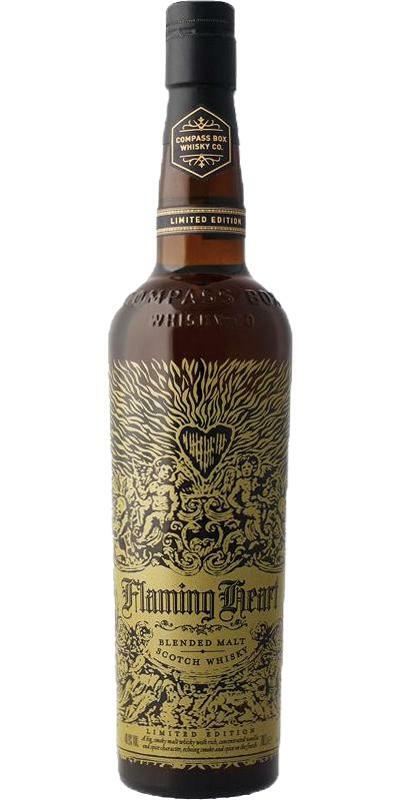 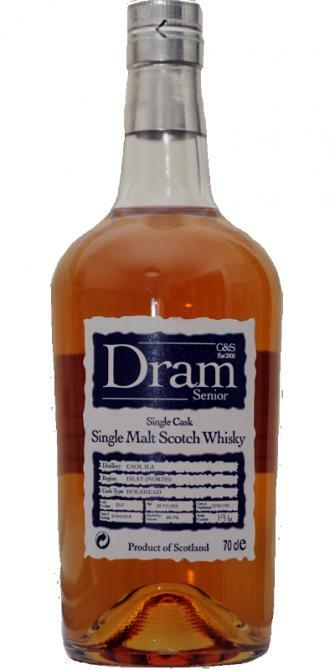 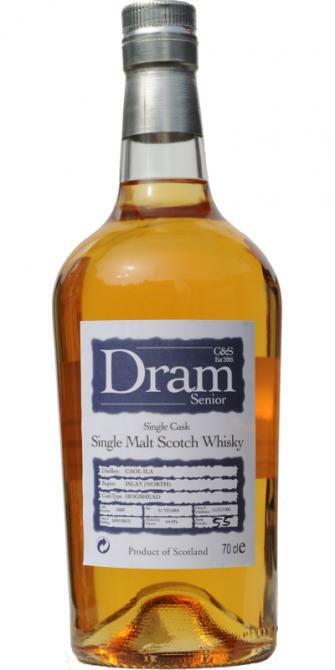 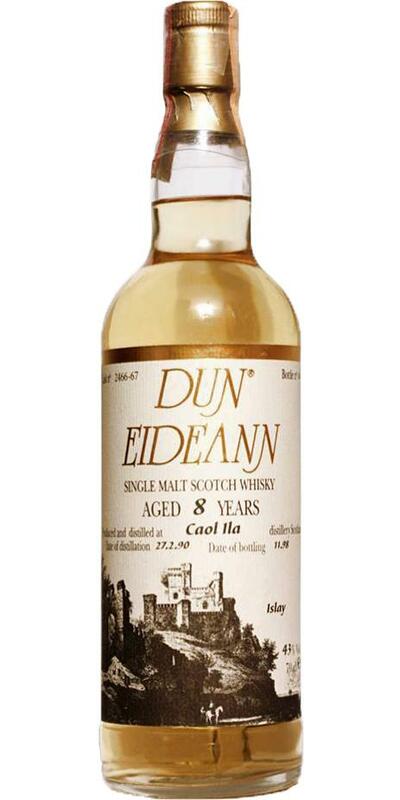 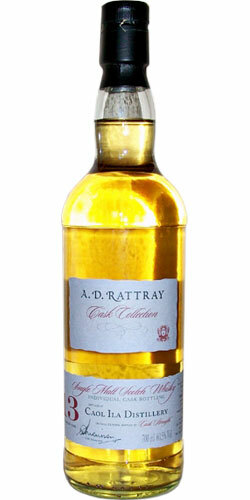 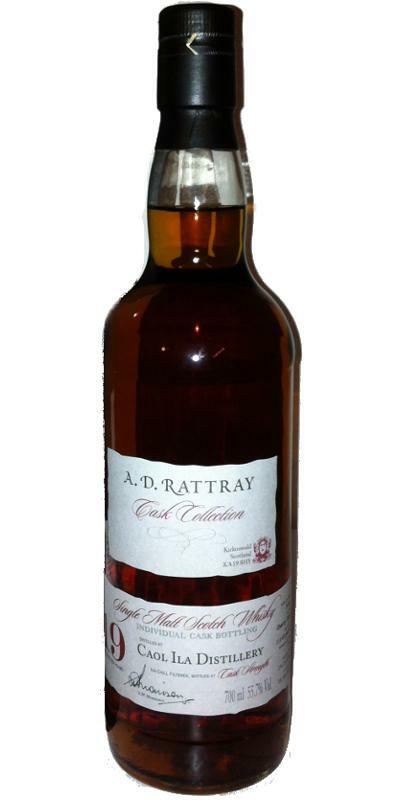 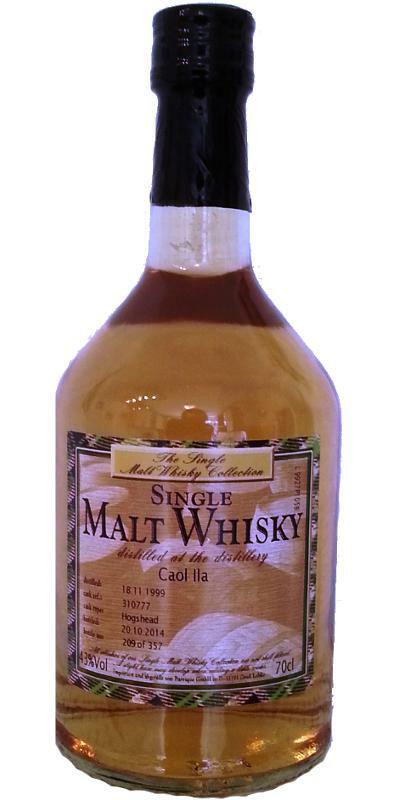 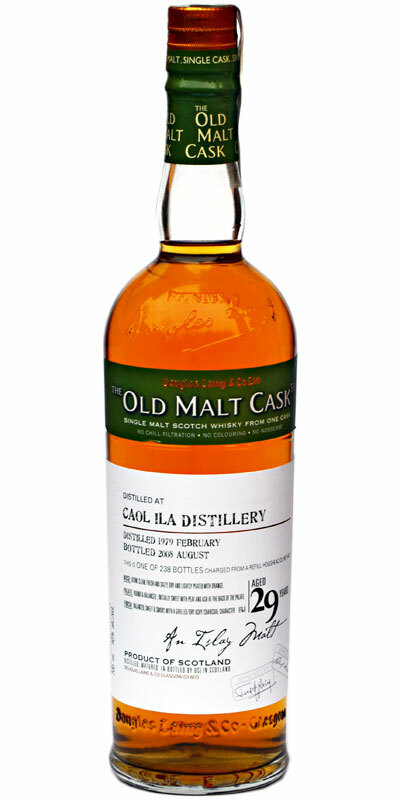 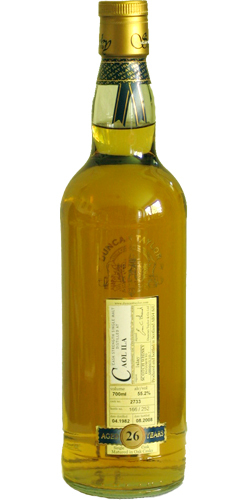 Caol Ila 2003 DL Old Malt Cask - Cigar Malt 07 50.0 % Vol. 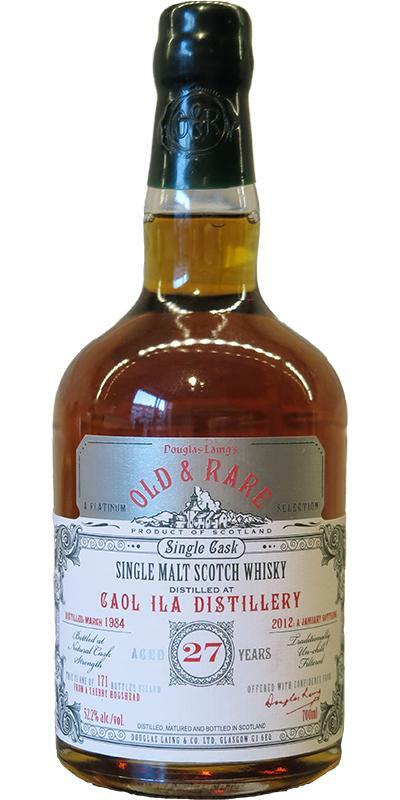 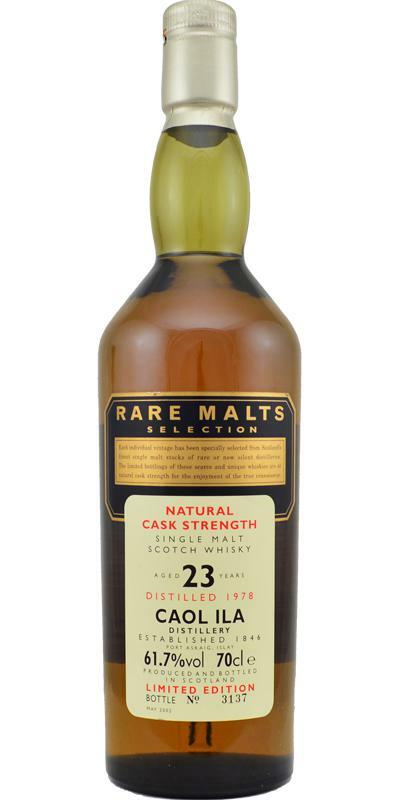 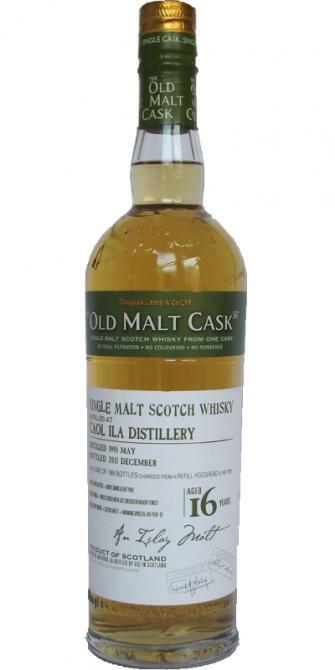 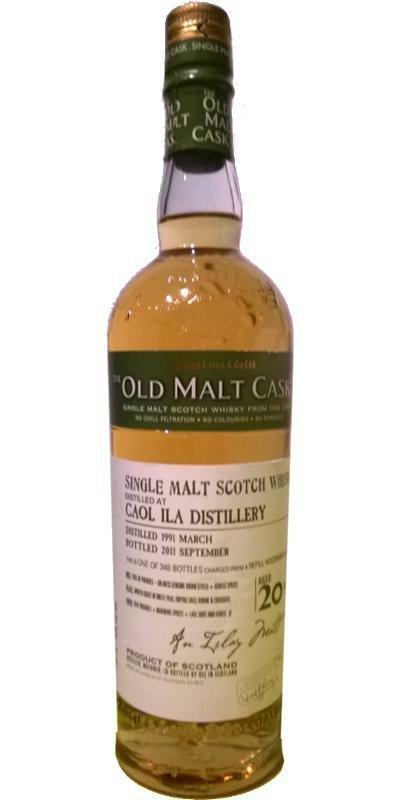 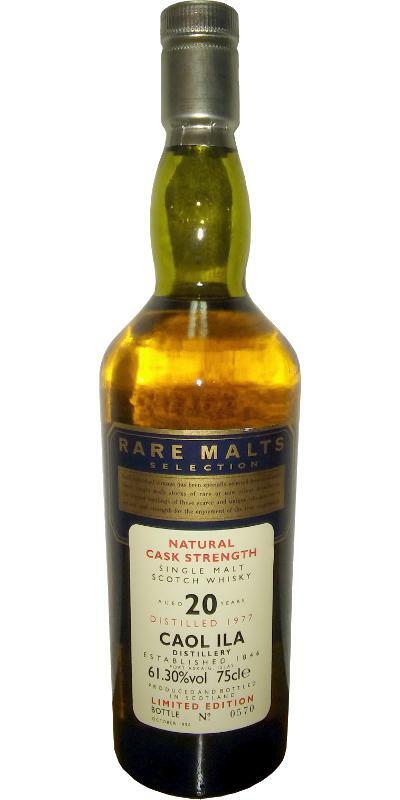 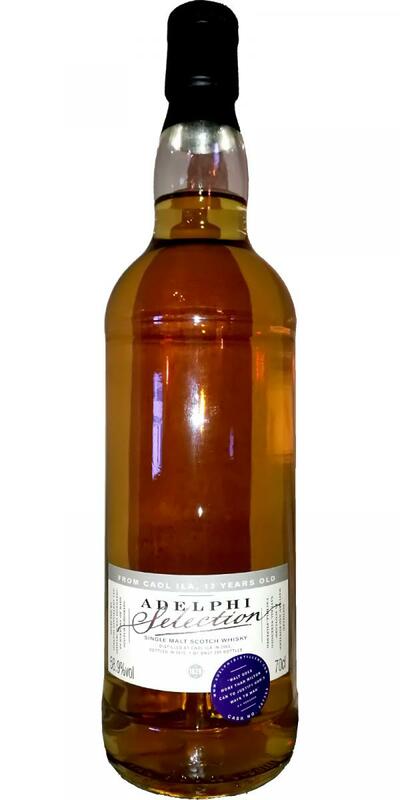 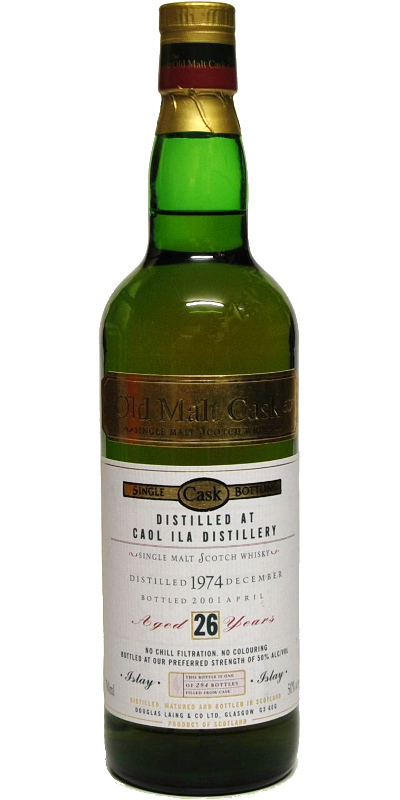 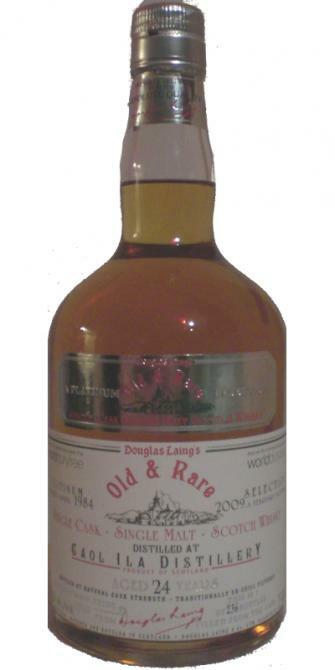 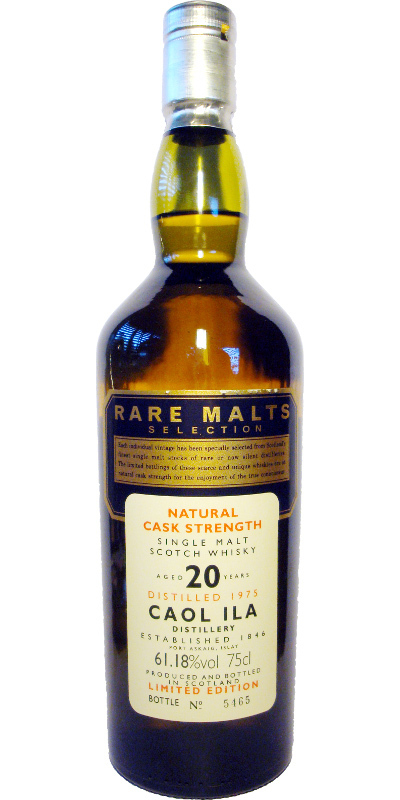 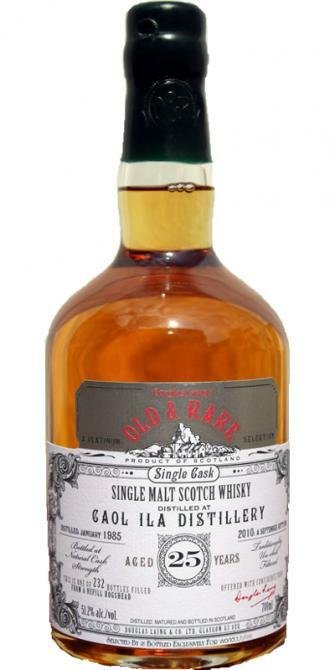 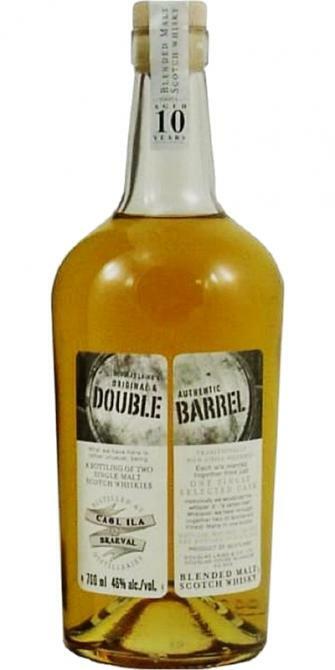 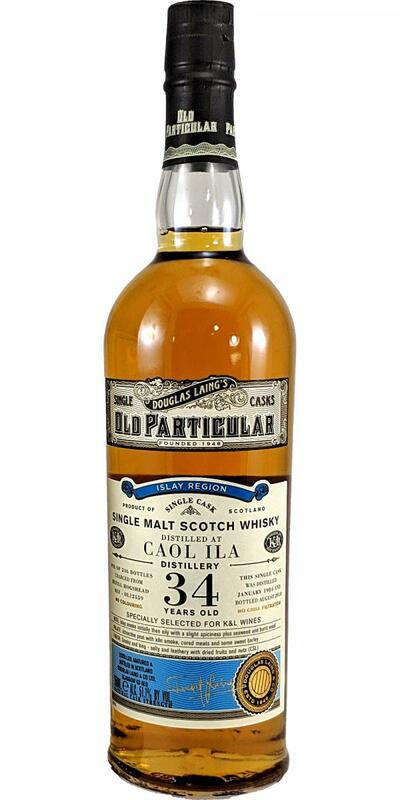 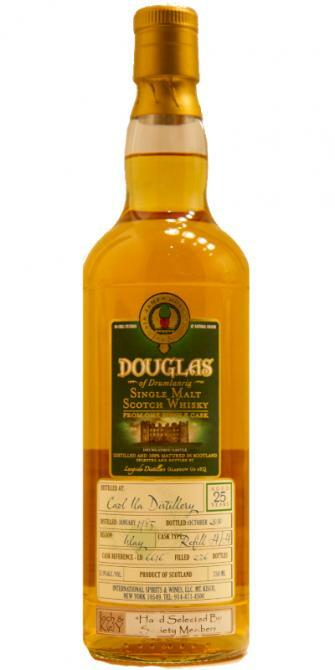 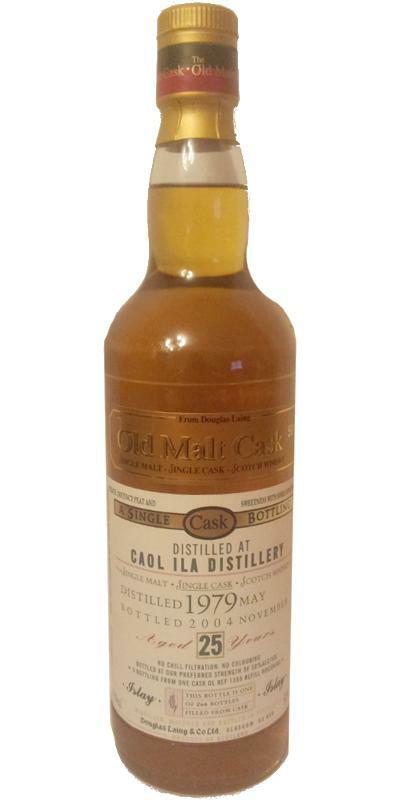 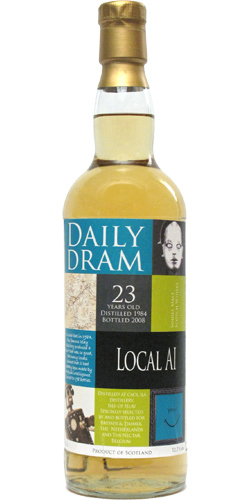 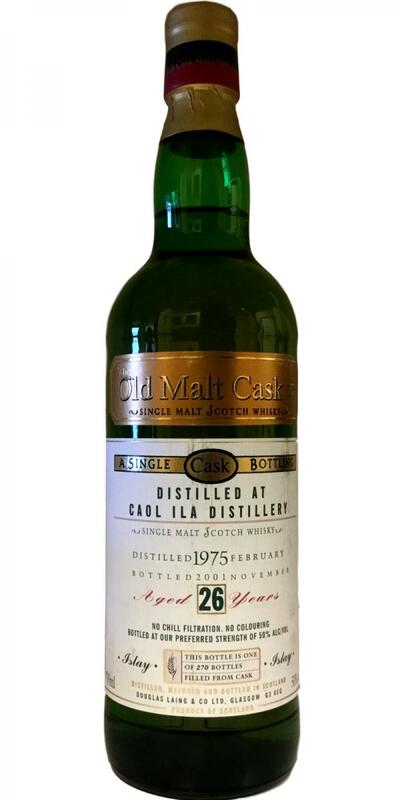 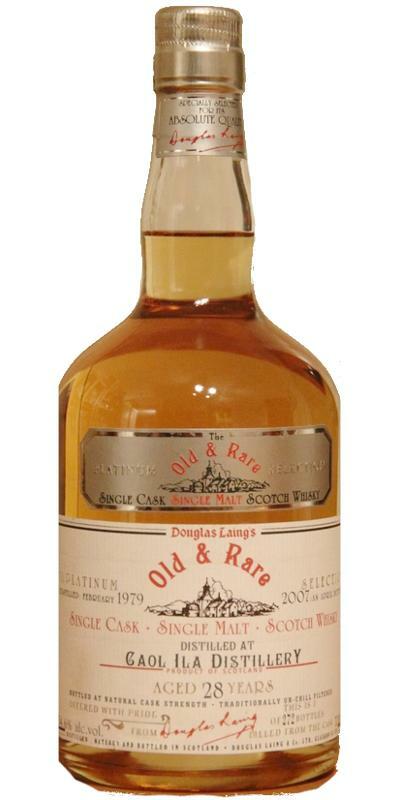 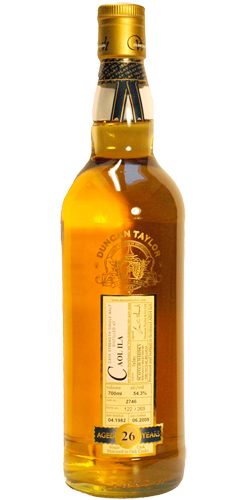 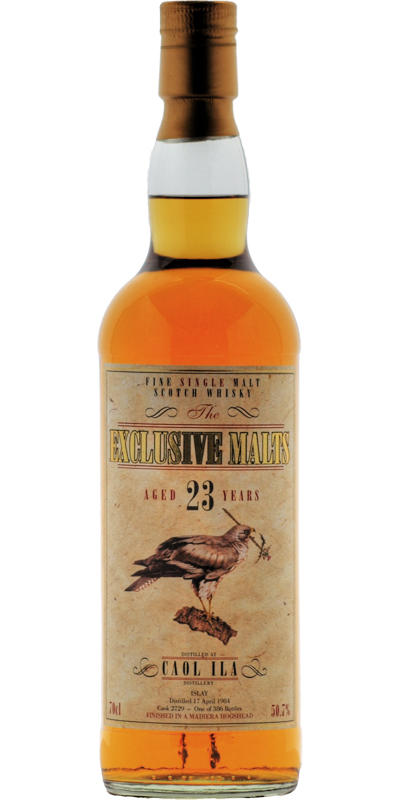 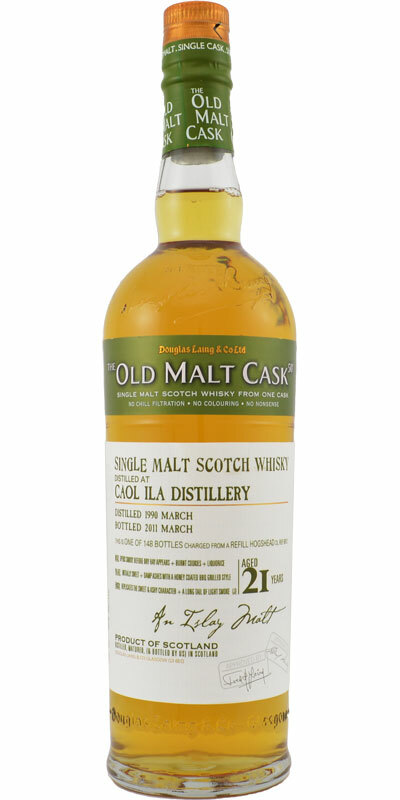 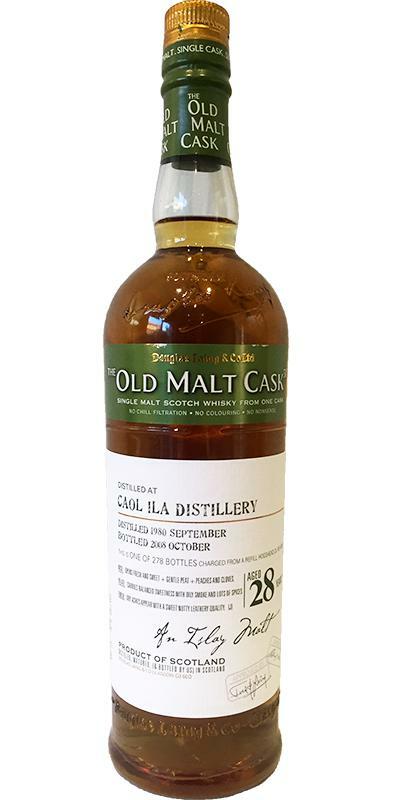 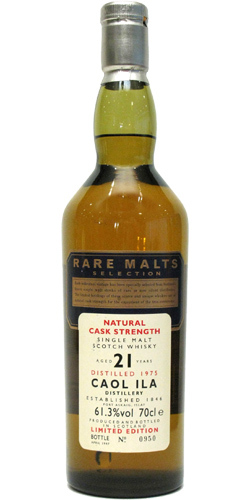 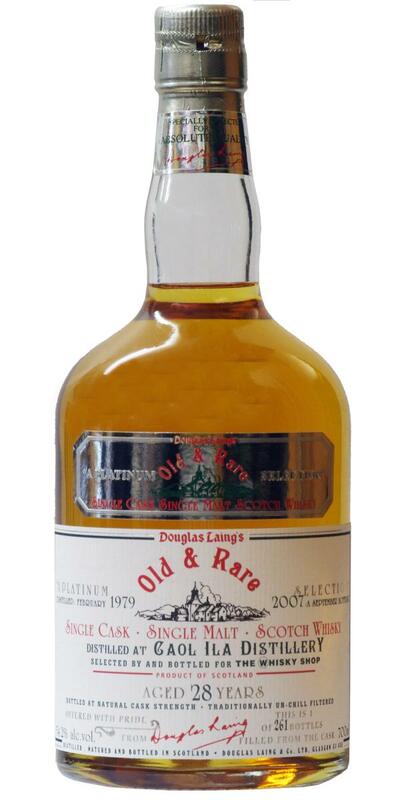 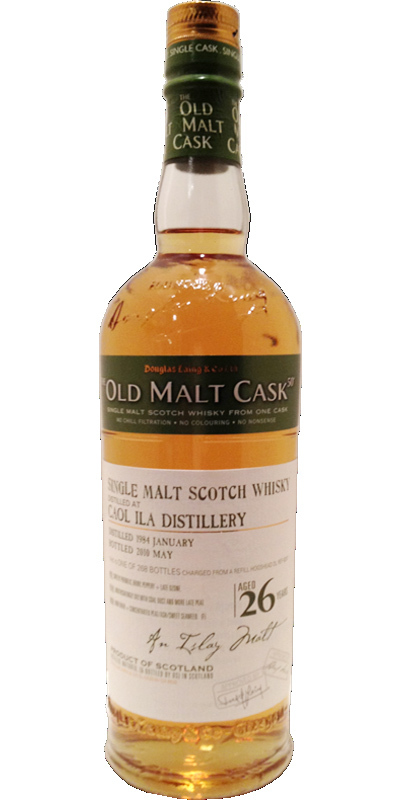 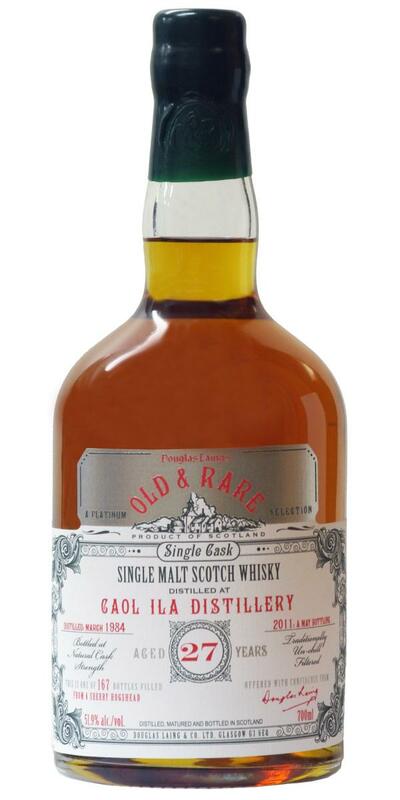 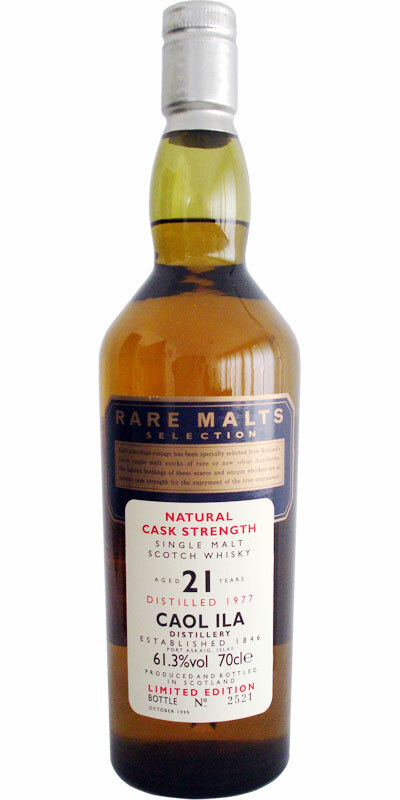 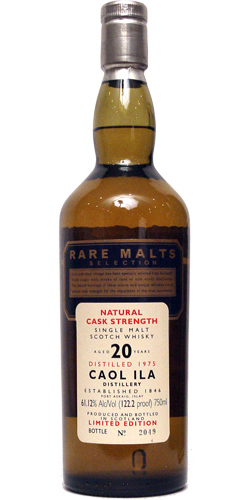 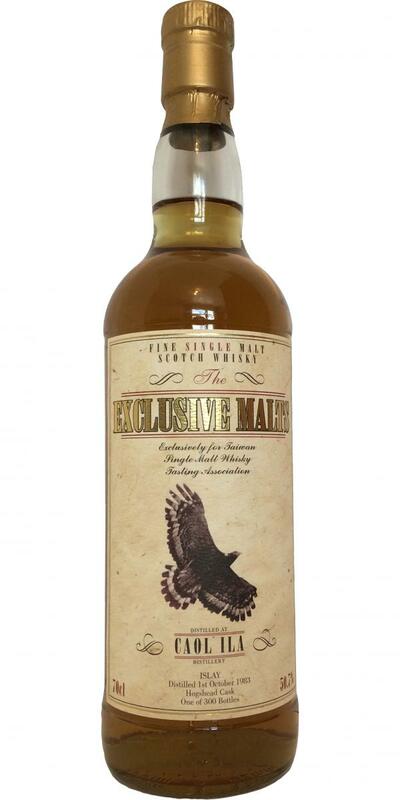 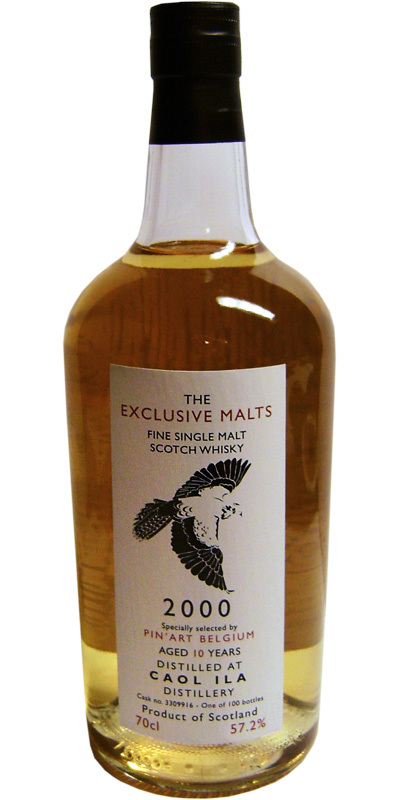 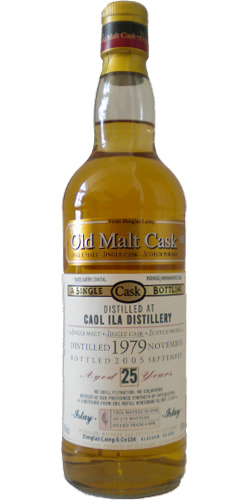 Caol Ila 24-year-old DL Old Malt Cask 24 50.0 % Vol.